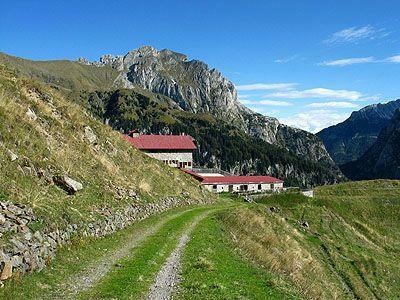 Path between the forts of Forni di Sopra valley with breathtaking views of the Friulian Dolomites The trail winds to the slopes of Cimacuta, inside the Friulian Dolomites Nature Park. 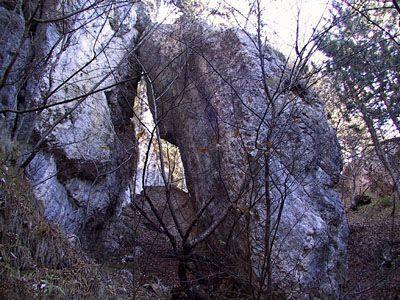 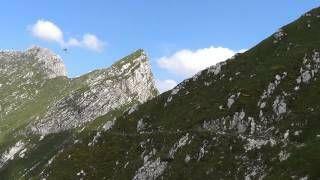 It is named after a characteristic boulder of conglomerate that lies on the ridge of "Pocagneit" and is called "Truoi da Von". 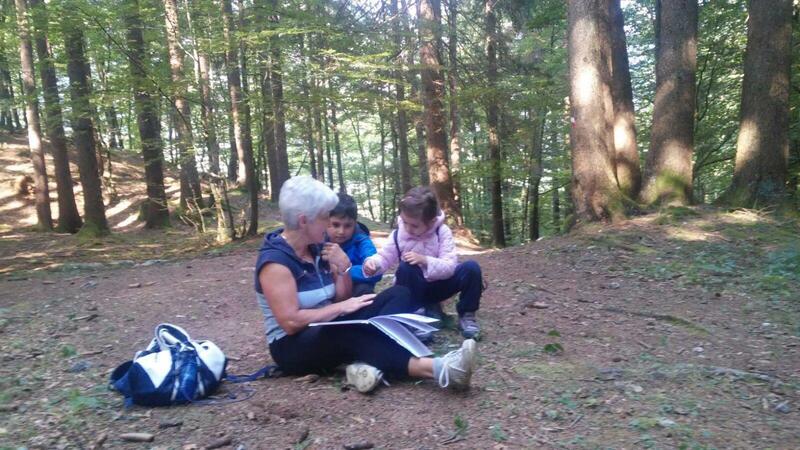 The naturalistic variety and the benches along the path also facilitate teaching lessons. 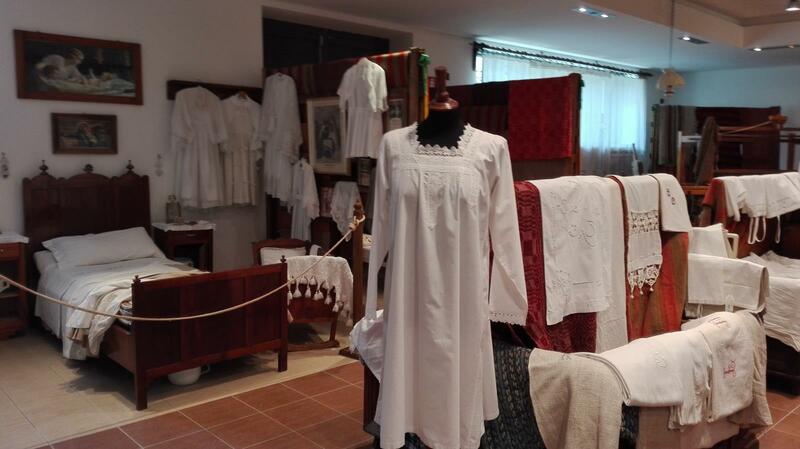 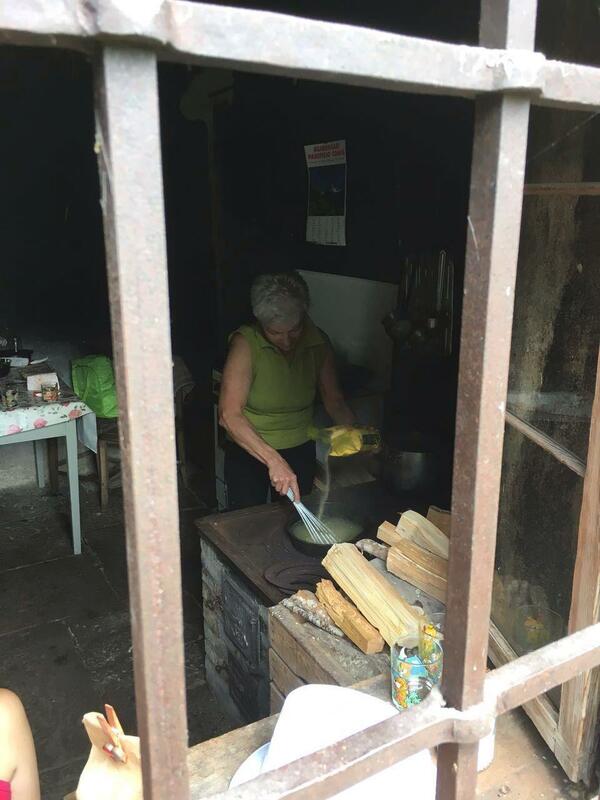 "A dive in the past" one day in the 40s ... how our great-grandparents lived without electricity, no phone, lunch in an old kitchen ... an unforgettable experience ... meeting at 9:00 pm co-operative square To spend the whole time ... returning at 17:00. 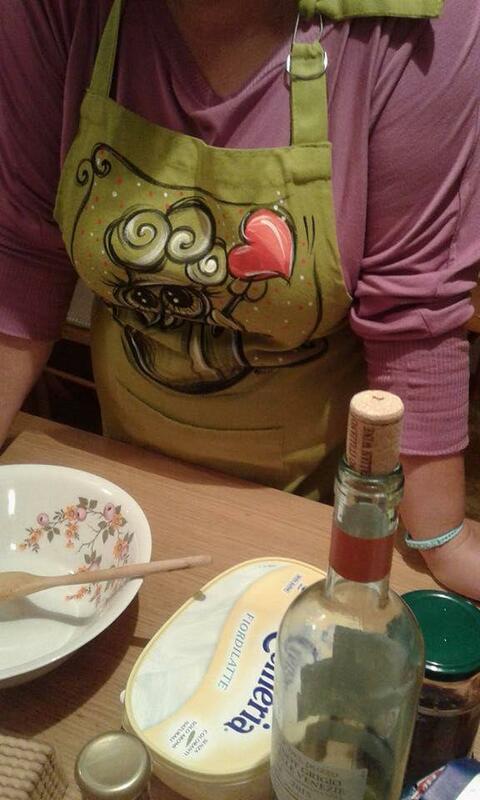 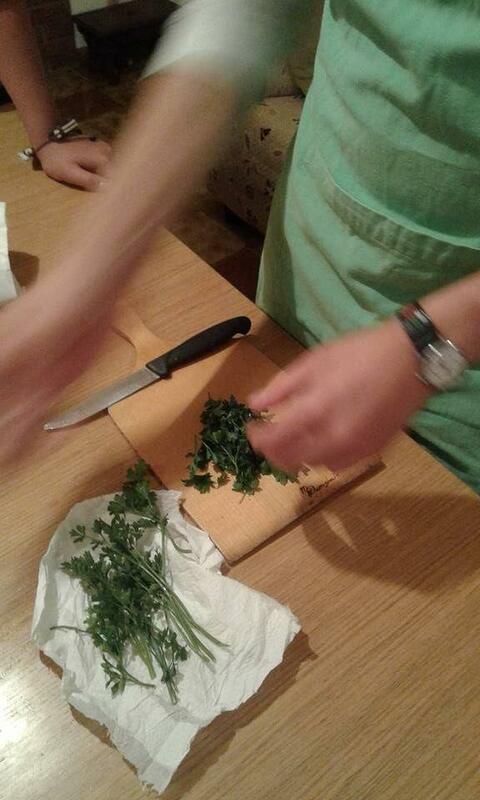 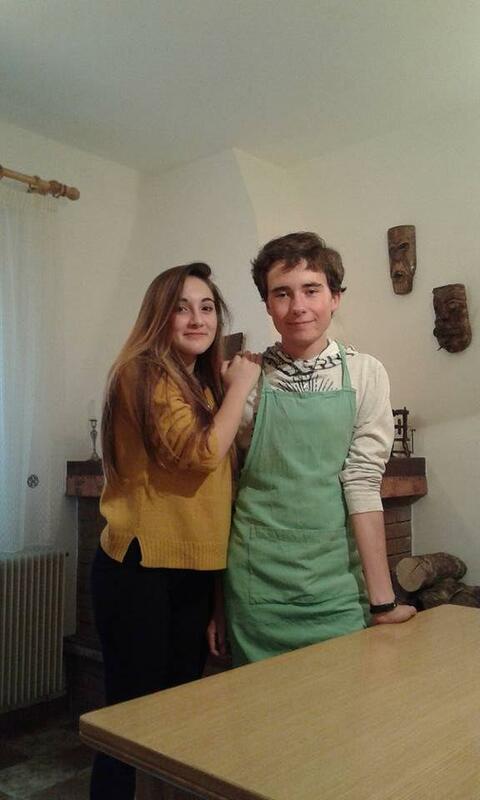 Of course you can cook together by learning the old traditional recipes !! 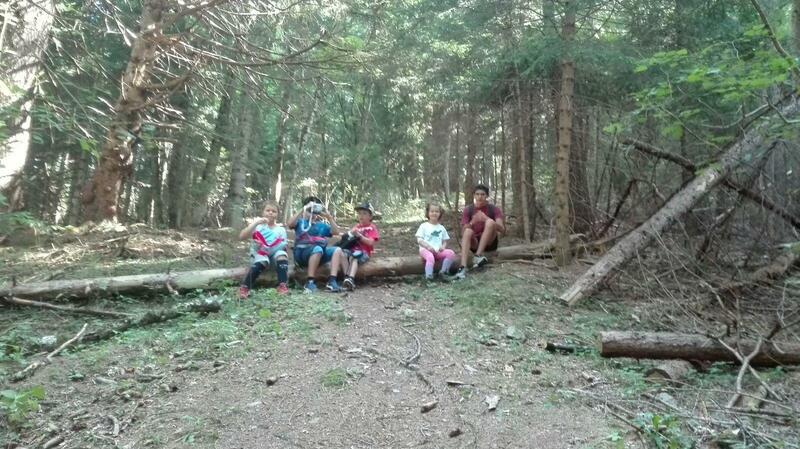 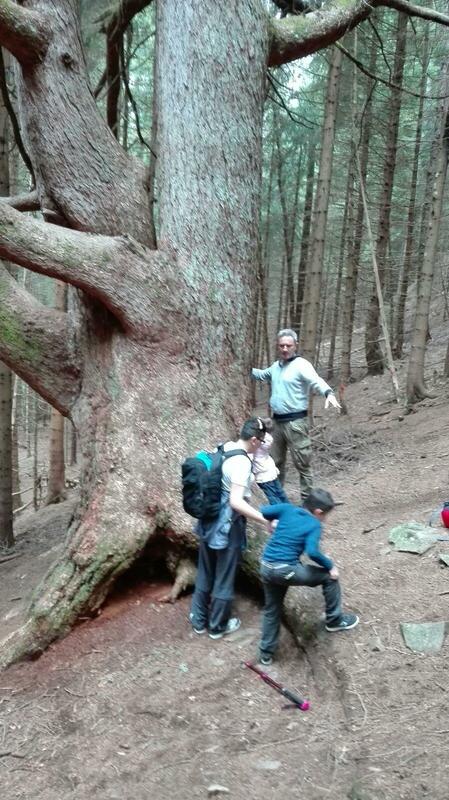 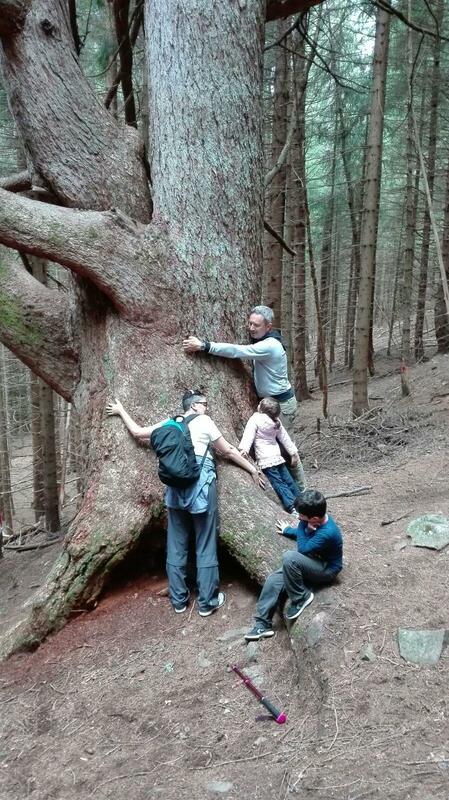 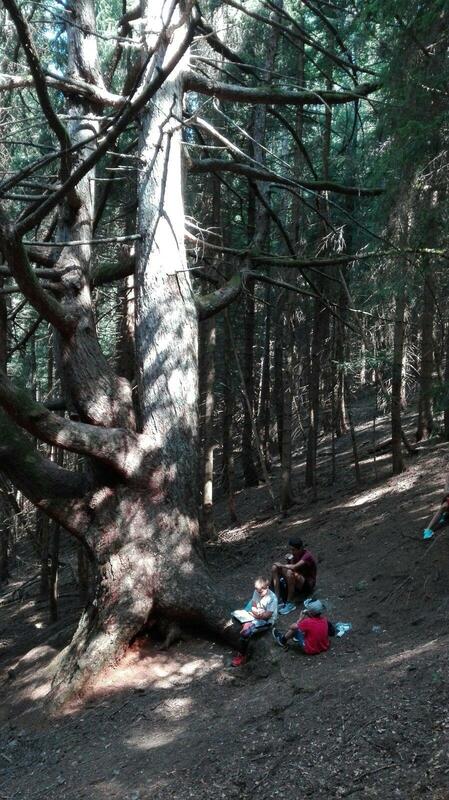 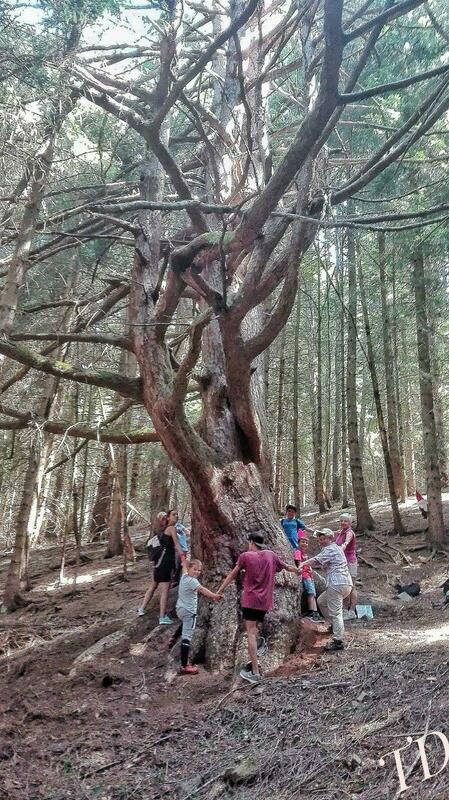 Excursion: "Harluk Truoi" trail leading to a giant larch, 600 years old. 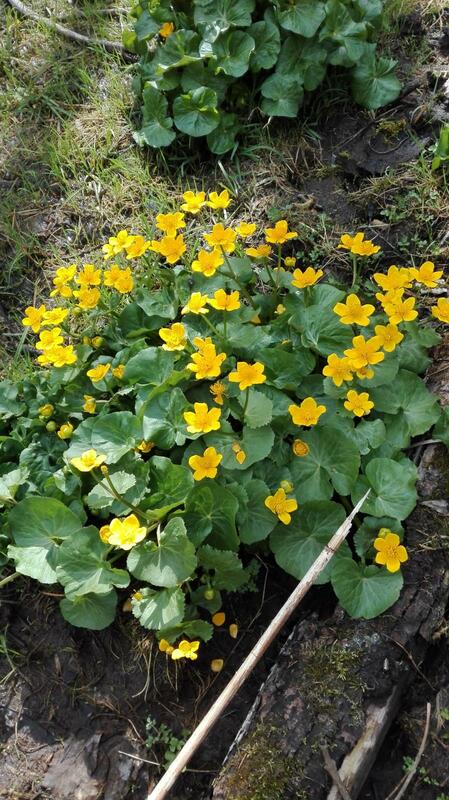 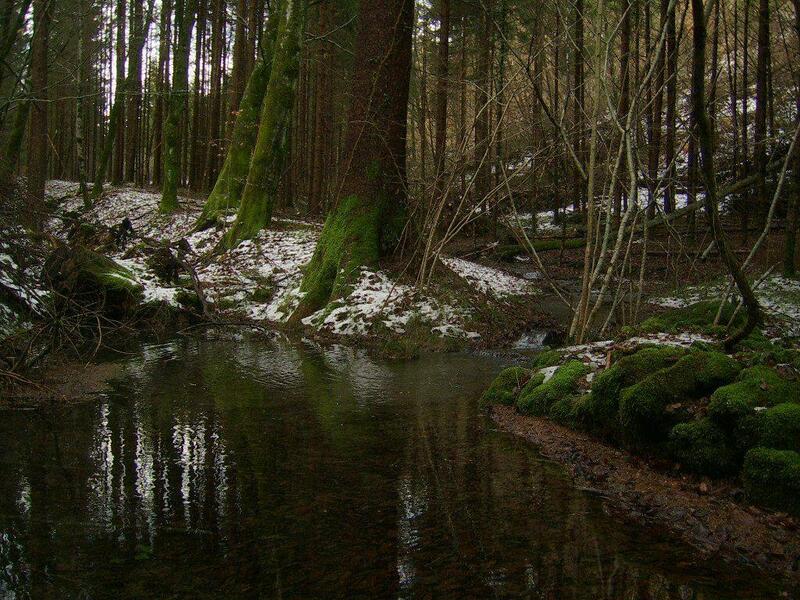 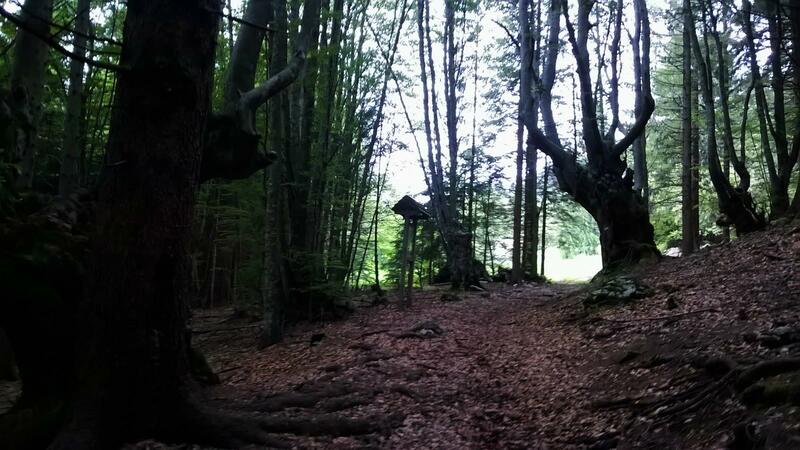 A magical clearing where one feels the energy of a centuries-old plant. 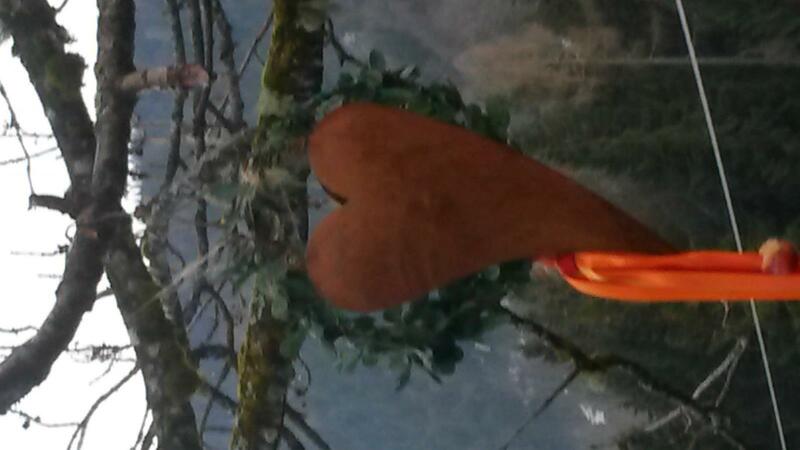 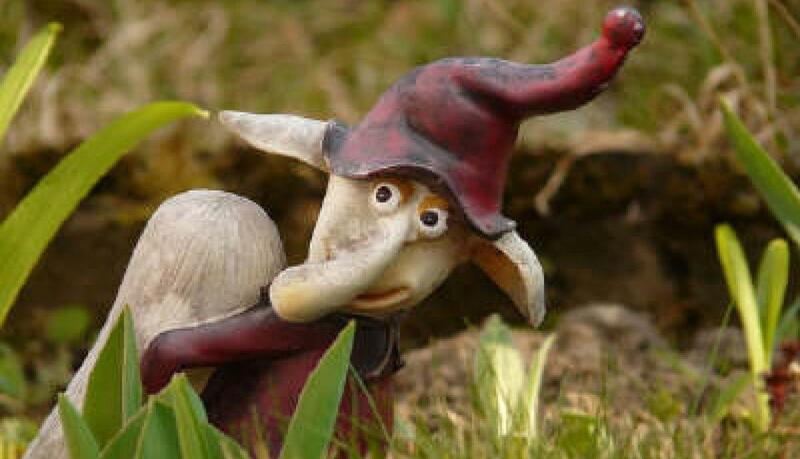 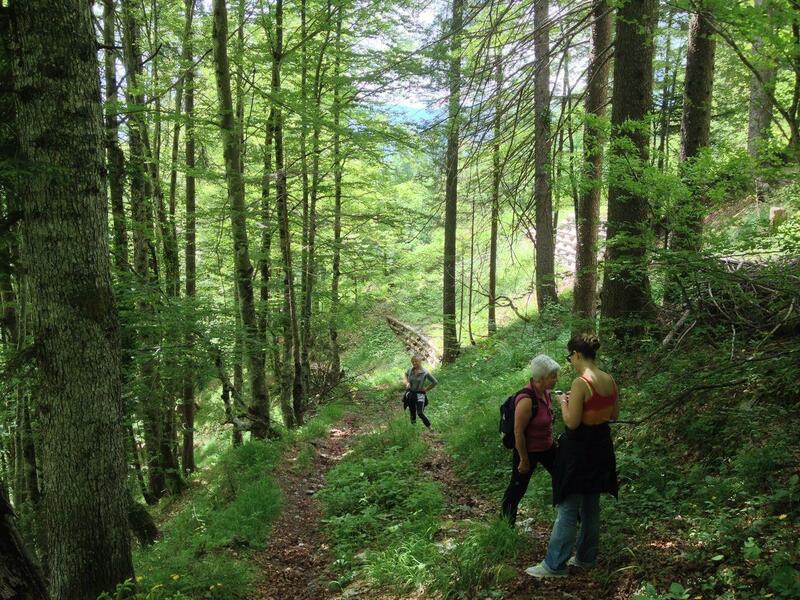 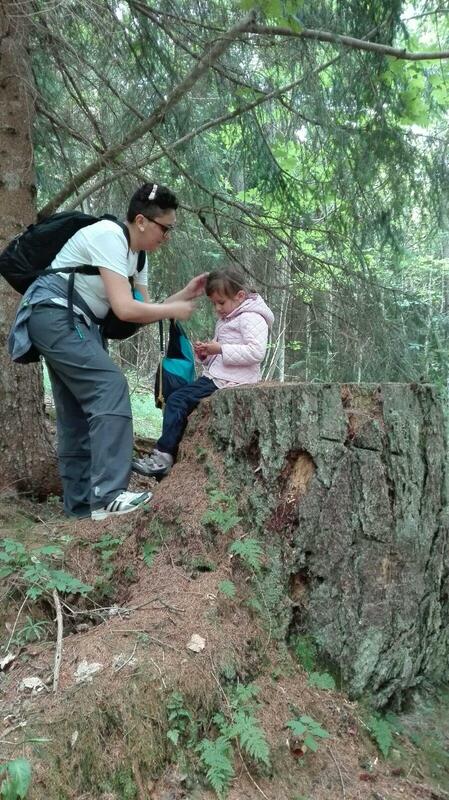 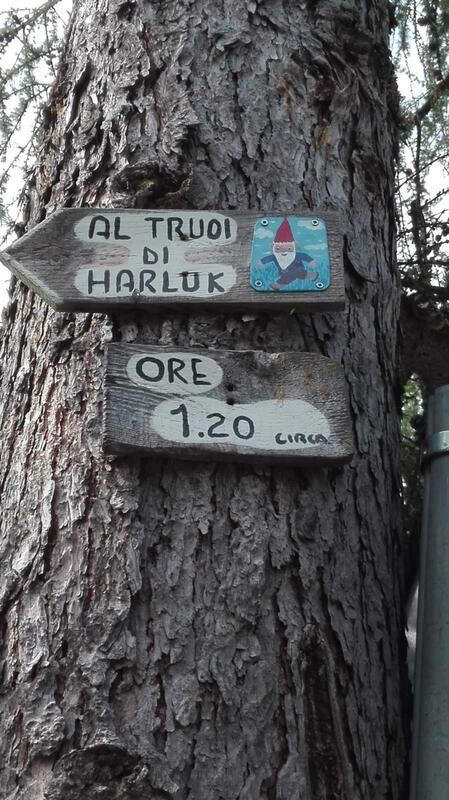 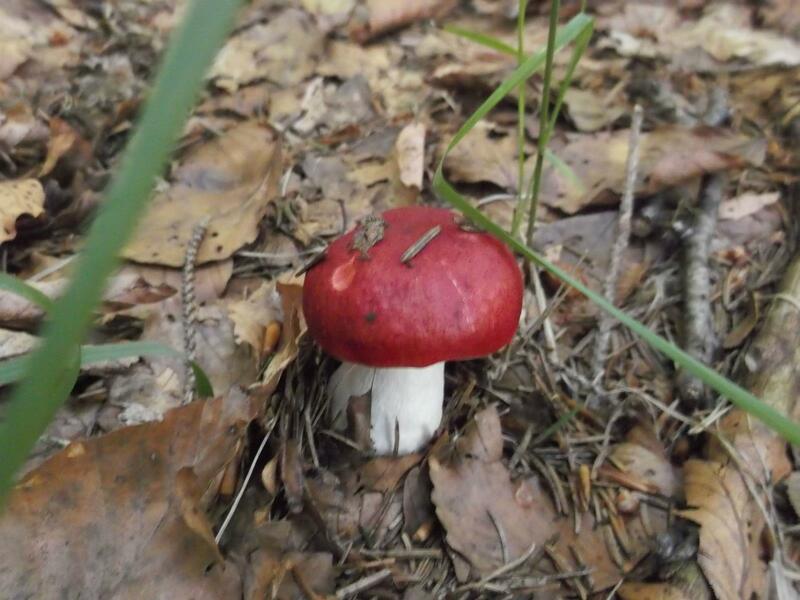 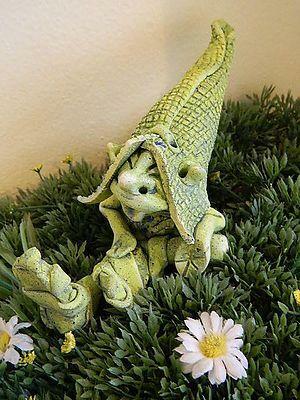 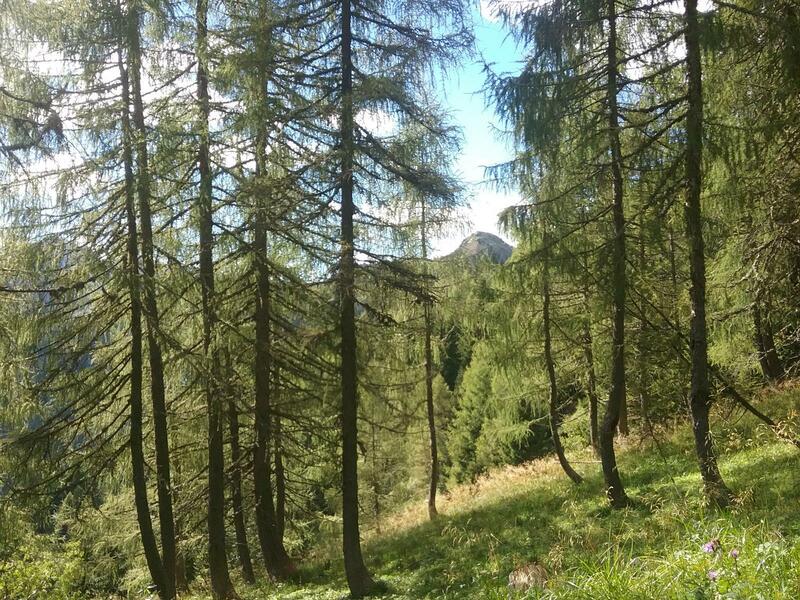 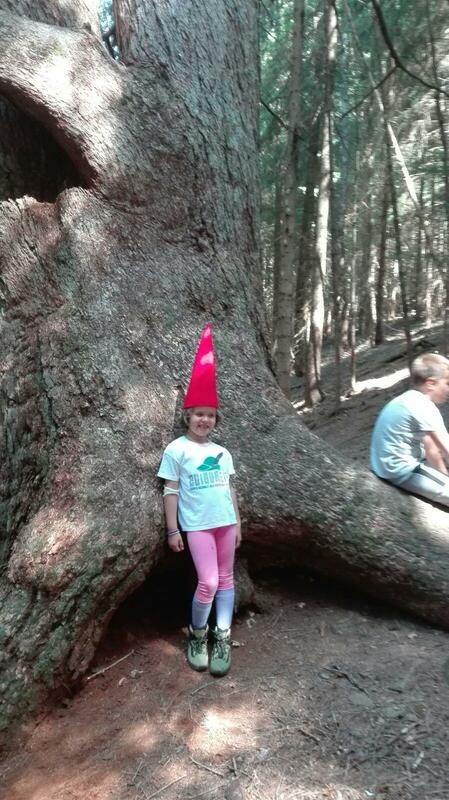 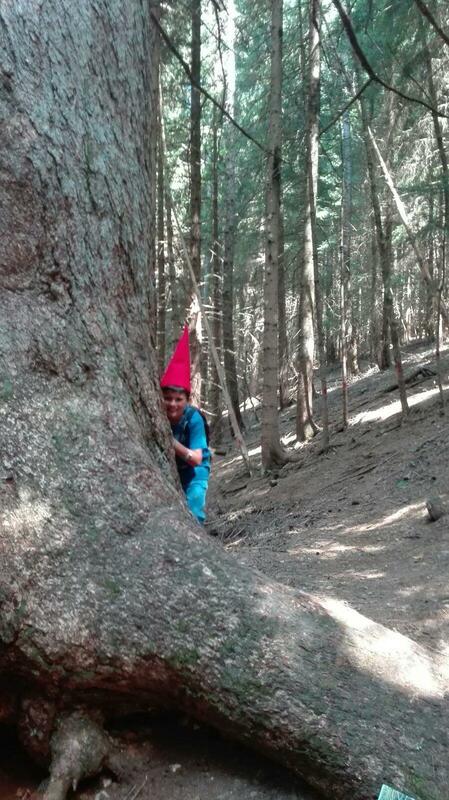 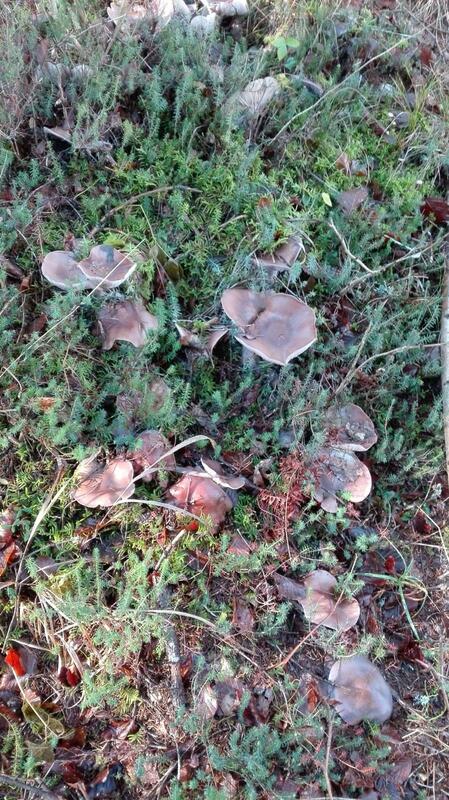 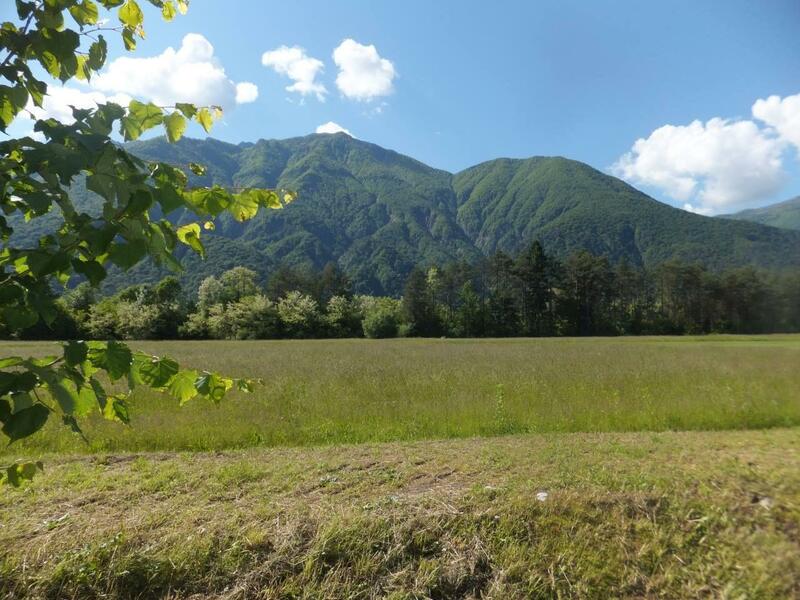 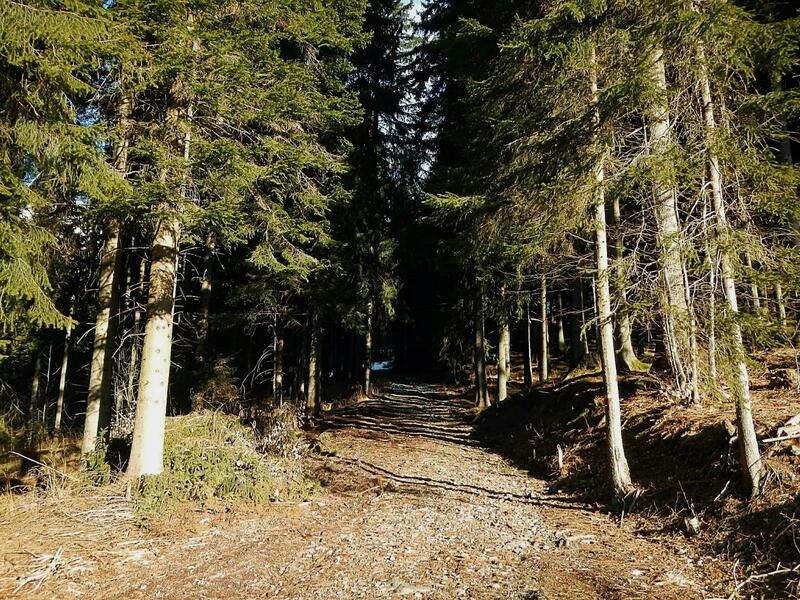 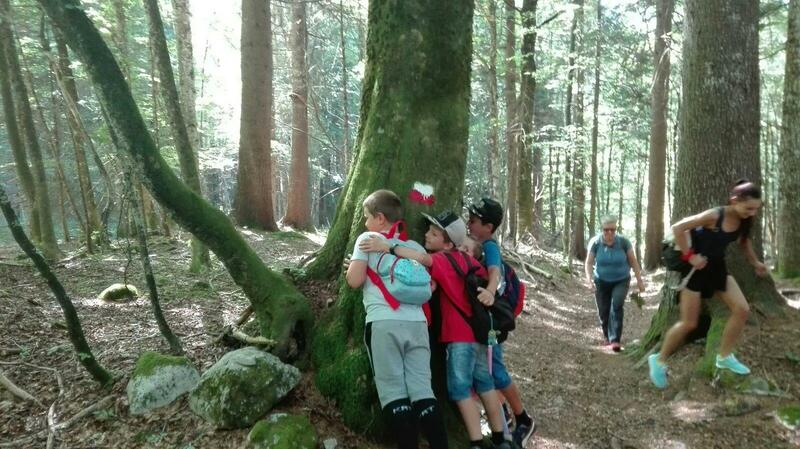 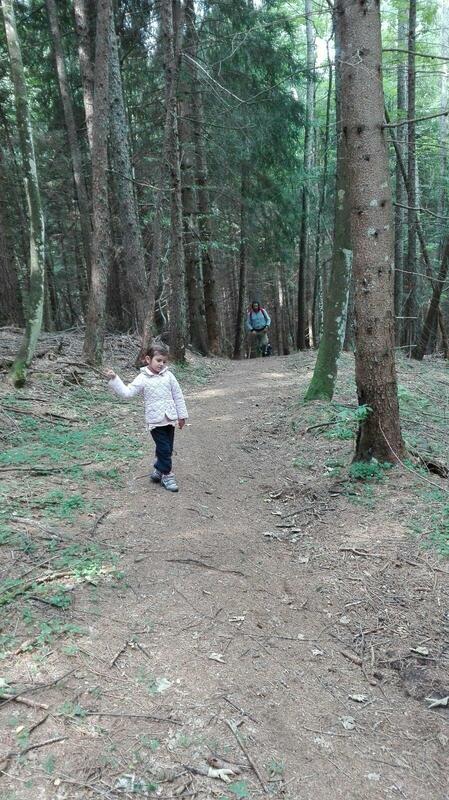 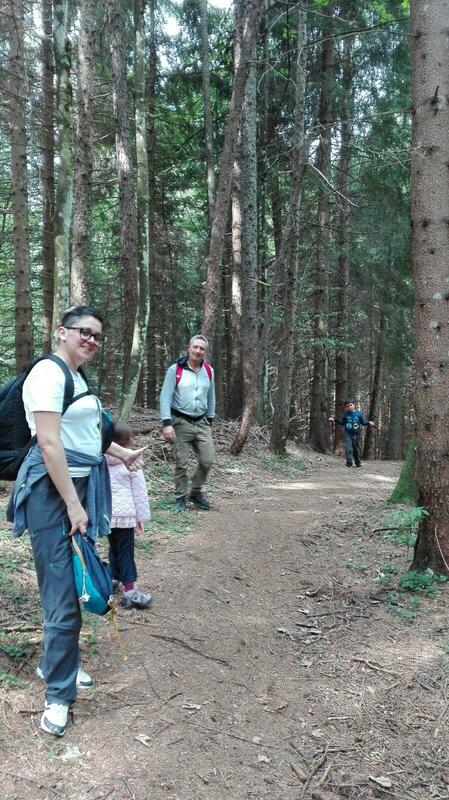 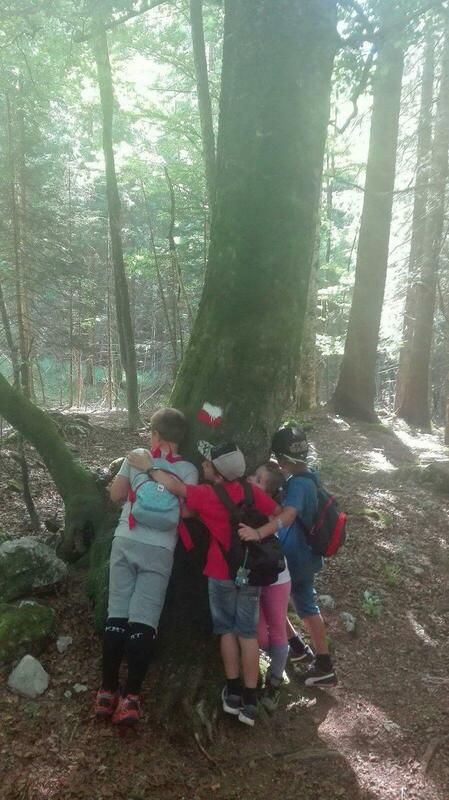 This simple trail is ideal for a family trip; Strolling through thick woods, accompanied by gnomes and goblins, you will discover the giant lily of the century that inspired the recent "Harluk and the Window in the Tree" fable by Annalisa Cappellari. 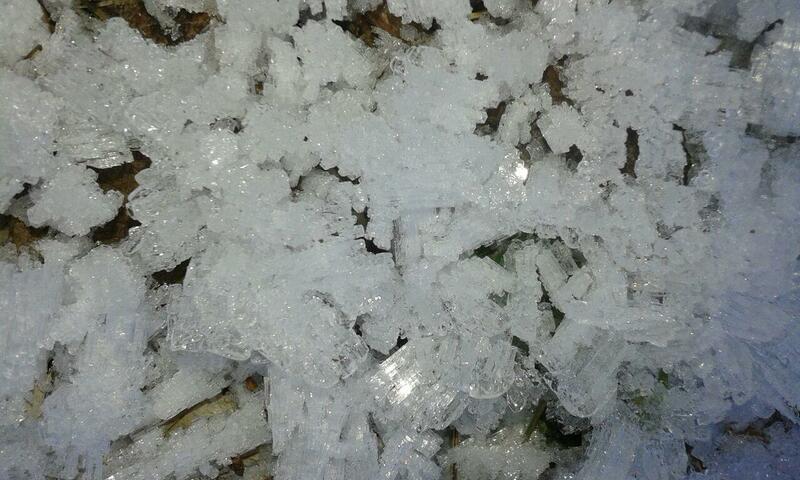 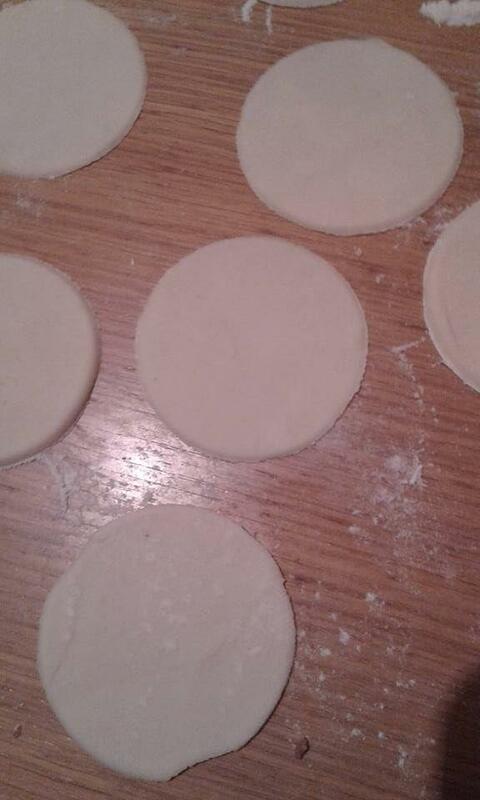 Duration approx 3 hours. 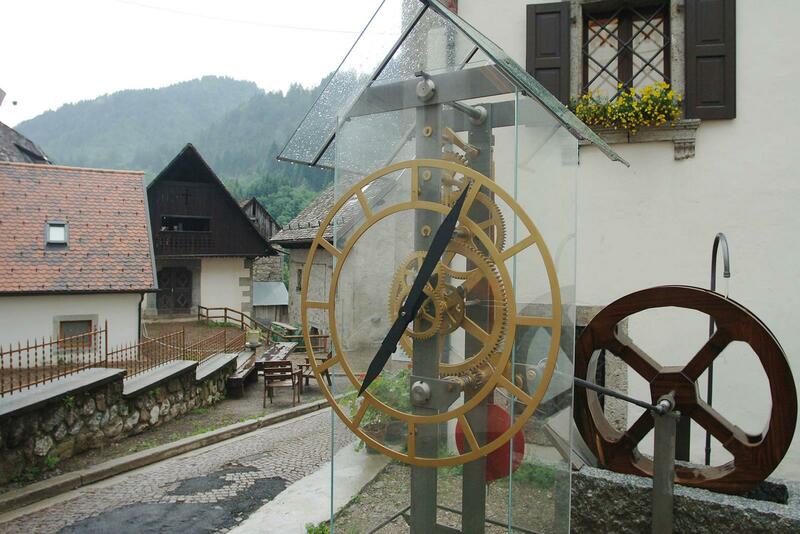 Ring from Suart passing through the Cabia town and returning for the World Tour. 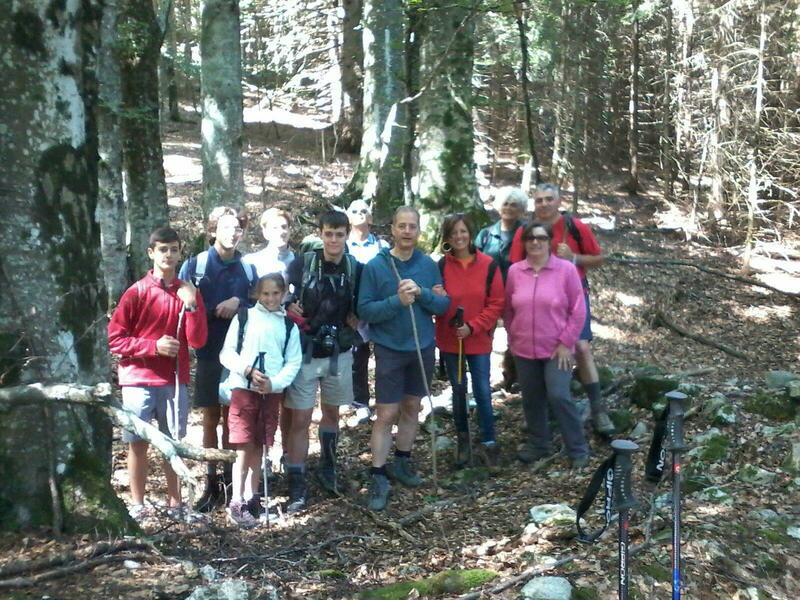 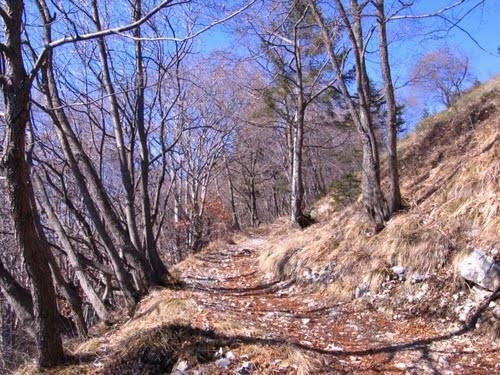 Starting from the village of Piano d'Arta, the path winds on a path surrounded by a beech, and arrives at Suart's saddle to Cabia. 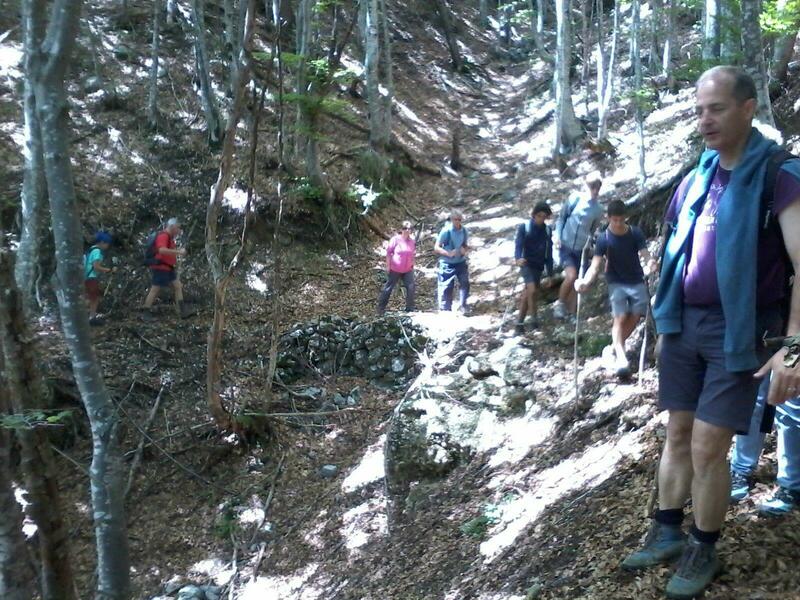 From now on, the trail is almost sunny with interesting views of Mount Sernio and the backbone of Crete of Palasecca. 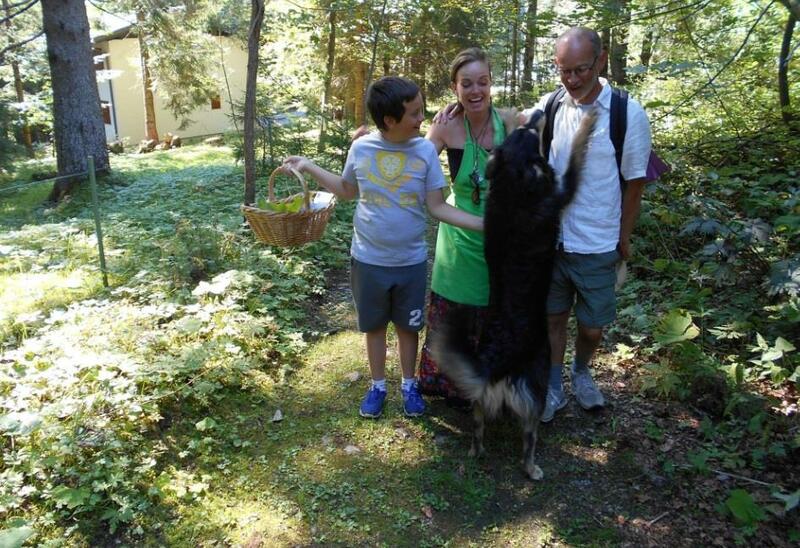 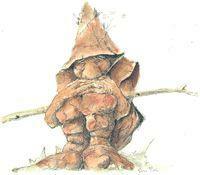 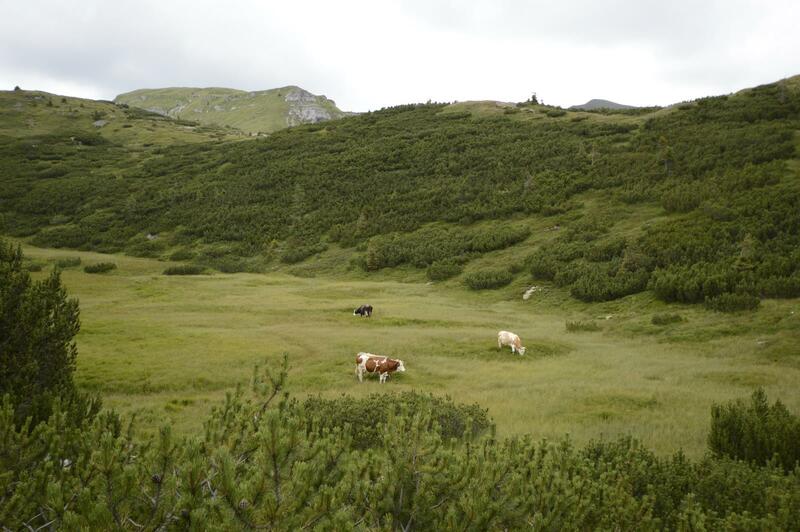 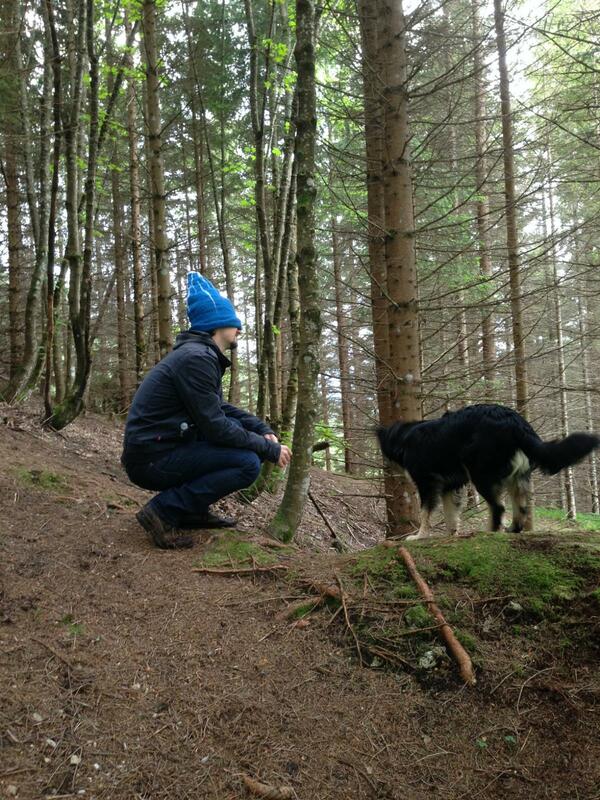 When they arrived at Cabia, they went straight to Cjagnon, and then walked back to the trail. 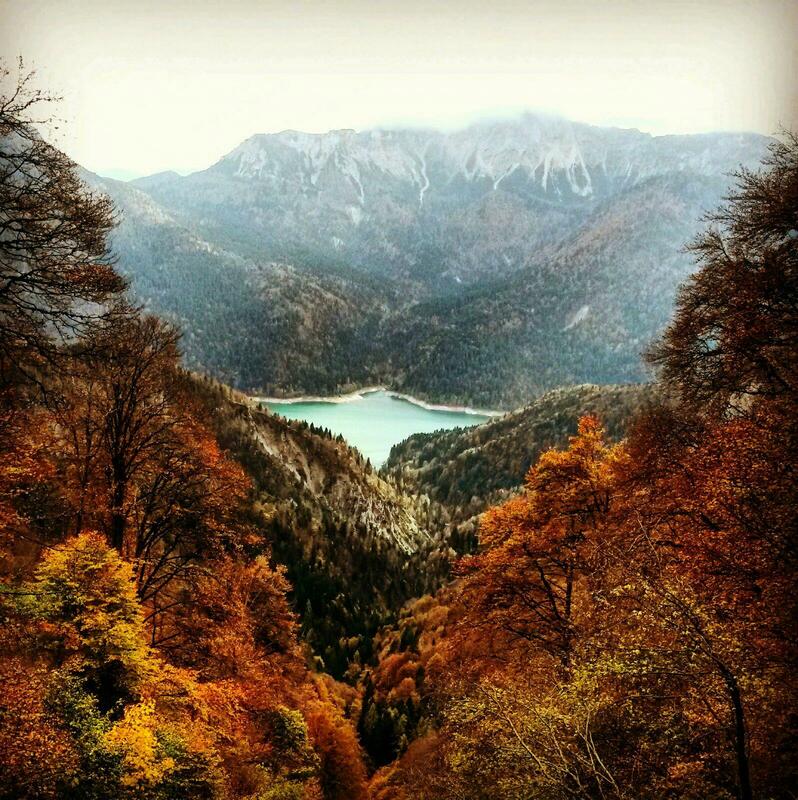 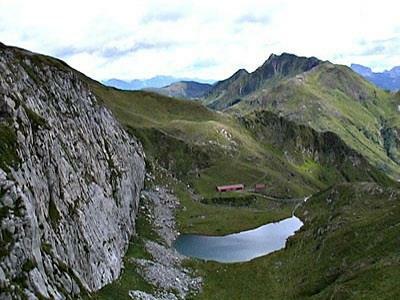 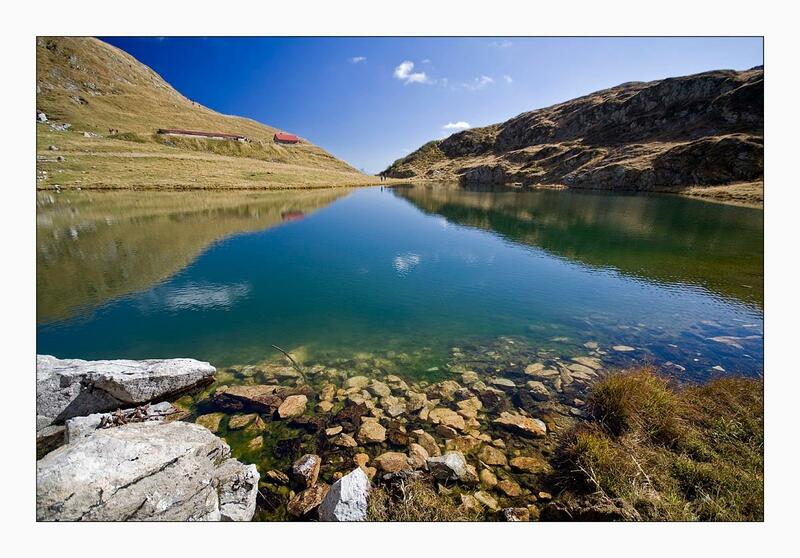 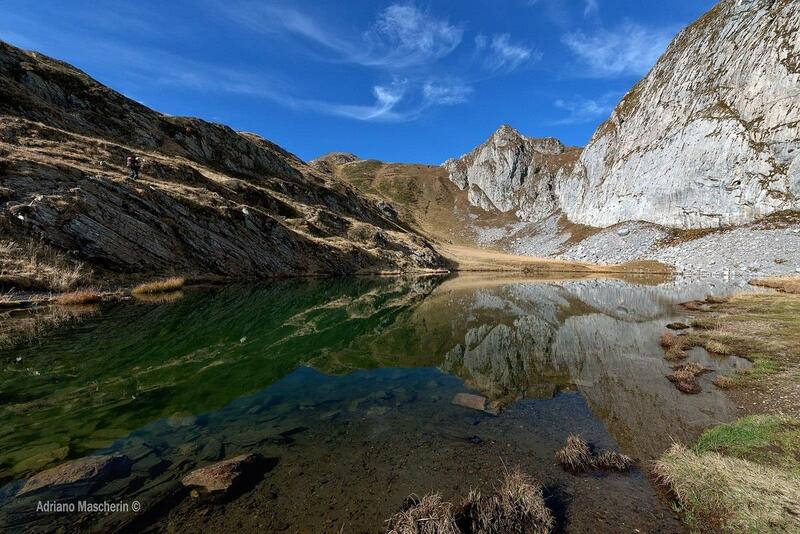 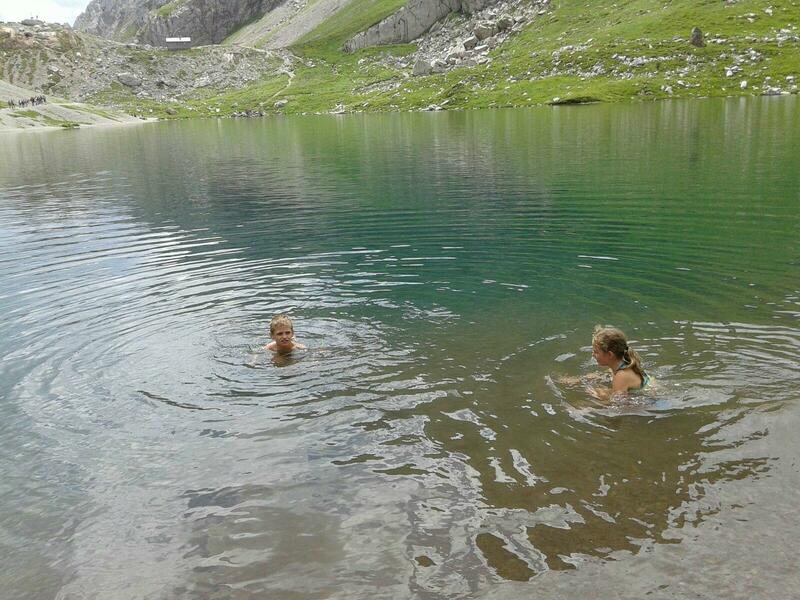 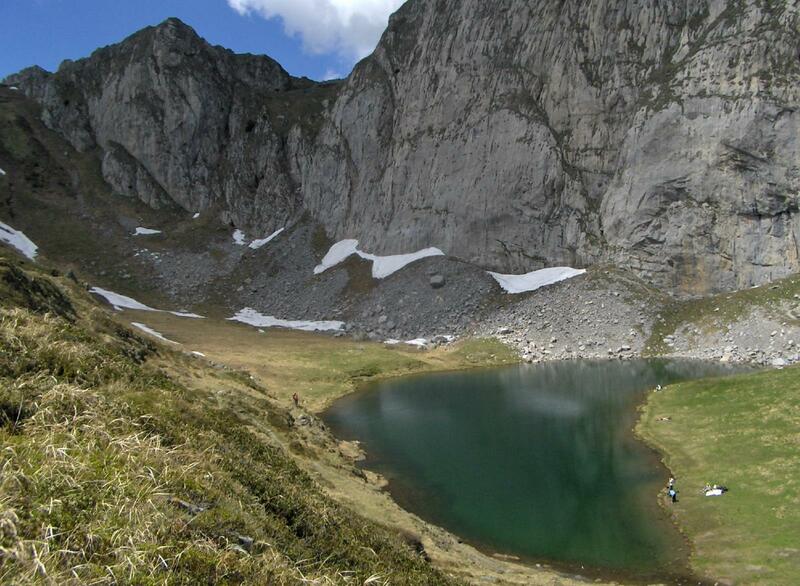 The lake of Volaia is a splendid alpine lake dipped in an untouched mountain landscape of extraordinary beauty. 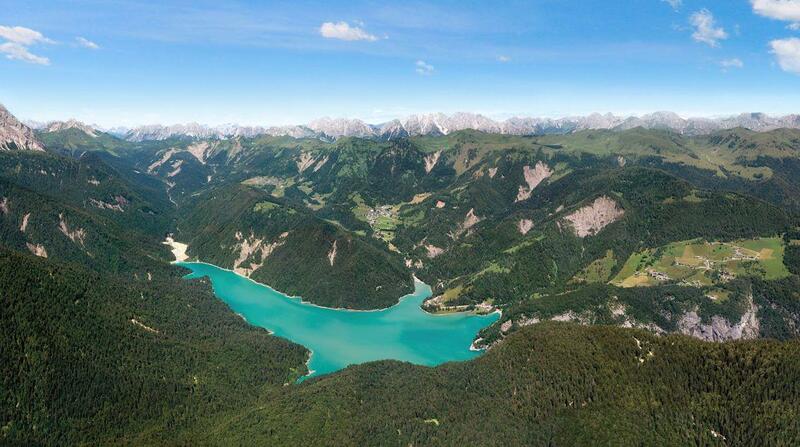 At the opposite sides of the lake there are two mountain refuges: the Austrian and the Italian one. 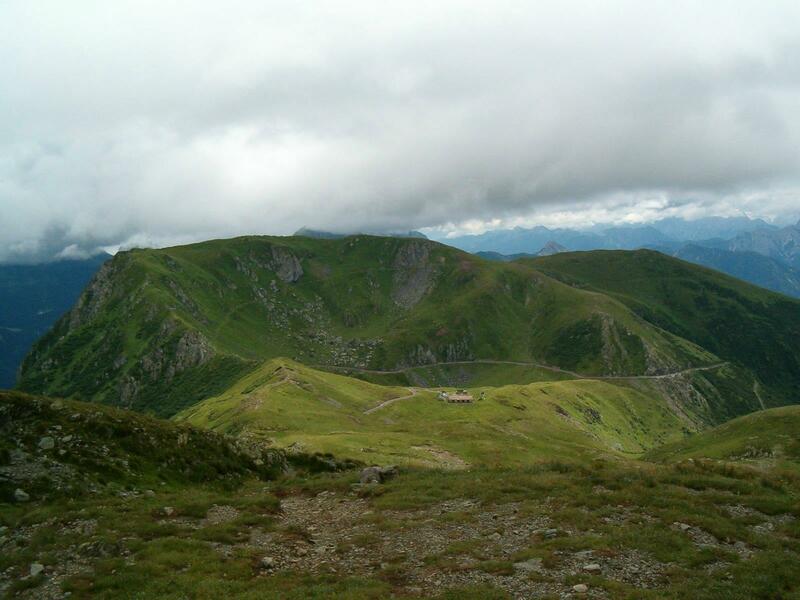 The route develops across Mt. 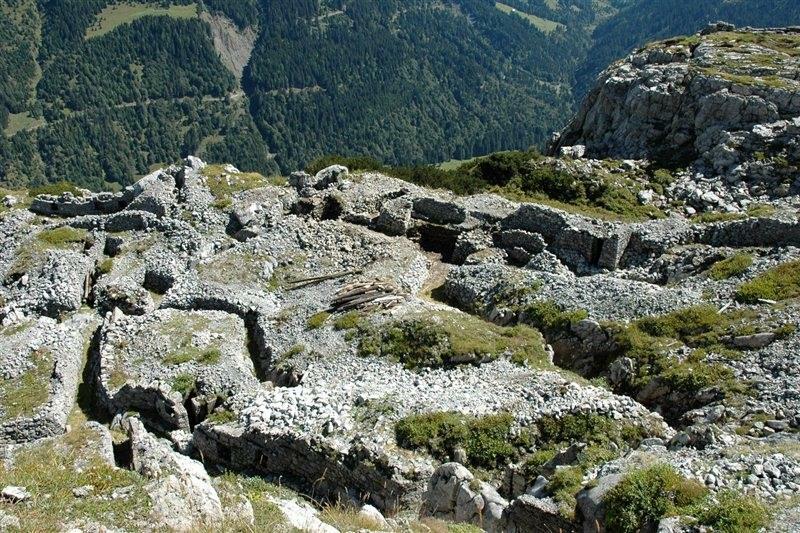 Croce Carnico Pass, a very important and strategic passage for its northbound connections since the Roman Empire. 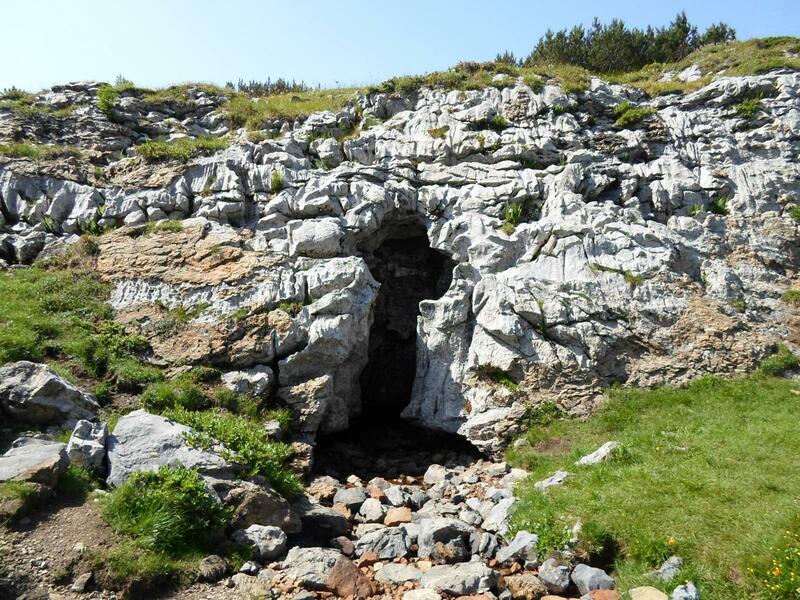 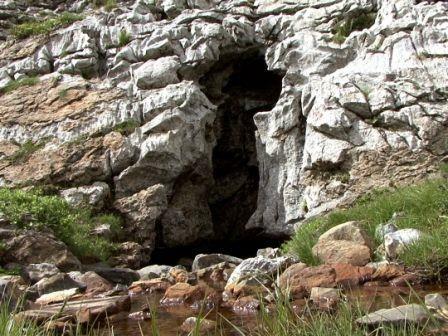 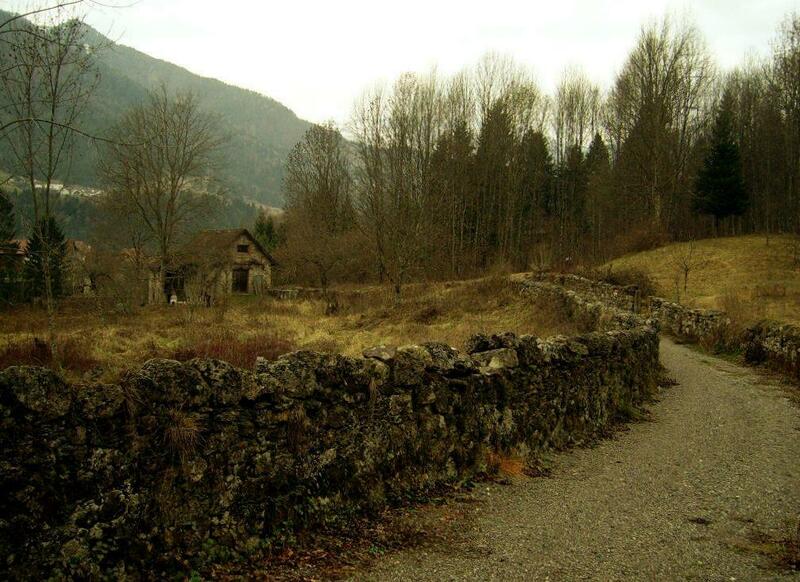 Rinch’s Hamlet: beyond a path, that run along Chiarsò torrent until Stavoli Ravit, you start climbing to reach Rinch’s Hamlet; thanks to this hike you can discover how people lived in this hamlets. 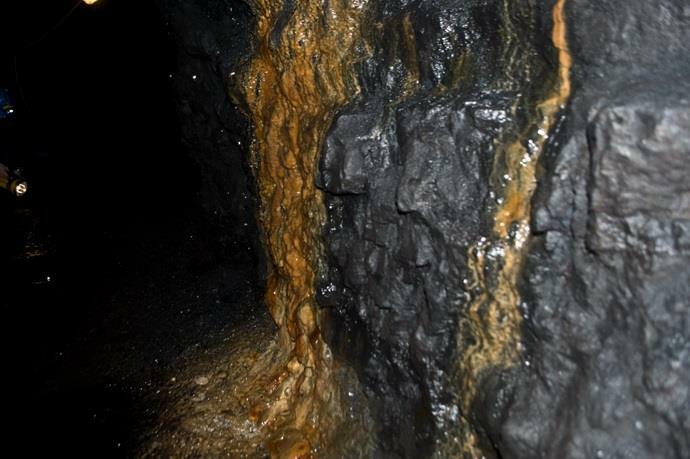 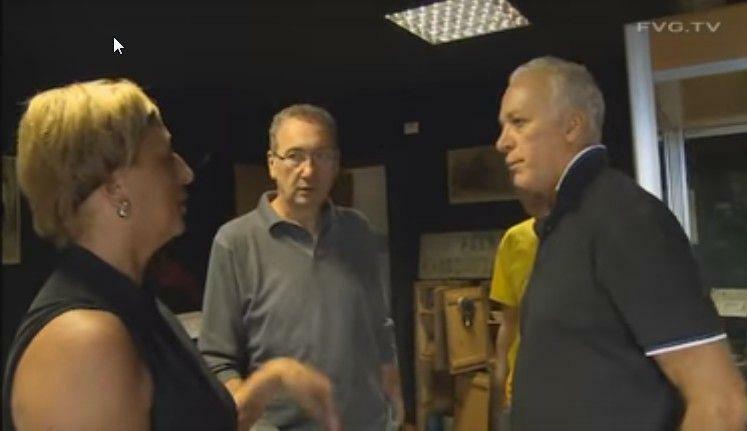 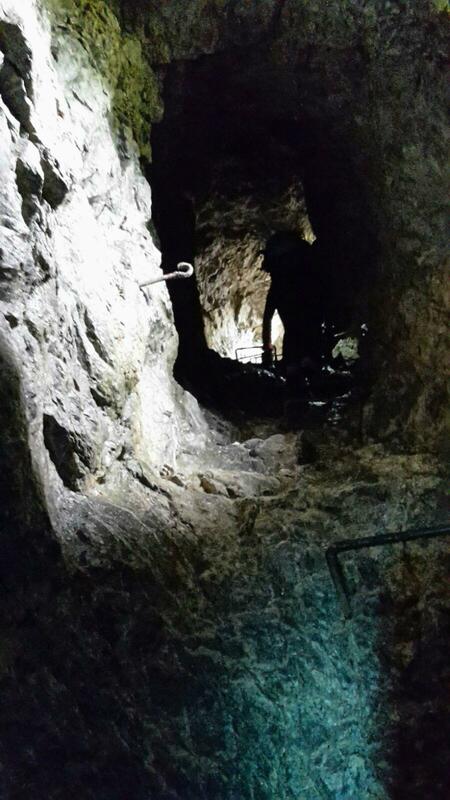 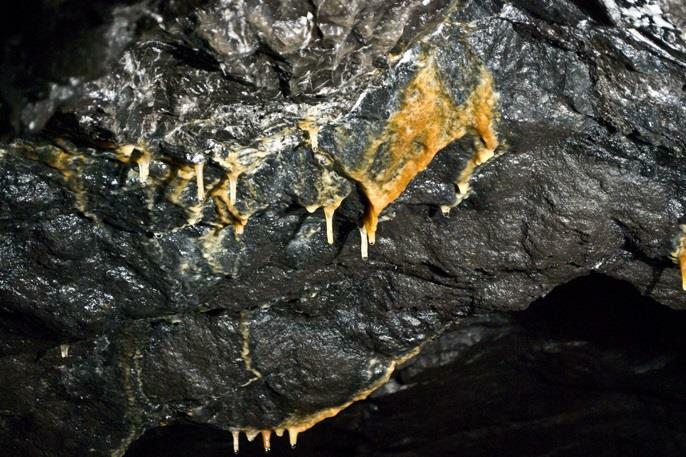 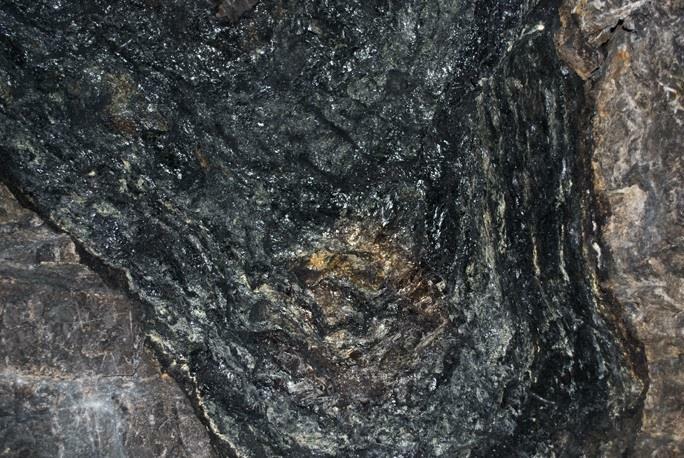 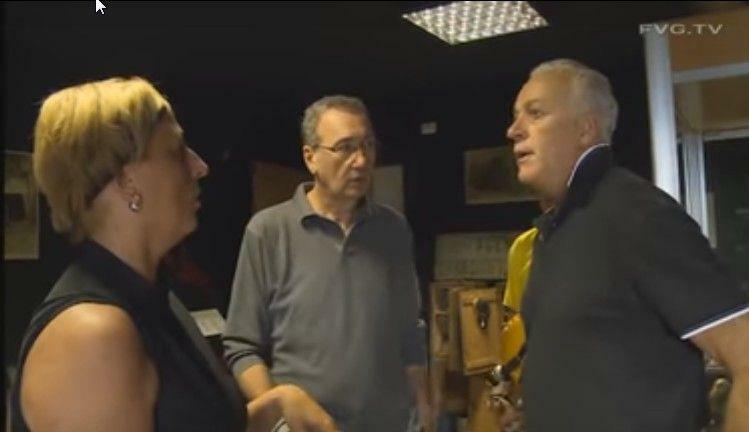 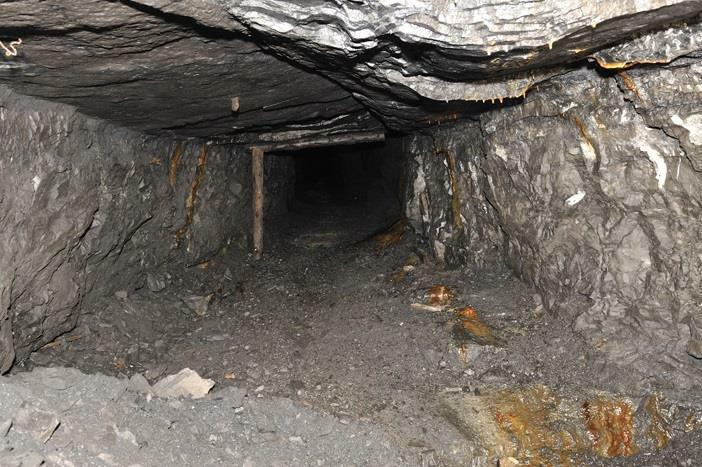 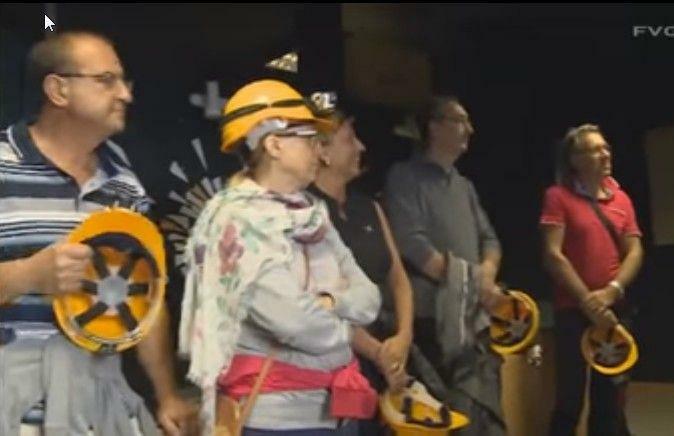 The visit to Cludinico Mine is particularly interesting . 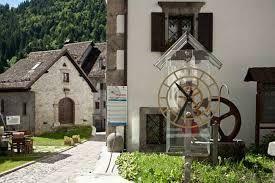 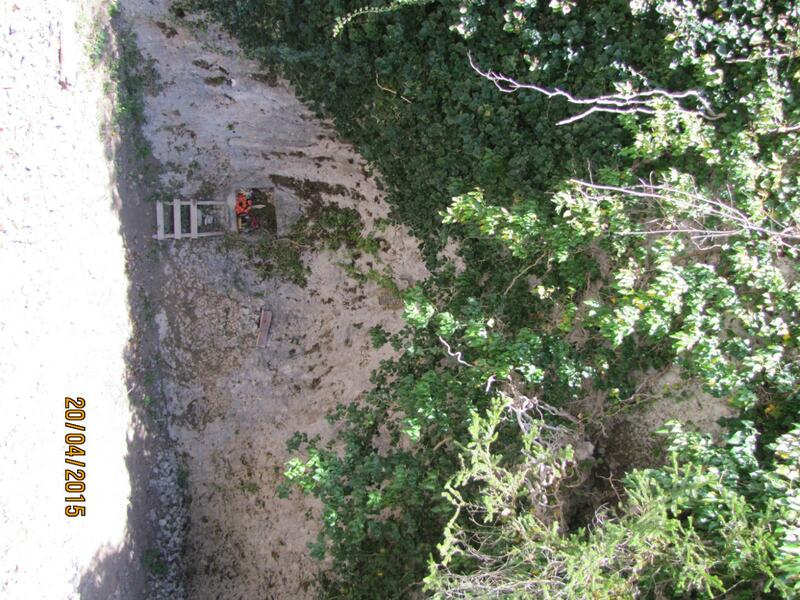 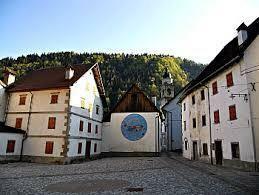 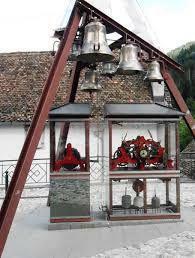 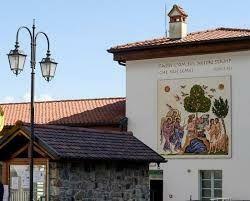 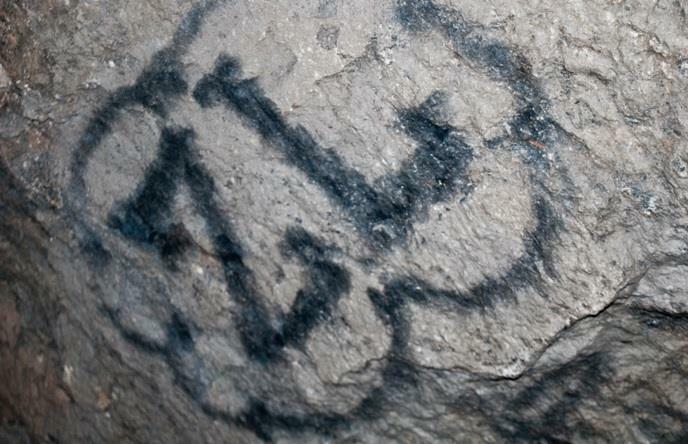 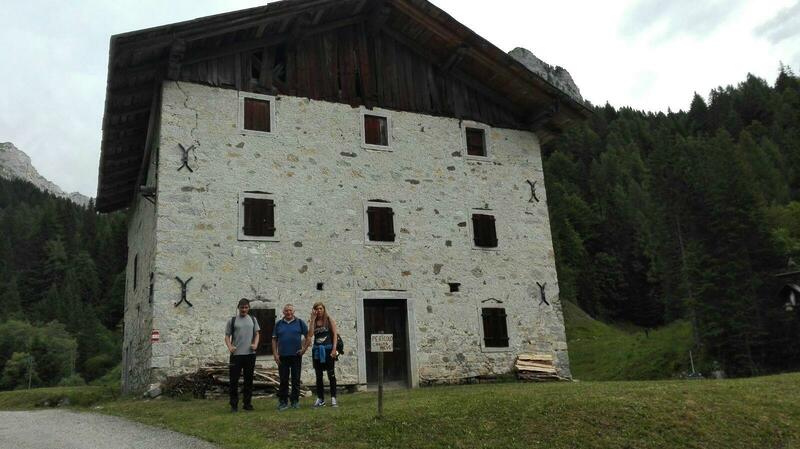 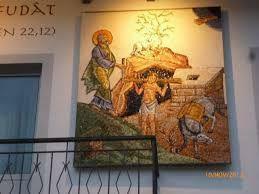 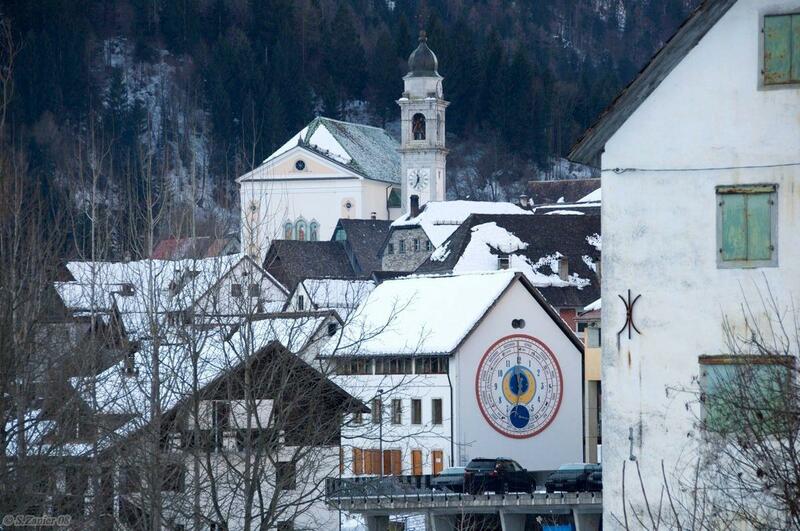 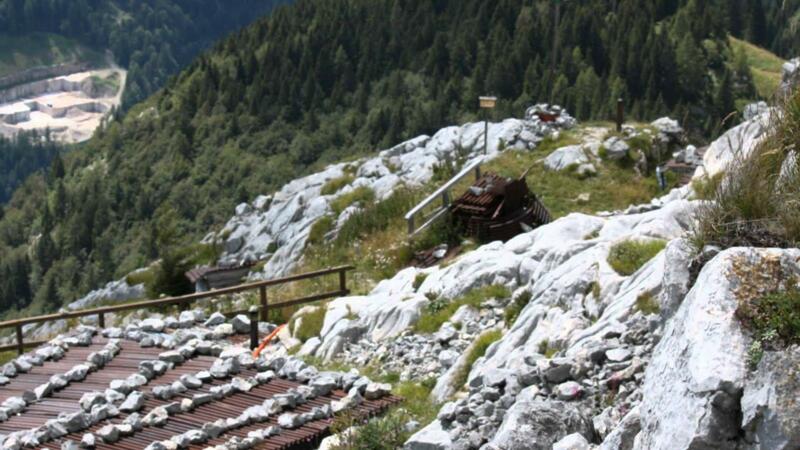 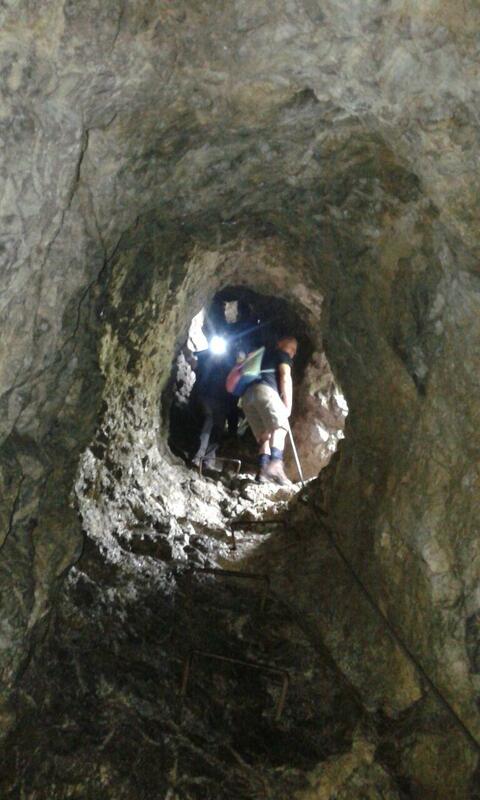 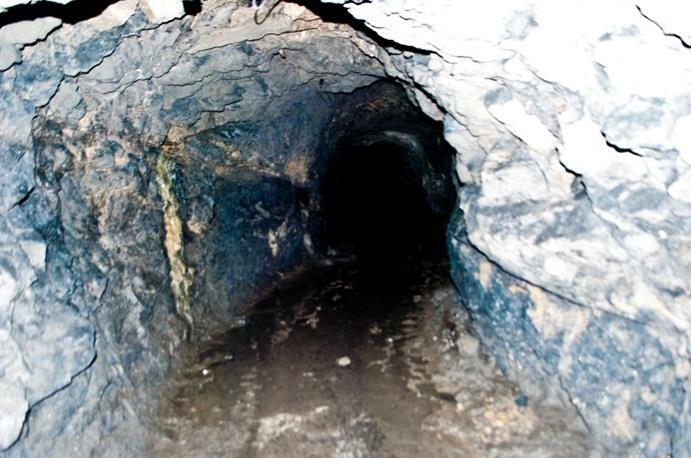 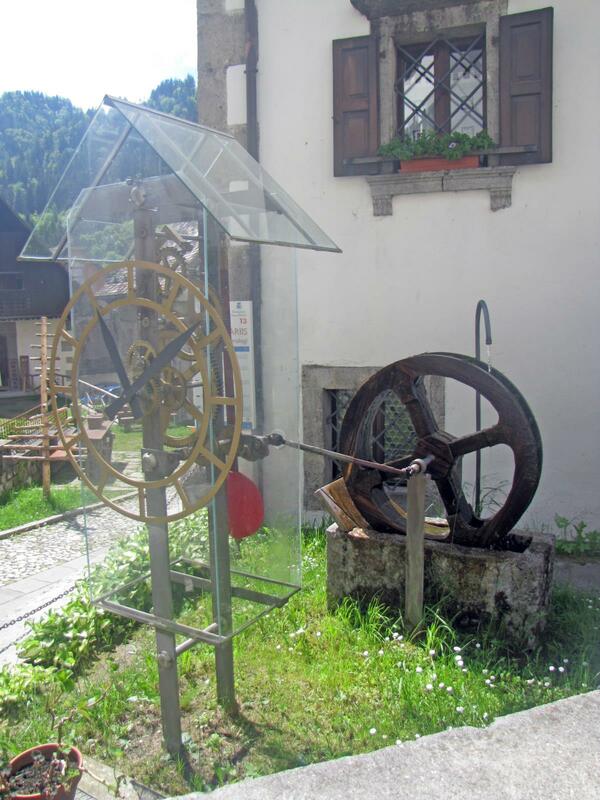 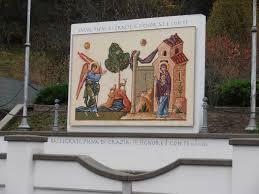 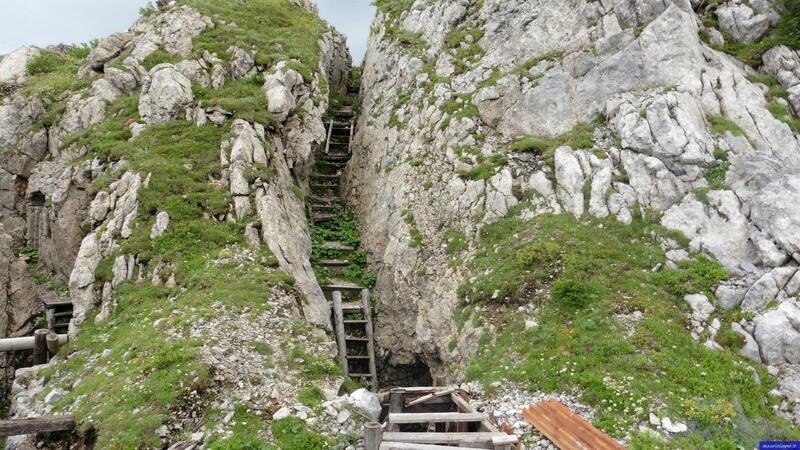 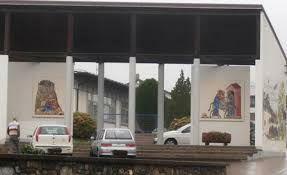 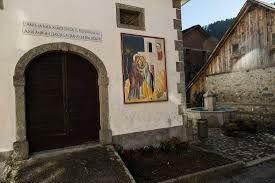 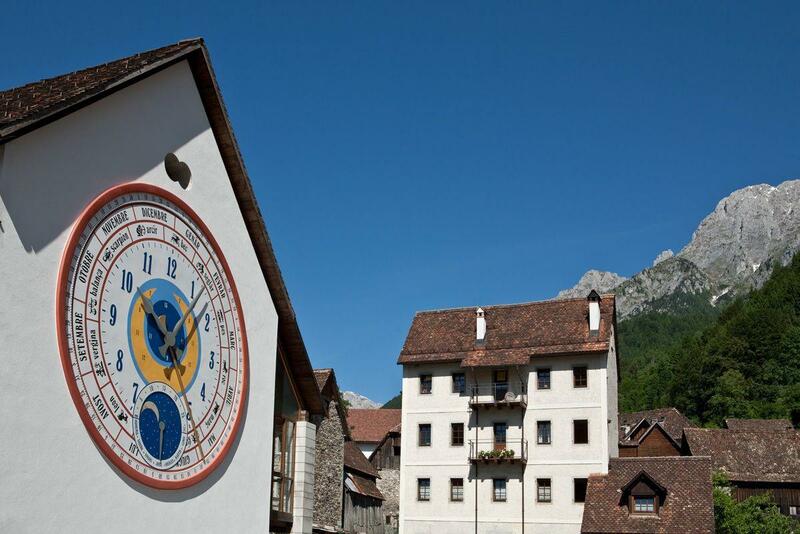 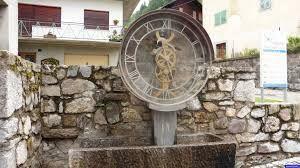 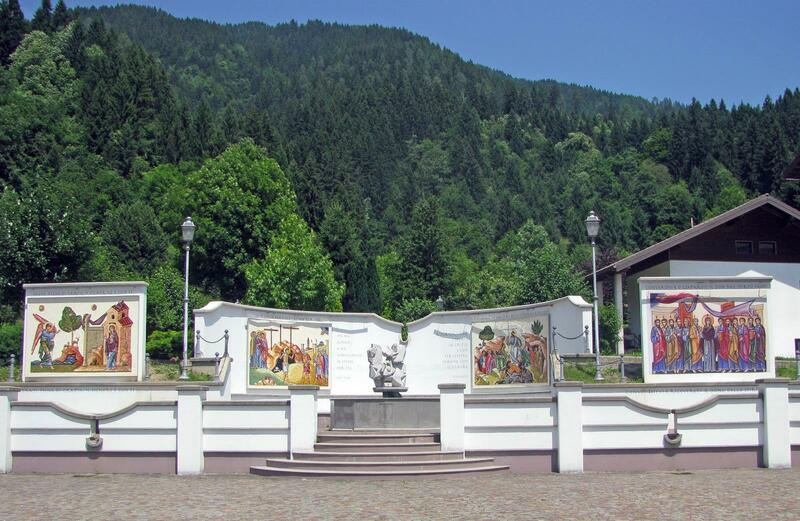 It starts from the village of Cludinico and then go down the entrance of the mine , through the Miner's Museum . 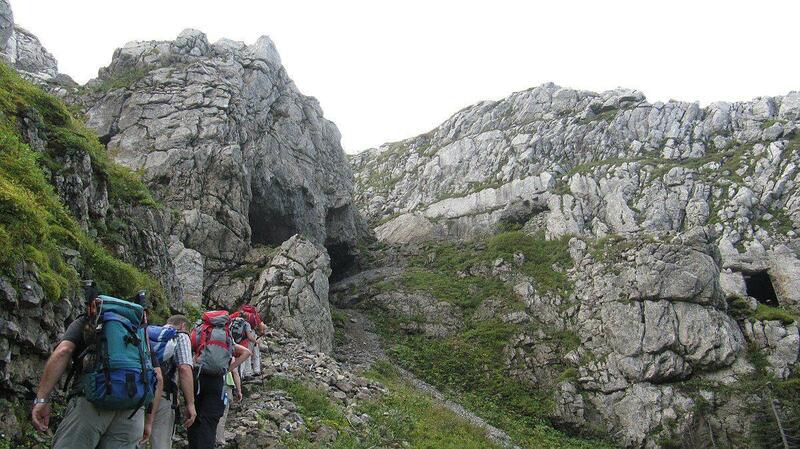 The tour lasts 3 hours approximately . 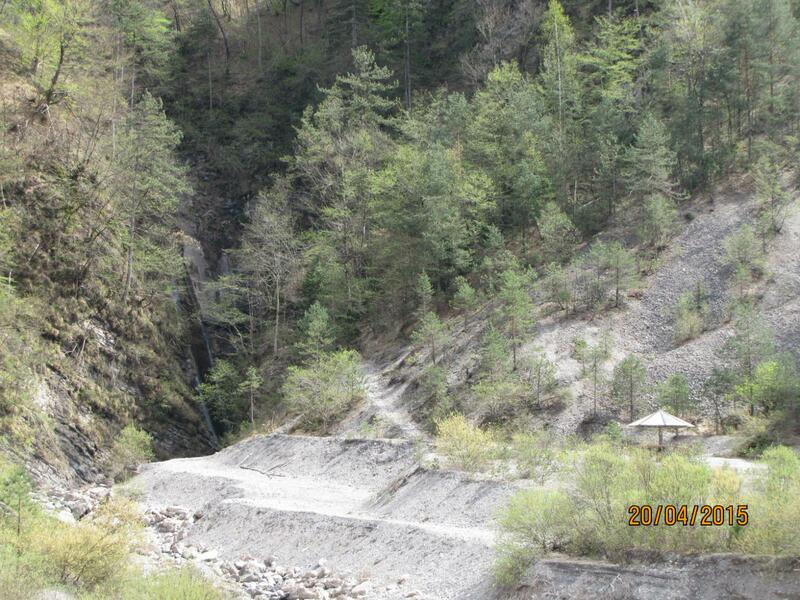 And ' advance reservation required !! 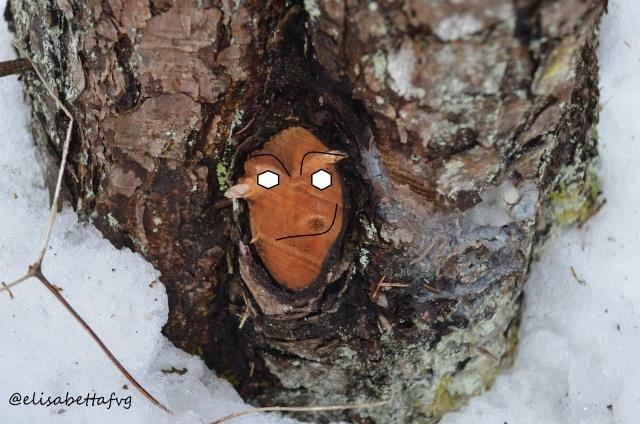 See you the Clap Forat?? 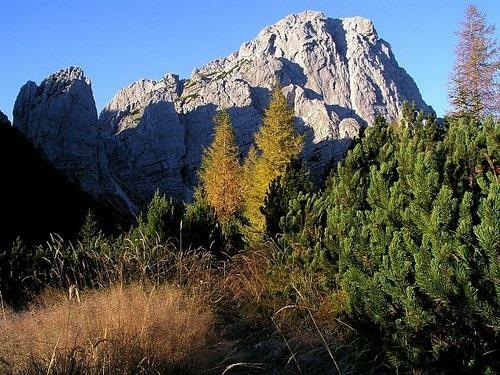 Not only Timau’s lakes: outside from the wood it’s possible admire fantastic sceneries: Freikofel, Pal Grande, Creta di Timau and Gamspitz and also historic and military trails. 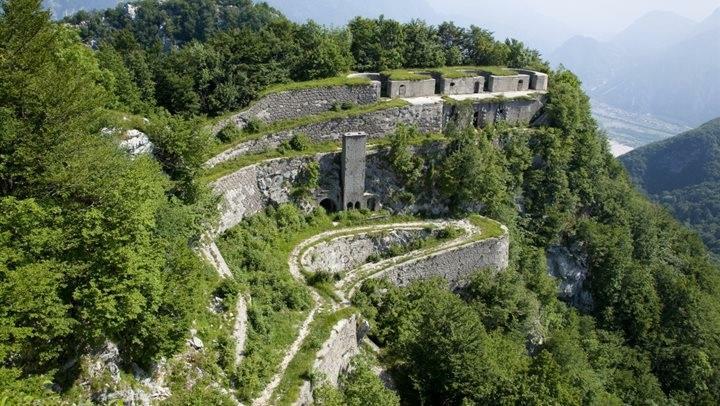 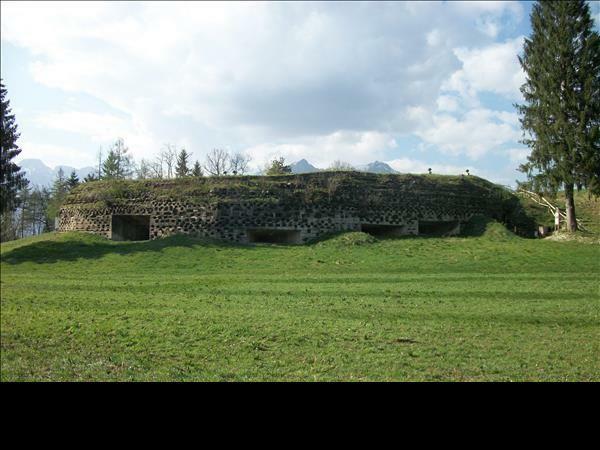 Places of history, traditions and culture: magnificent place near Austrian border, between “casere” and World War’s fortifications, at 1800 m of altitude, passing across Casera Collinetta di Sotto’s meadows. 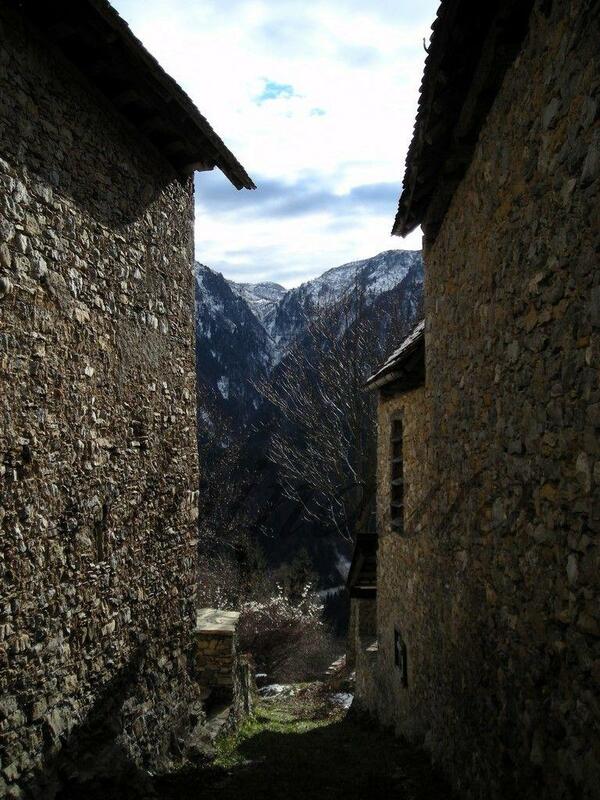 Gorgeous sights between history and landscape, with breathtaking views. 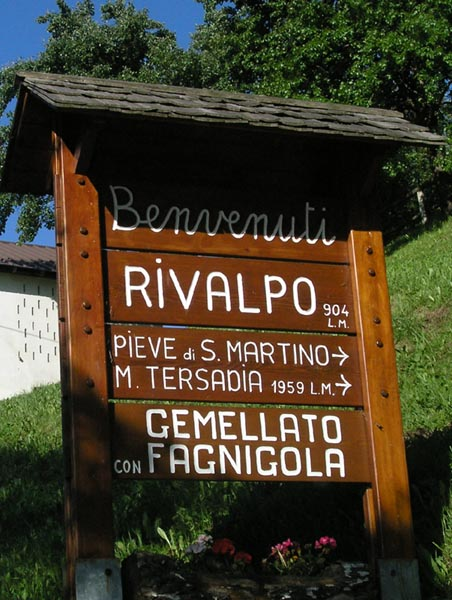 Rivalpo – Cabia (Arta Terme) easy two hours trip, an old side trail of Via Julia Augusta, that led to high pasture lands and to Austria. 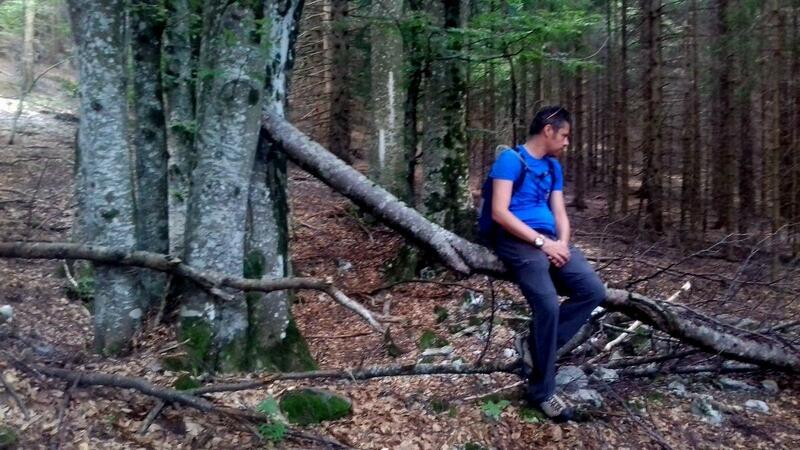 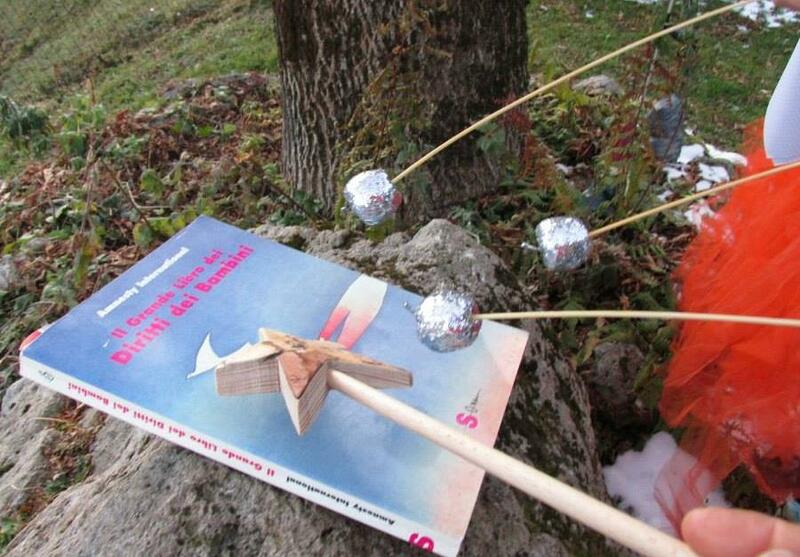 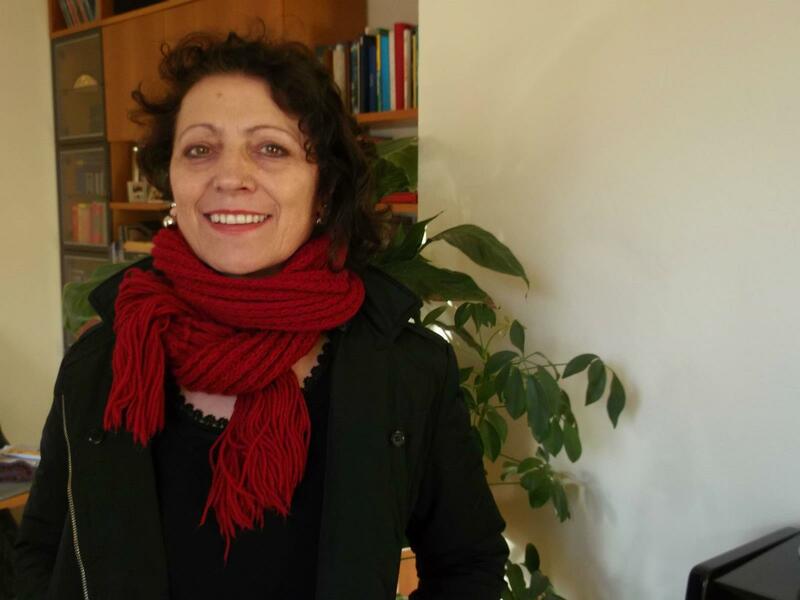 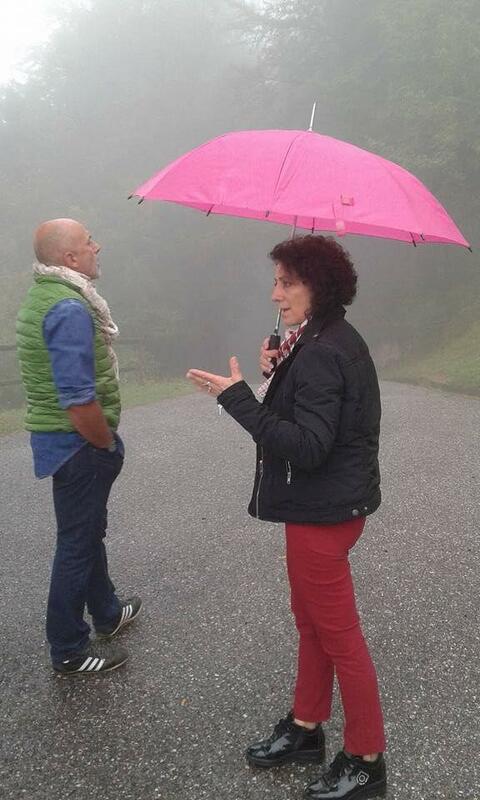 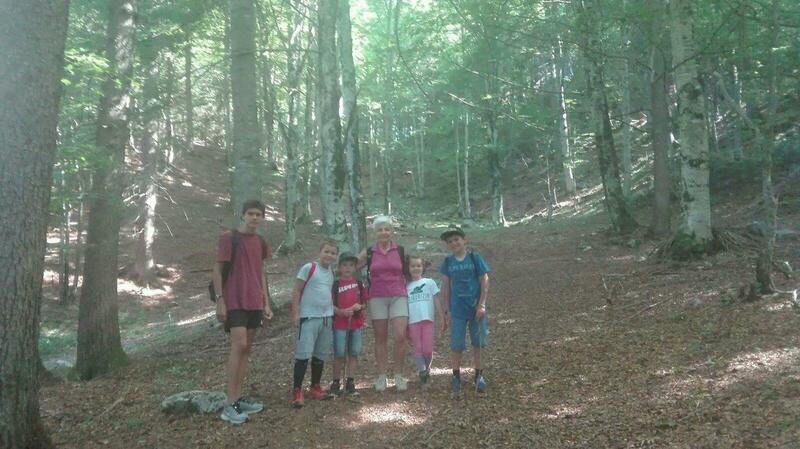 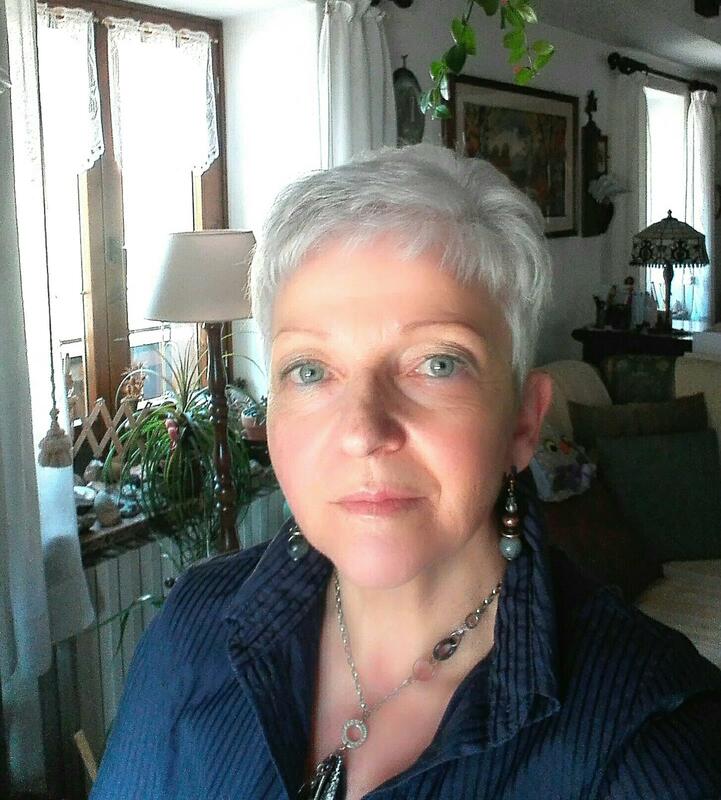 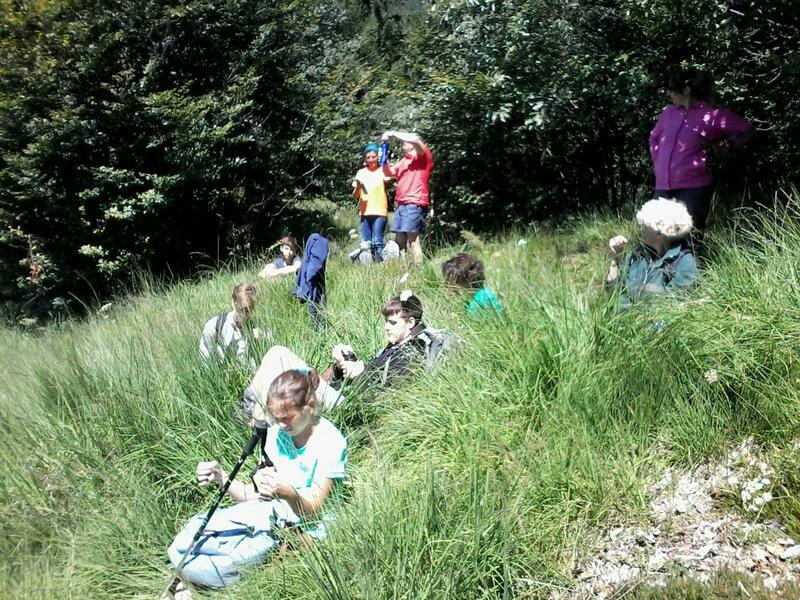 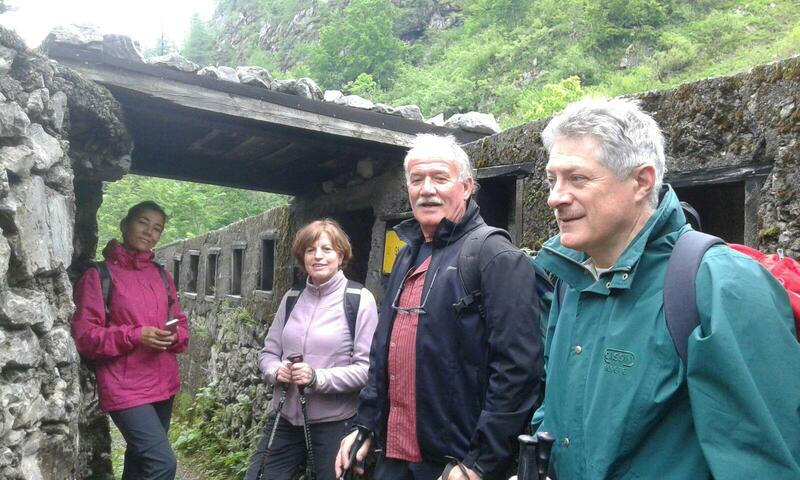 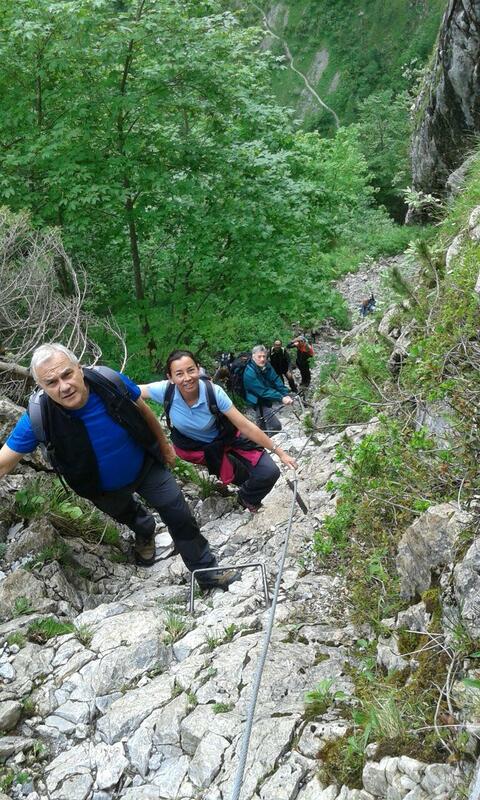 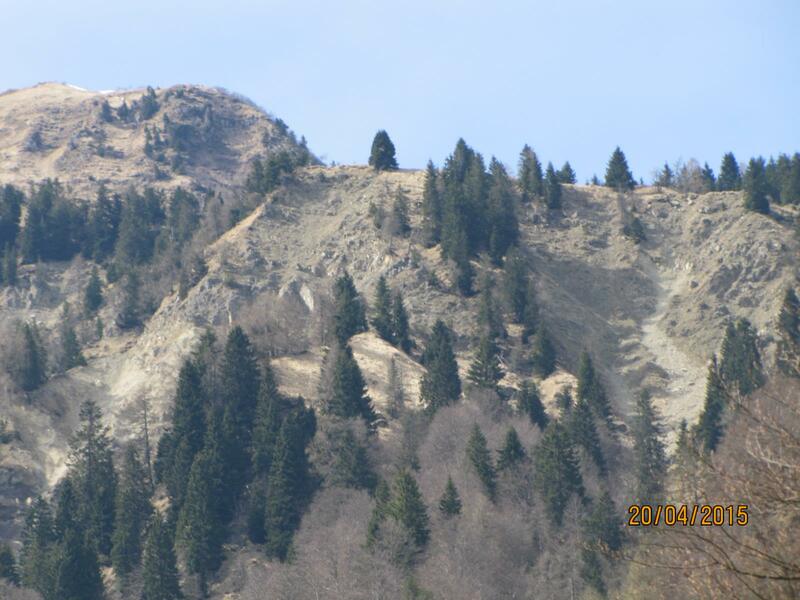 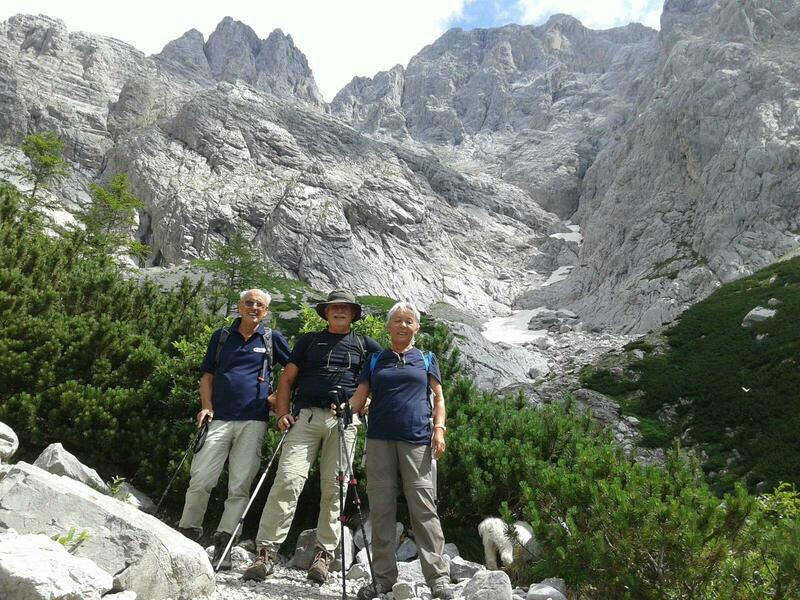 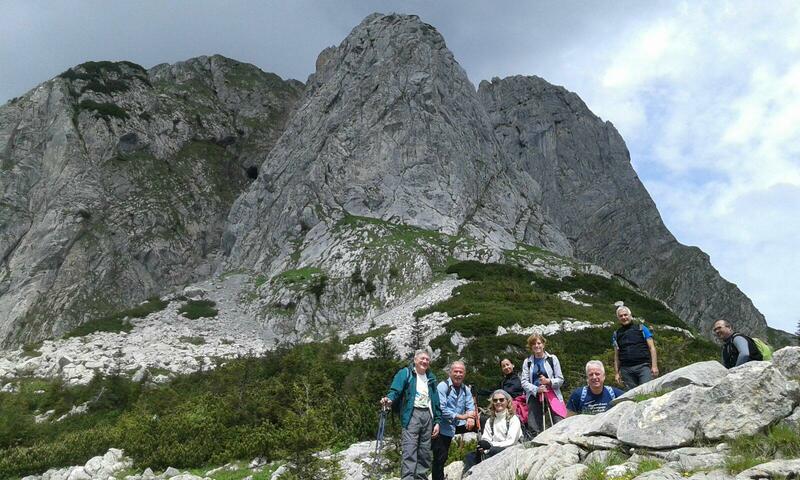 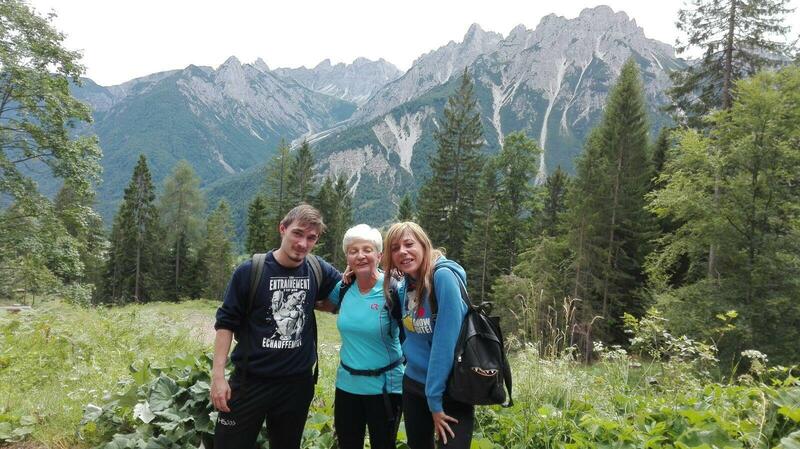 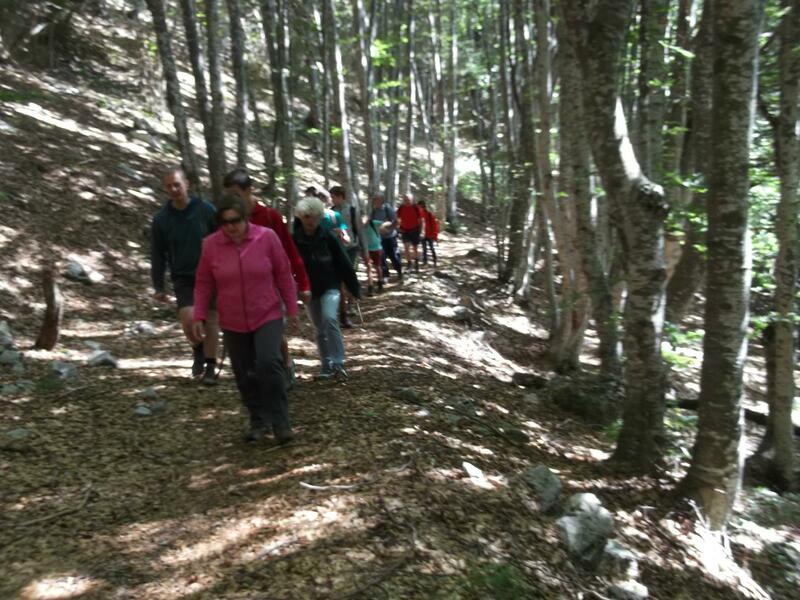 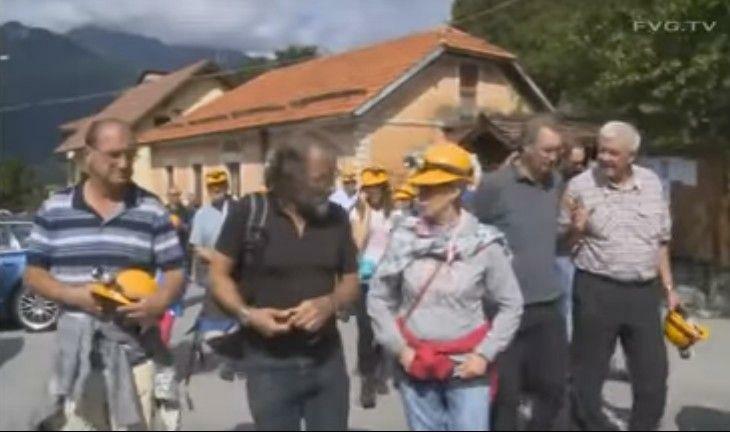 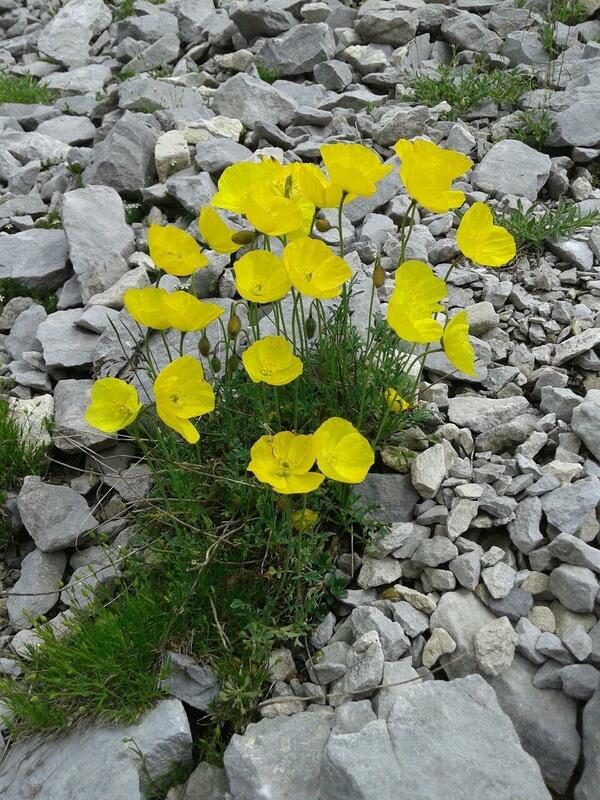 Wonderful wiews at Mount Sernio and Mount Palasecje. 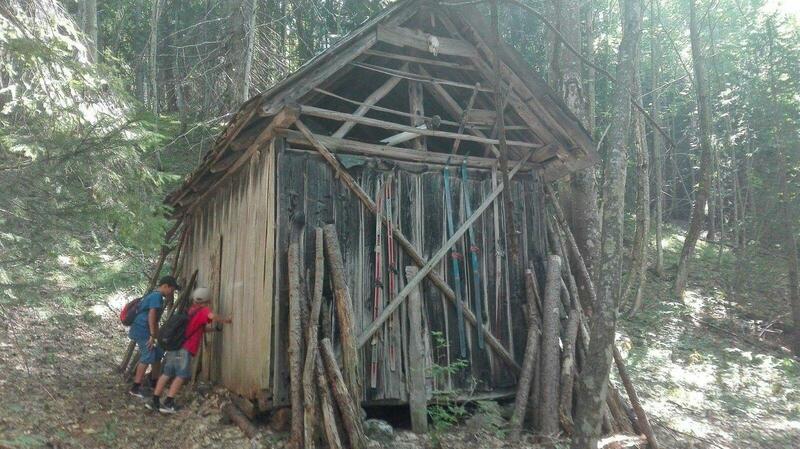 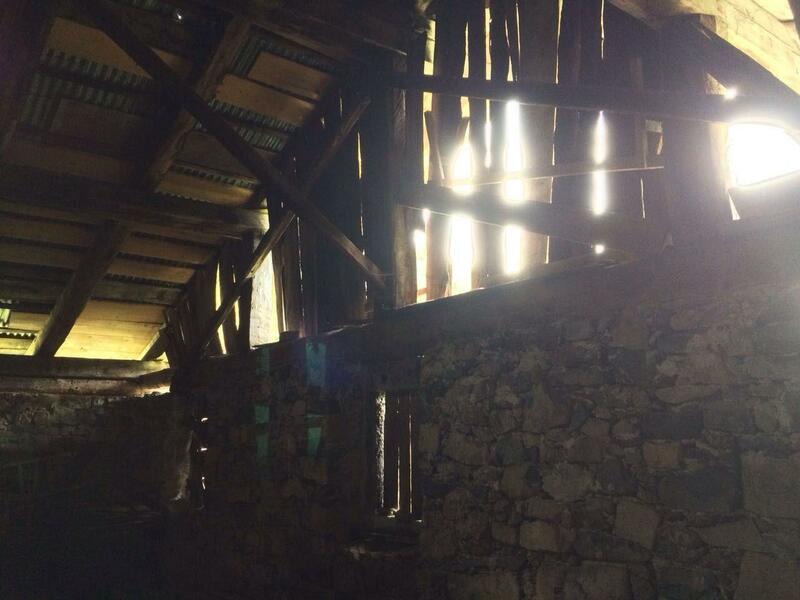 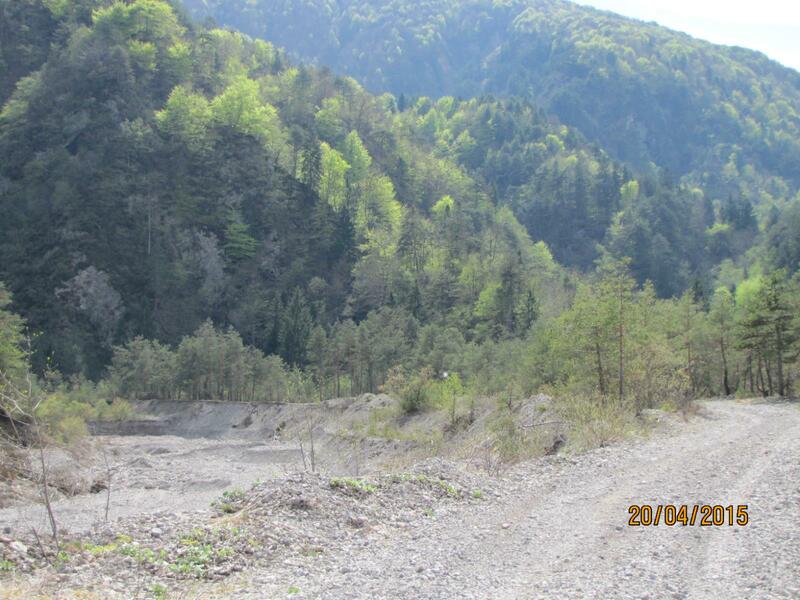 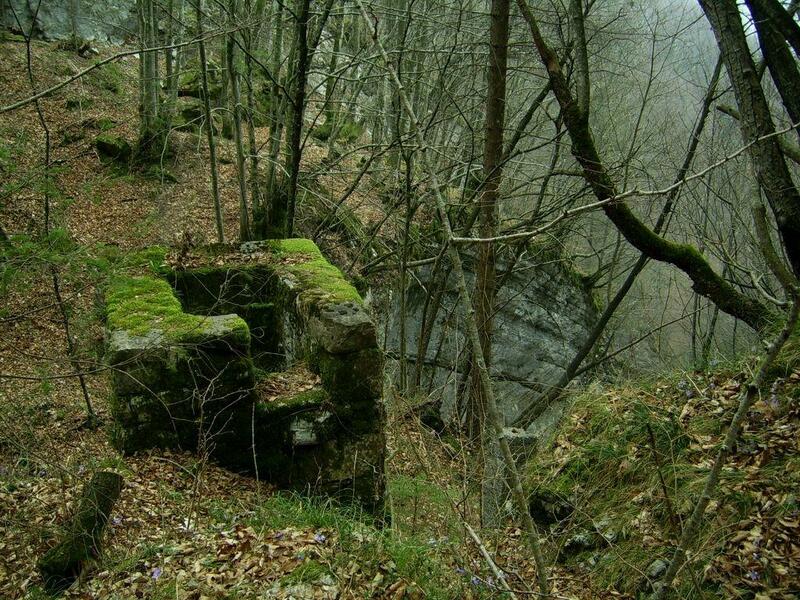 Starting from Rivalpo village you walk along a narrow road and you meet woods, brooks, ravins, a ruined mill. 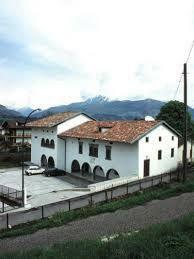 At last you arrive in Cabia village, renown for its spirits distillery. 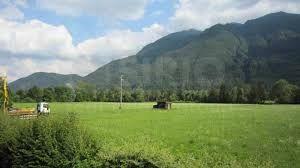 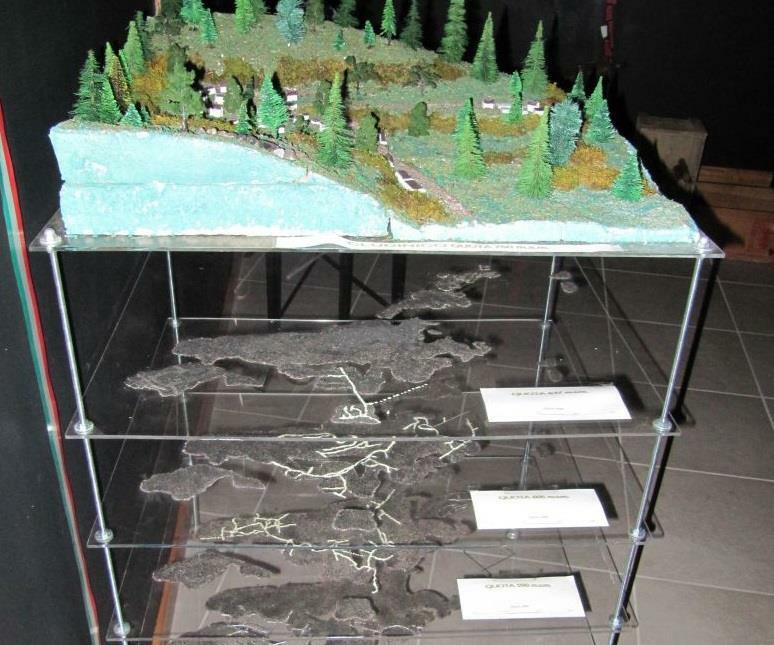 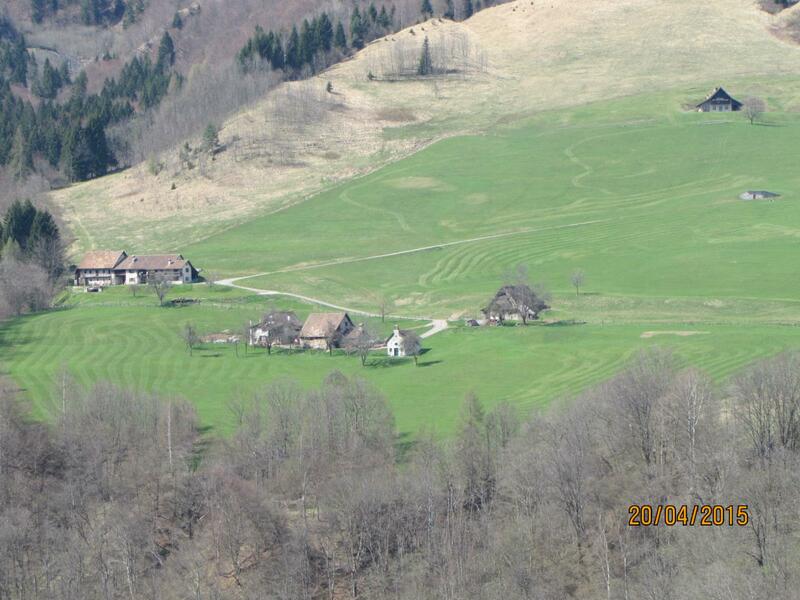 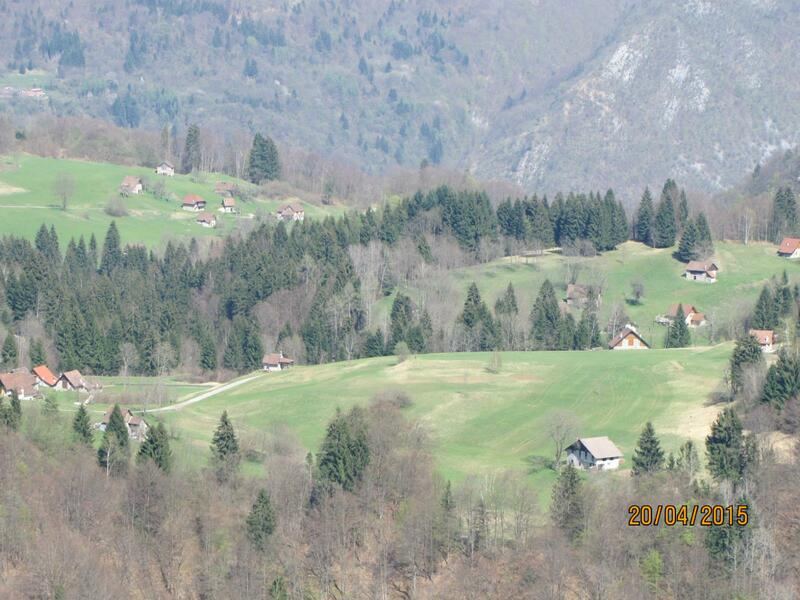 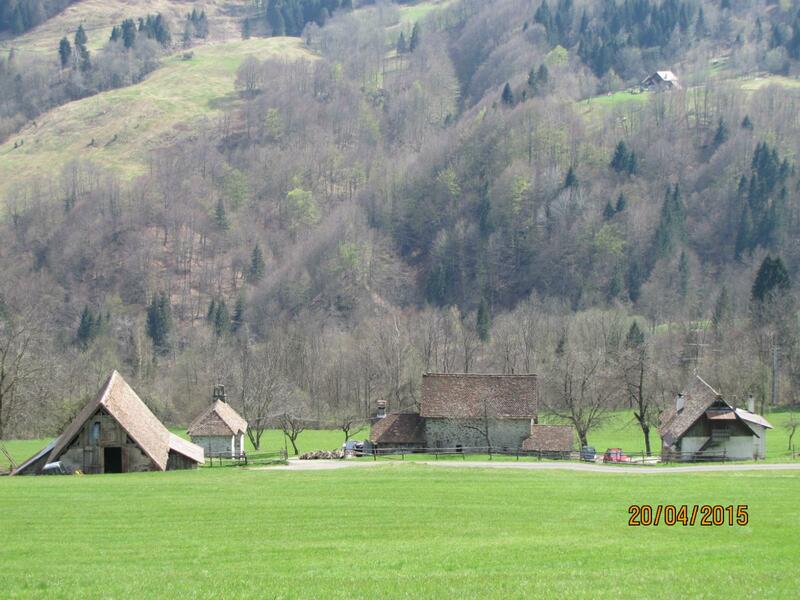 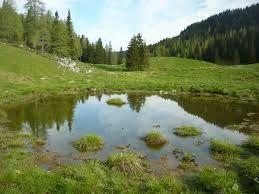 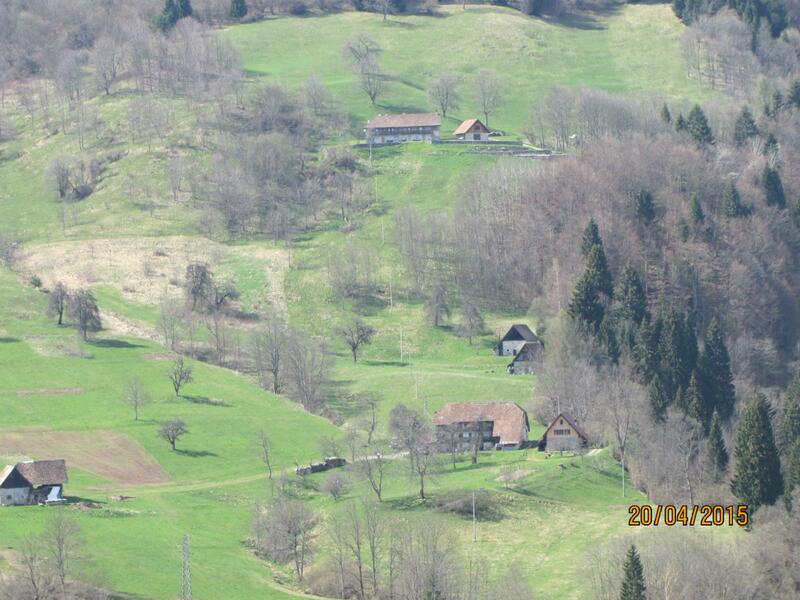 A big natural anphitheatre, 1250 m a.s.l., time ago a large meadow now thoroughly colonized by wood. 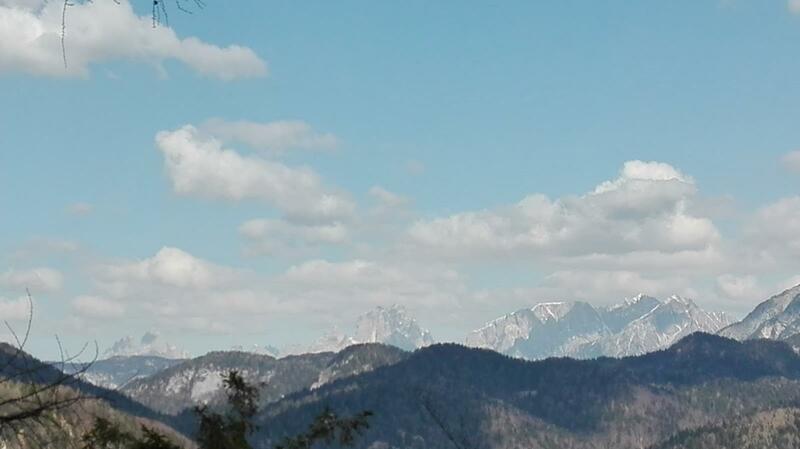 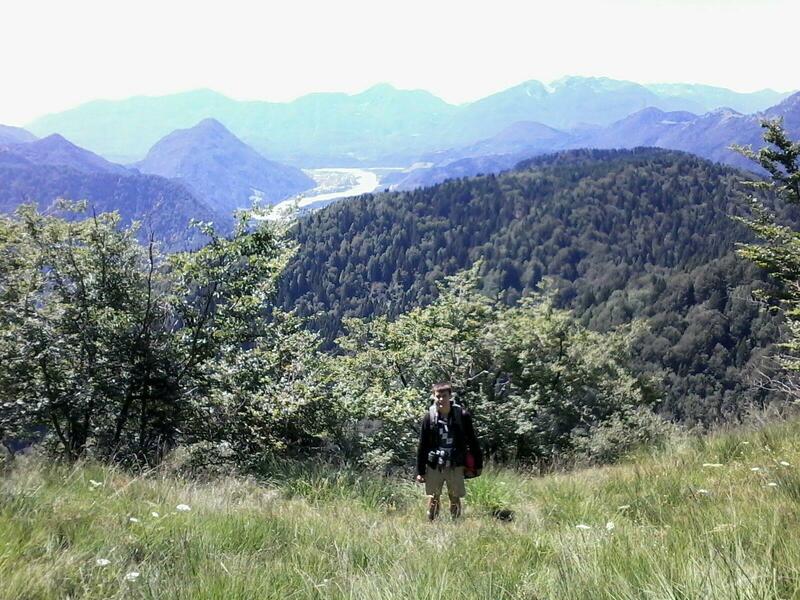 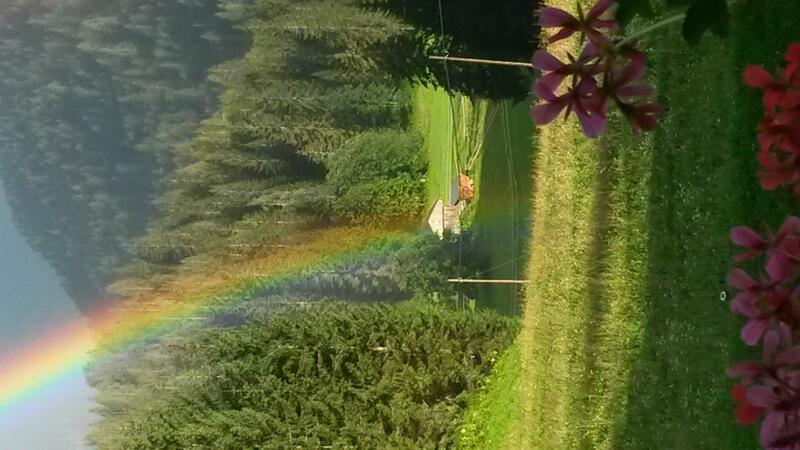 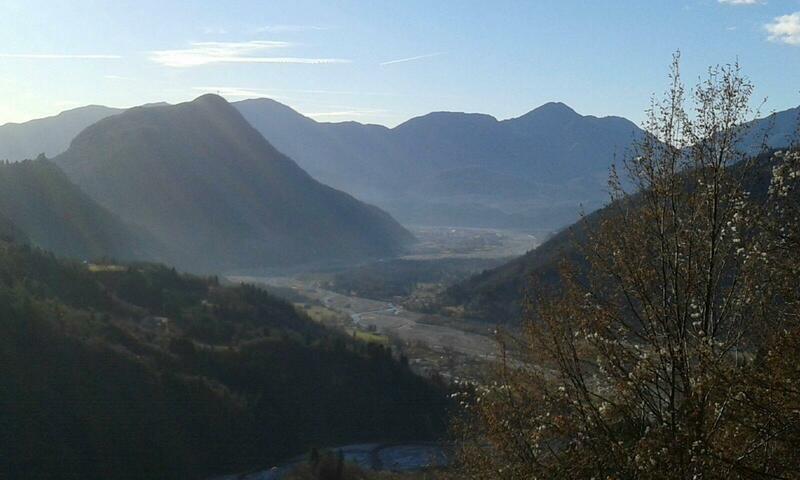 Magnificent wiew over the But Valley and to Mount Sernio. 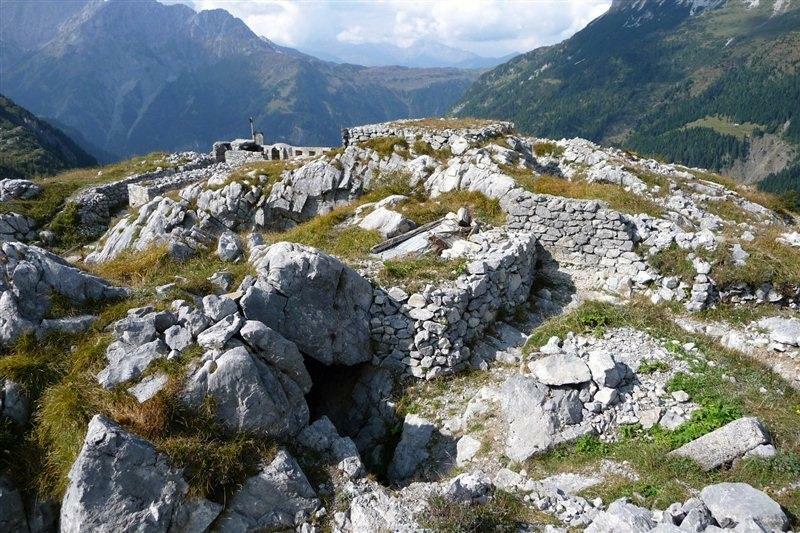 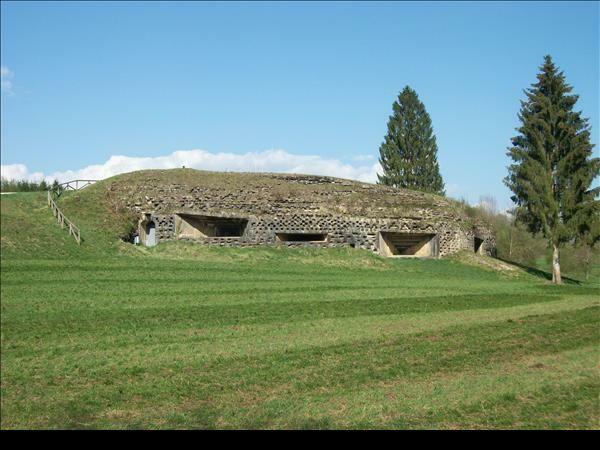 You can see an ancient settlement of unknow origin, with fifteen ruins of stone huts, some fields and graves. 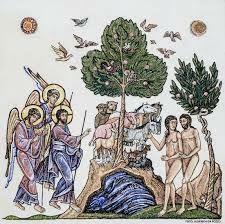 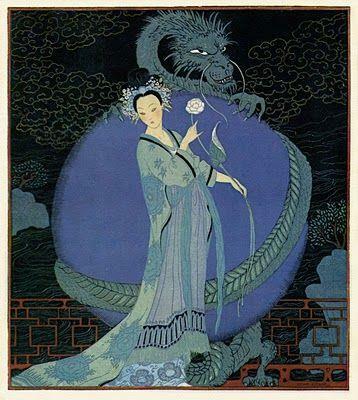 “Pagans” lived there, a tribe of non- christian people who adored a gold goat. 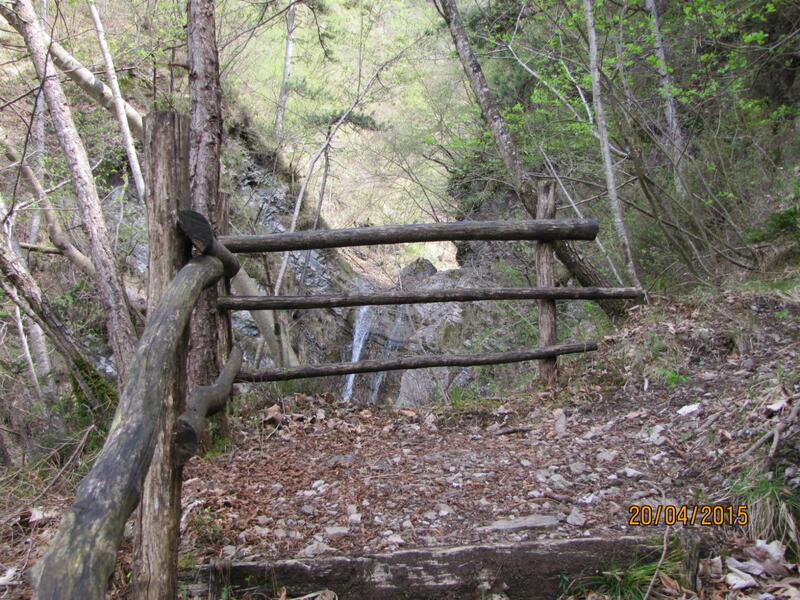 You follow an ancient trail to a couple of Shrines in the area. 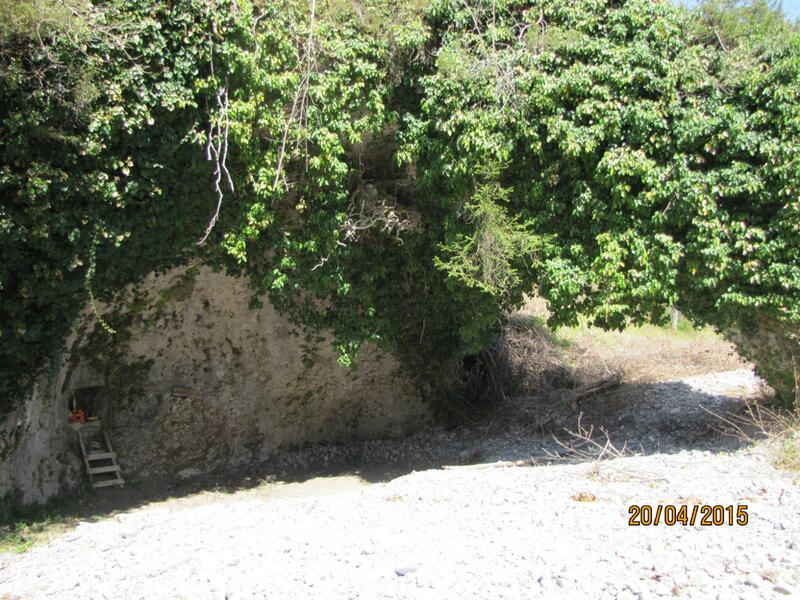 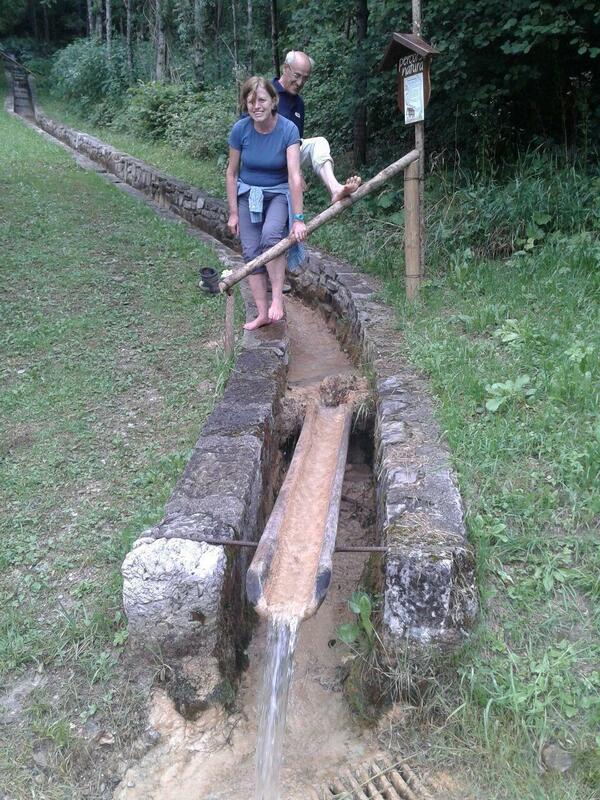 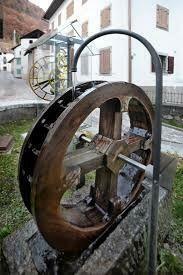 From the village of Valle you go down along a path in the wood and you get to an impetuous brook and an ancient mill. 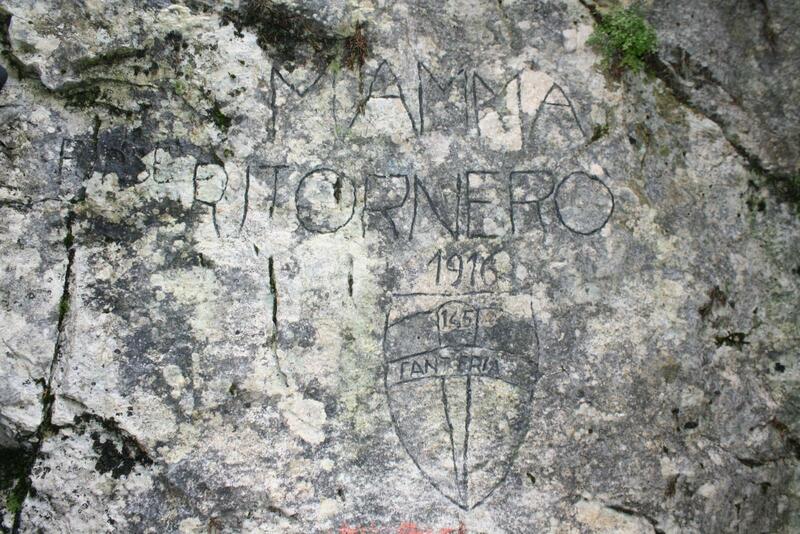 In the surroundings on a slope there is a big stone with hundreds of names engraved on it. 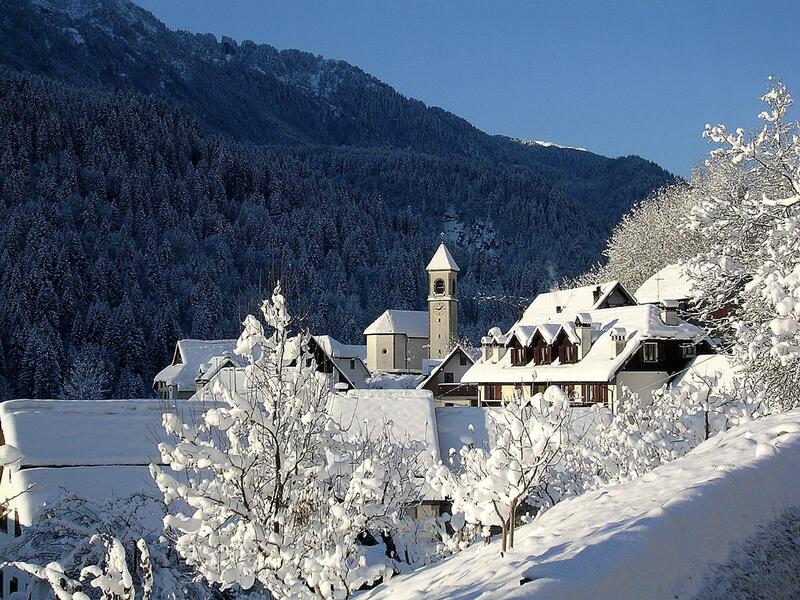 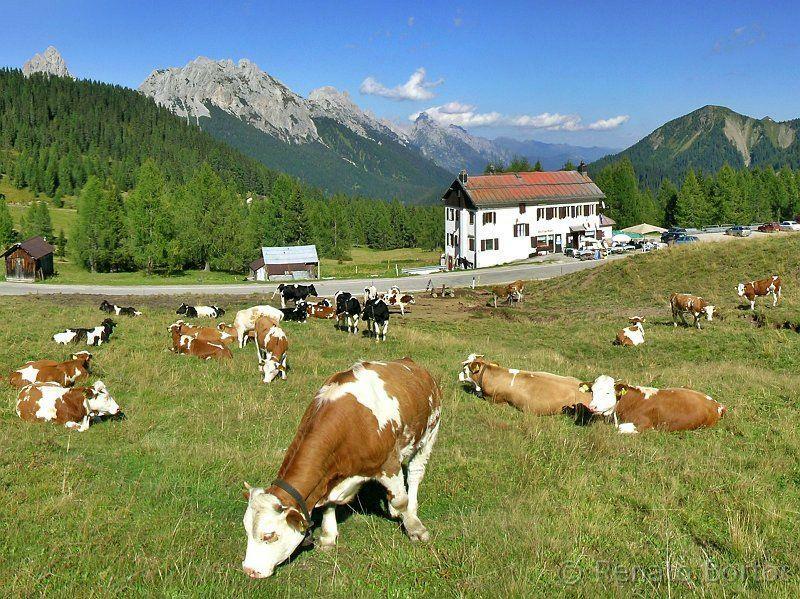 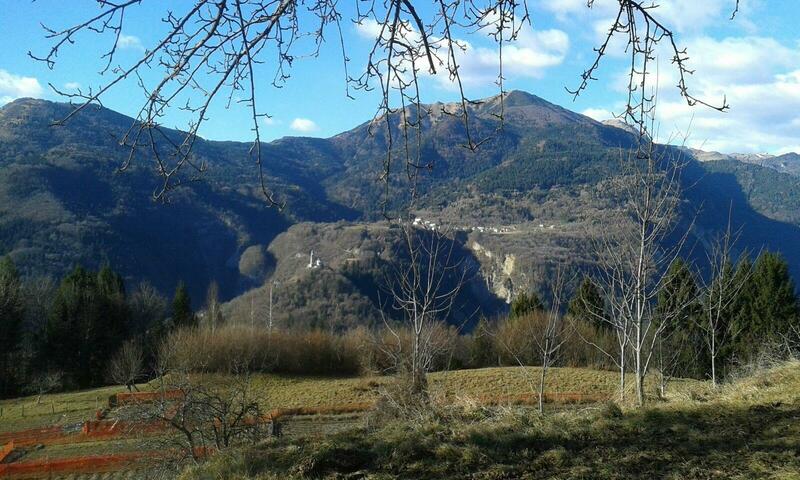 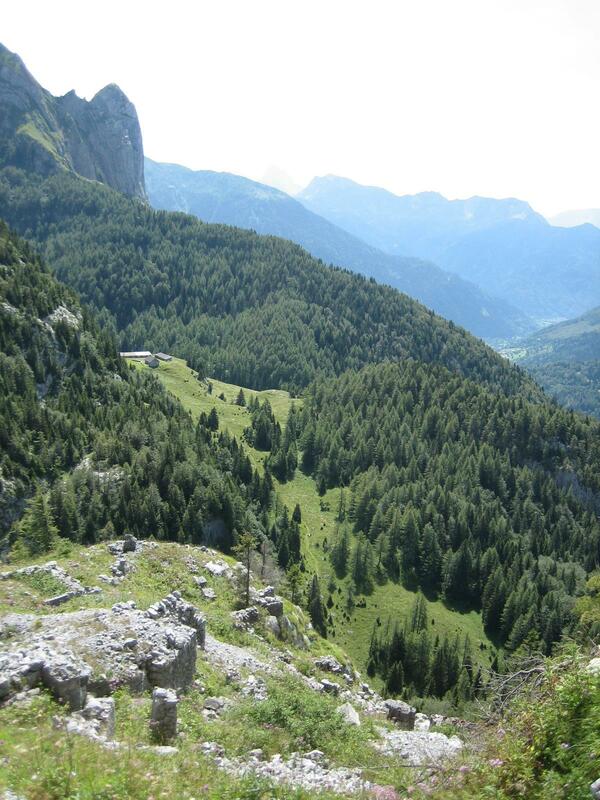 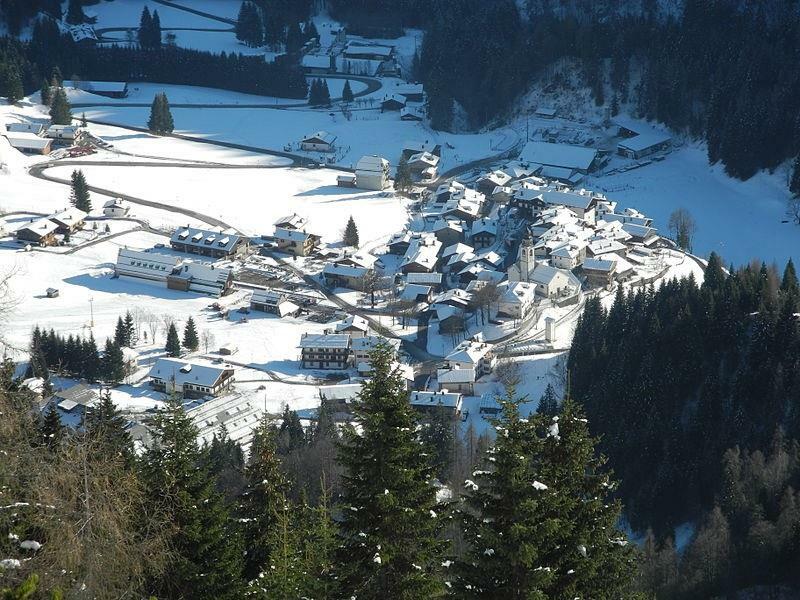 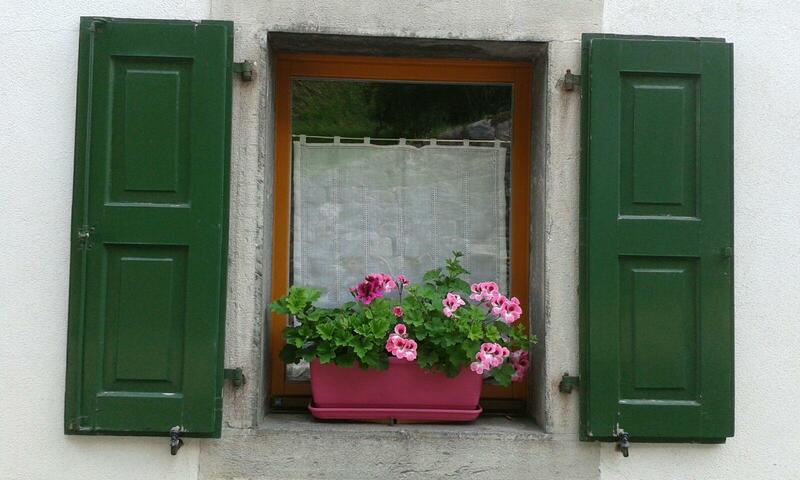 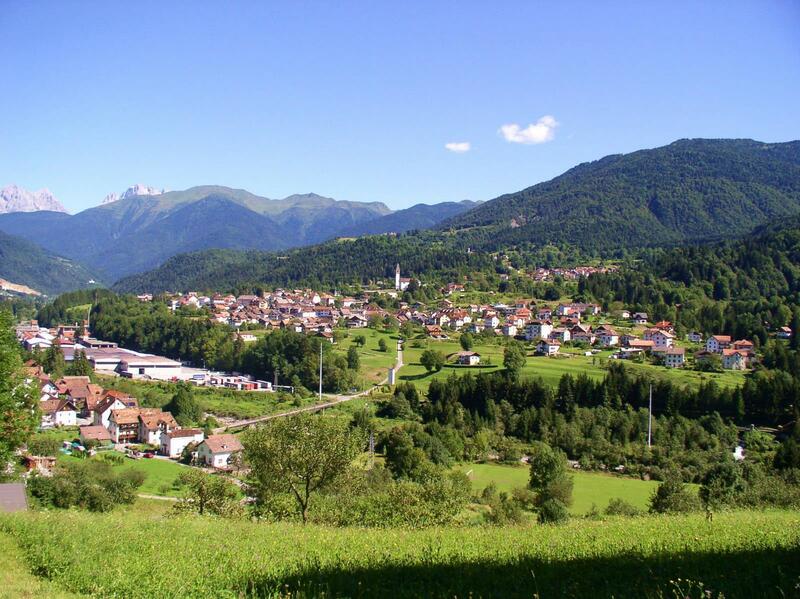 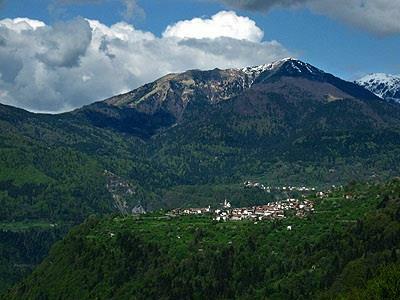 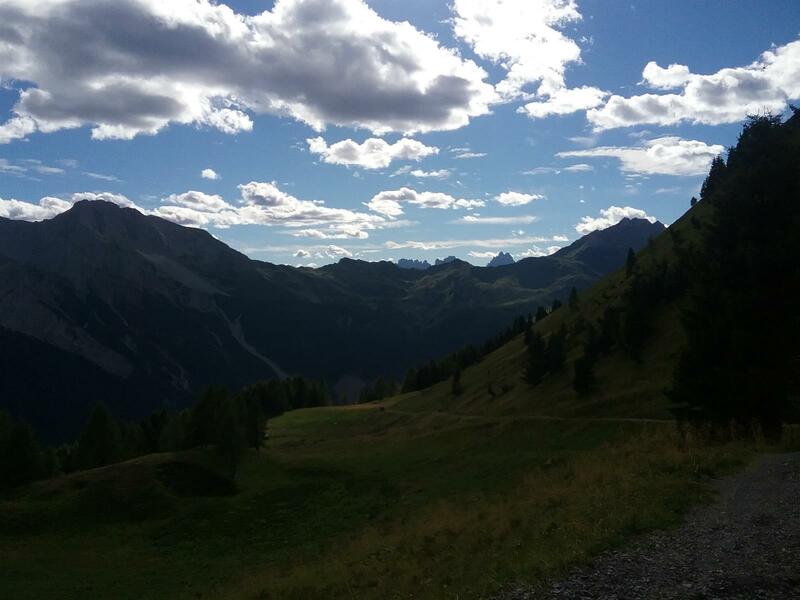 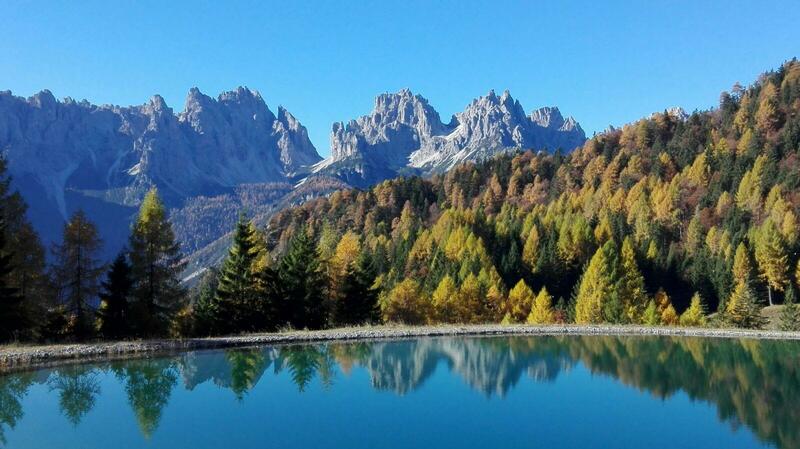 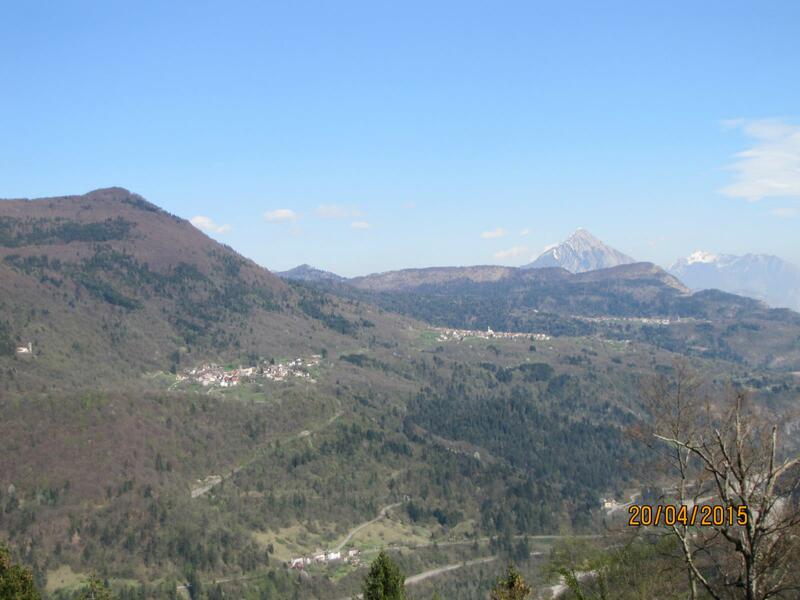 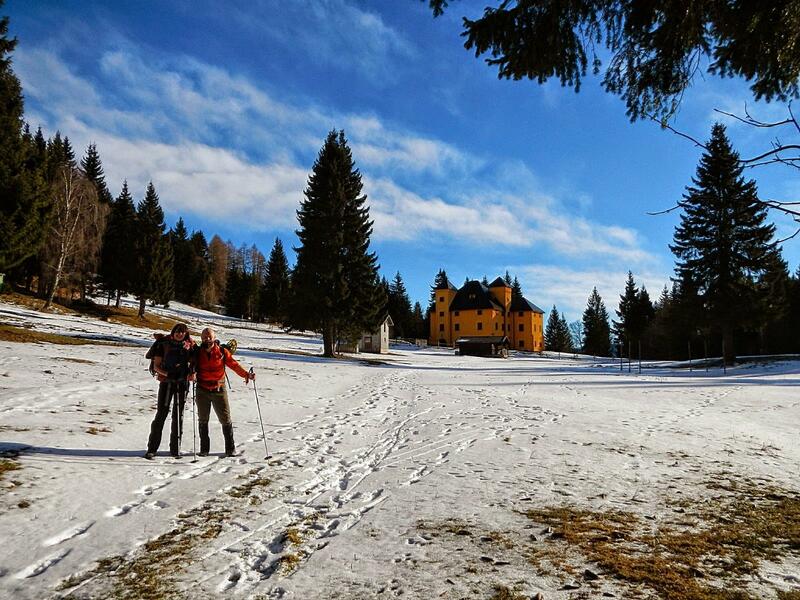 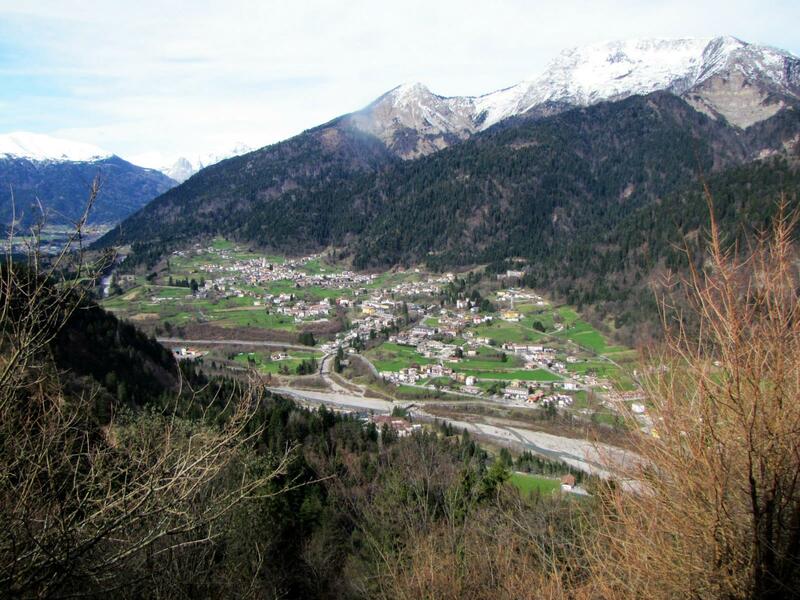 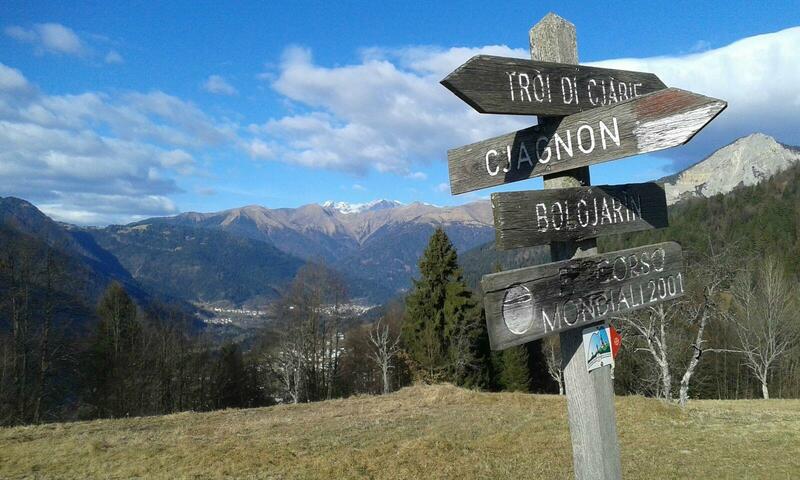 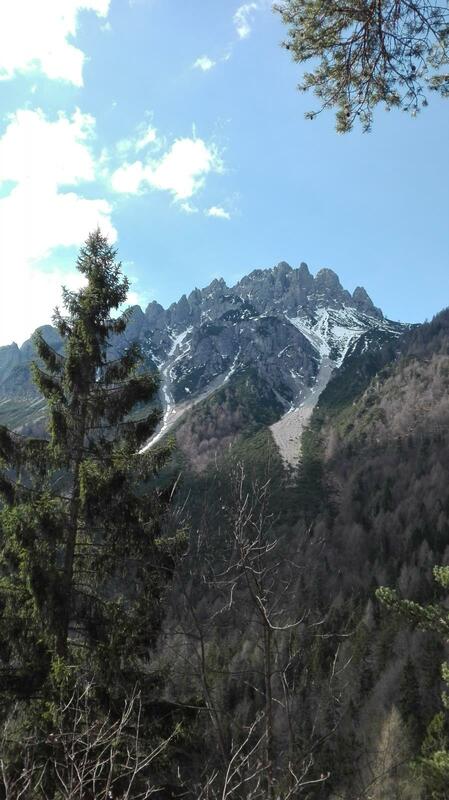 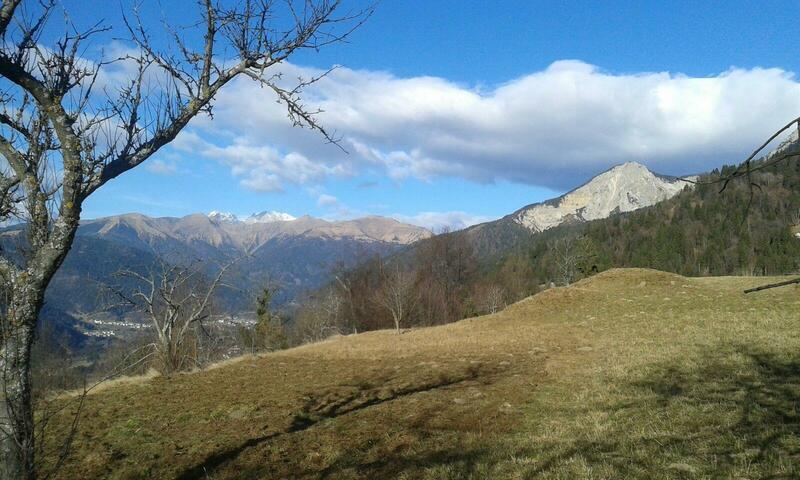 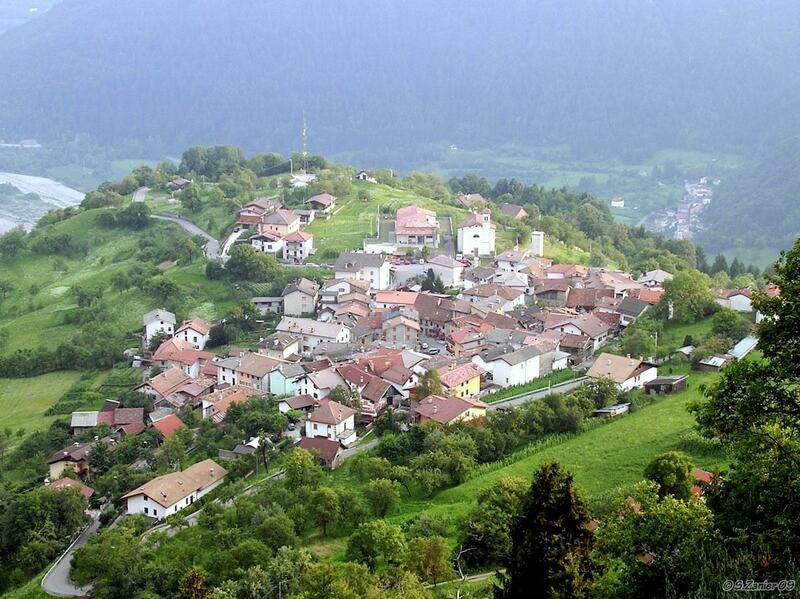 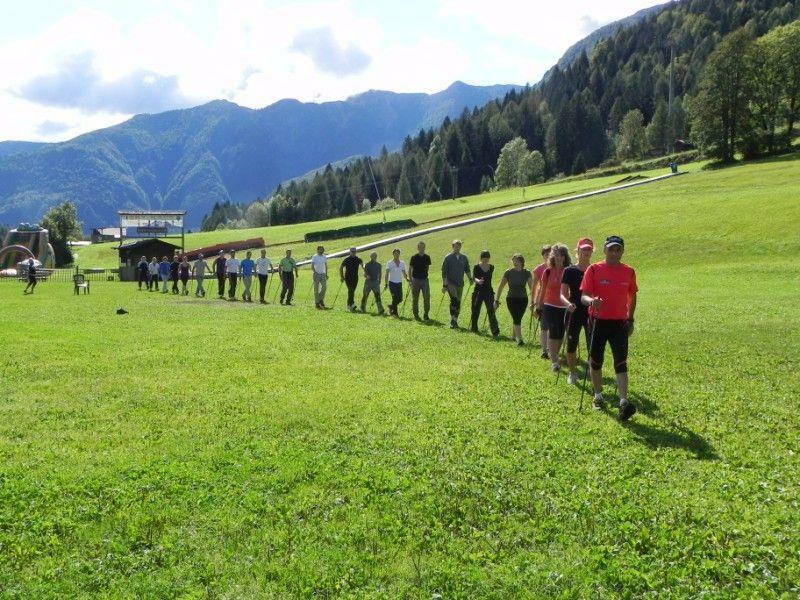 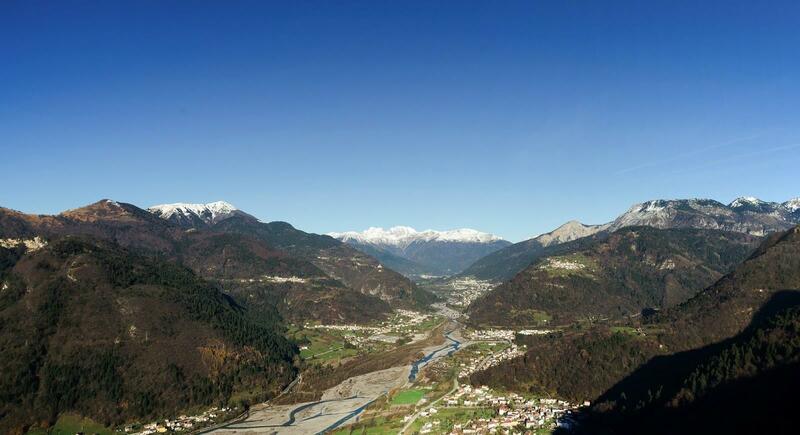 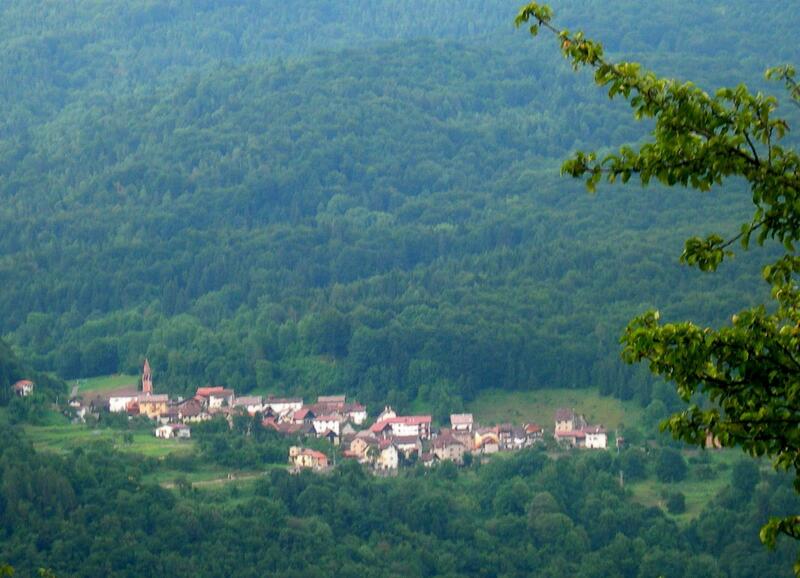 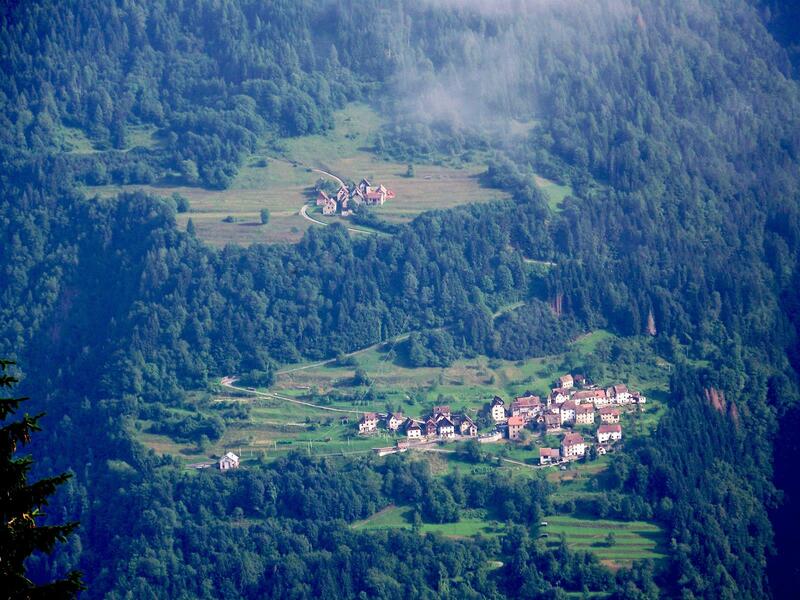 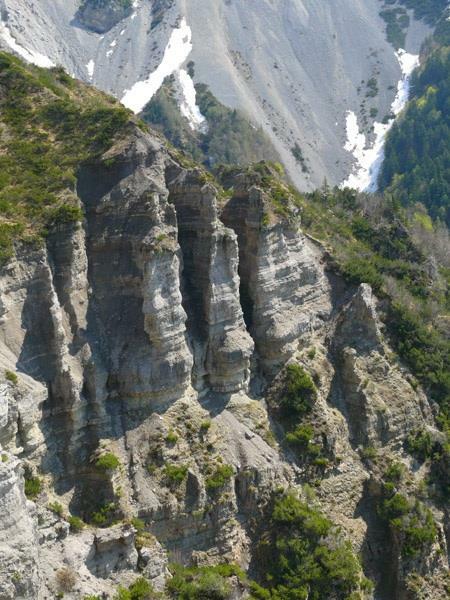 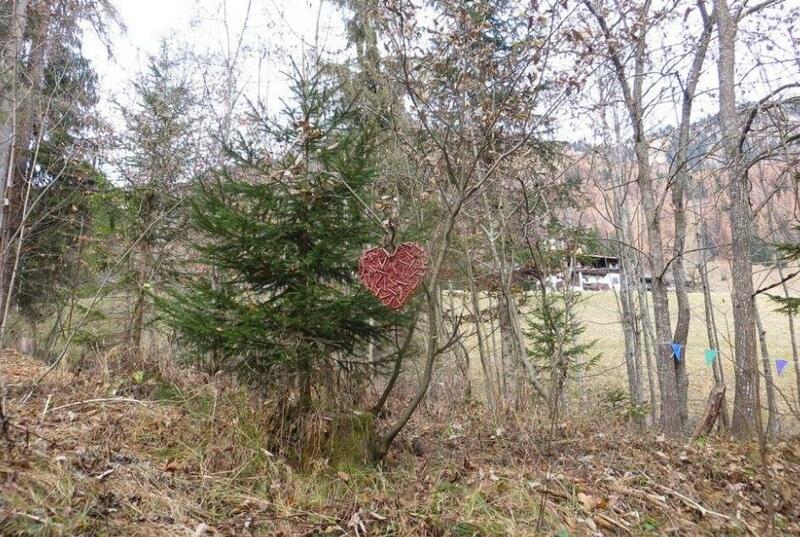 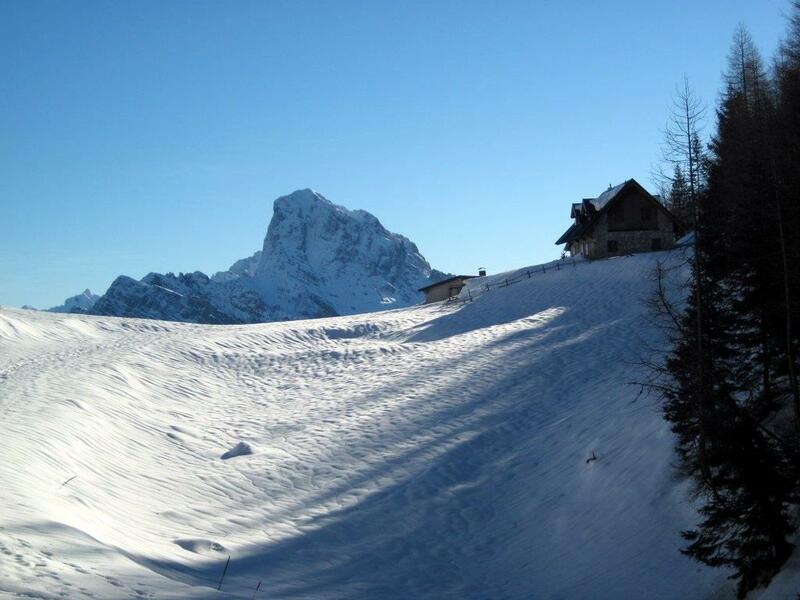 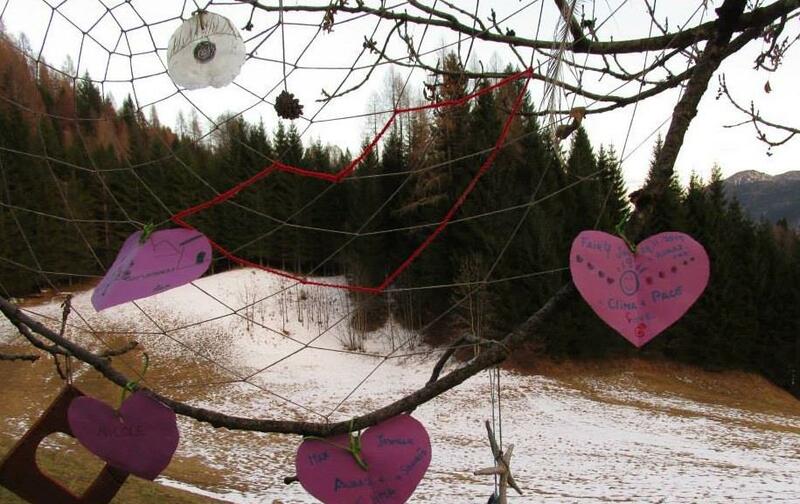 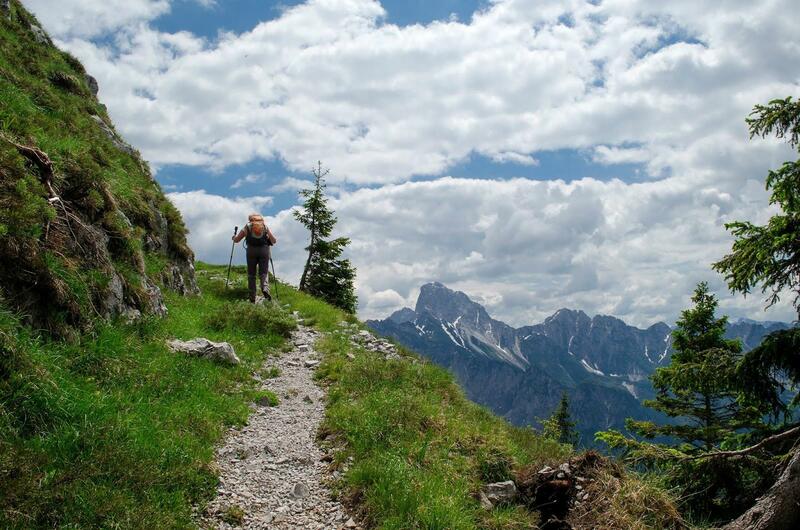 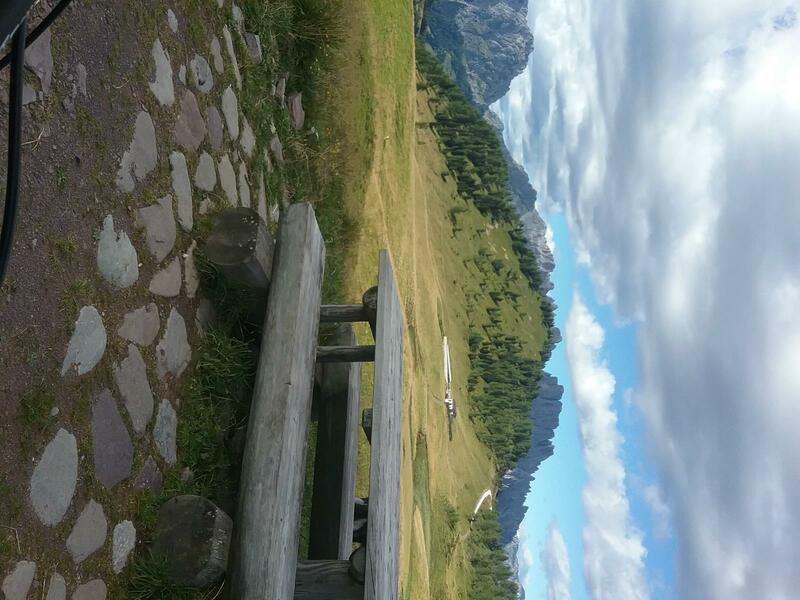 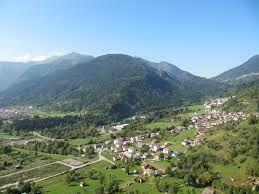 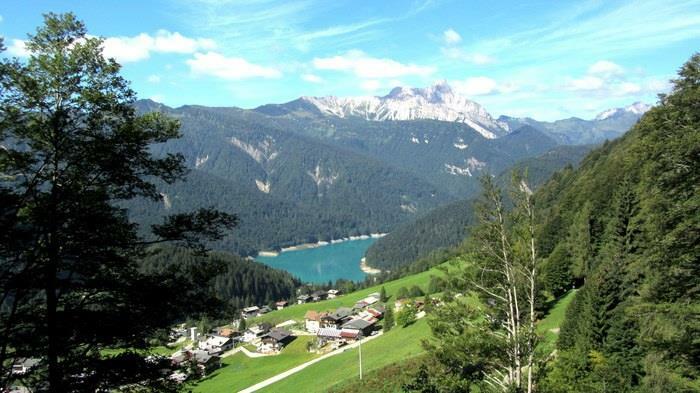 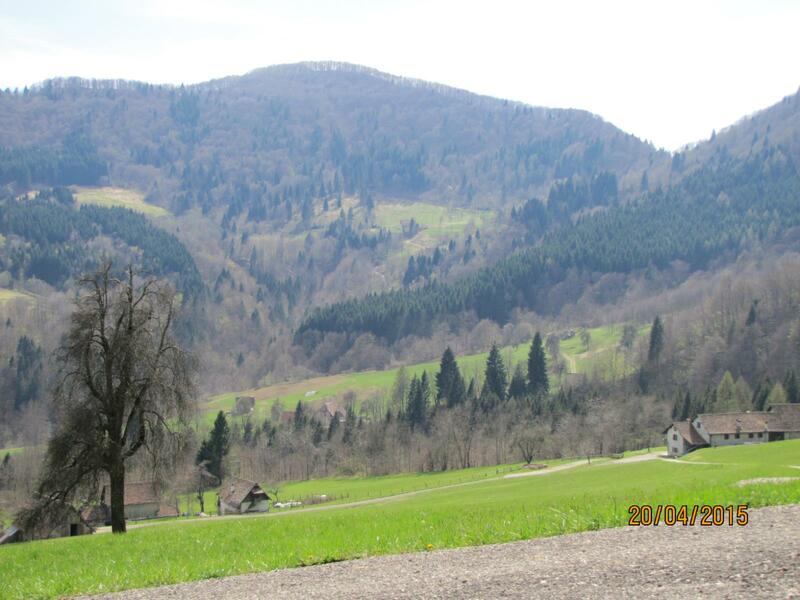 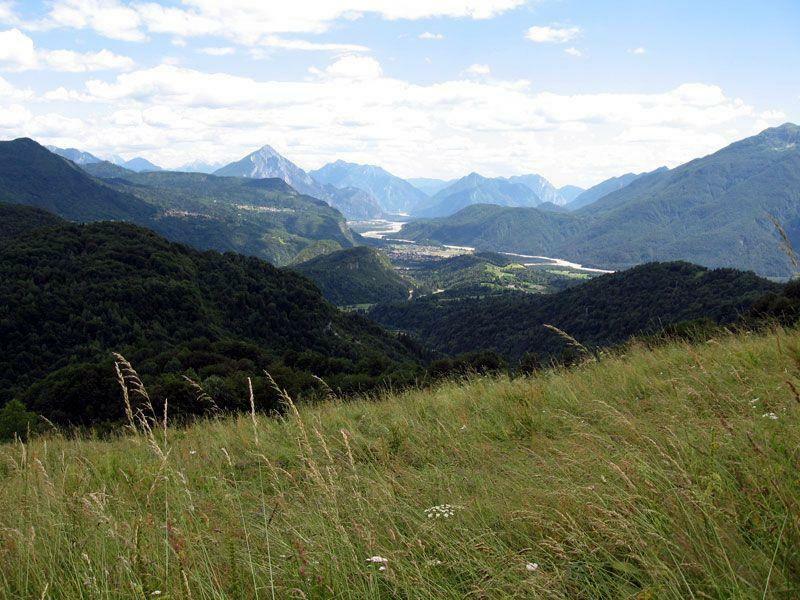 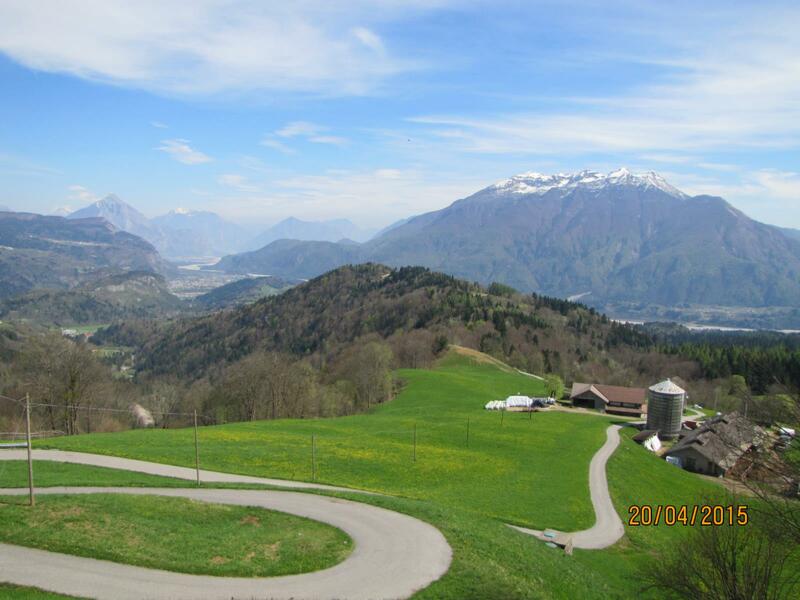 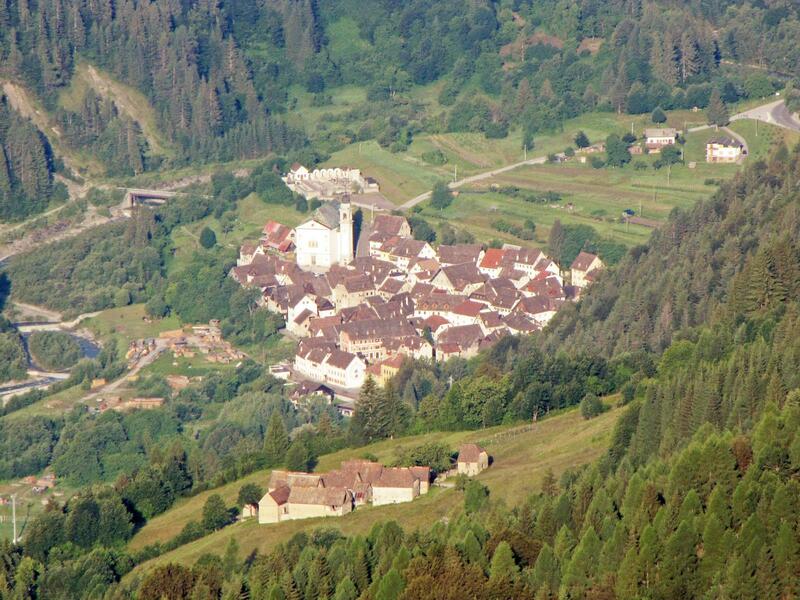 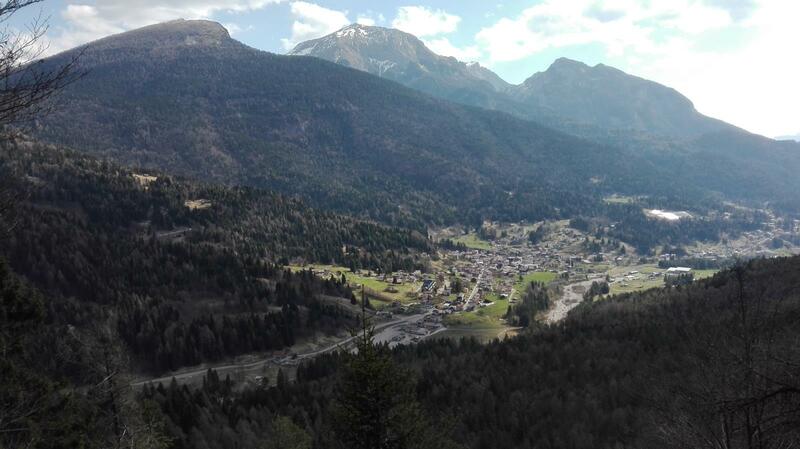 Lovea – Plan di Lunges: easy stroll with a wonderful wiew at Mount Tersadia with many villages high on the slopes. 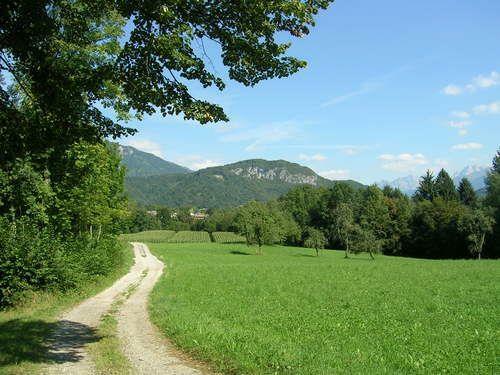 Walking along a very ancient trail we will meet a wood with tall straight beeches, brooks, waterfalls, meadows and old sheds and Mount Sernio and Amariana in the distance. 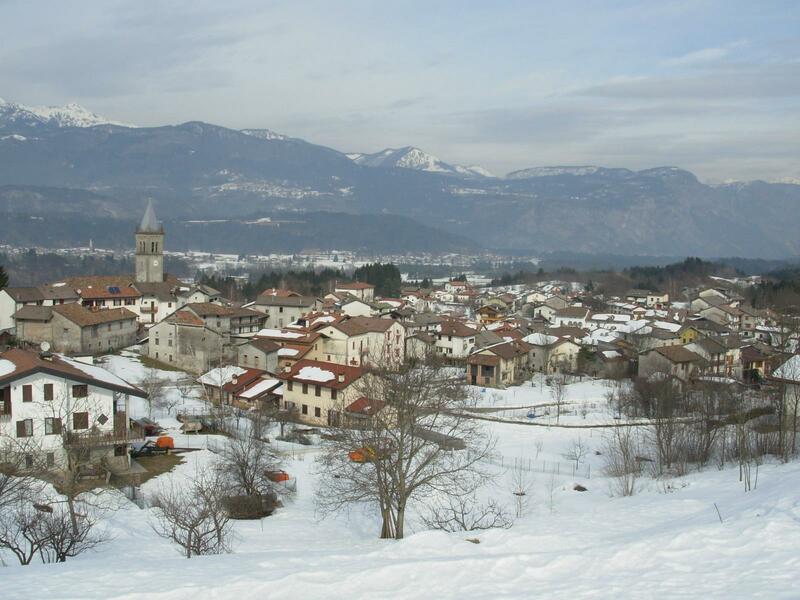 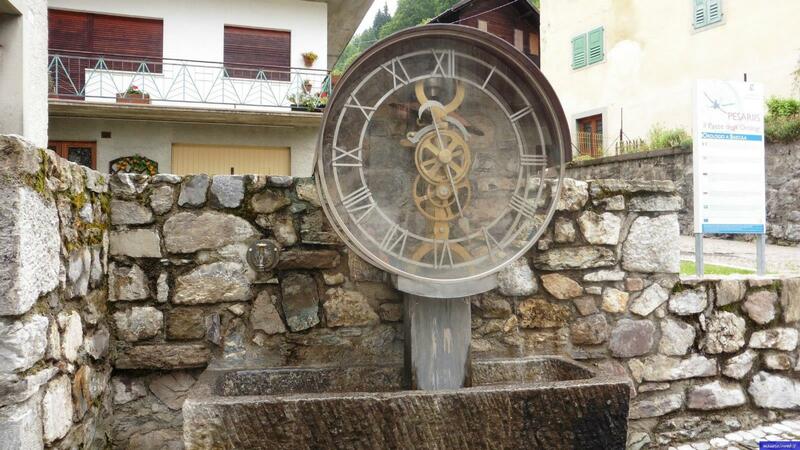 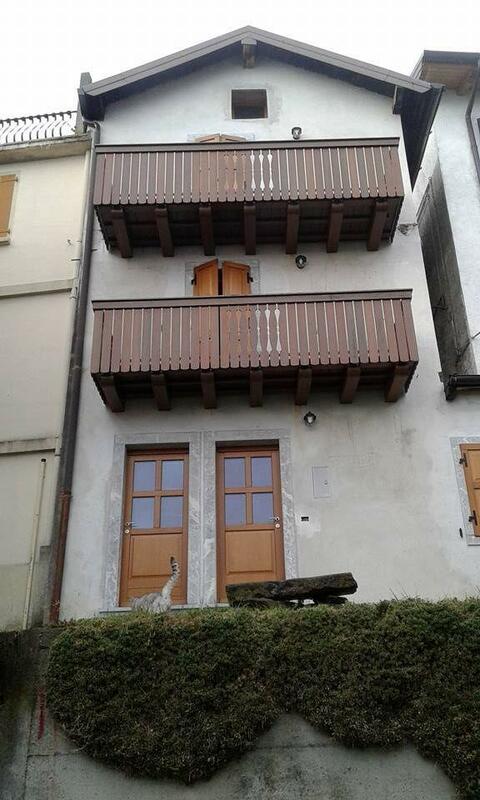 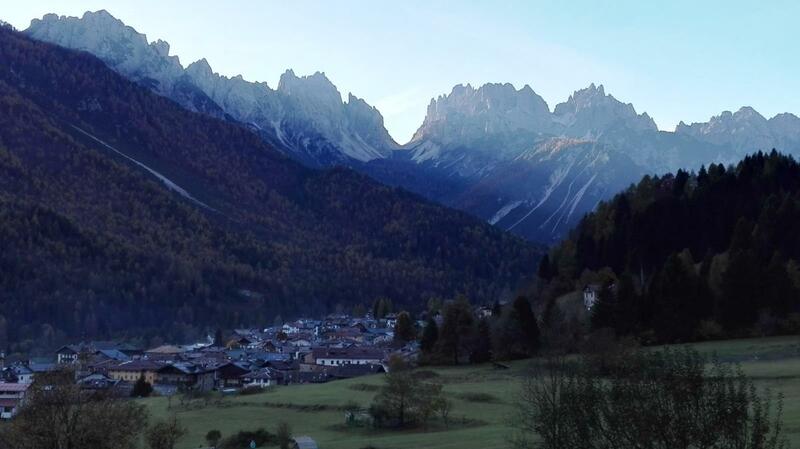 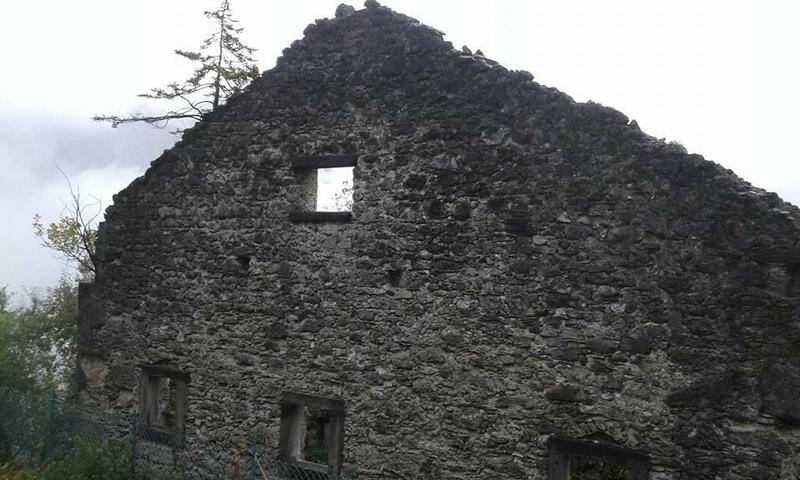 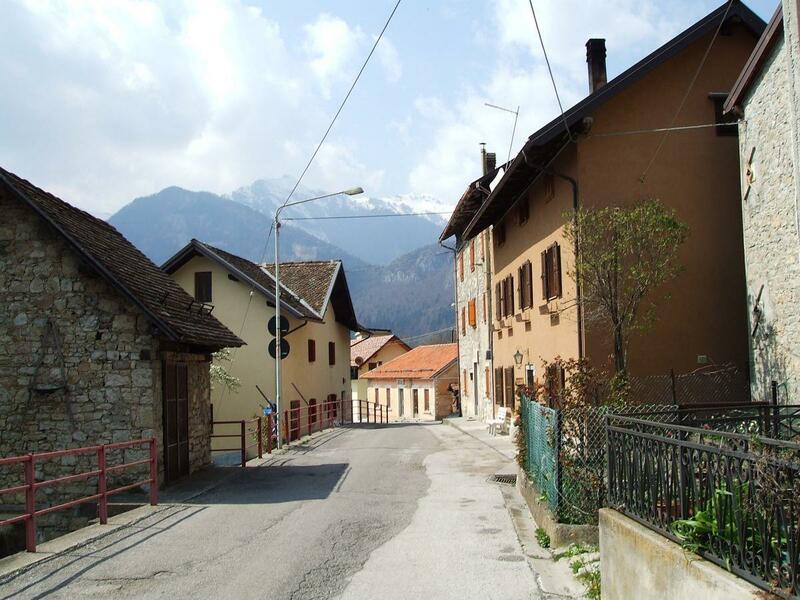 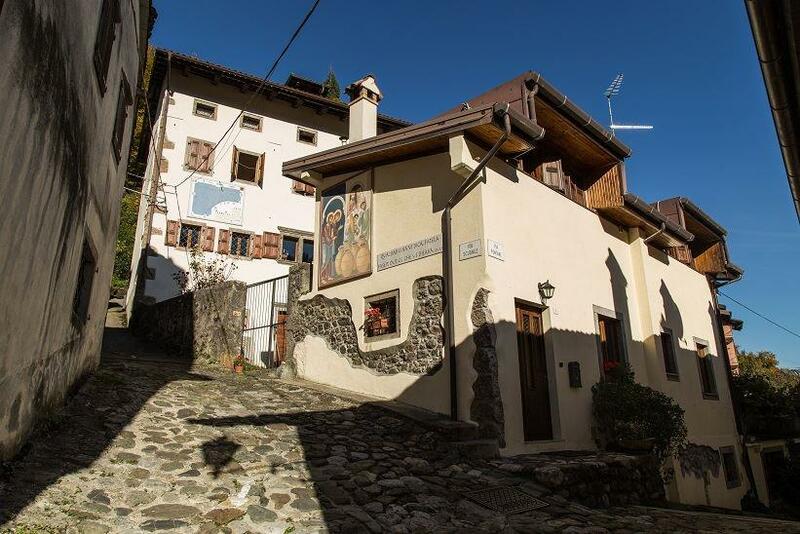 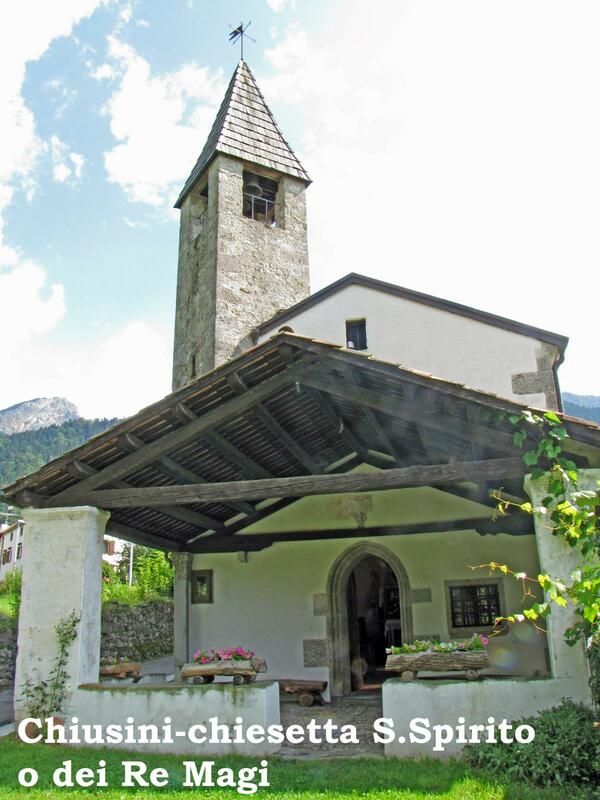 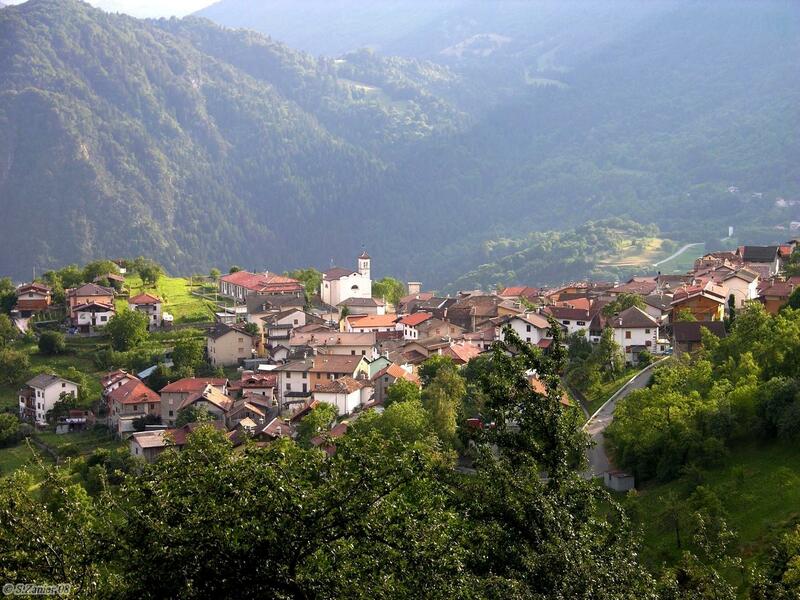 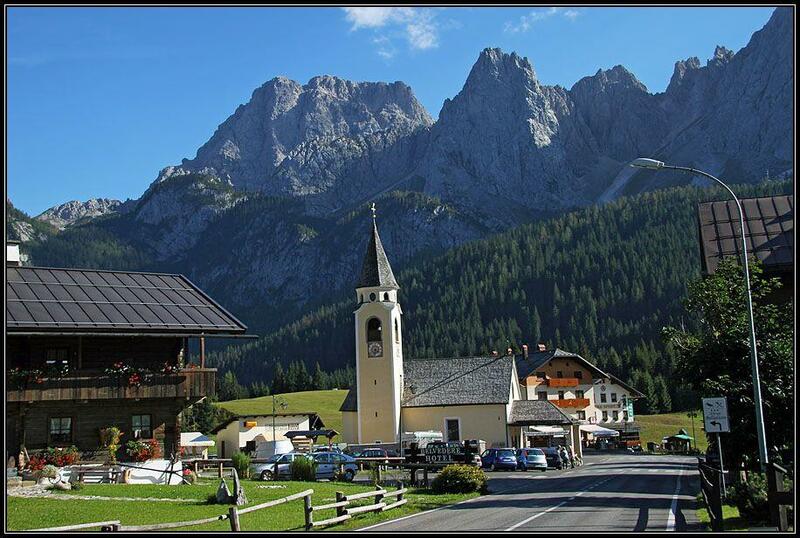 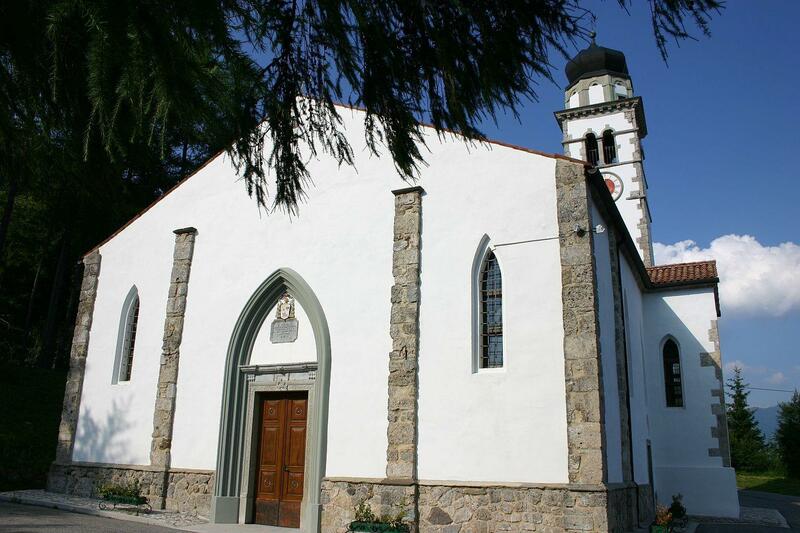 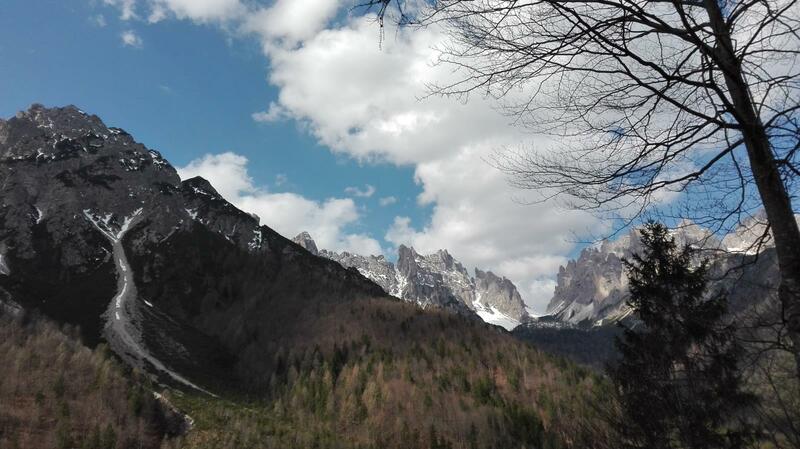 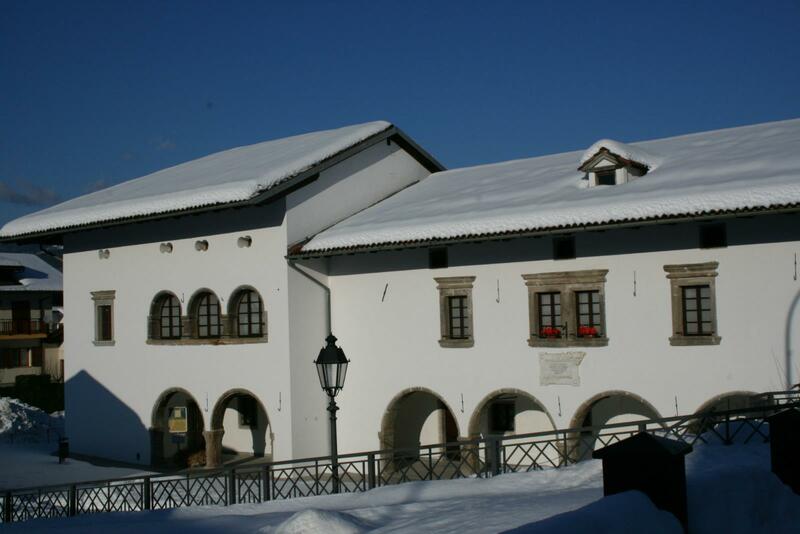 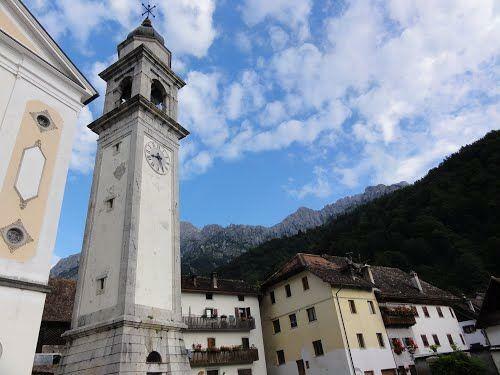 Visiting the two “Twin villages” about 900 m a.s.l., one of the highest in Carnia, pretty close one from the other, you will see many houses of local architecture, “cjases cui volts” and the ancient S. Martino churche which dates back to the 13th century. 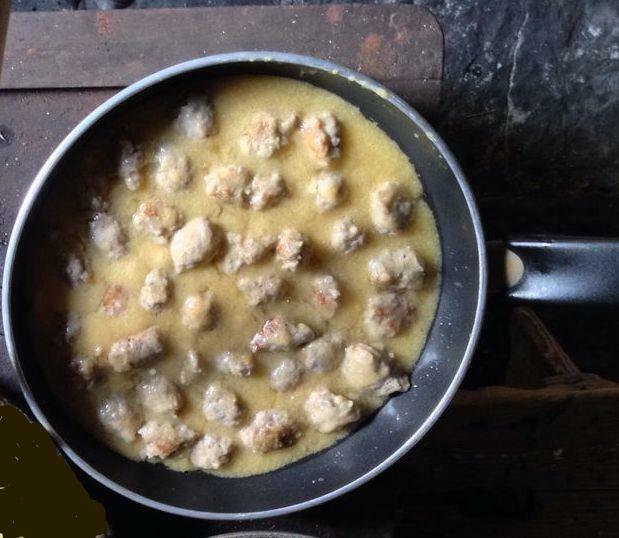 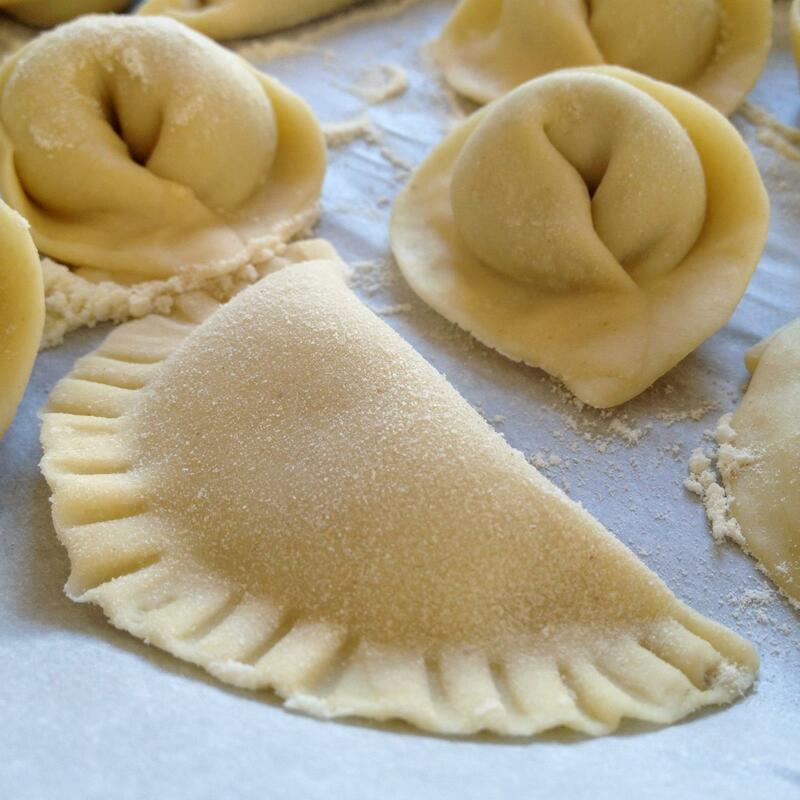 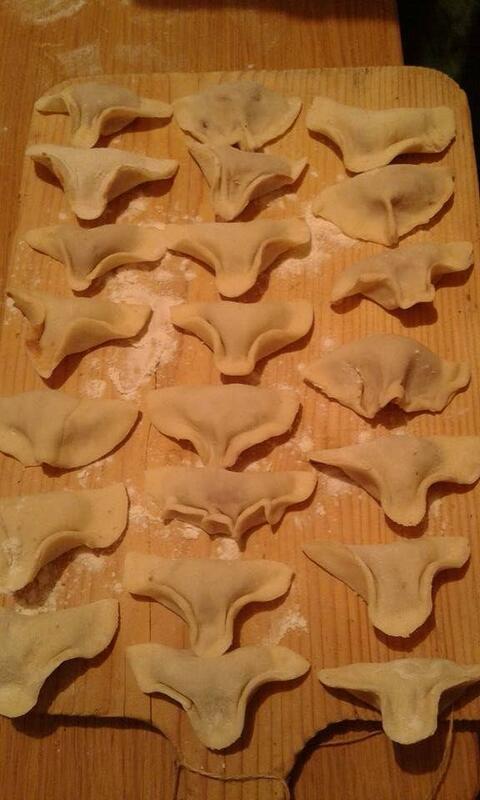 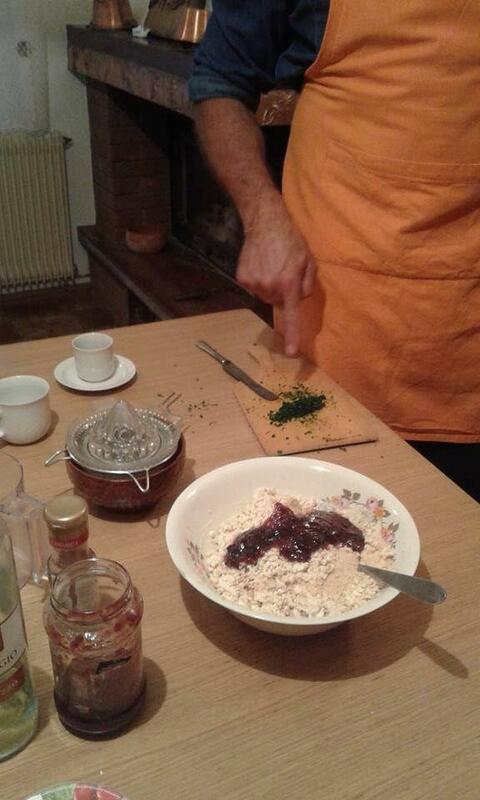 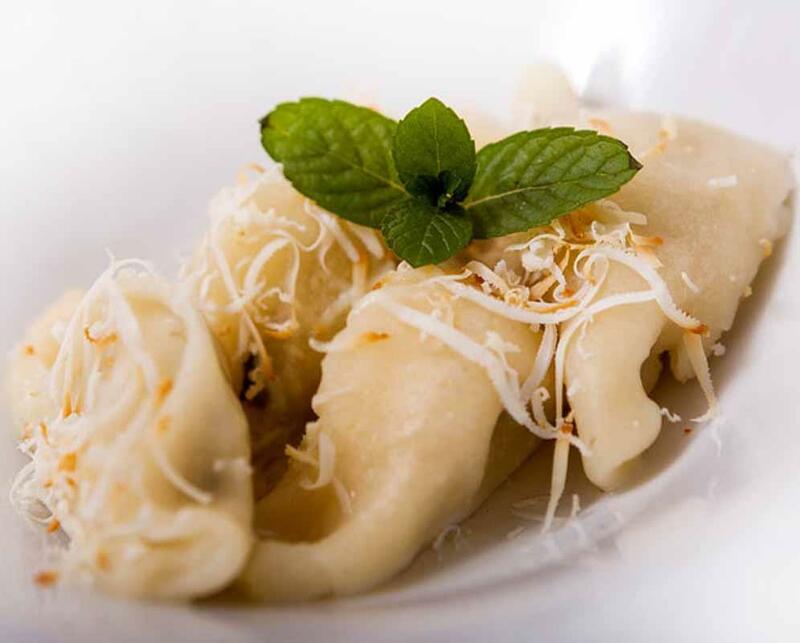 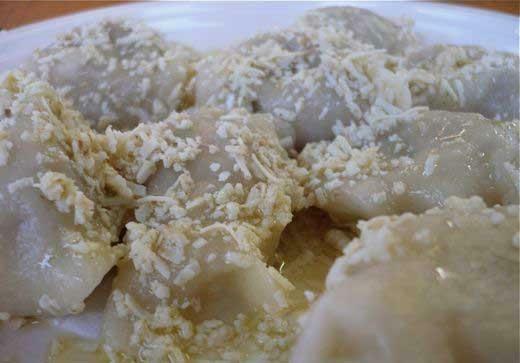 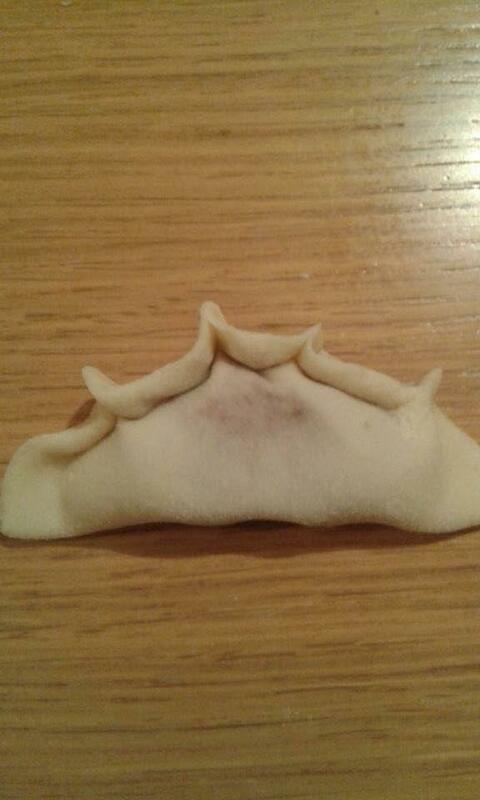 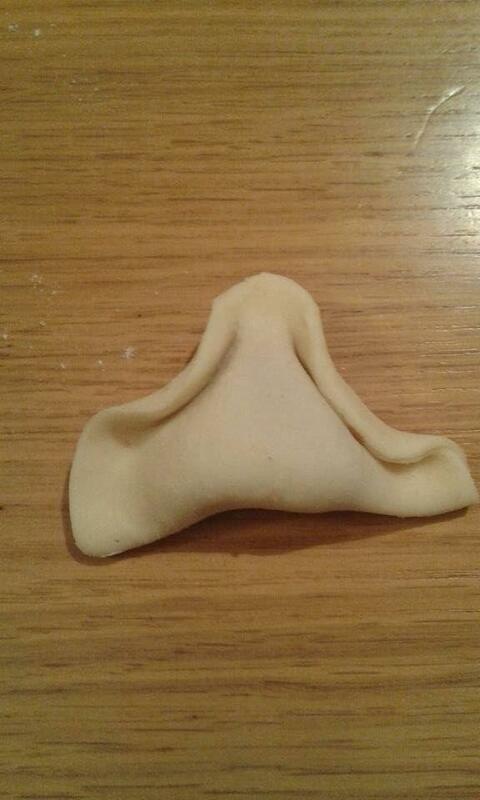 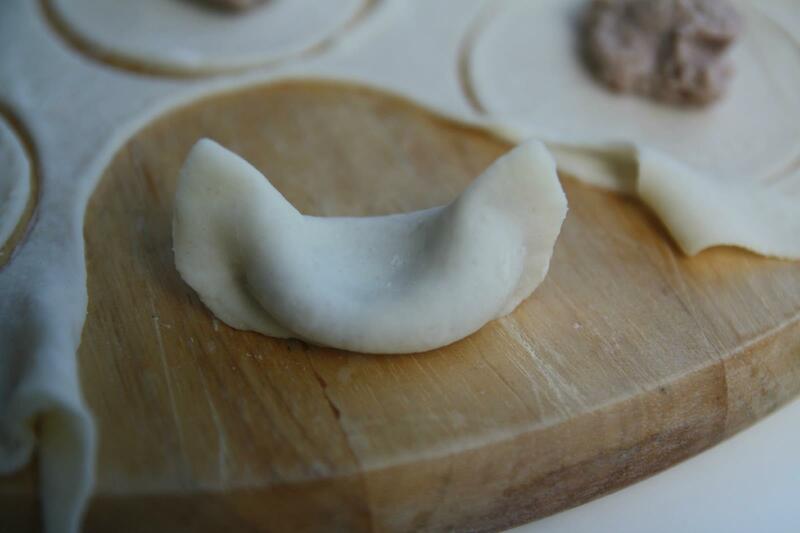 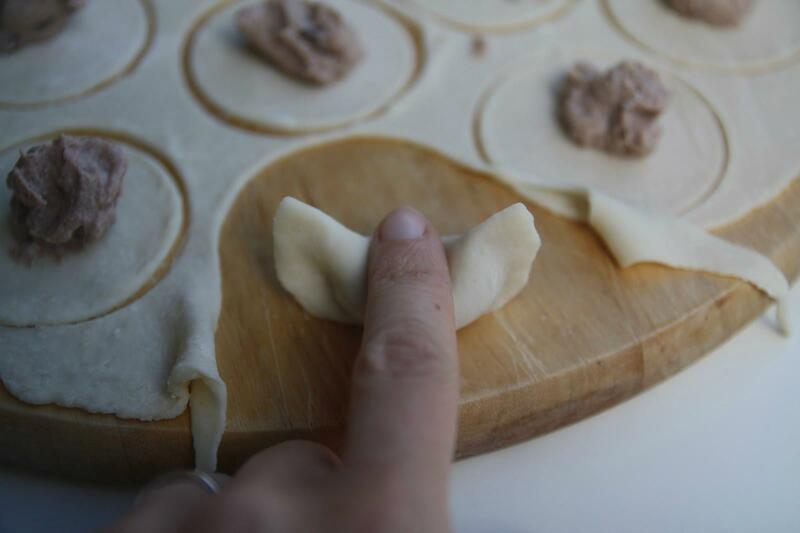 “Cjalsons”is a typical dish from Carnia, a kind of sweet filled dumplings. 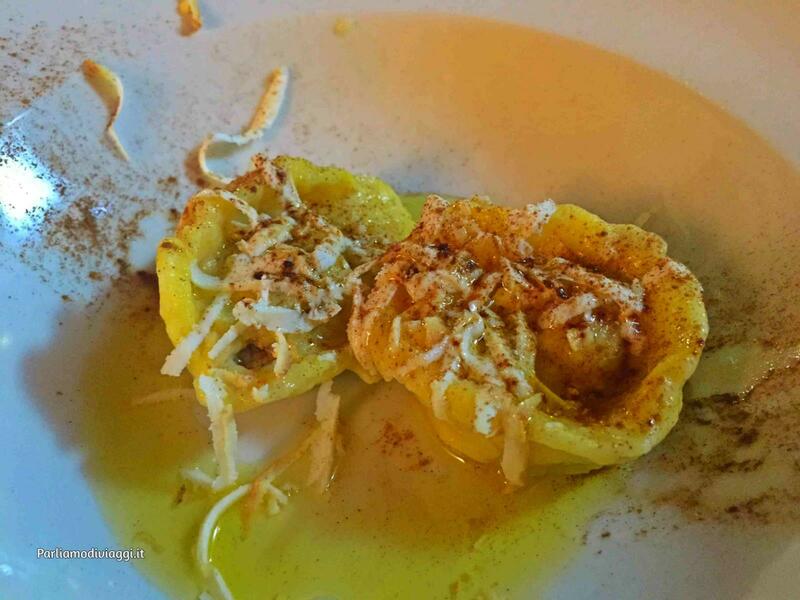 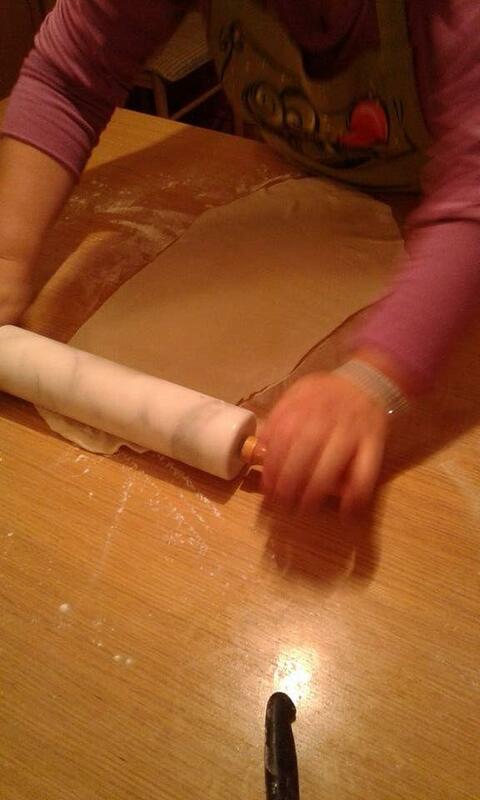 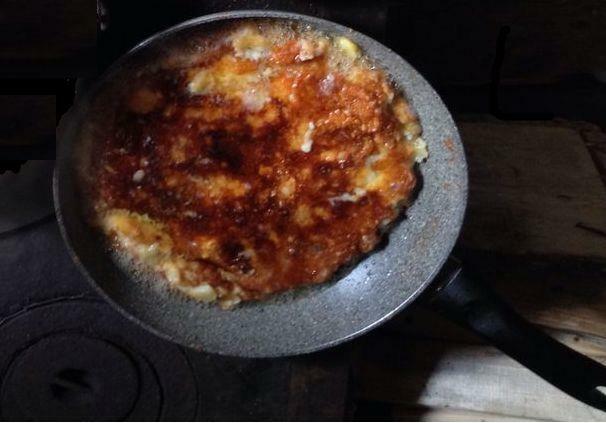 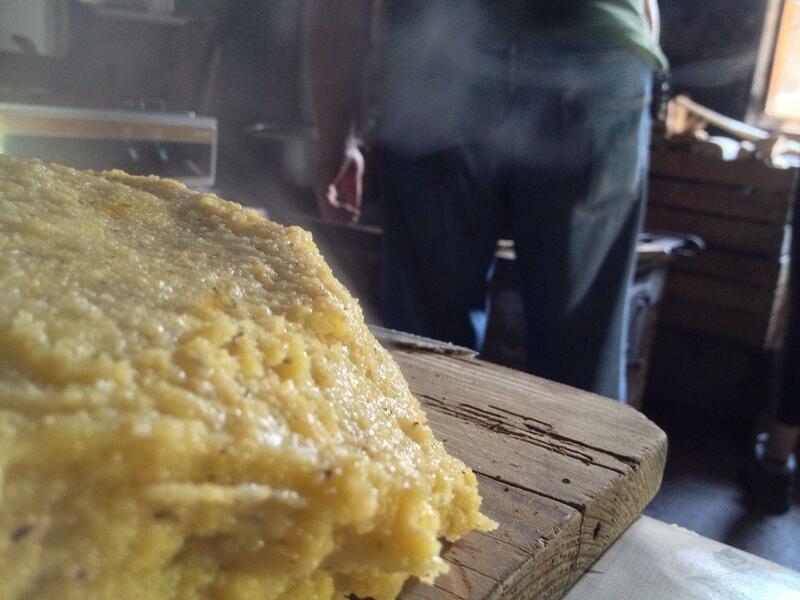 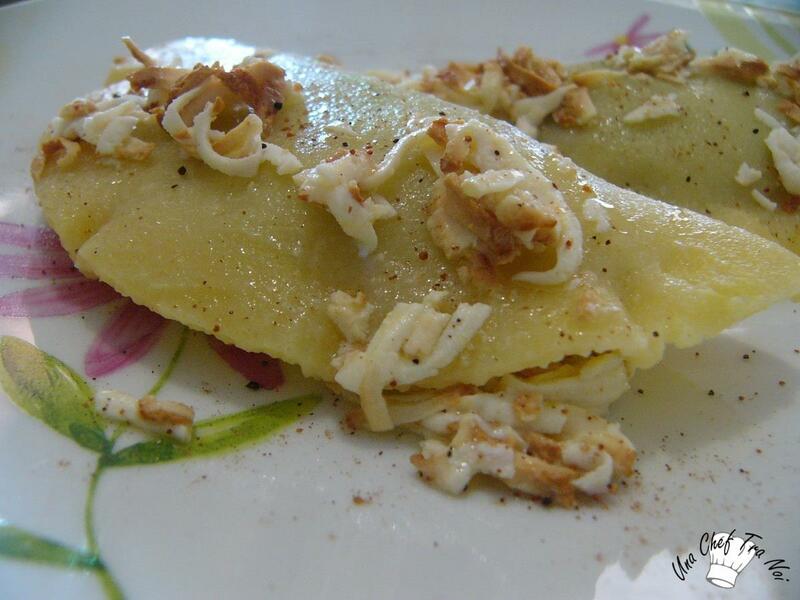 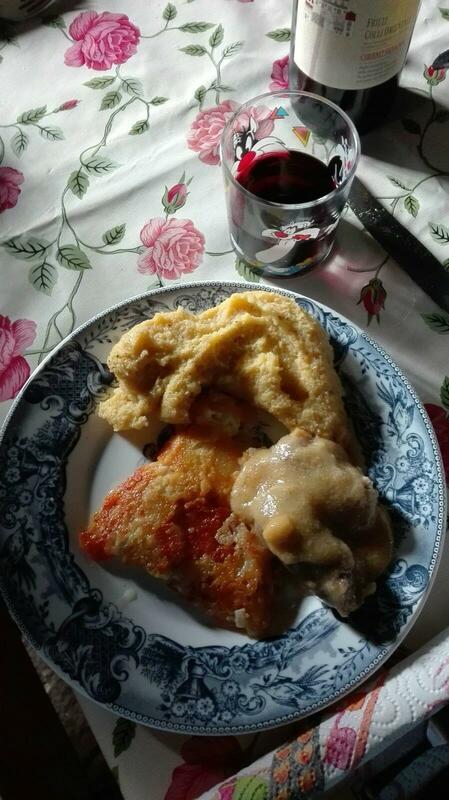 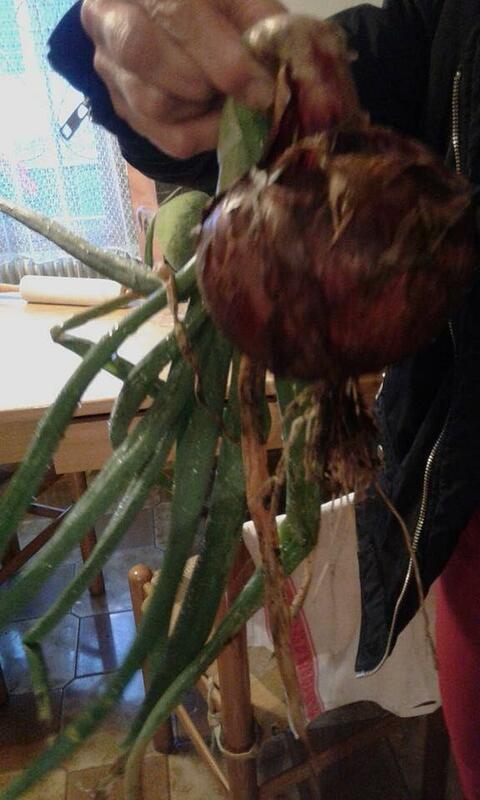 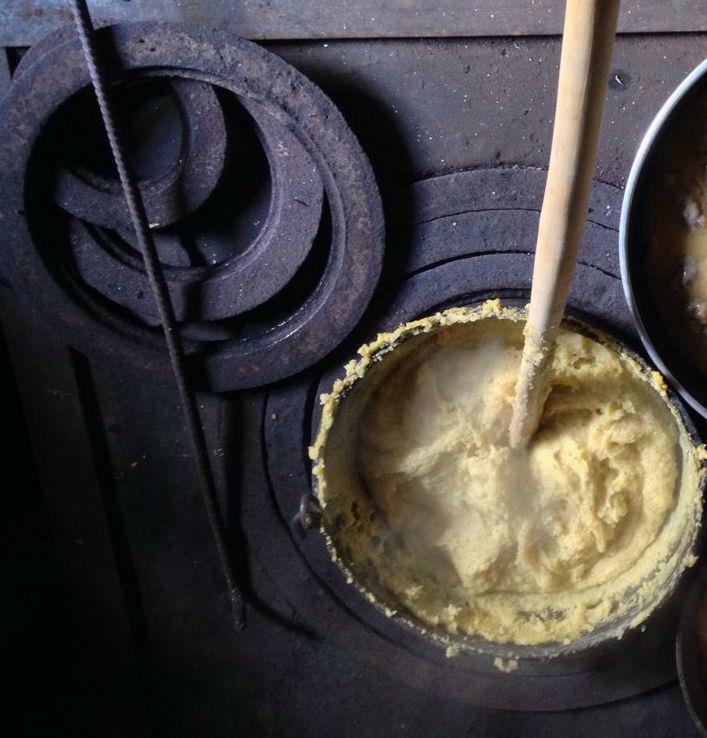 You can try to prepare it at Fides' home, following her method with special ingredients. 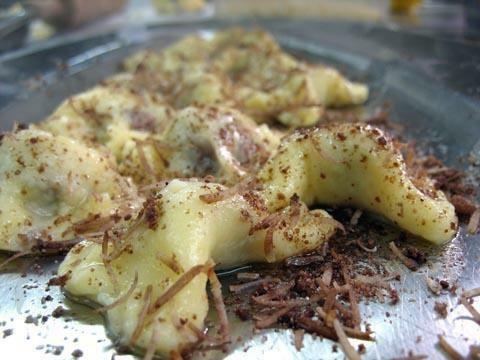 When you'll taste them you'll understand it's really worth!! 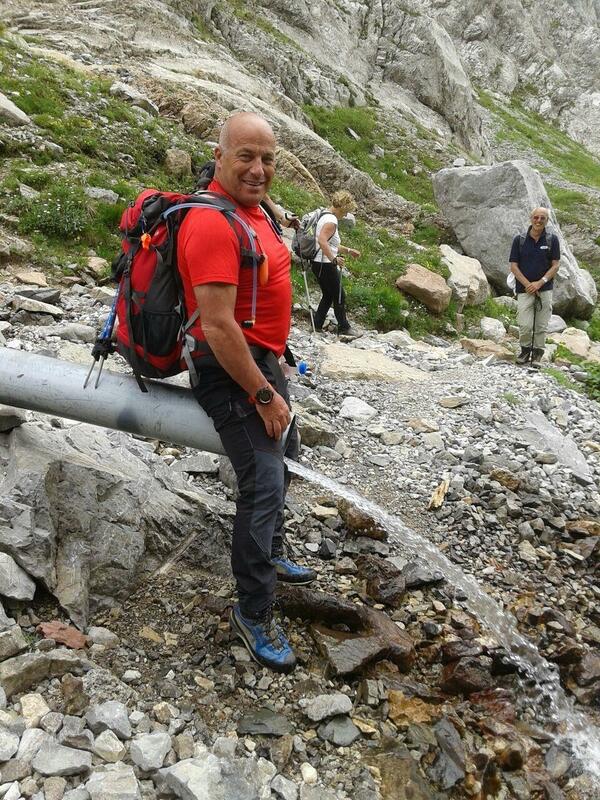 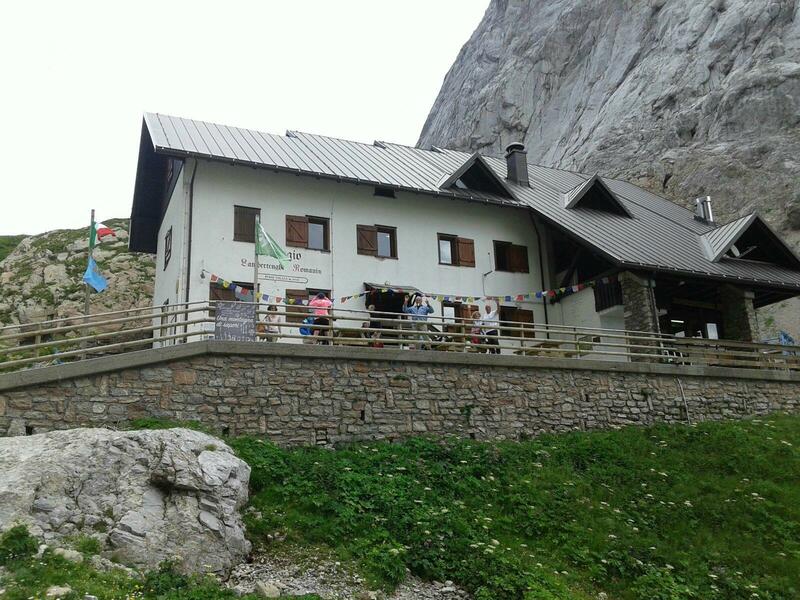 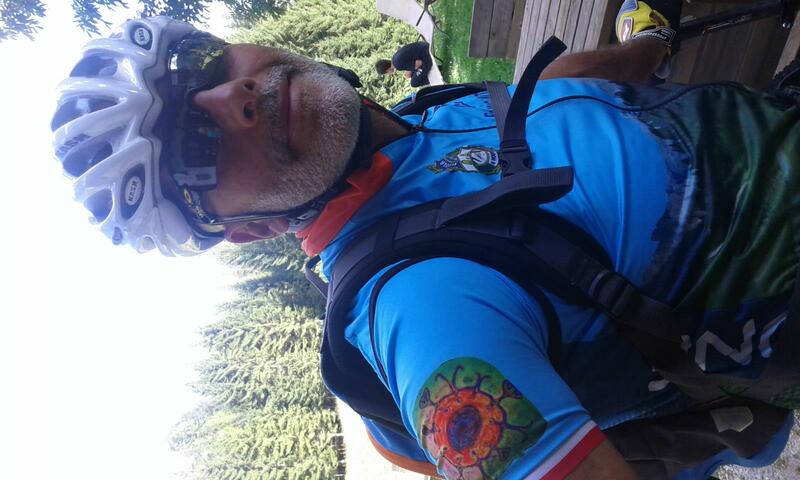 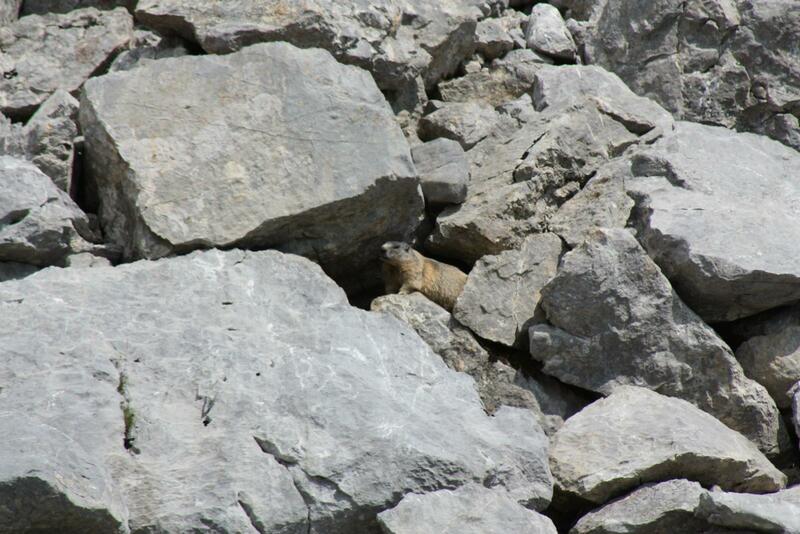 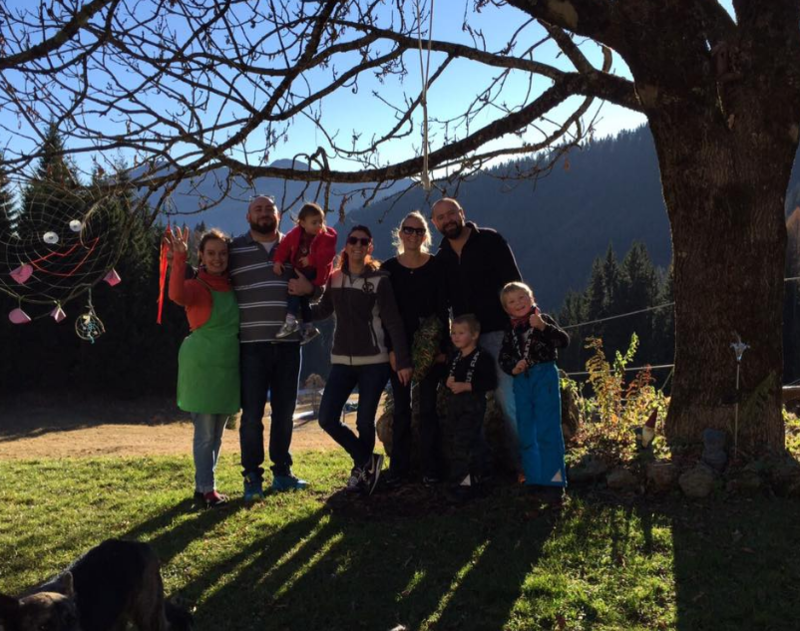 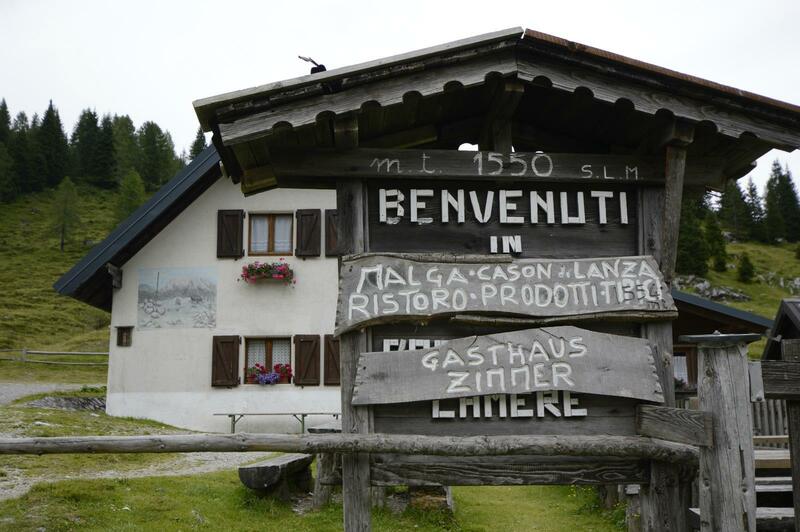 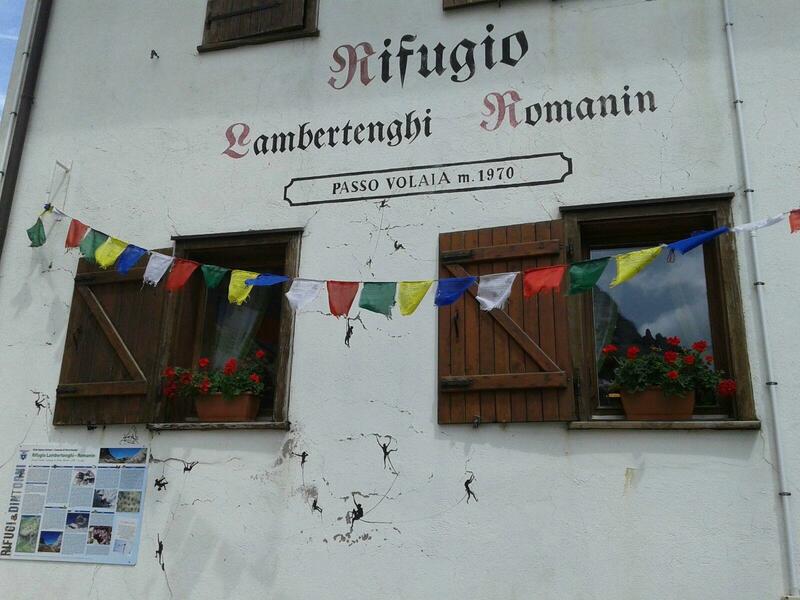 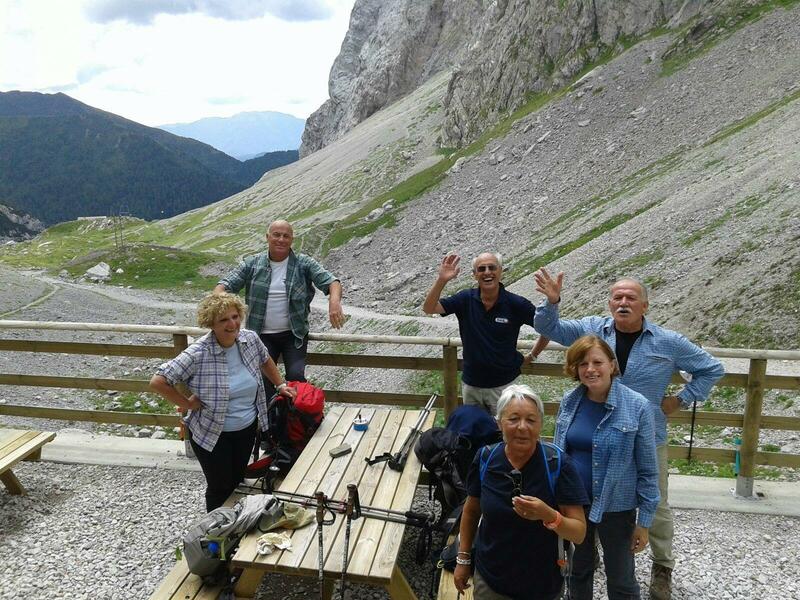 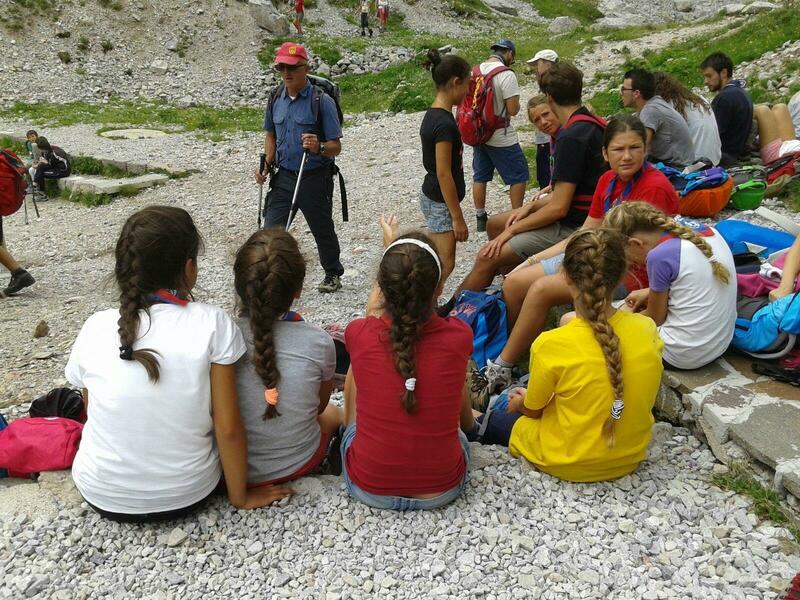 Torrioni del Lander: starting from Rifugio Randice (900 m a.s.l. 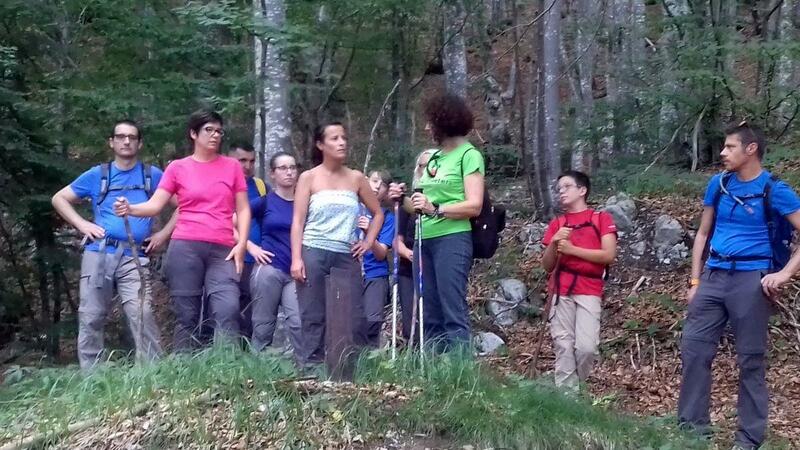 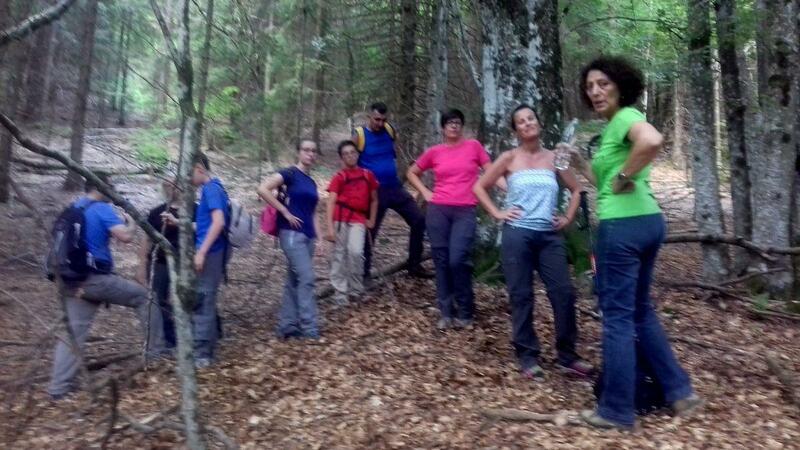 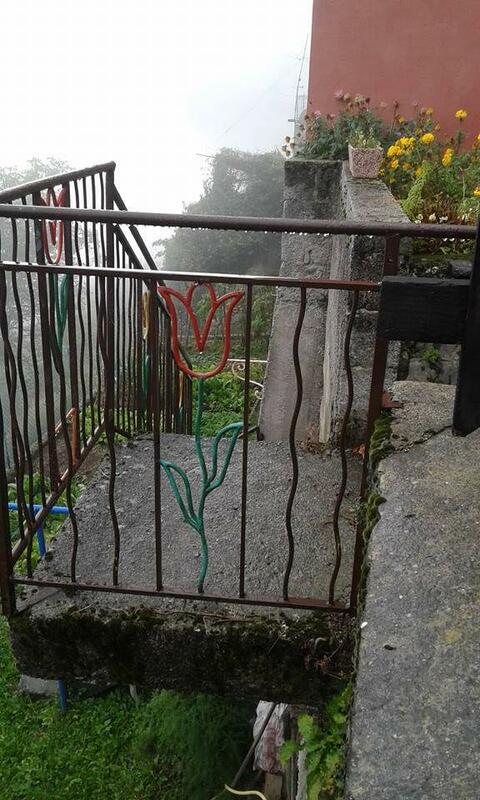 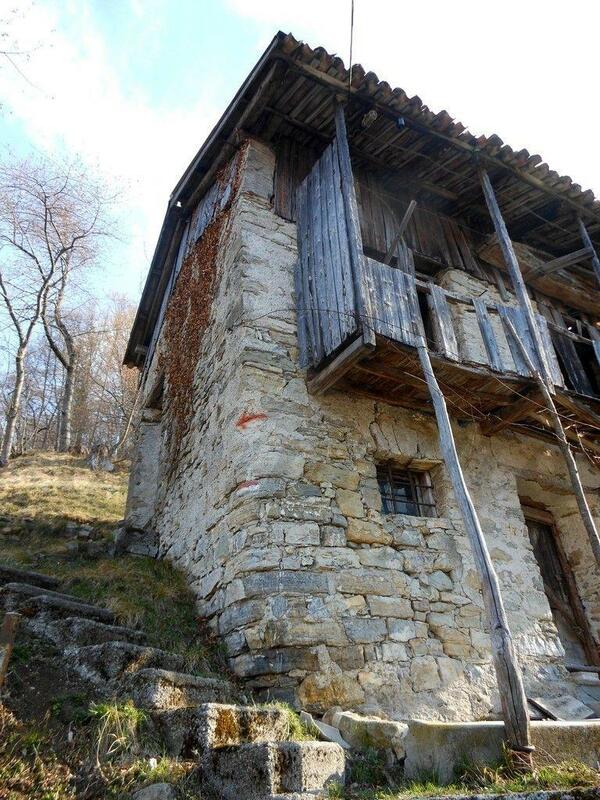 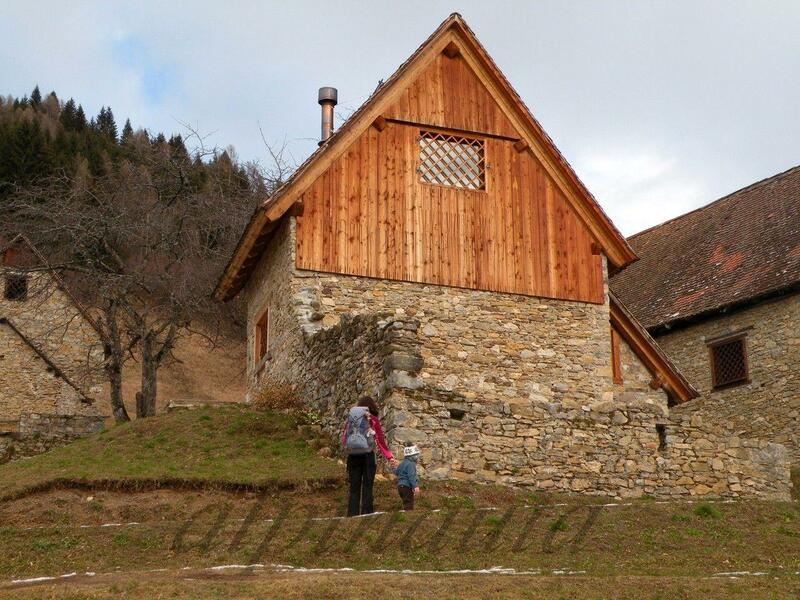 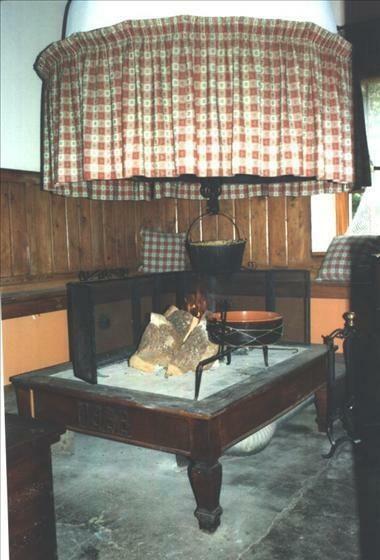 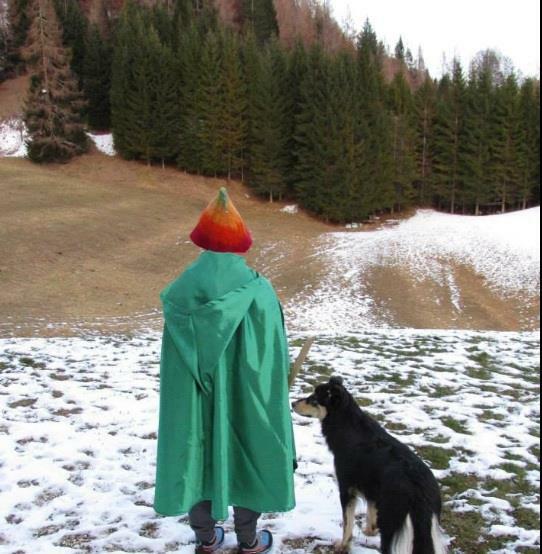 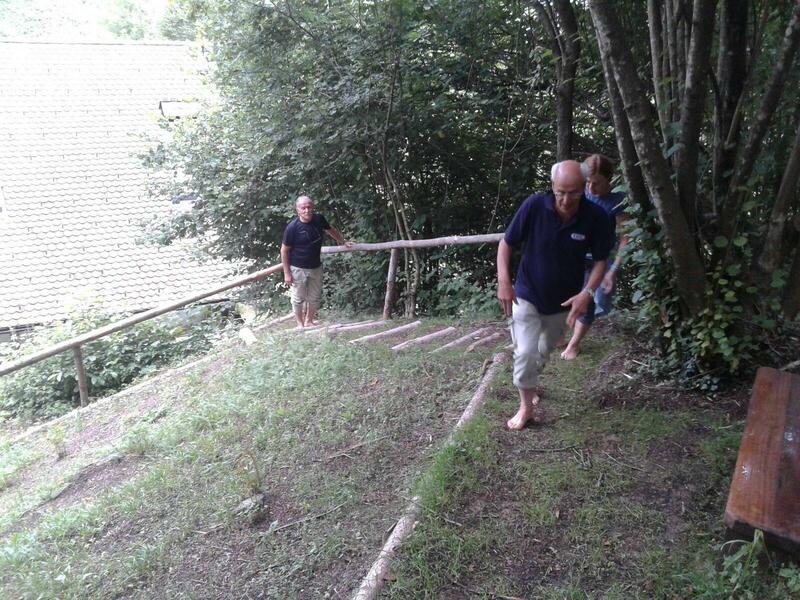 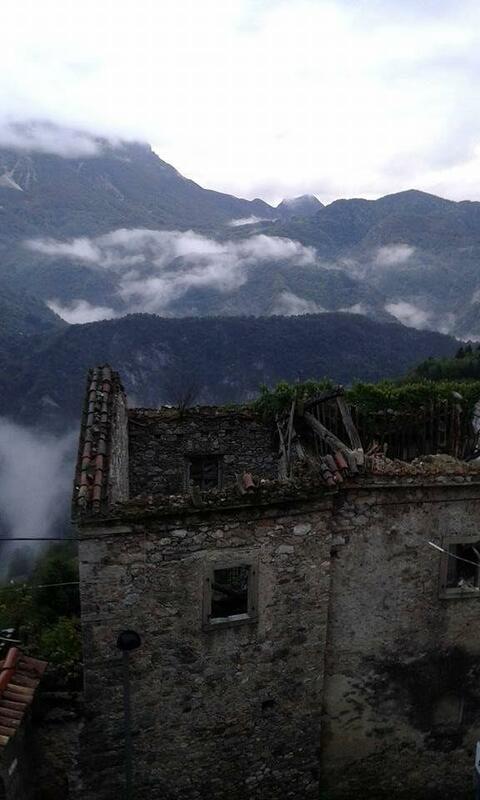 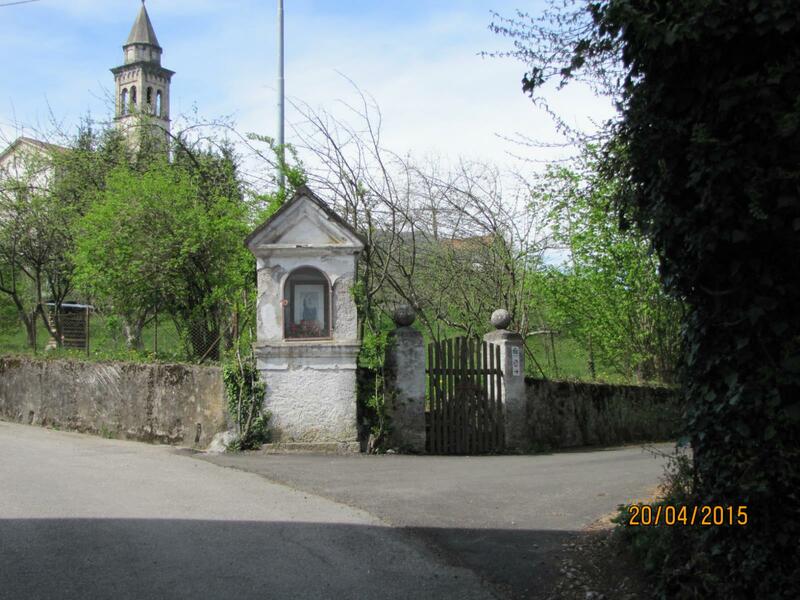 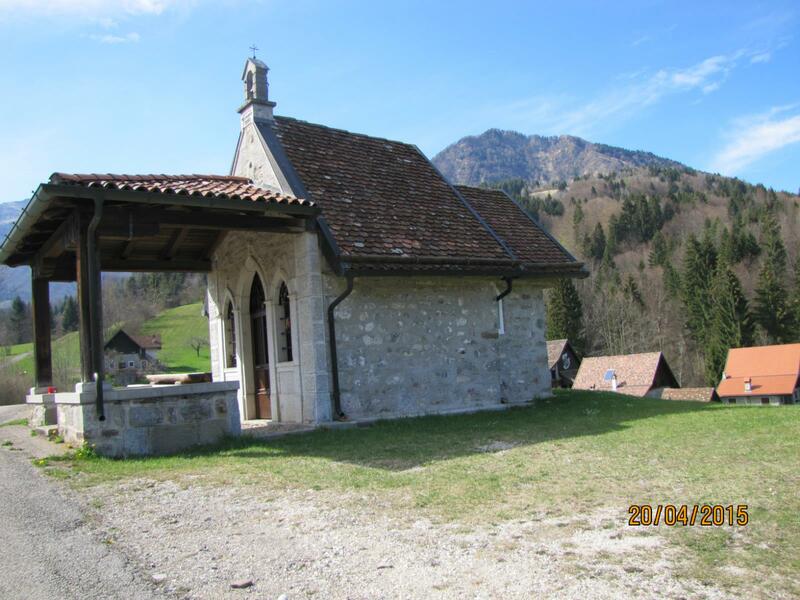 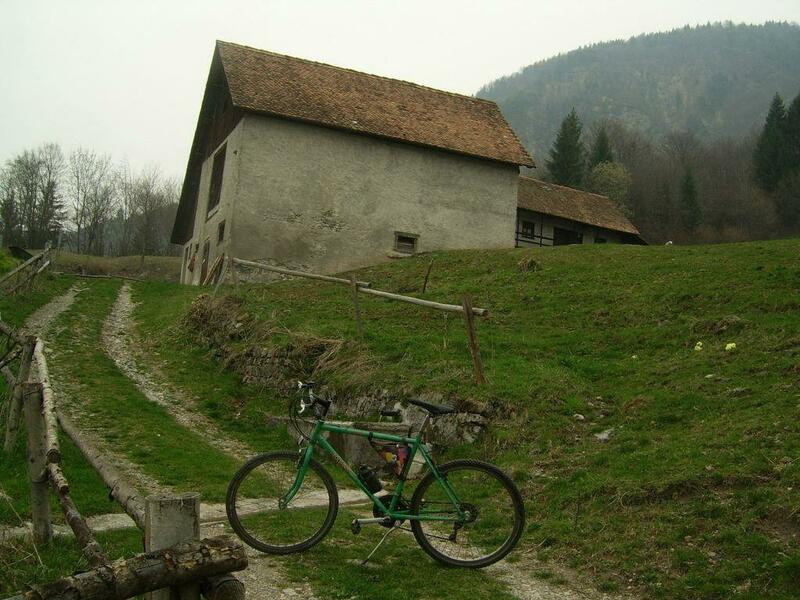 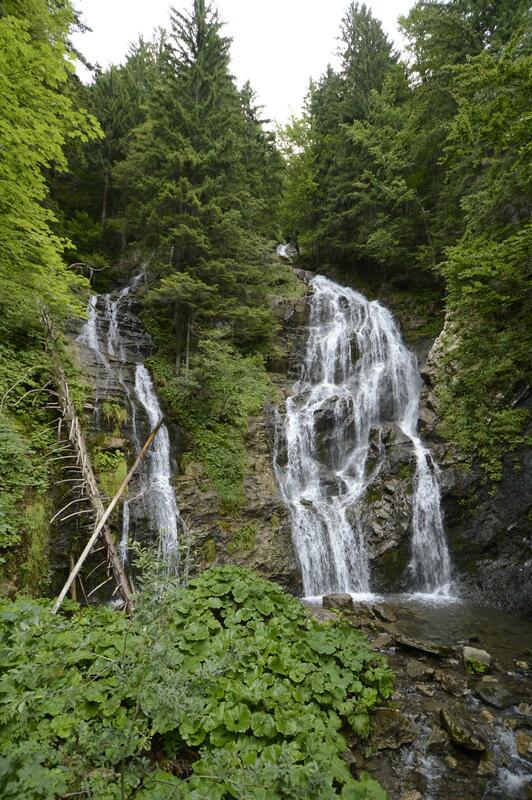 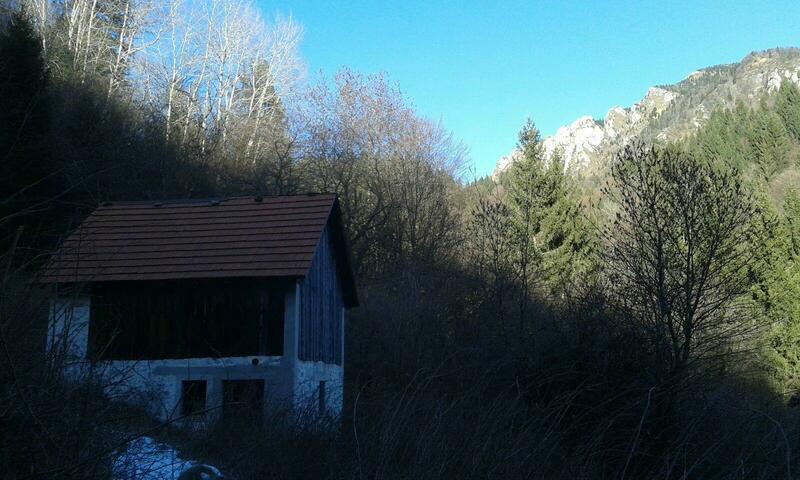 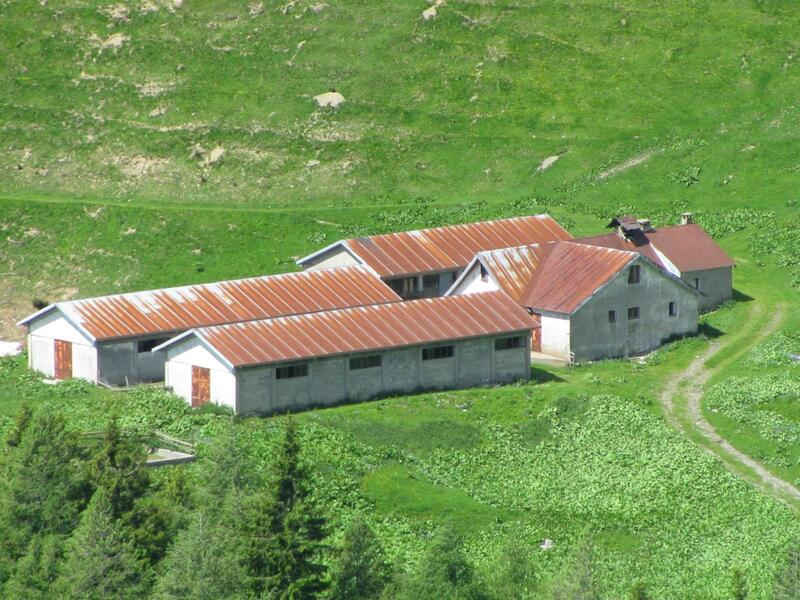 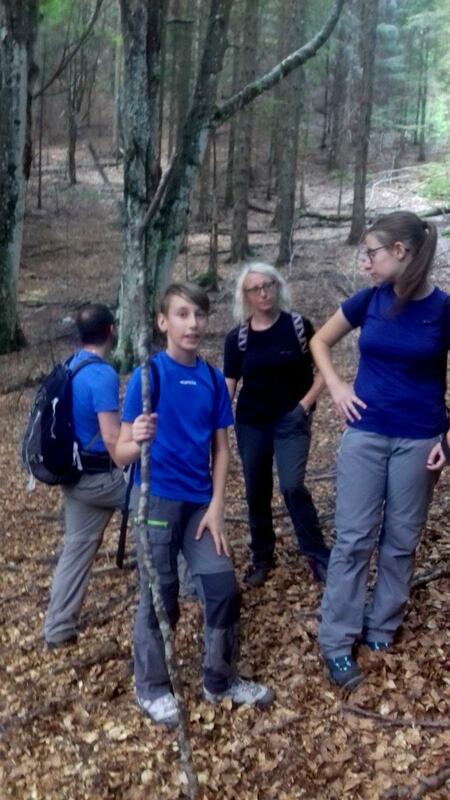 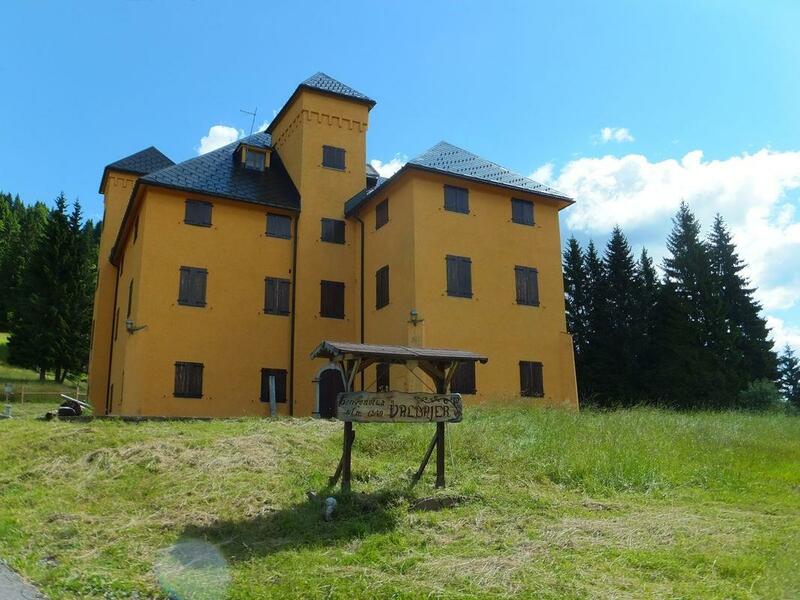 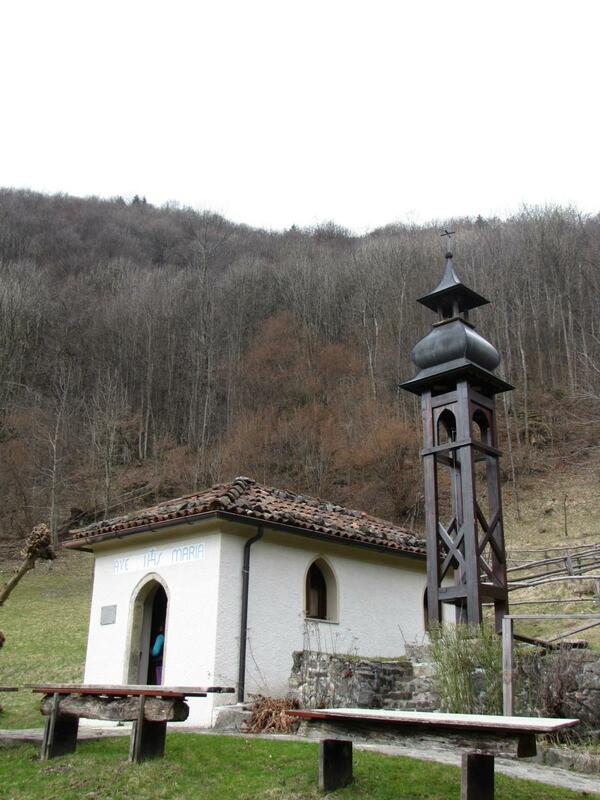 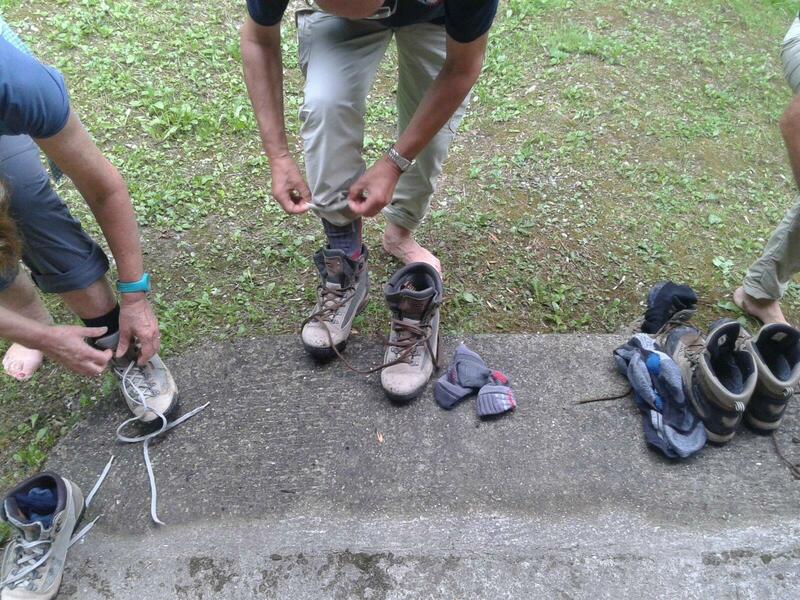 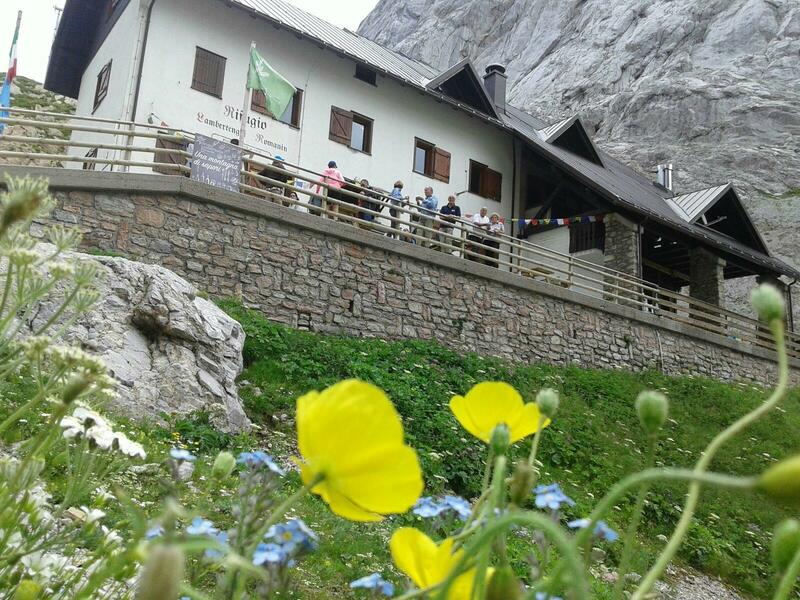 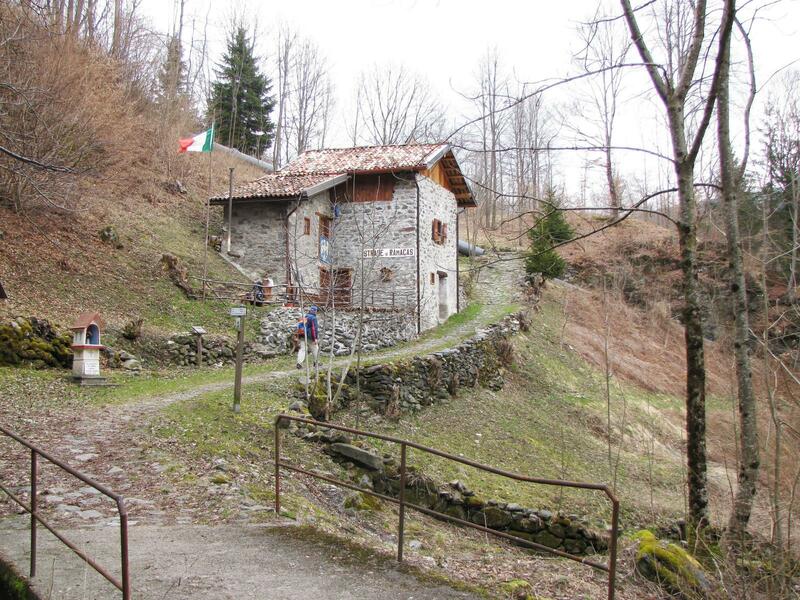 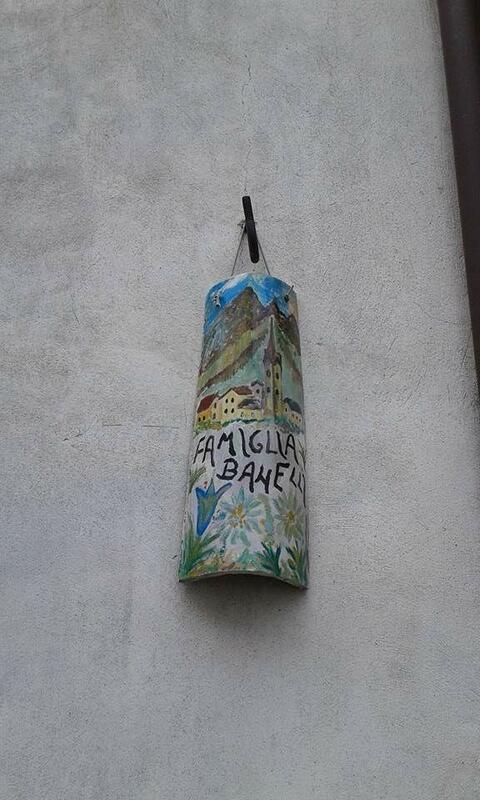 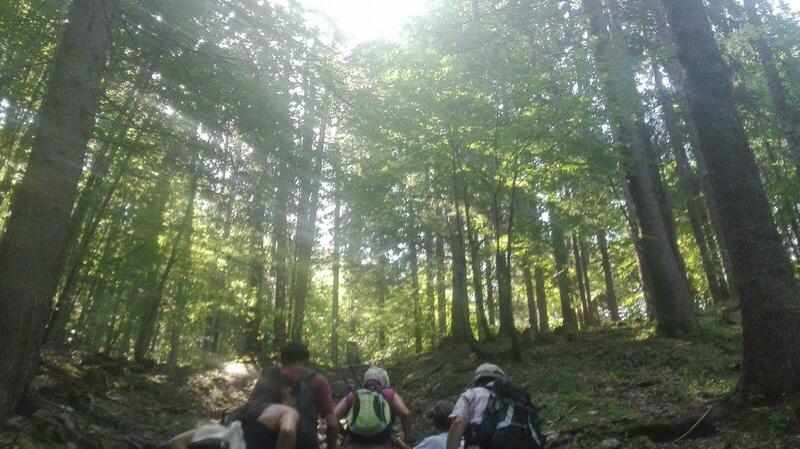 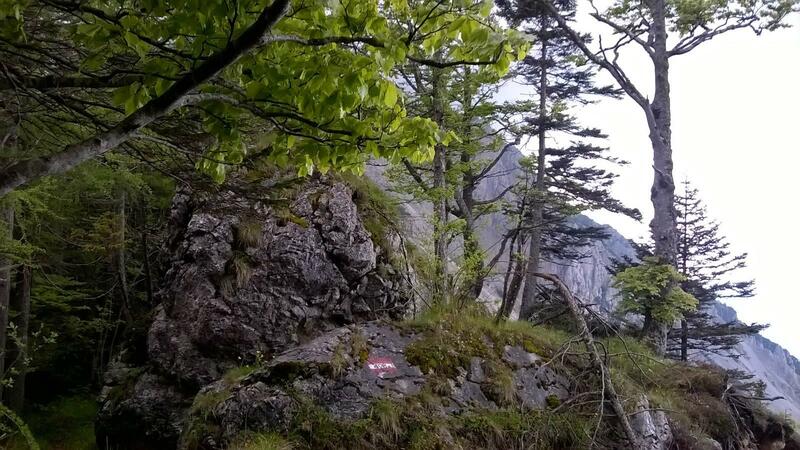 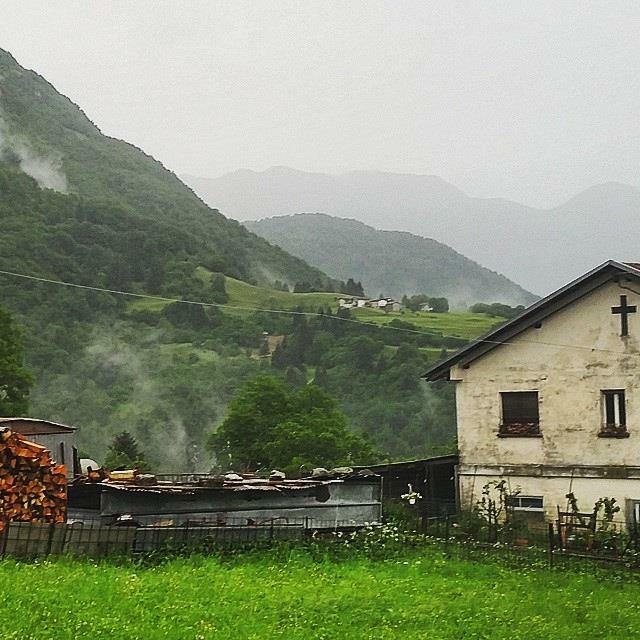 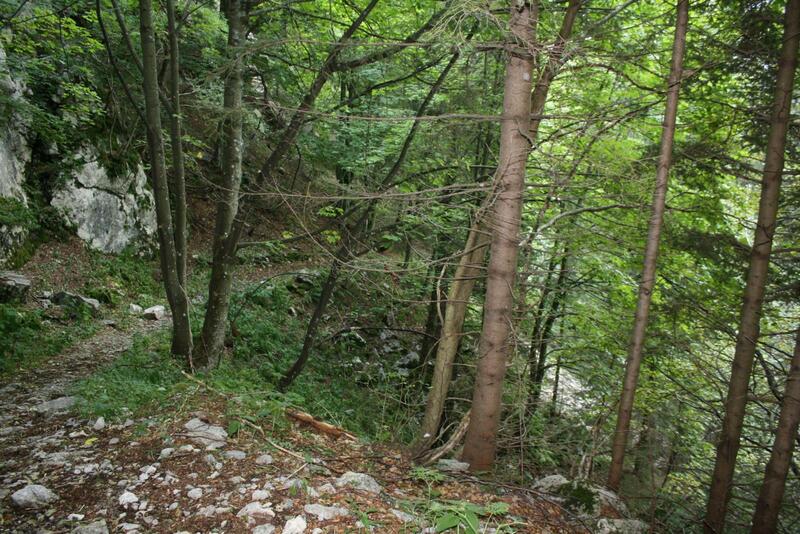 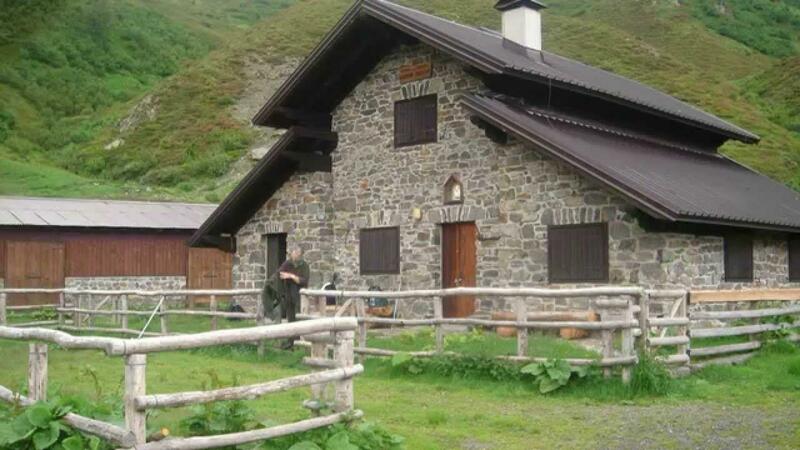 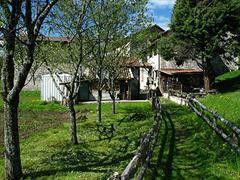 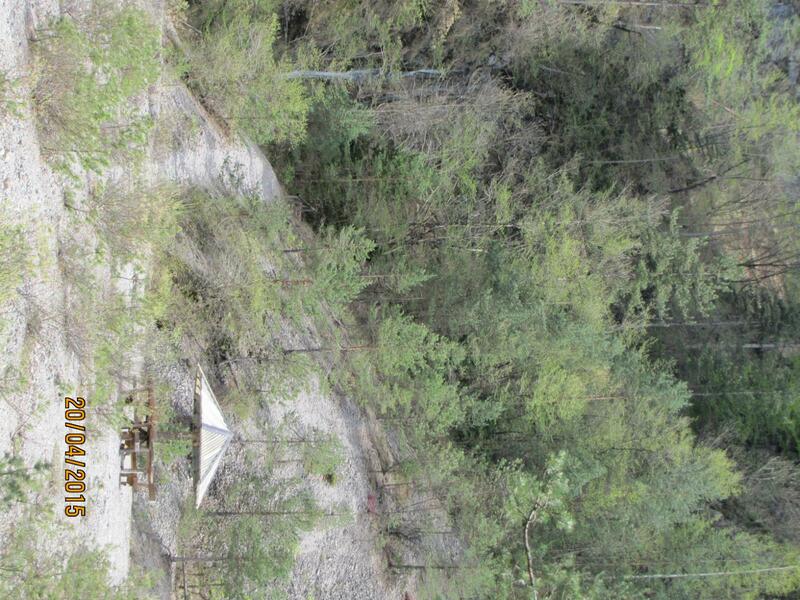 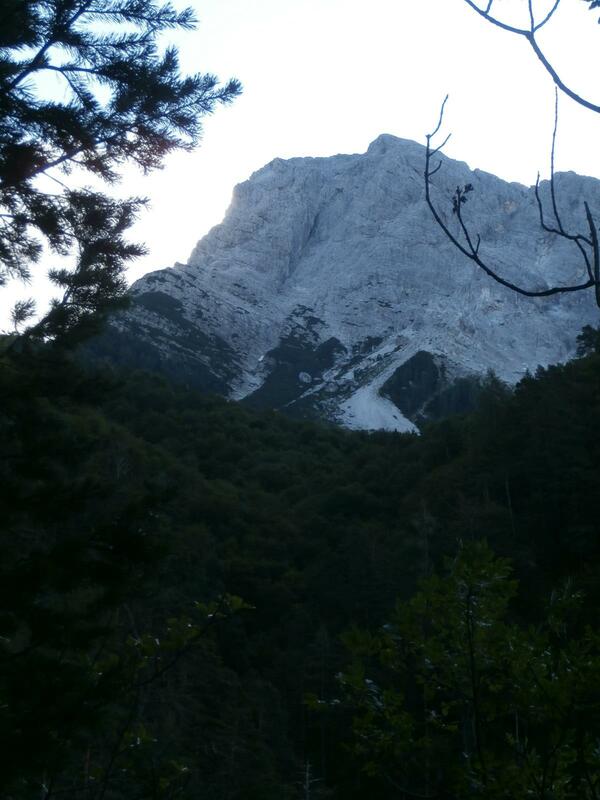 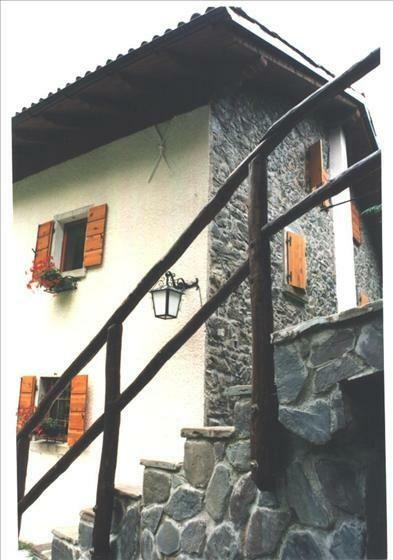 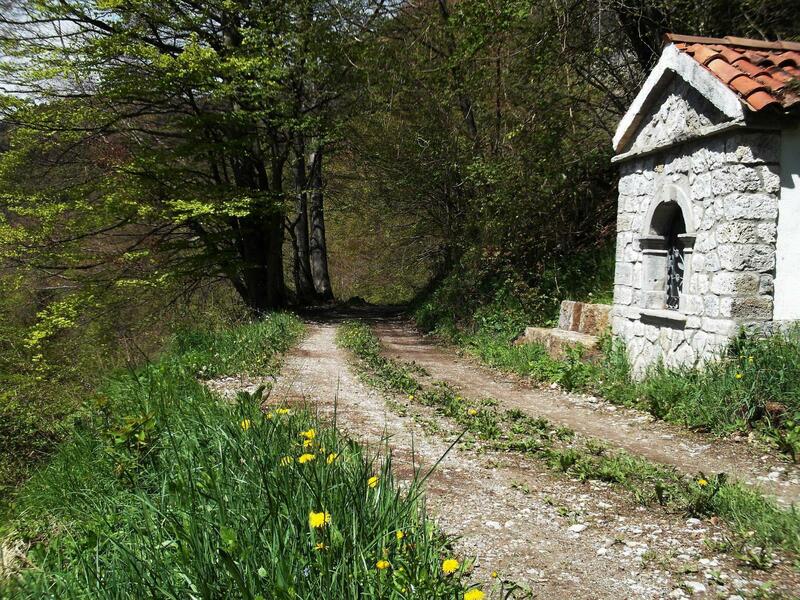 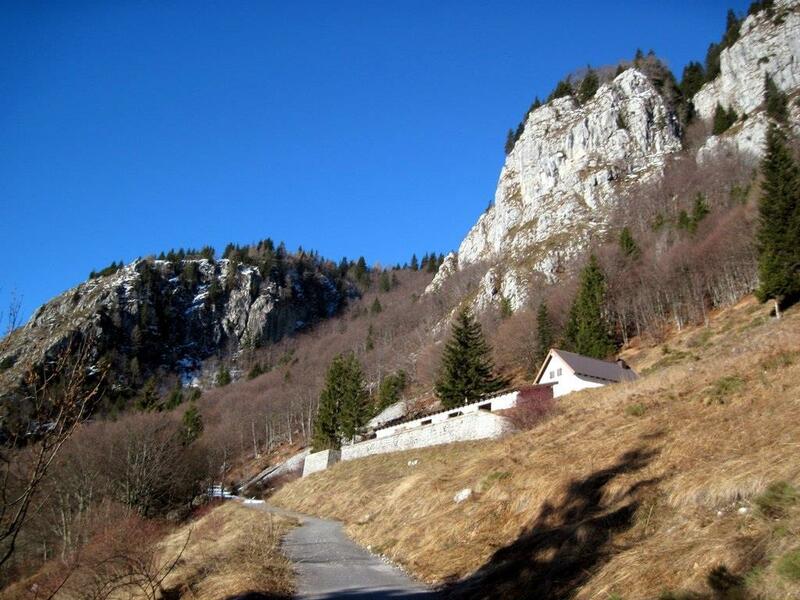 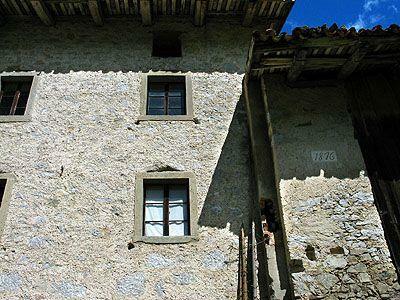 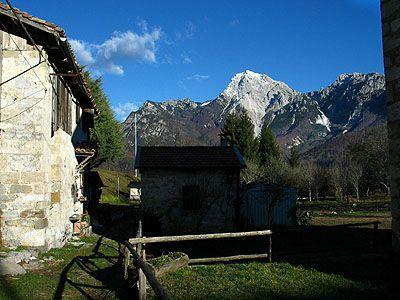 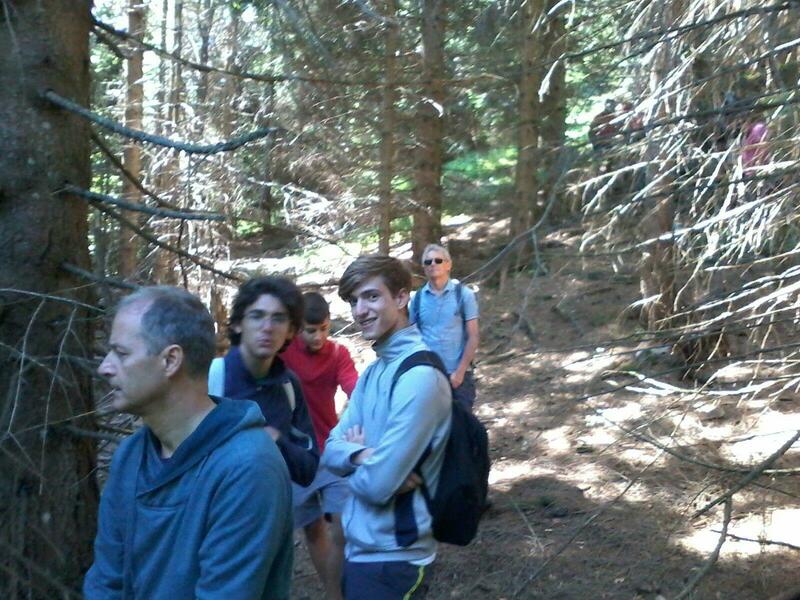 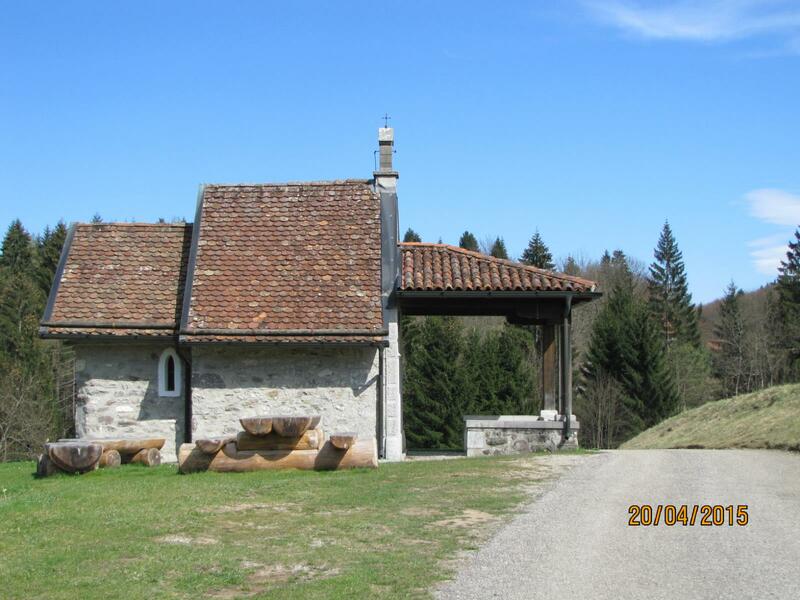 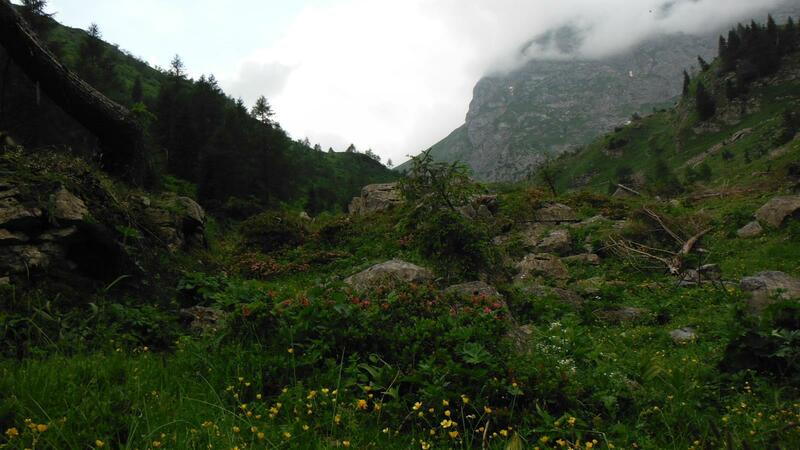 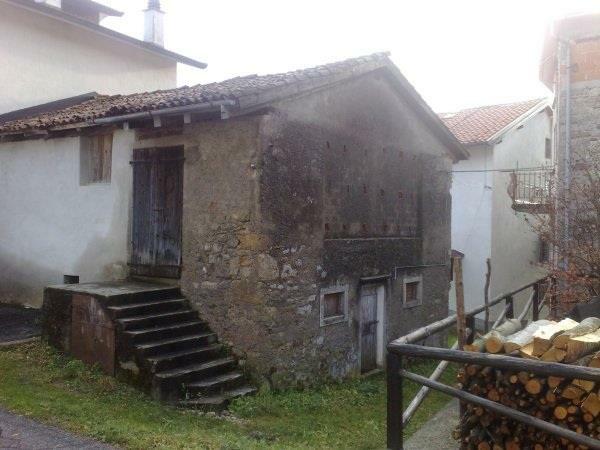 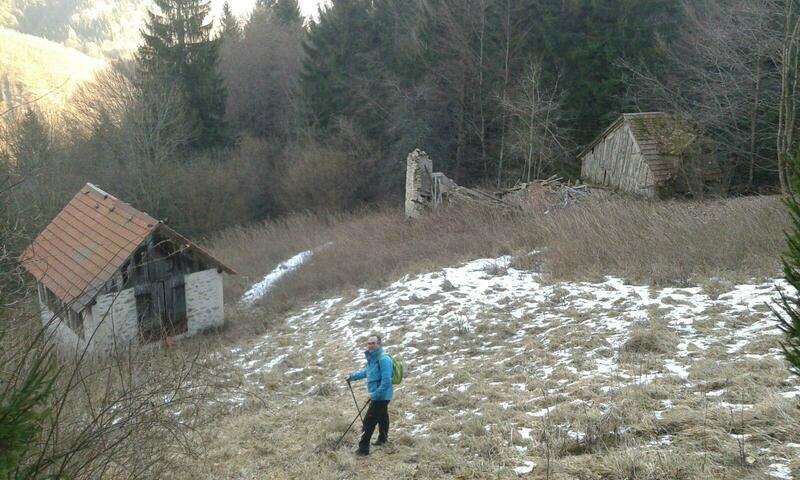 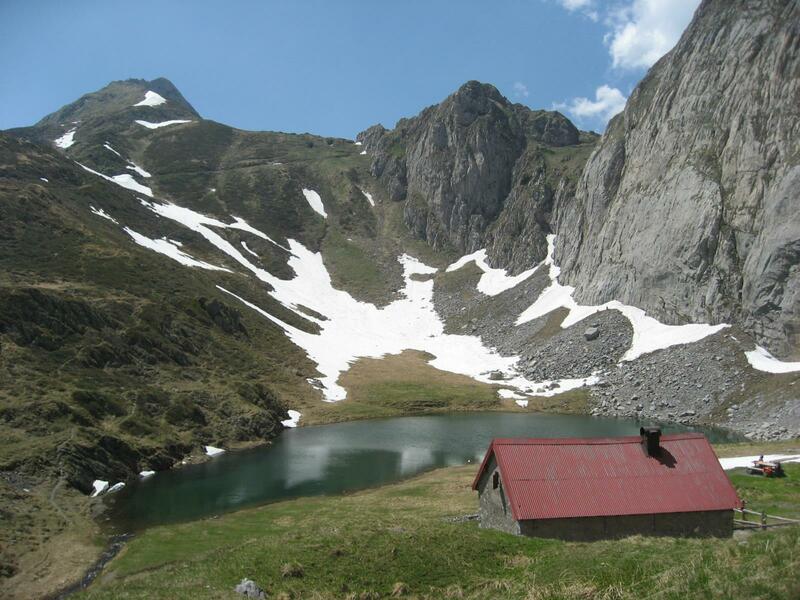 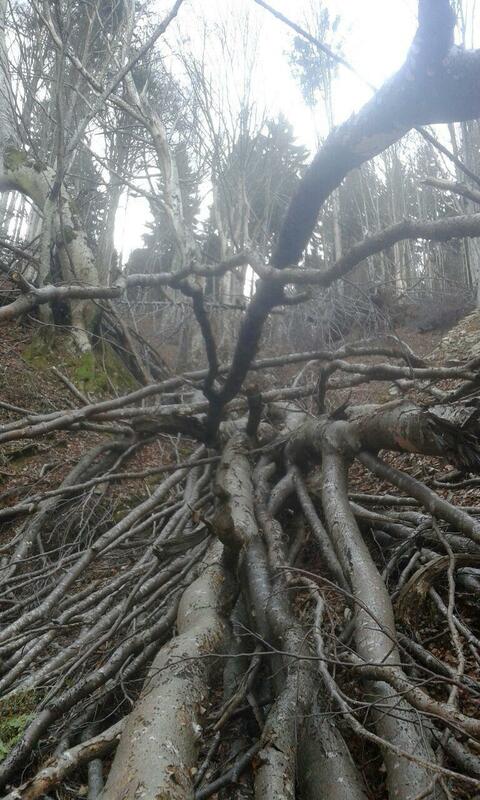 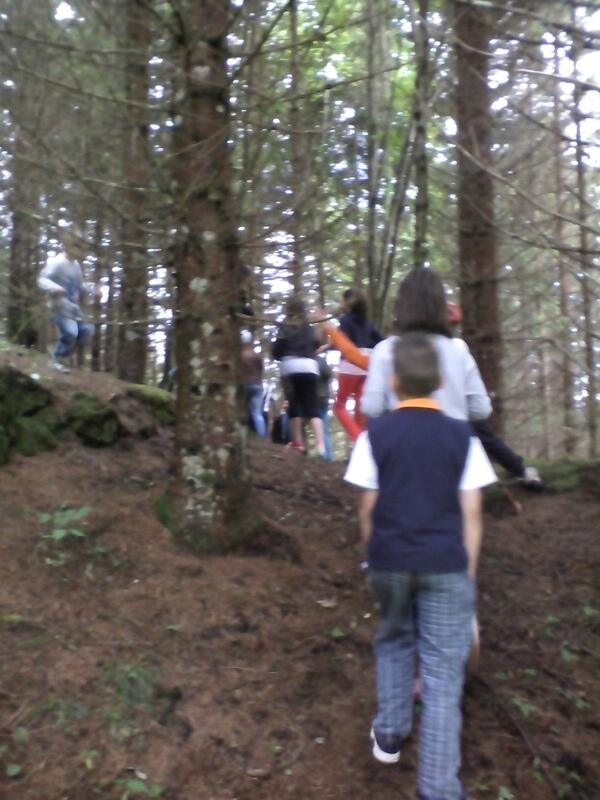 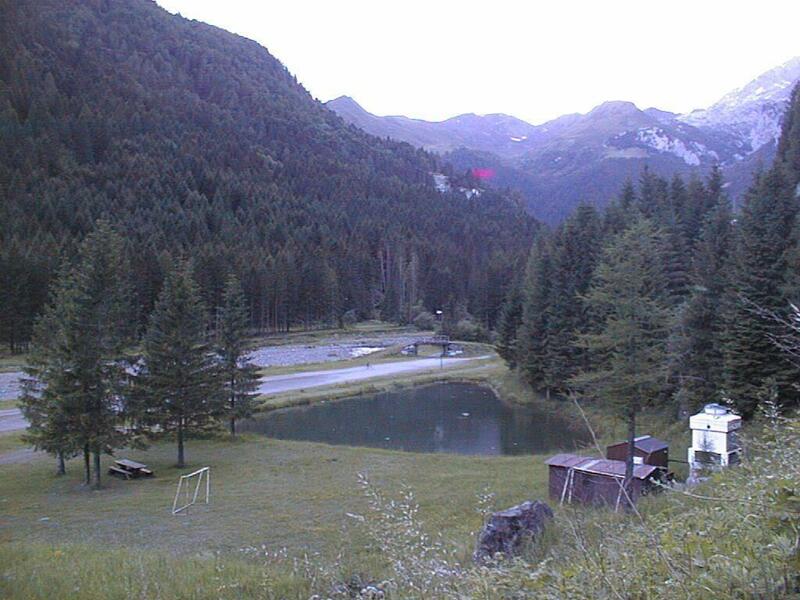 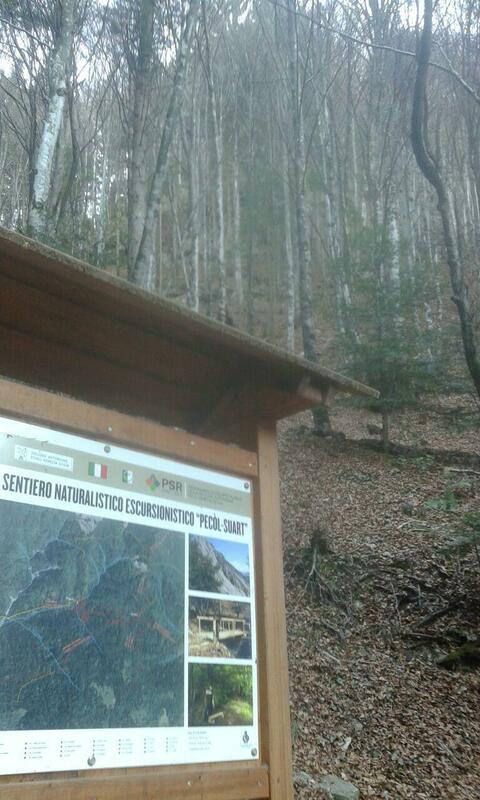 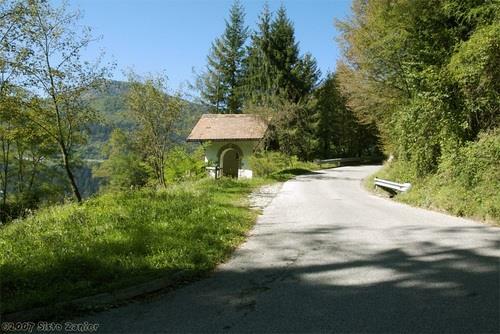 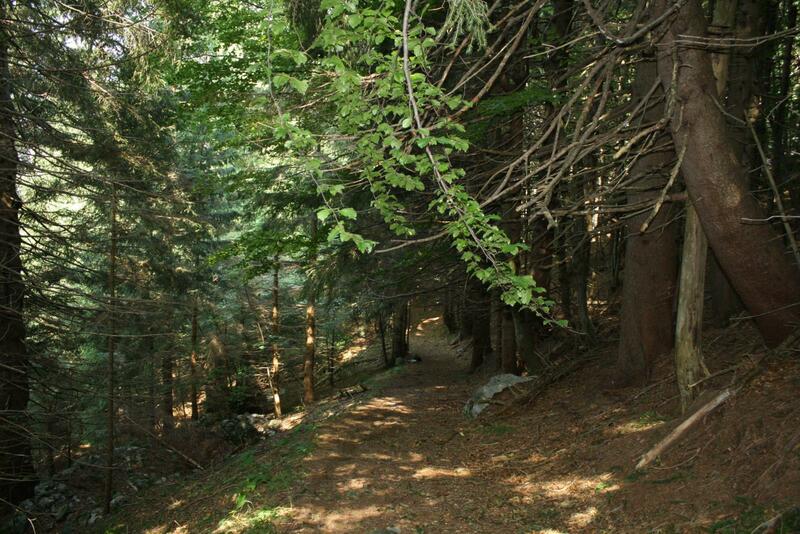 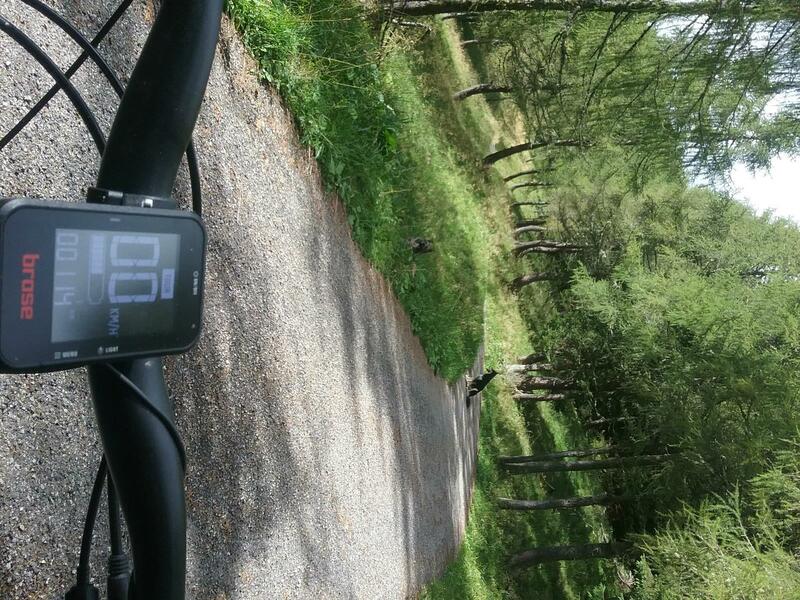 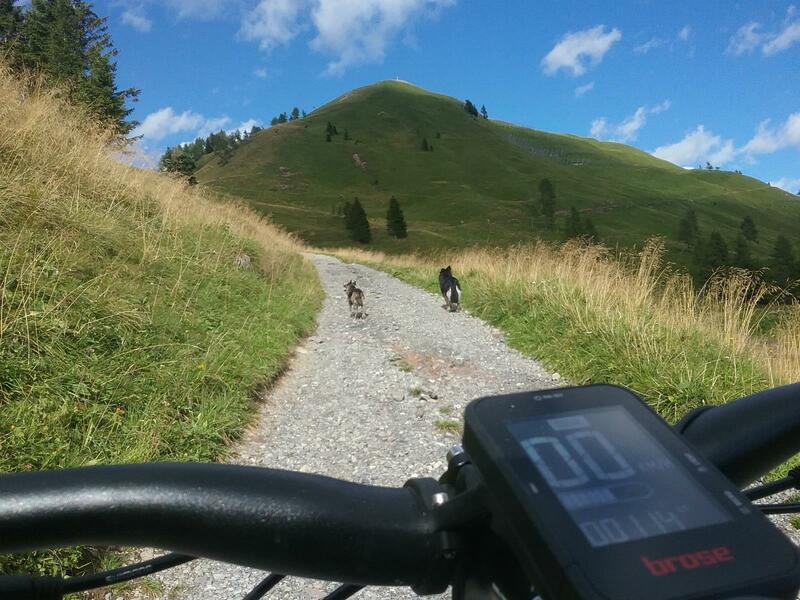 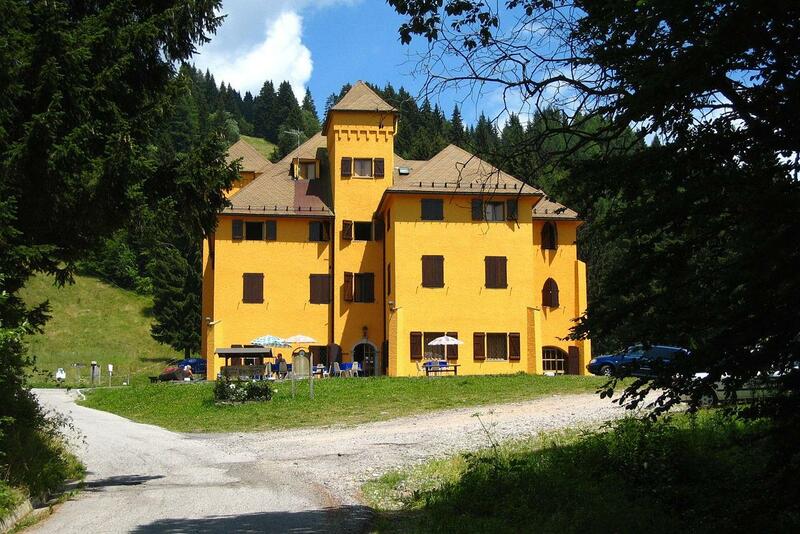 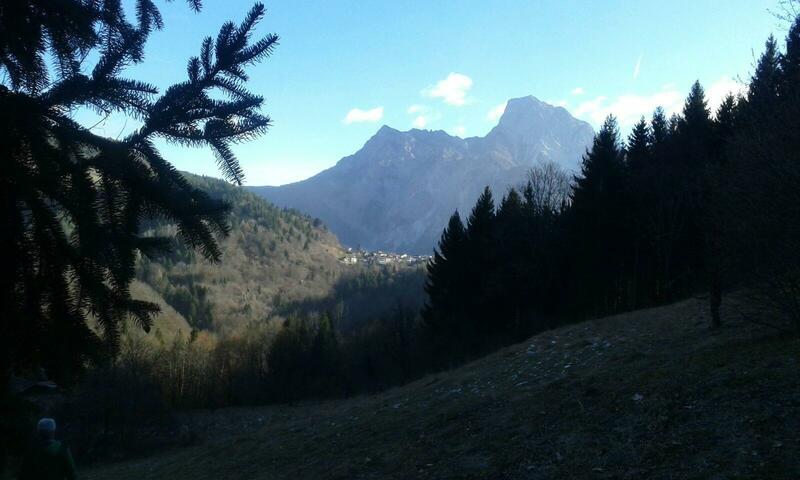 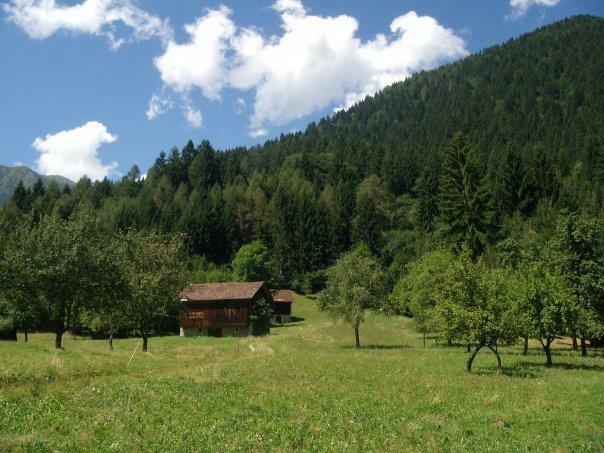 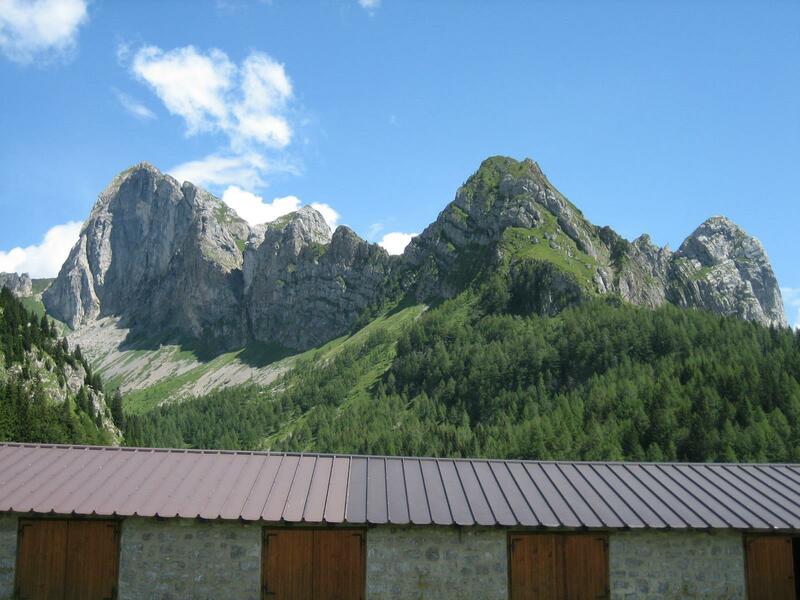 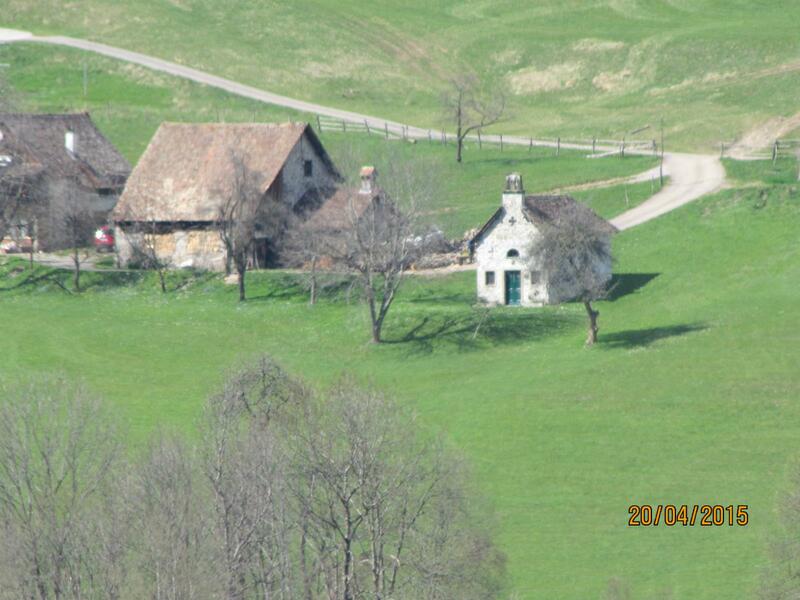 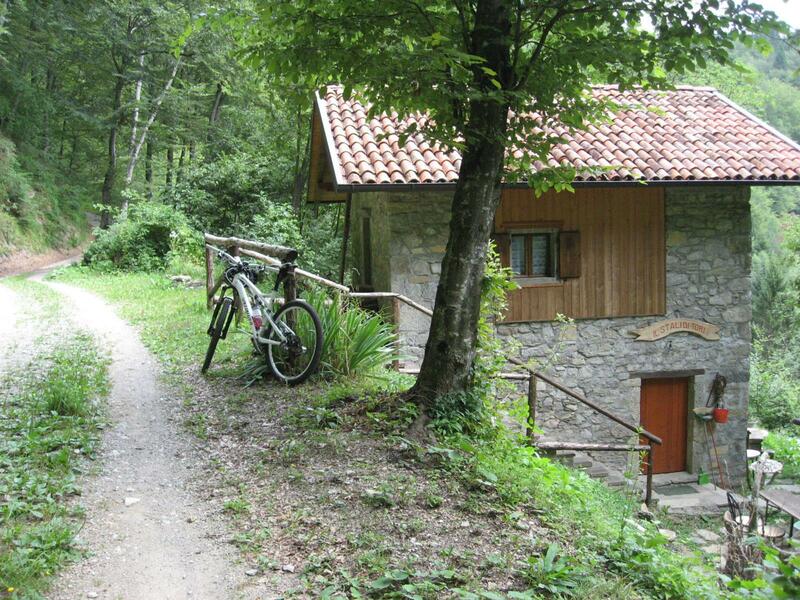 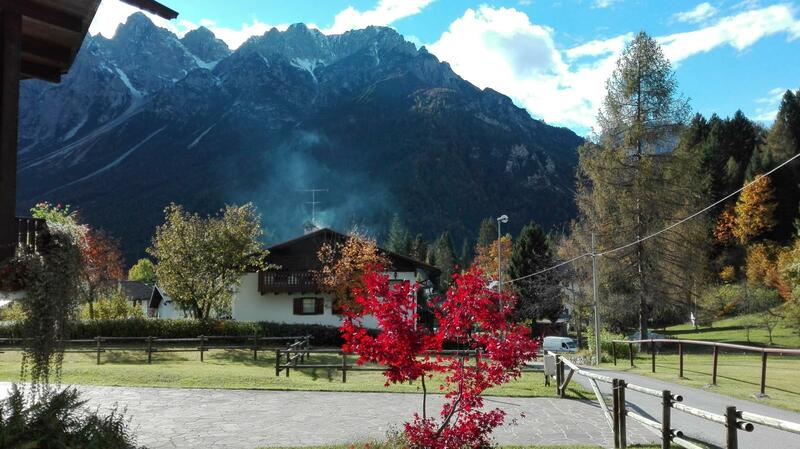 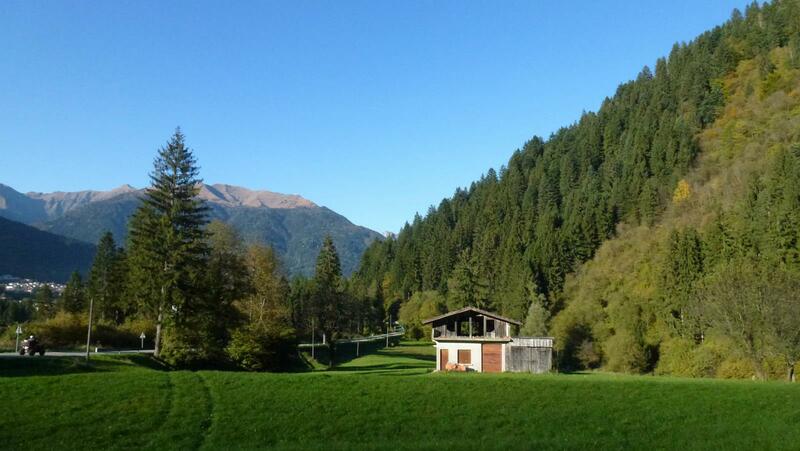 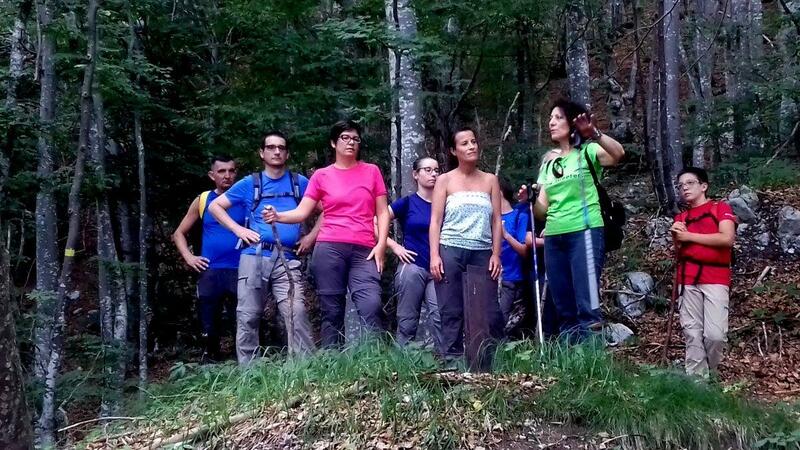 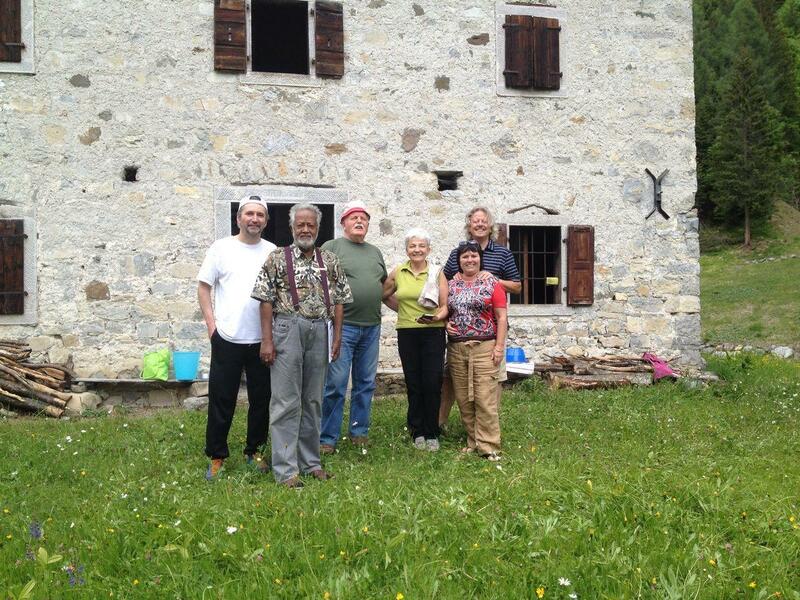 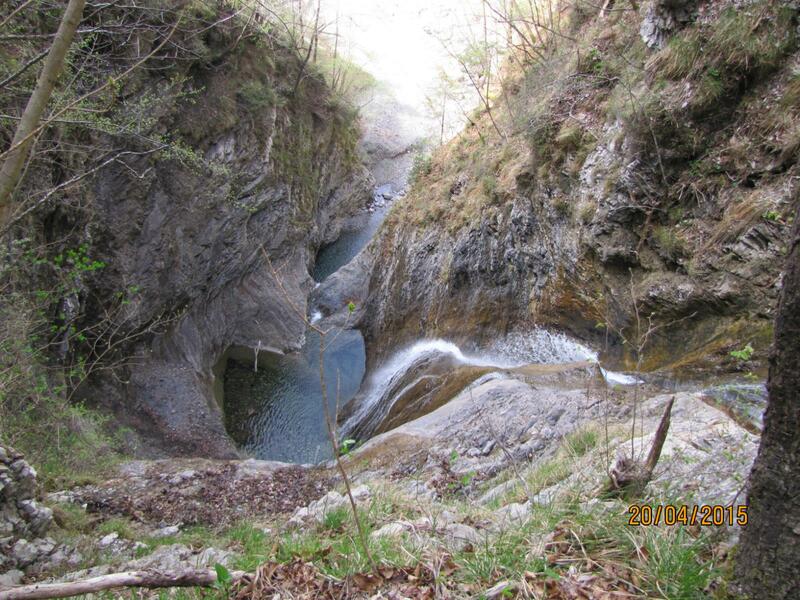 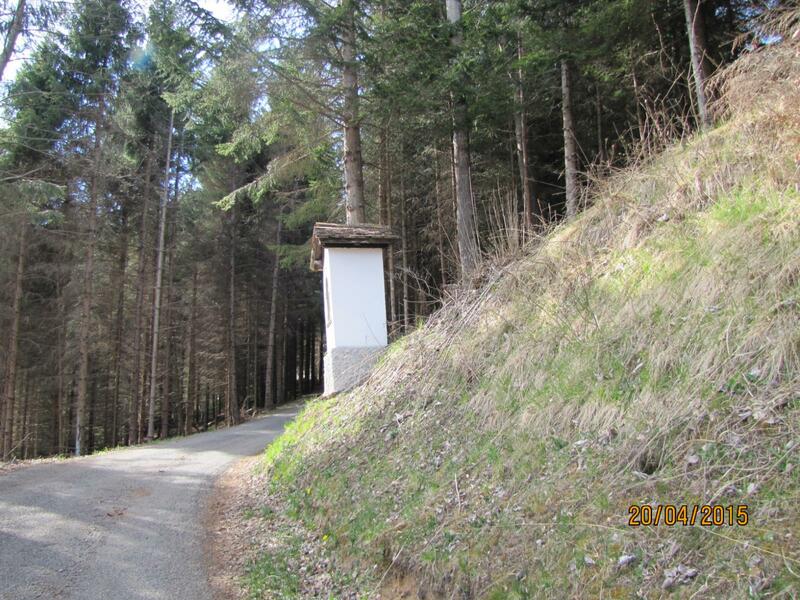 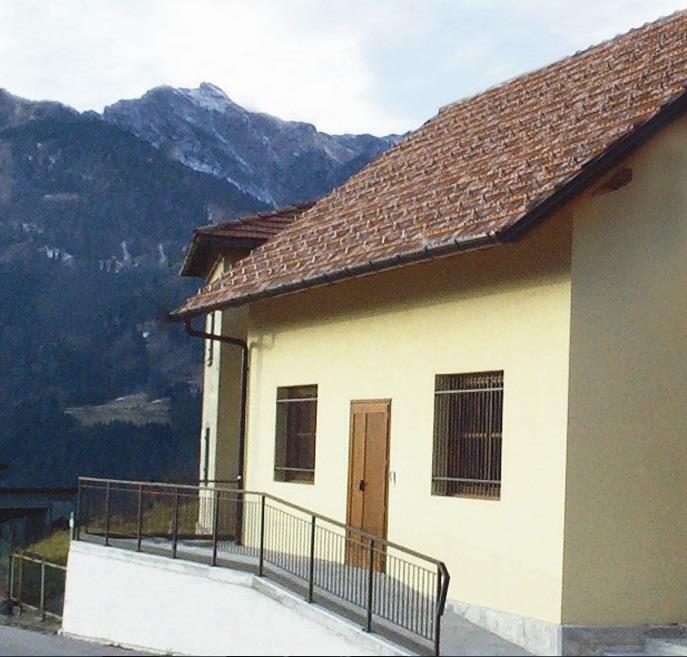 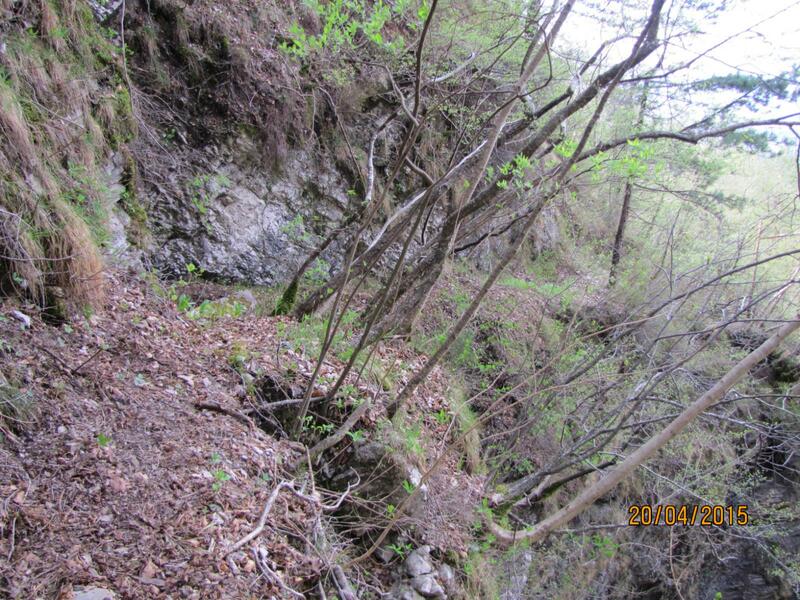 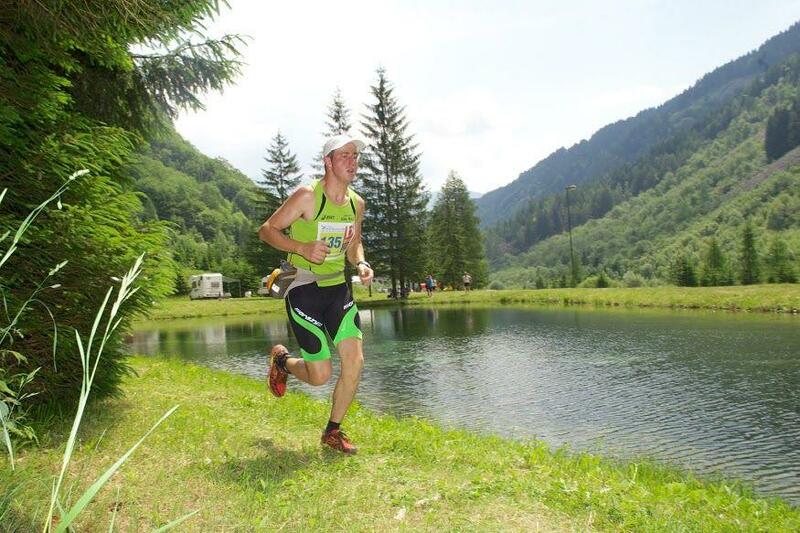 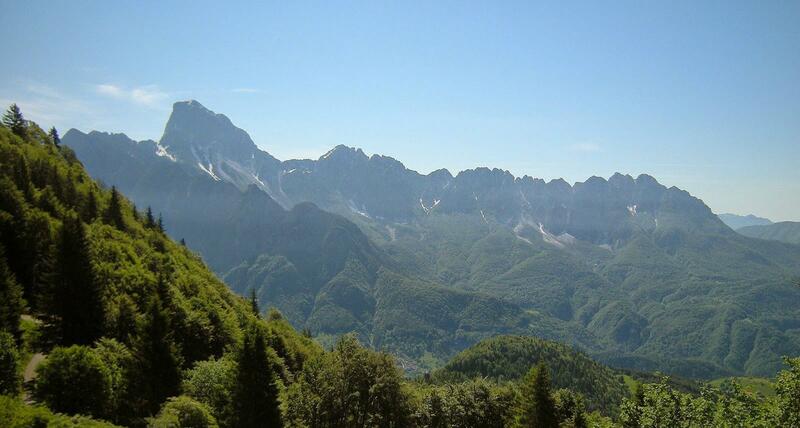 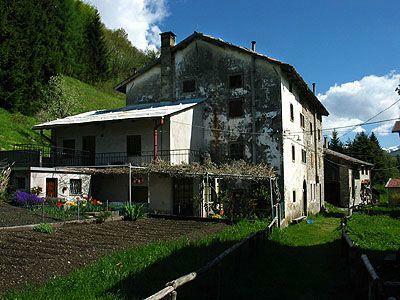 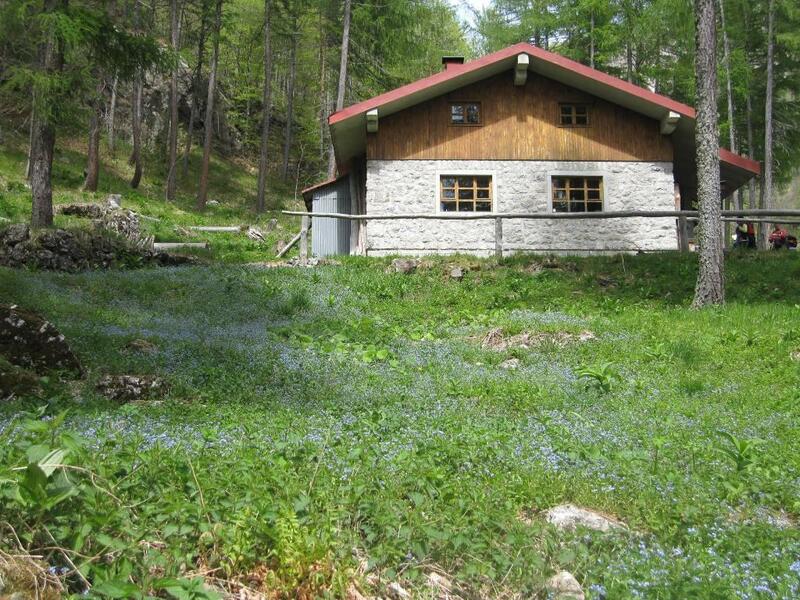 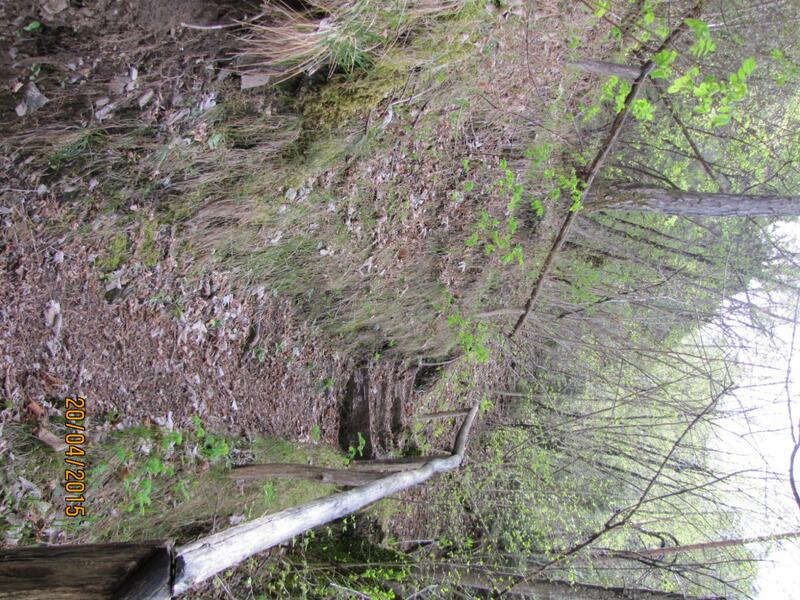 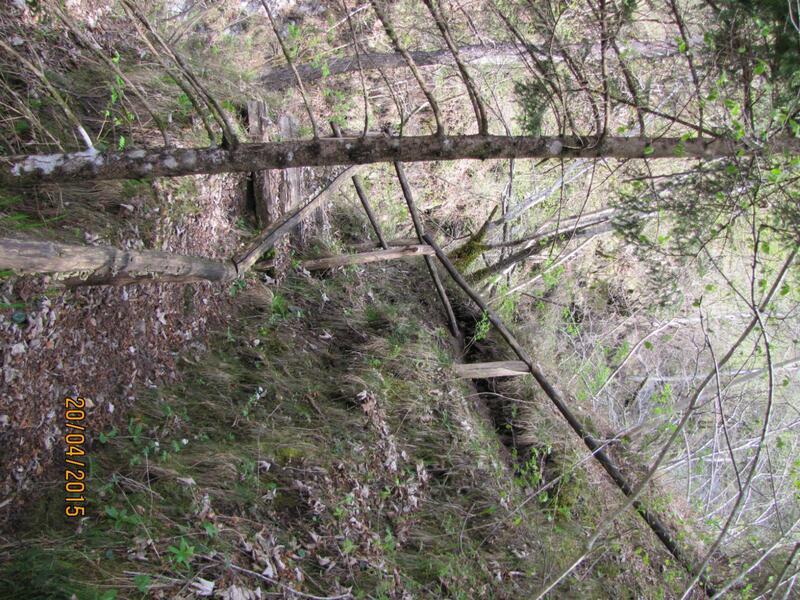 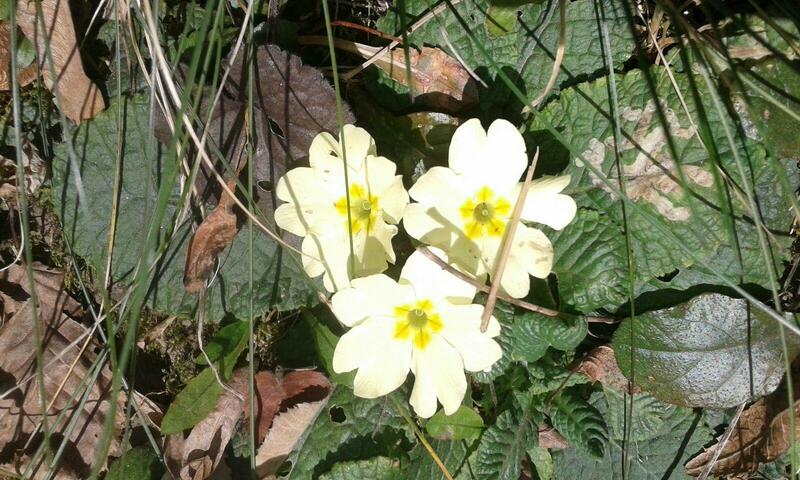 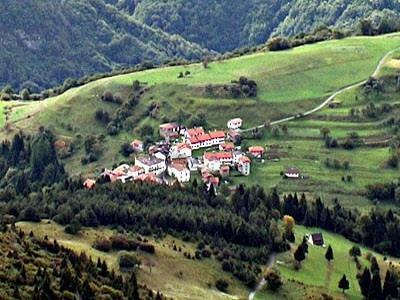 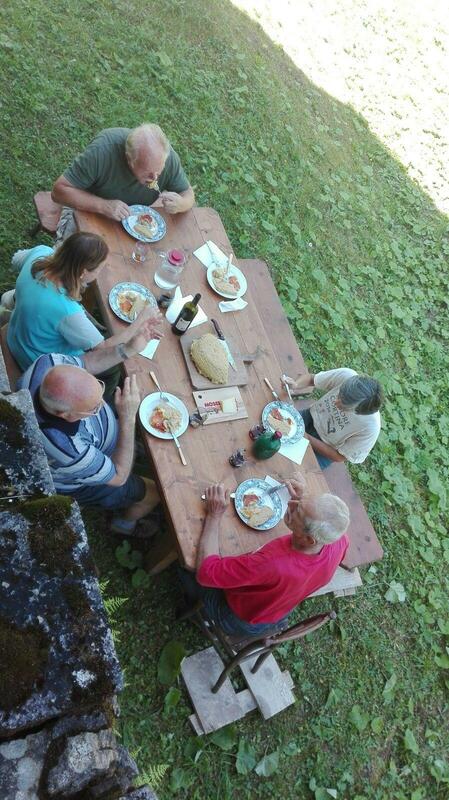 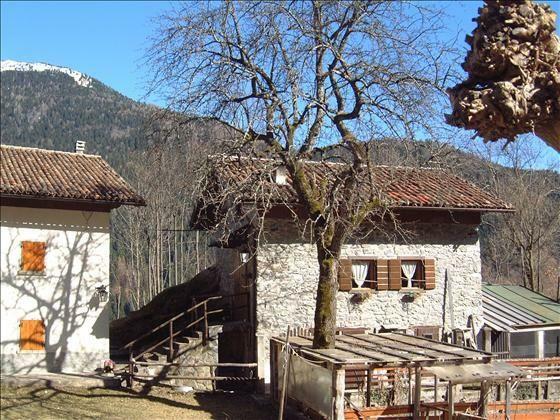 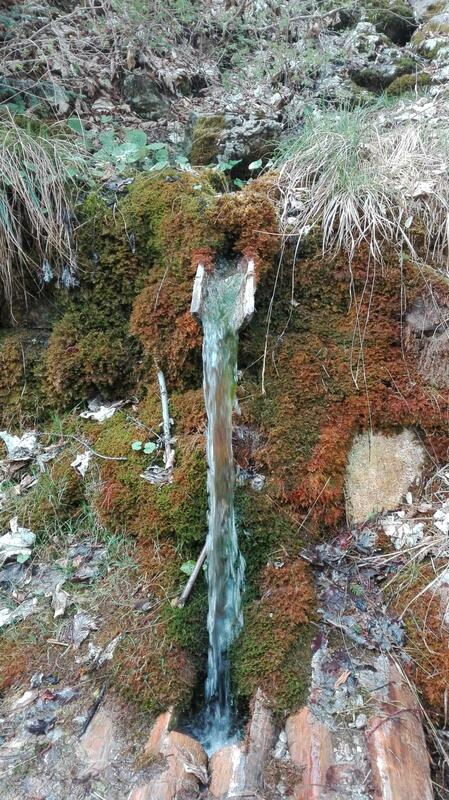 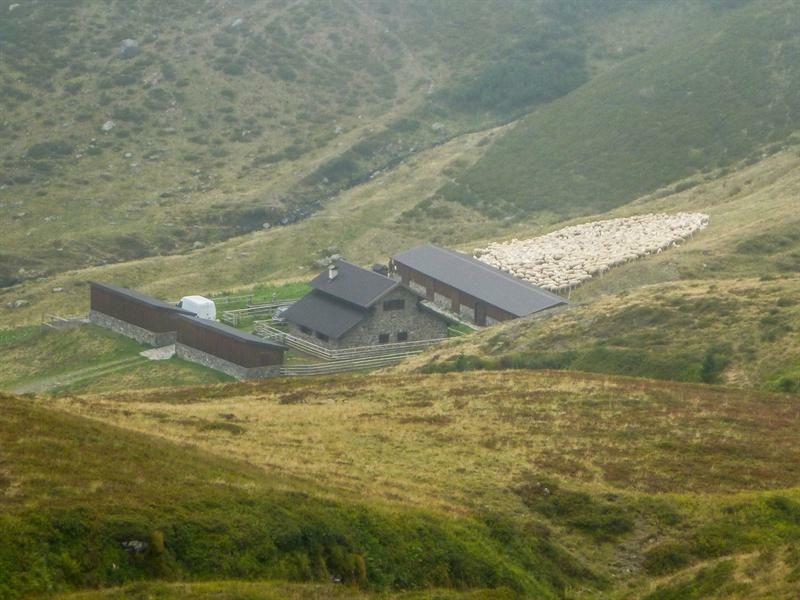 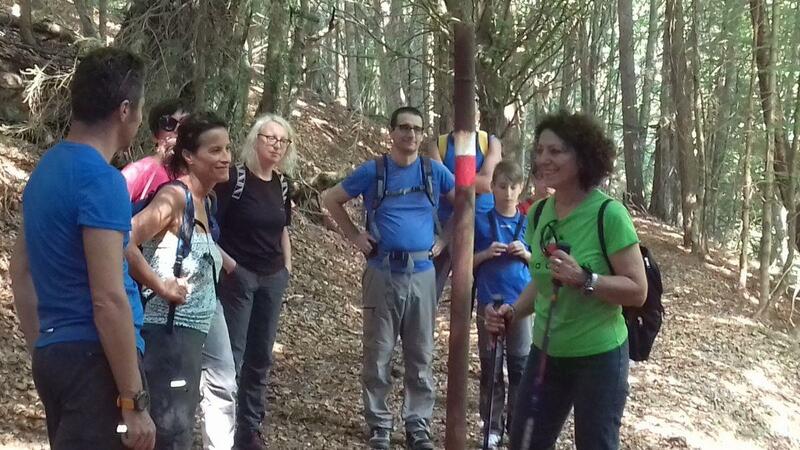 ), across an easy path into a beeches wood, you arrive at Bivacco dei Lander (1190 m a.s.l.) 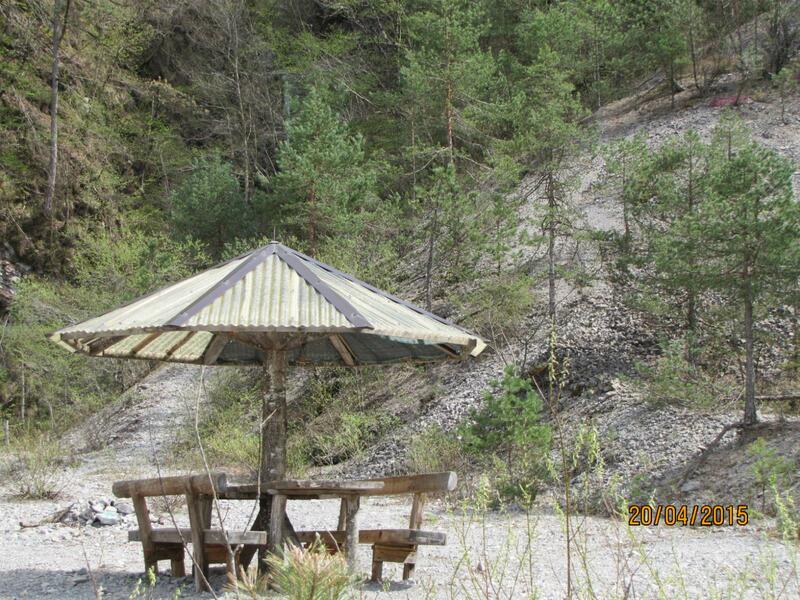 that will always be open and unattended. 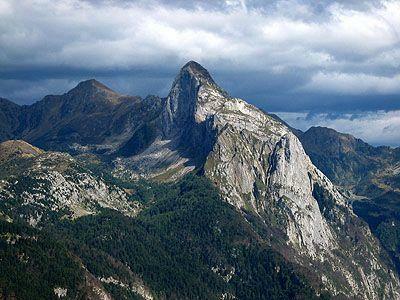 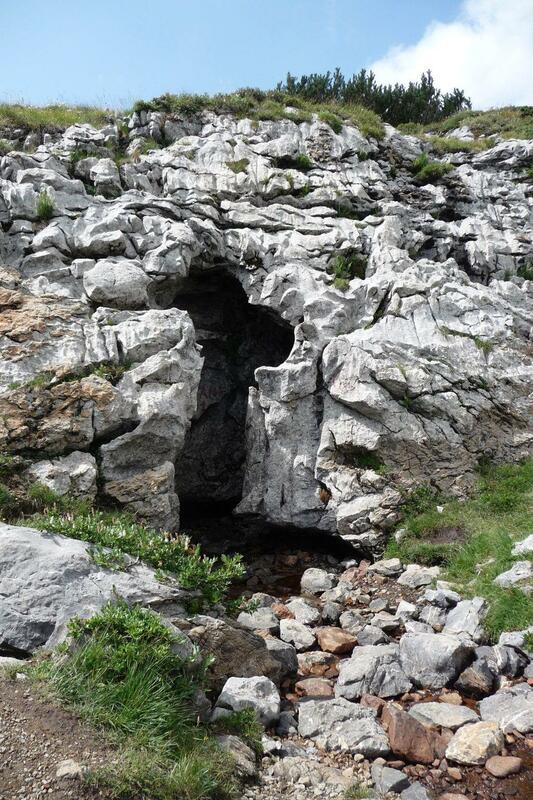 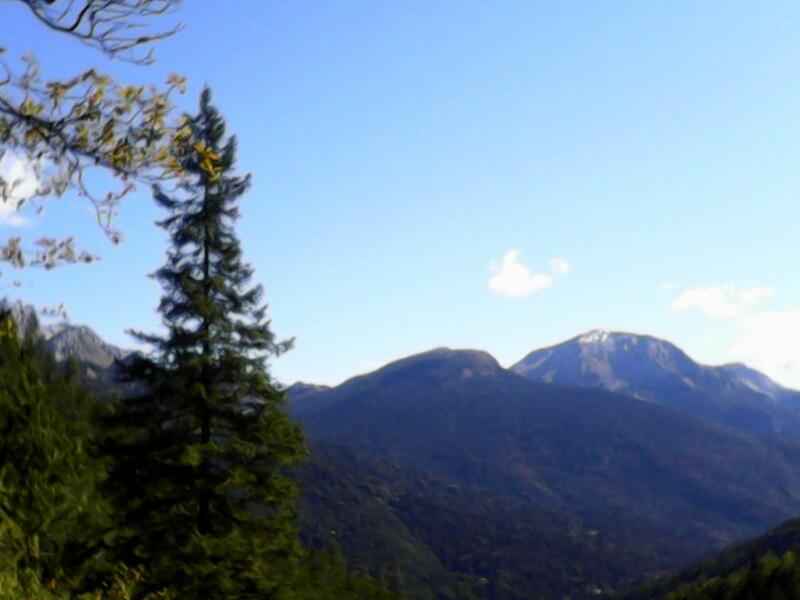 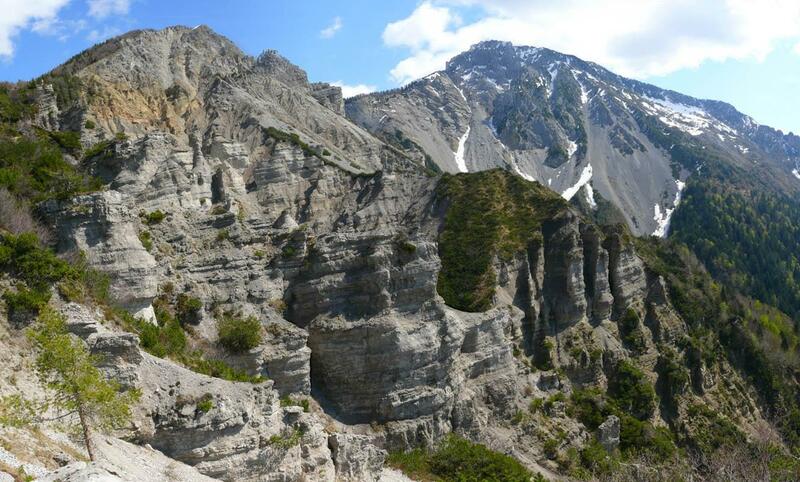 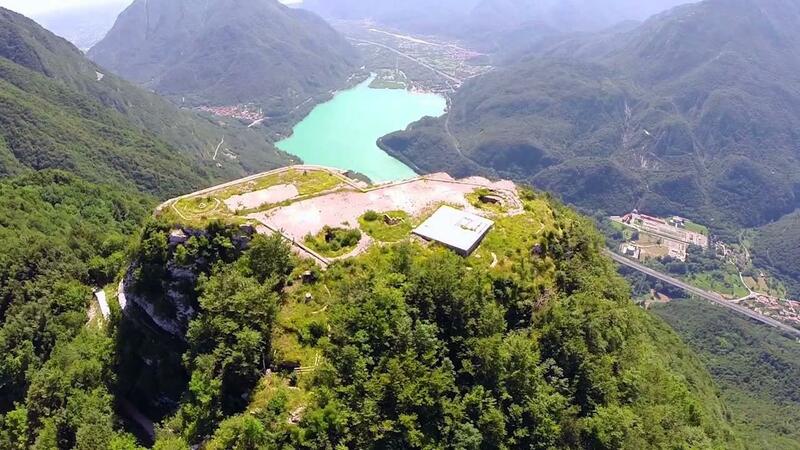 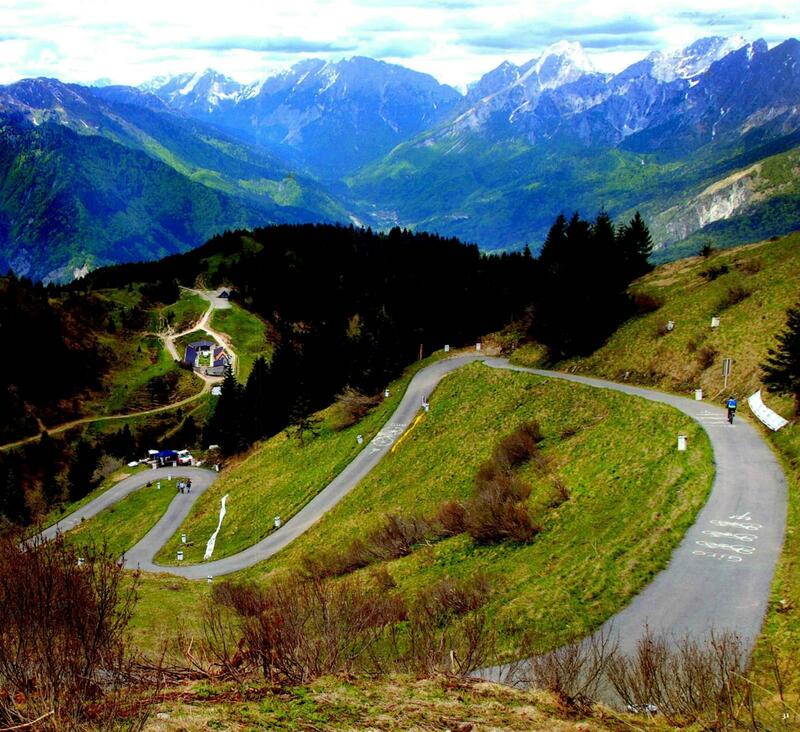 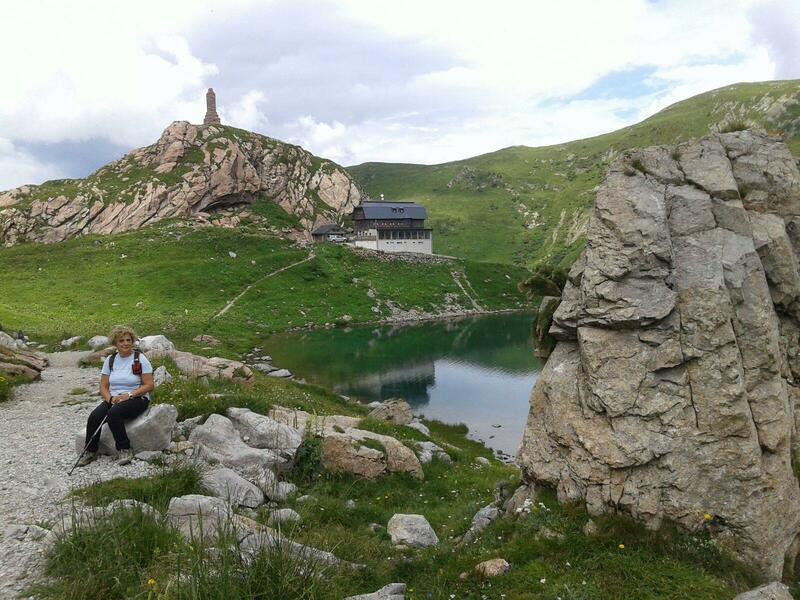 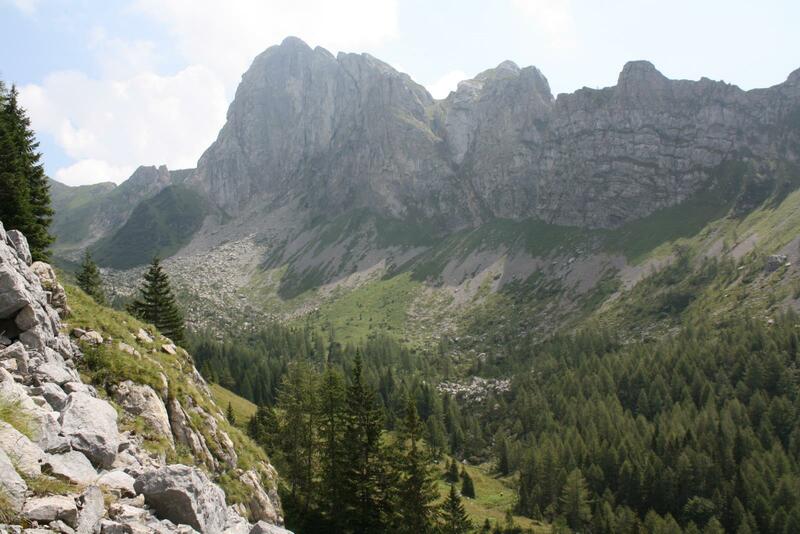 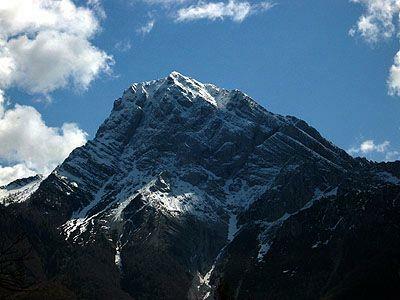 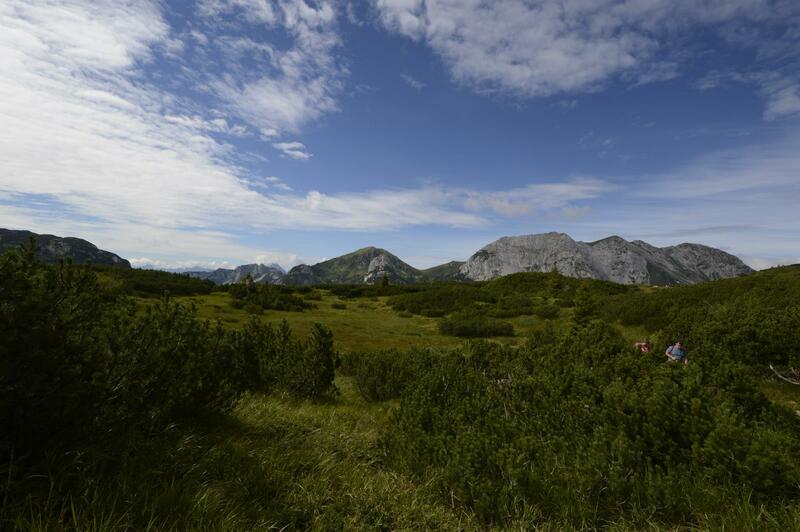 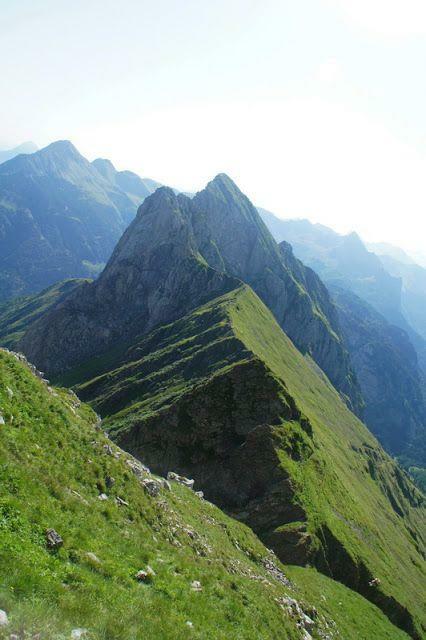 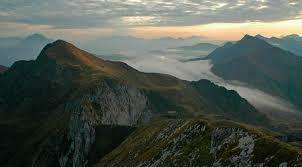 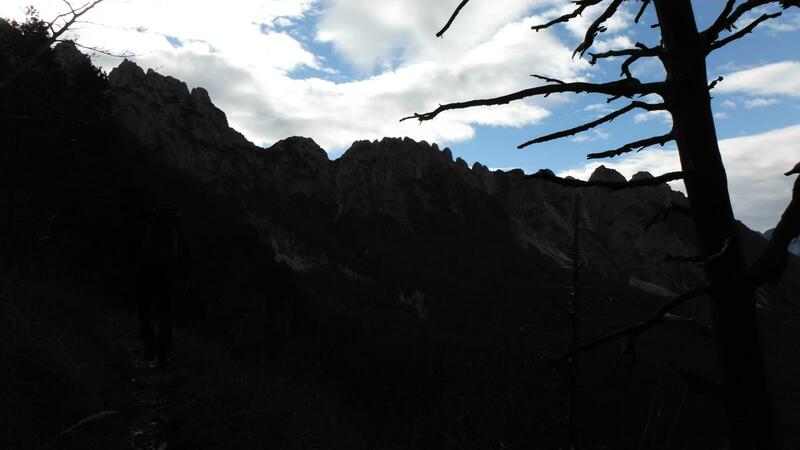 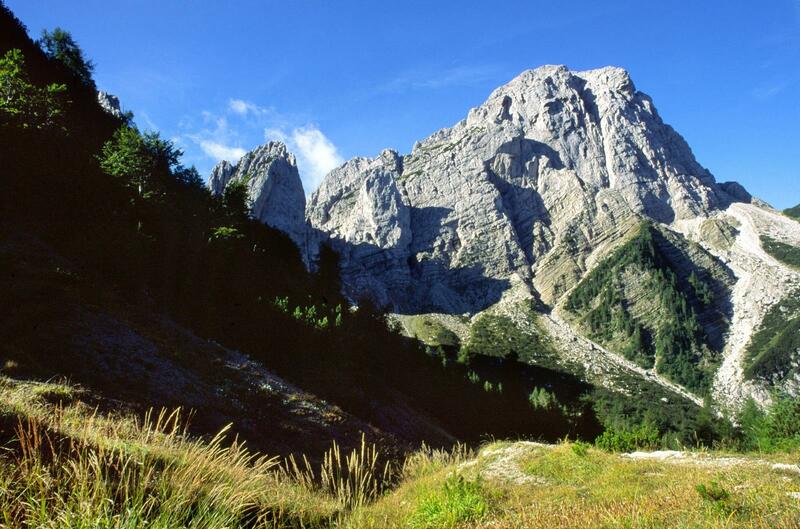 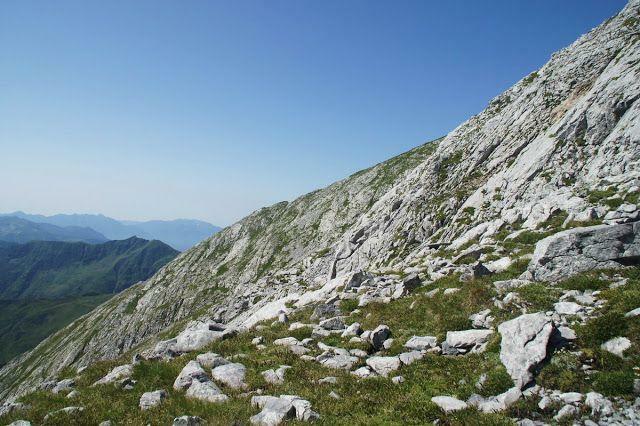 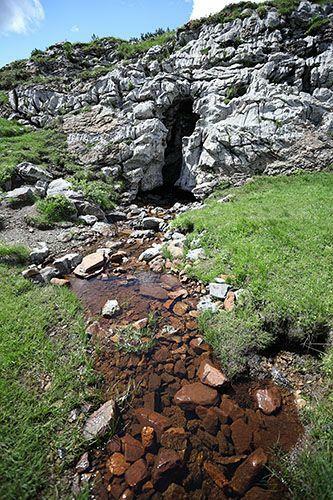 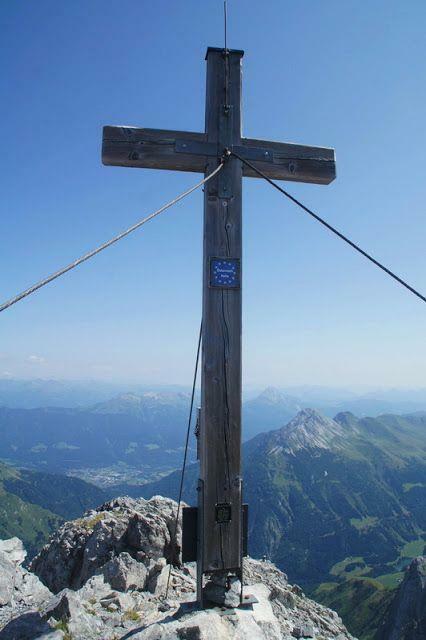 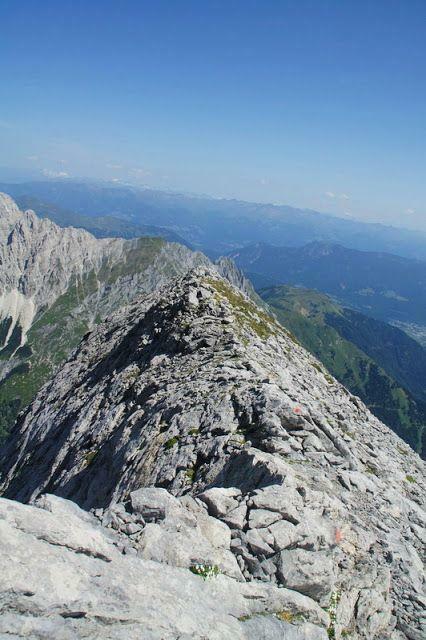 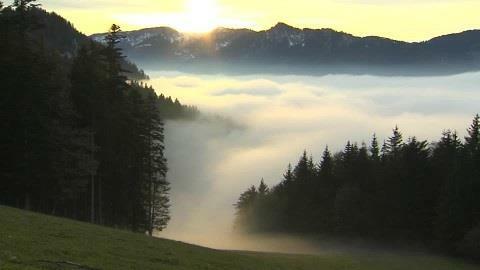 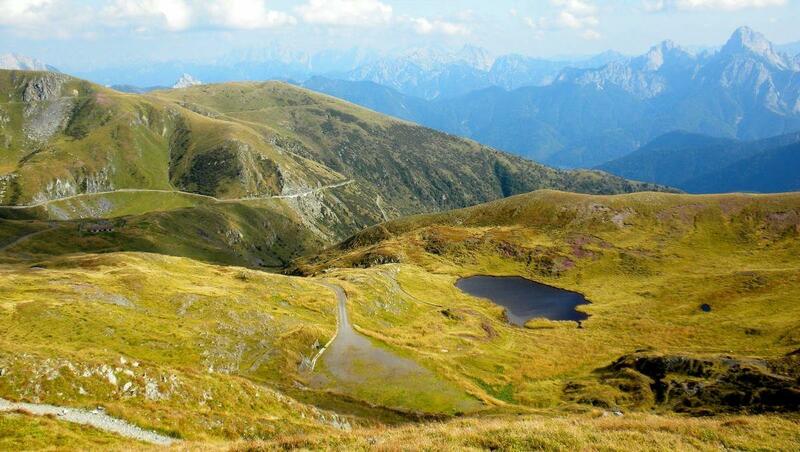 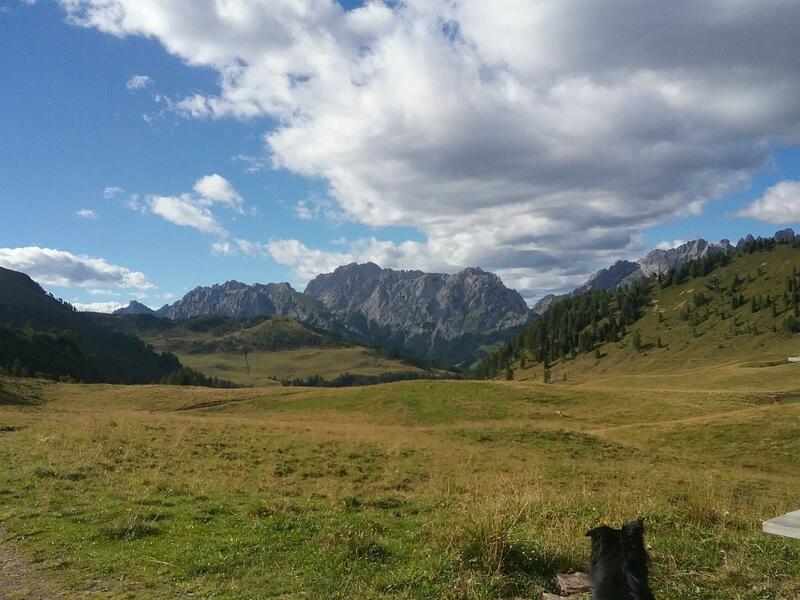 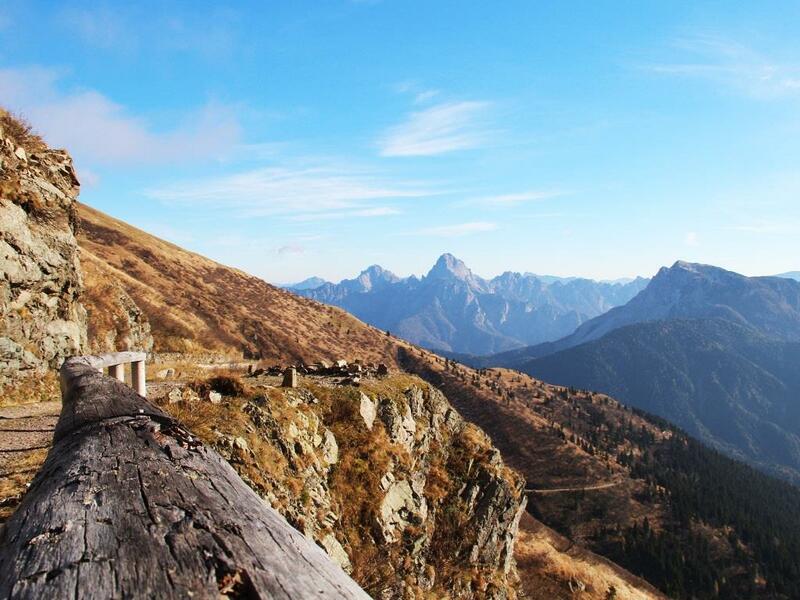 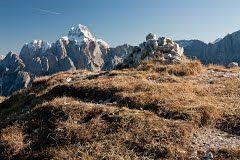 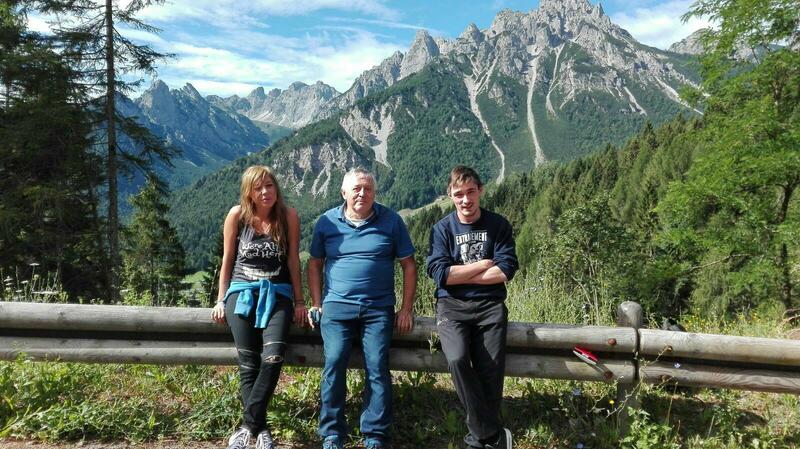 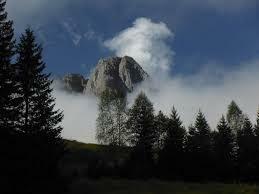 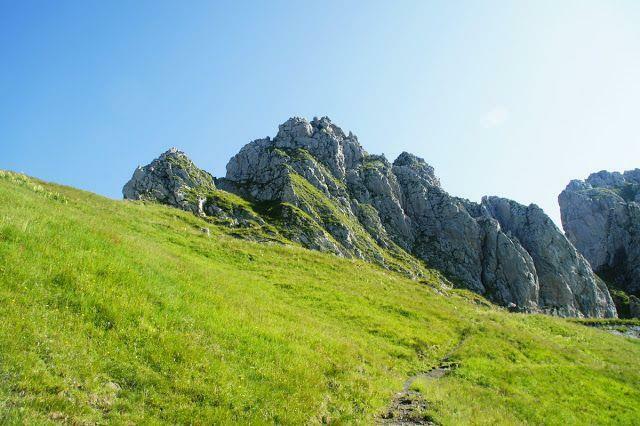 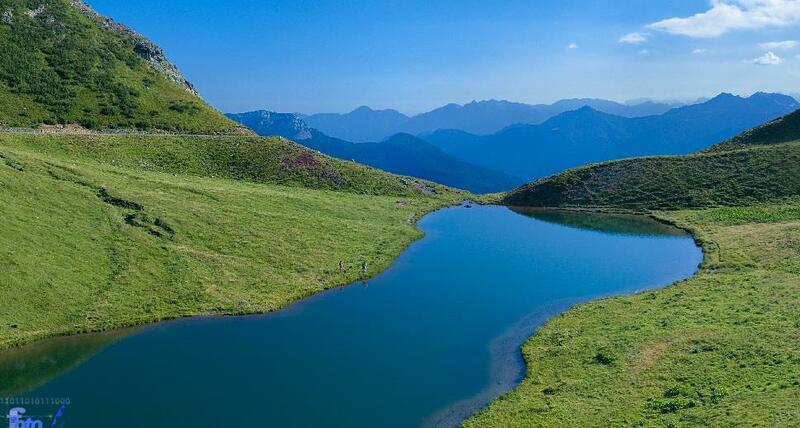 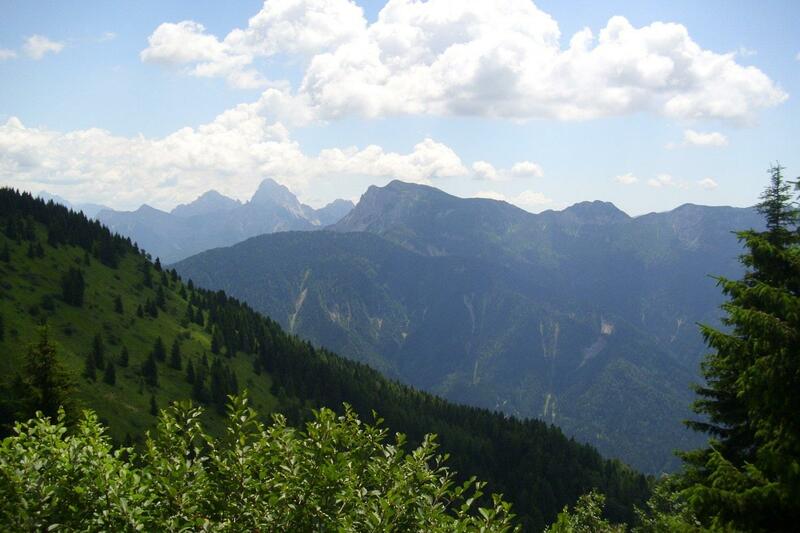 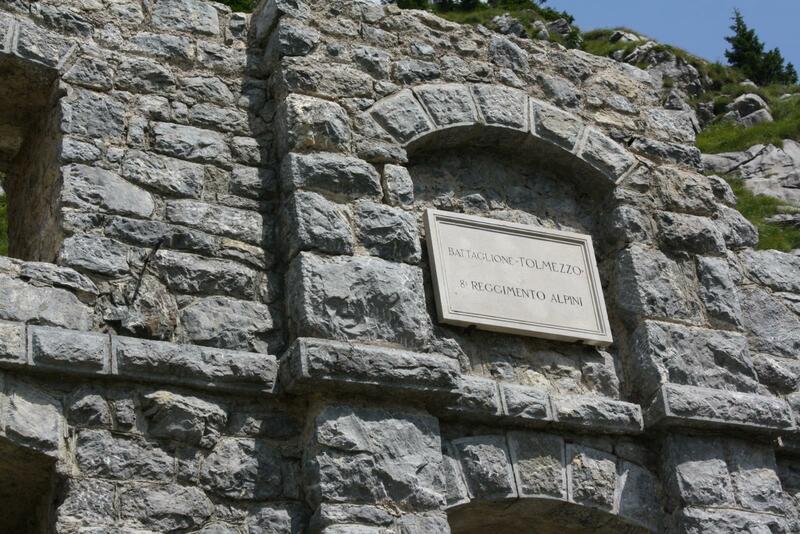 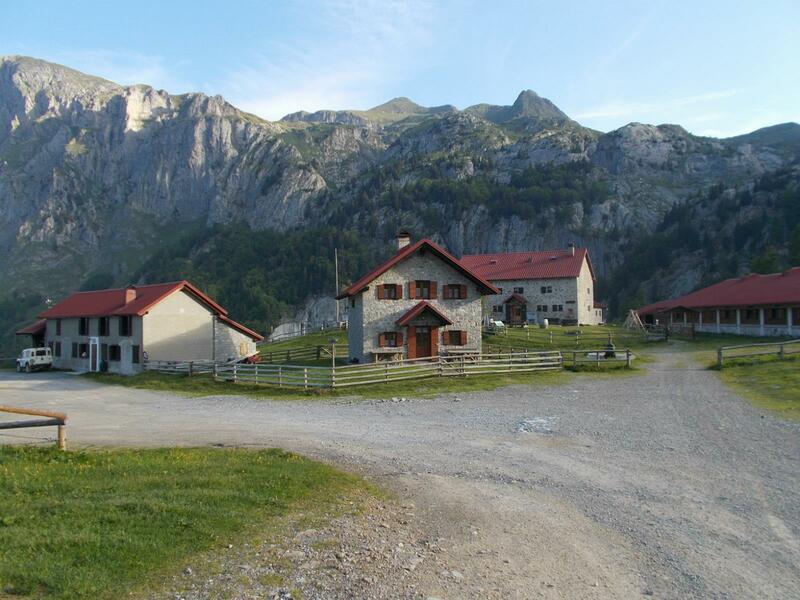 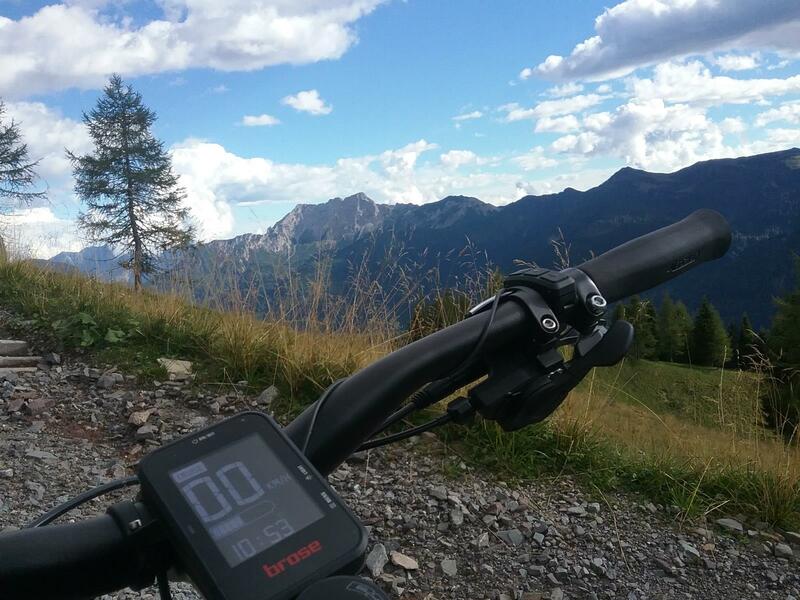 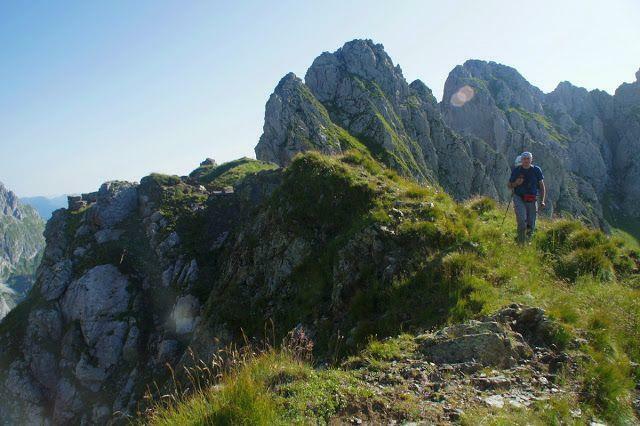 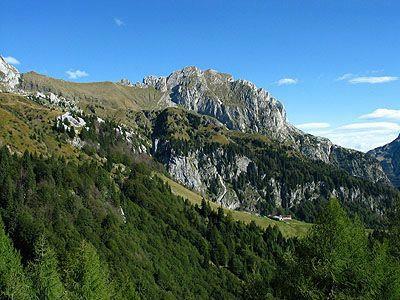 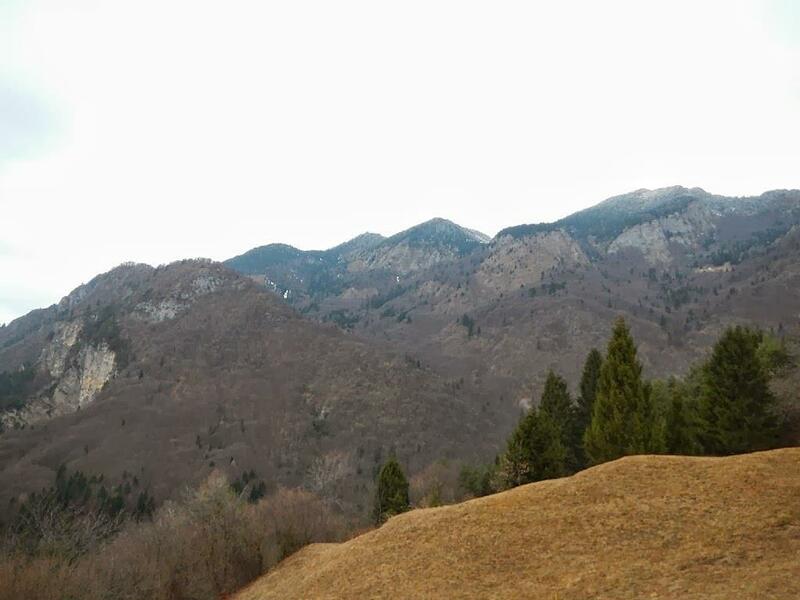 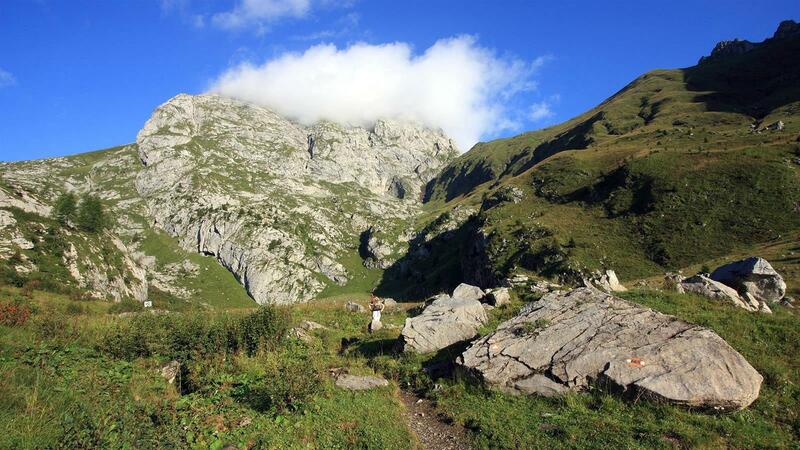 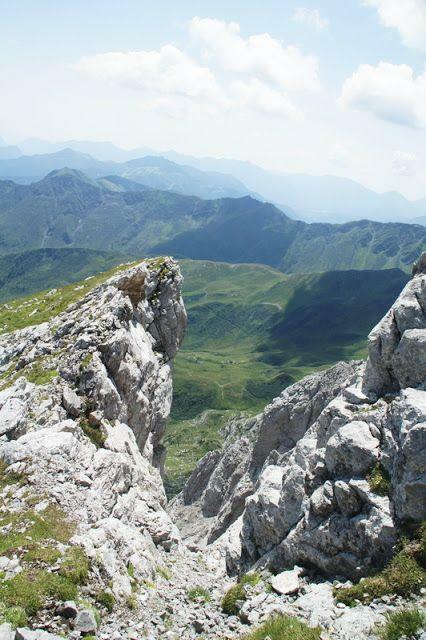 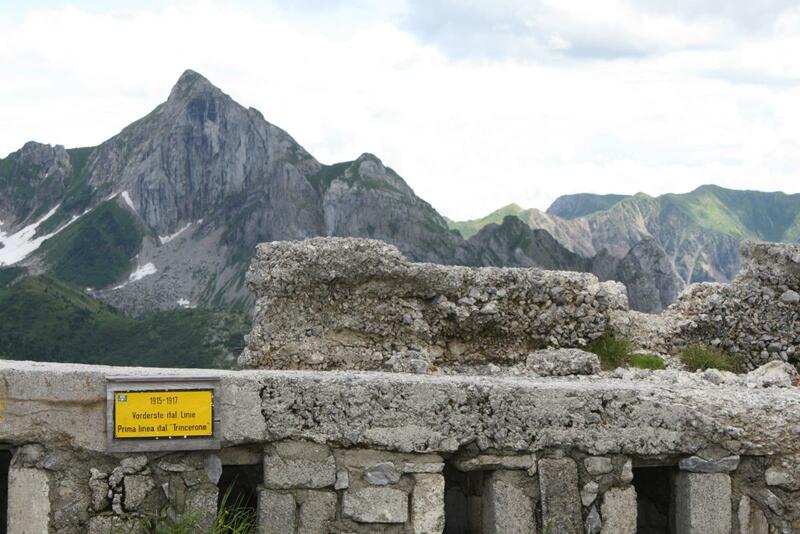 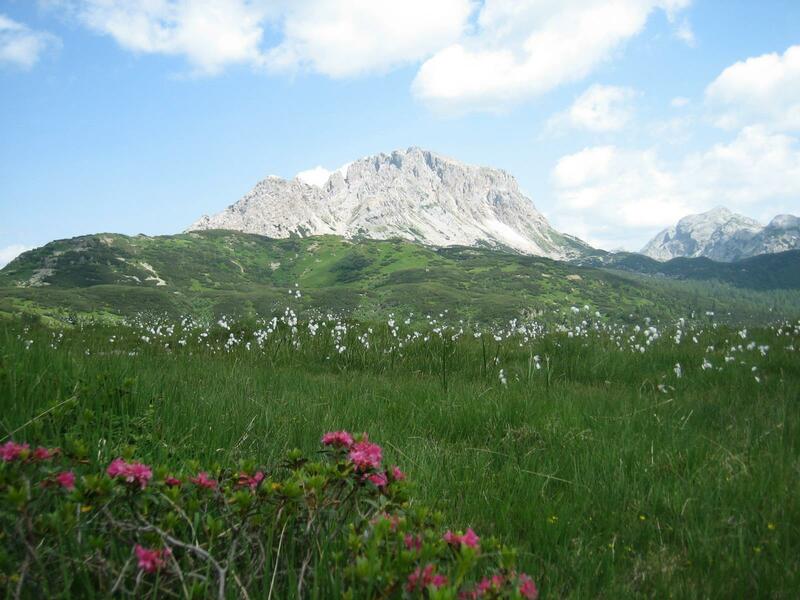 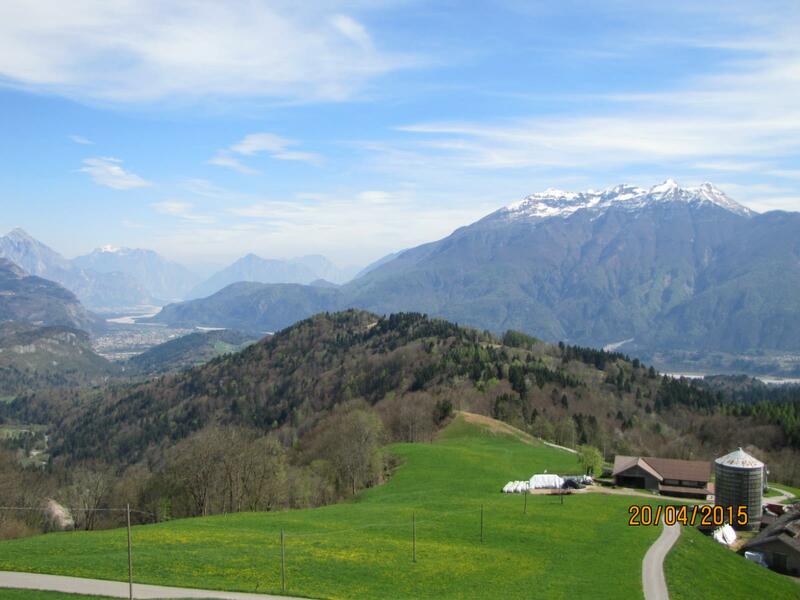 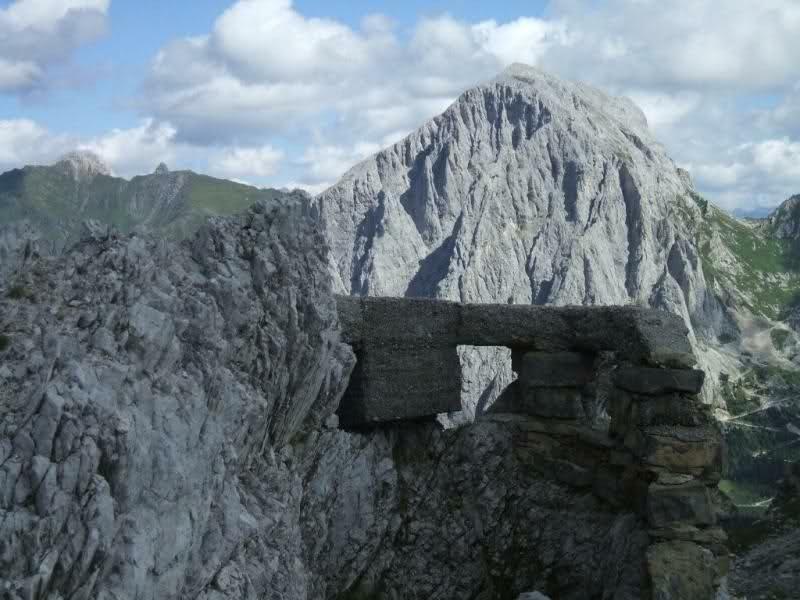 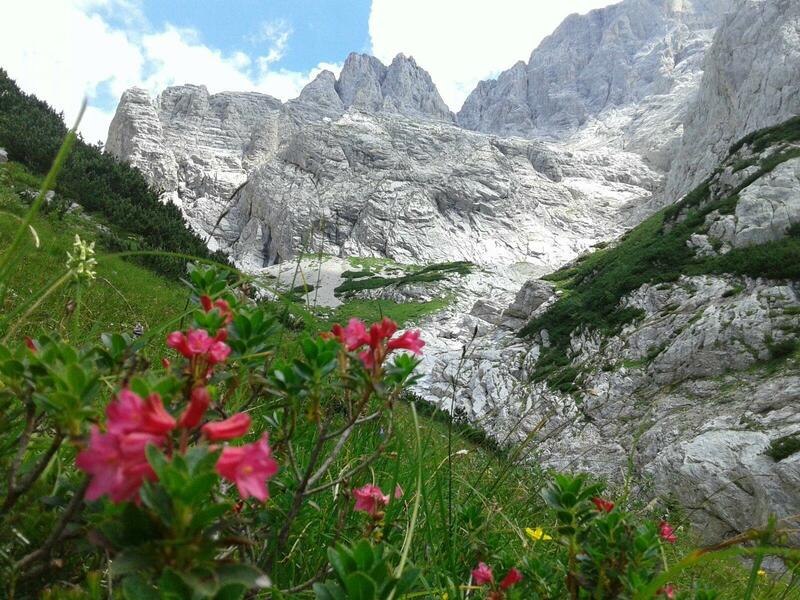 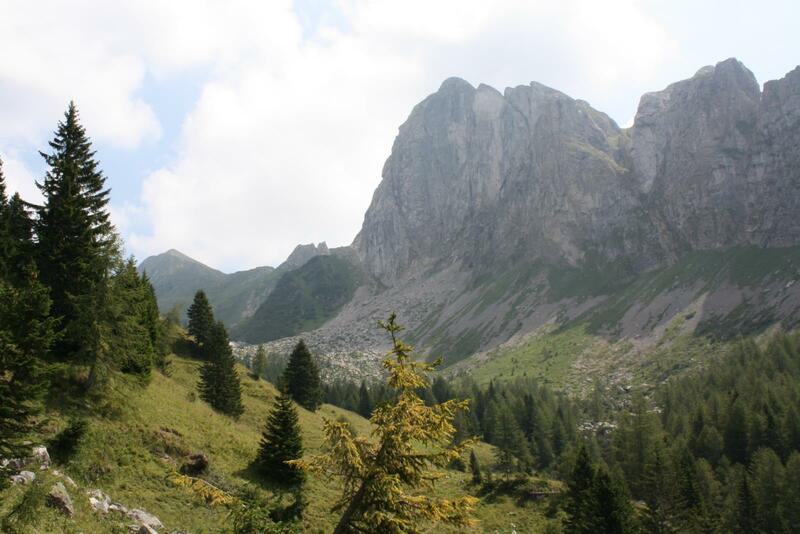 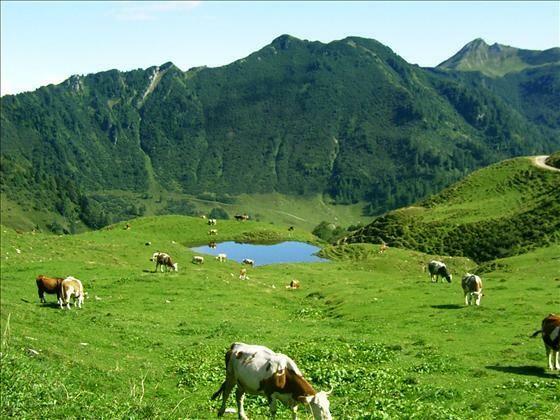 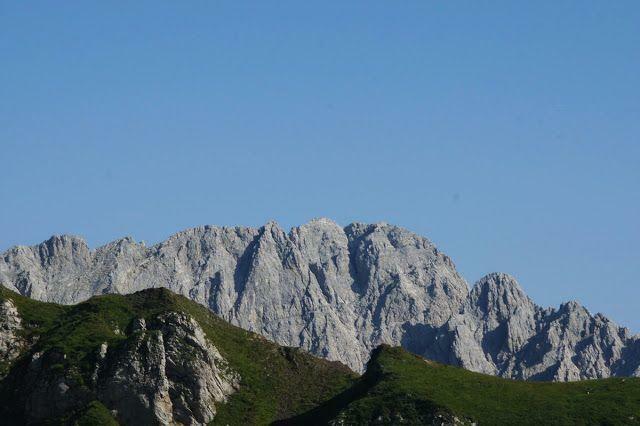 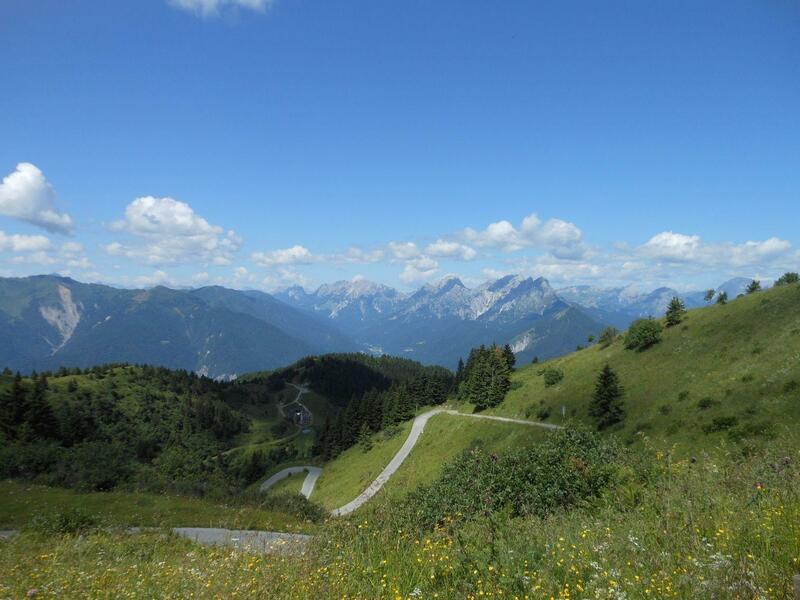 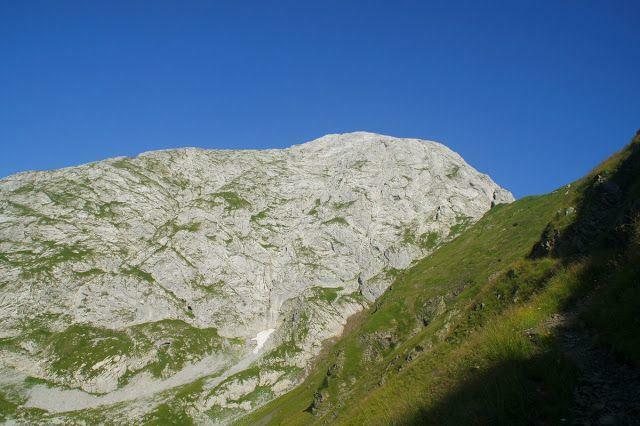 Monte Cucco’s Top: this place of heart is situated on 1800 m of altitude and here you can admire a breathtaking views. 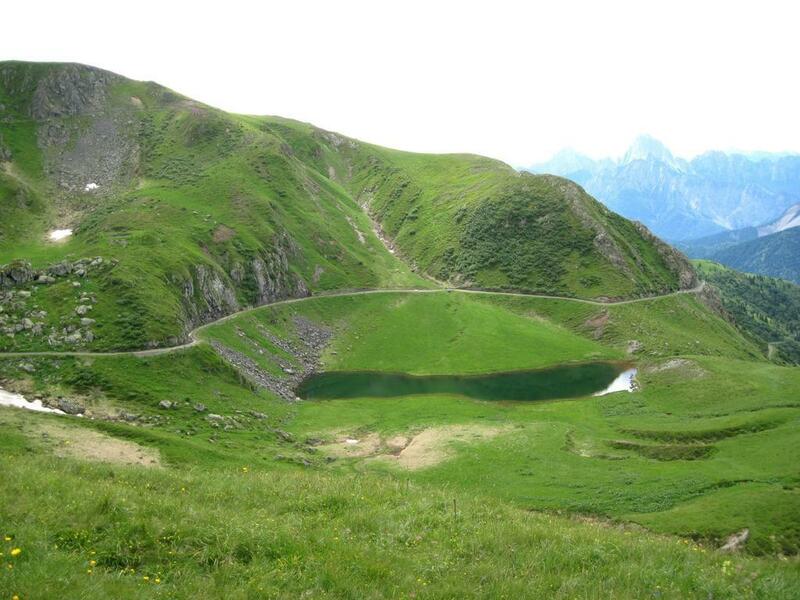 Lago Dimon: the long way up from Ligosullo brings to the Dimon Lake (1852 m a.s.l. 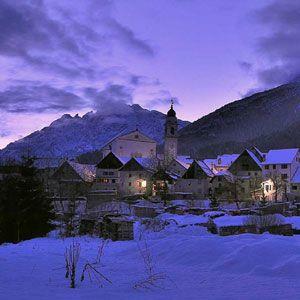 ): a peaceful, silent and charming place. 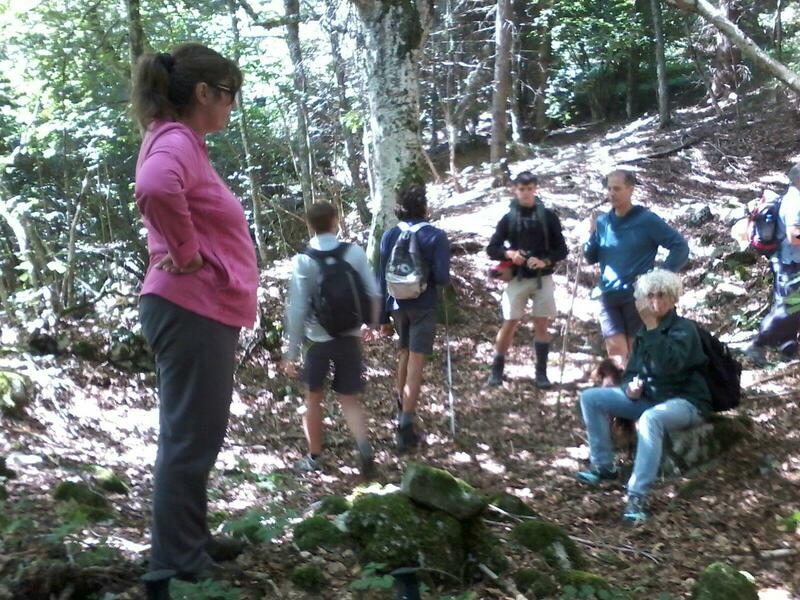 Monte Festa: an important element of this mountains in the military fortification; to reach it you must take a trail into wood and climb up to the top of the Mount Festa (1065 m a.s.l.) 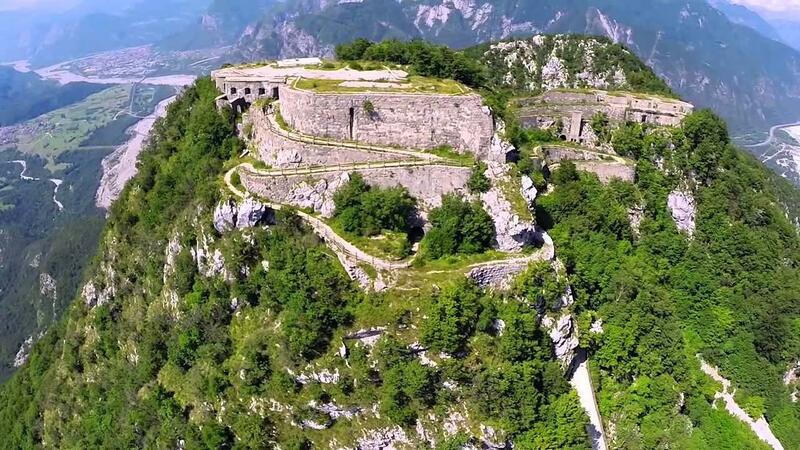 where is situated military posts and a small barracks. 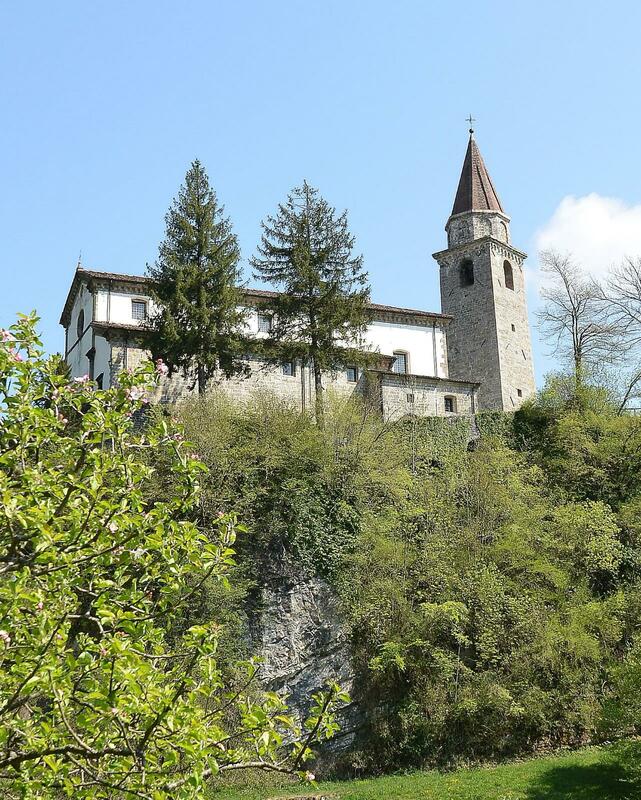 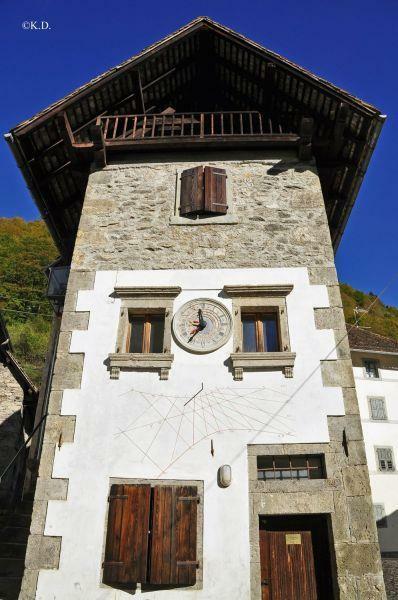 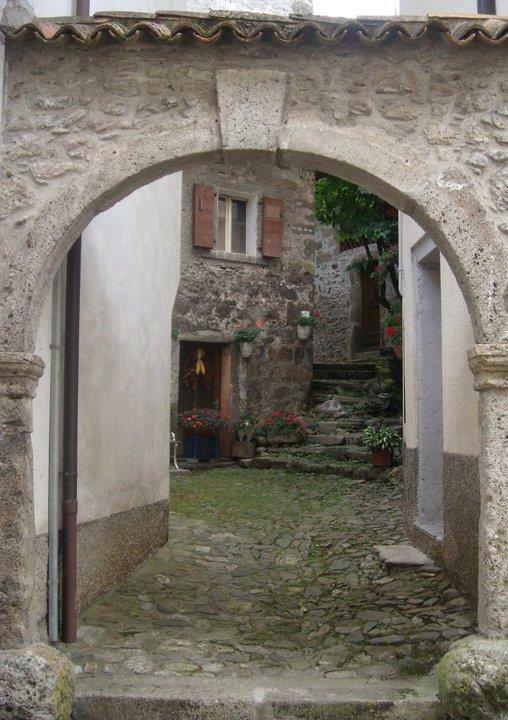 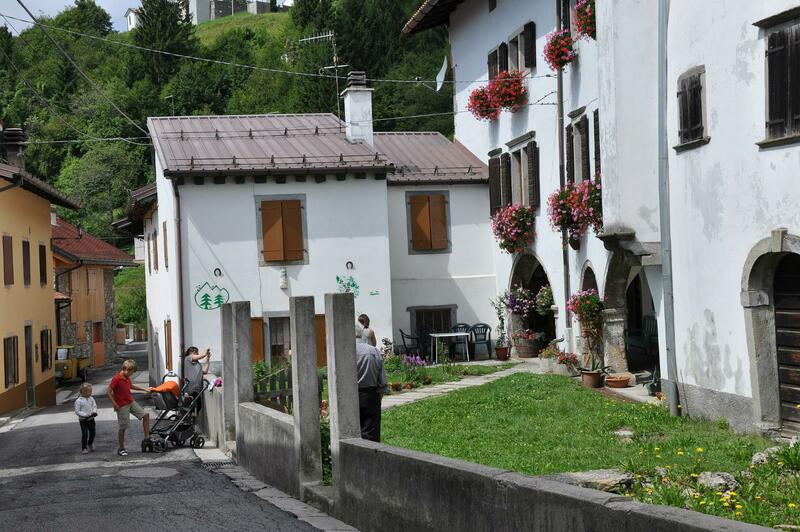 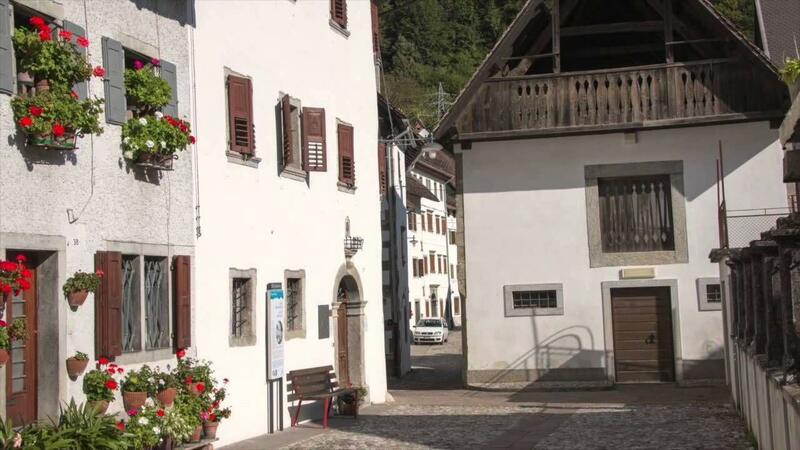 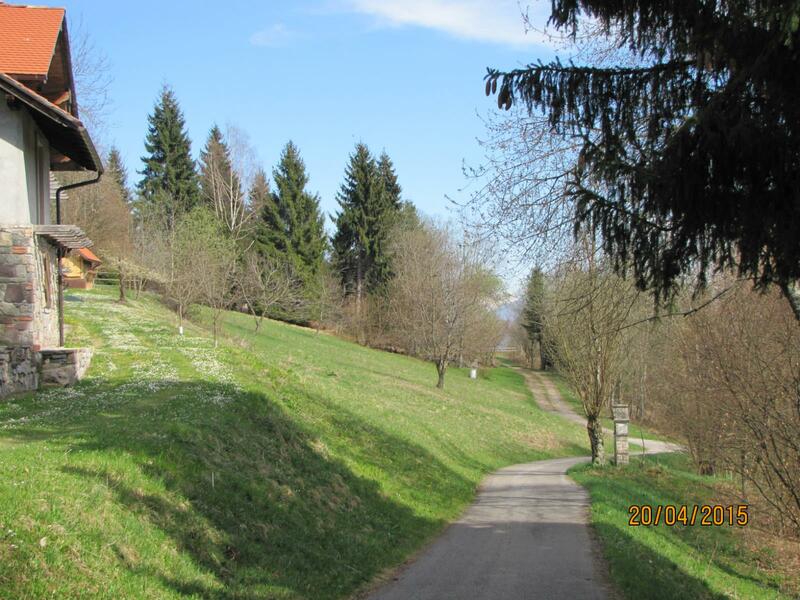 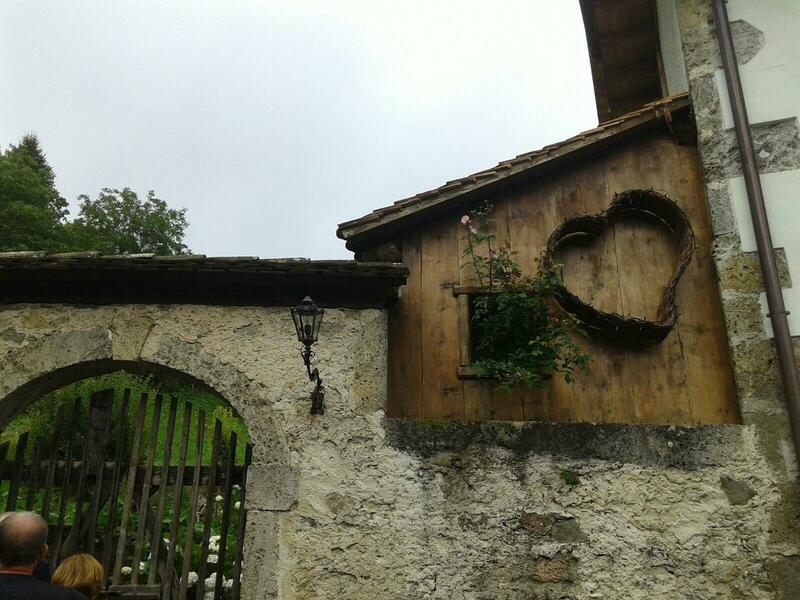 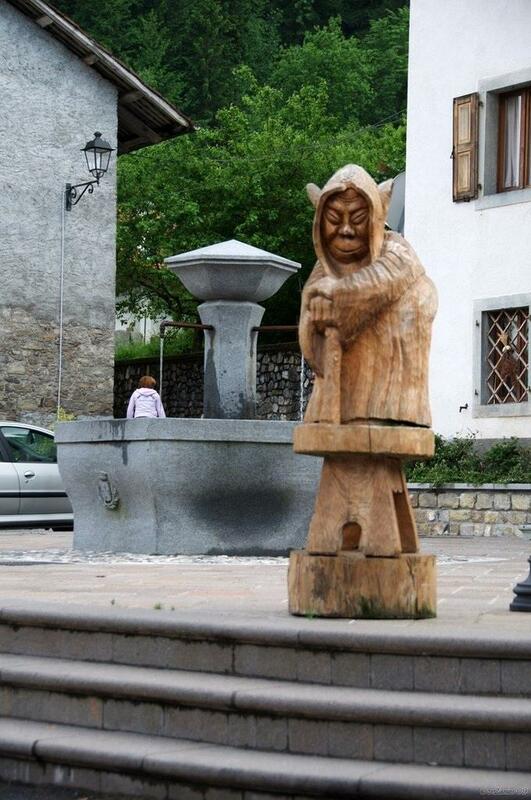 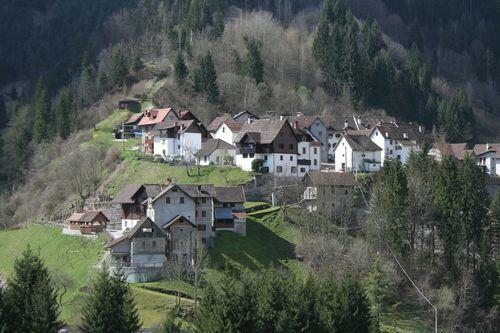 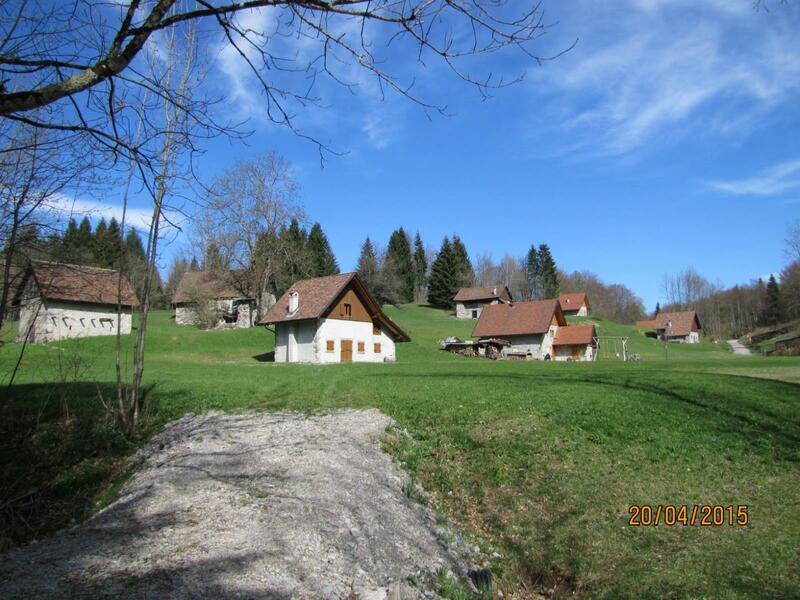 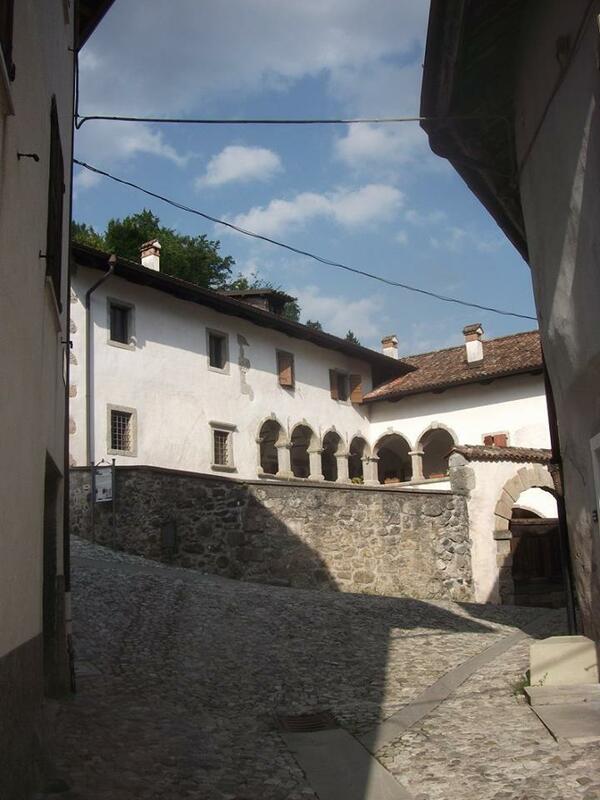 From Velt we take the Elvish trail or the path of peace to arrive at Borgo di Sauris di Sotto: visit to the streets of the village, the typical architectures and the underlying lake. 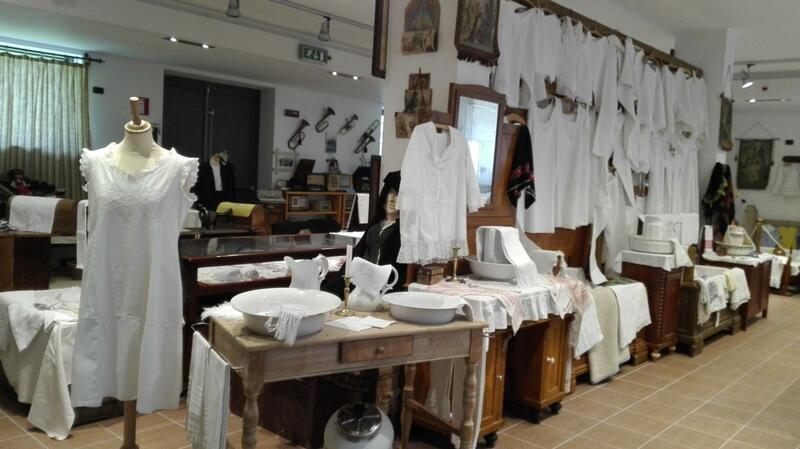 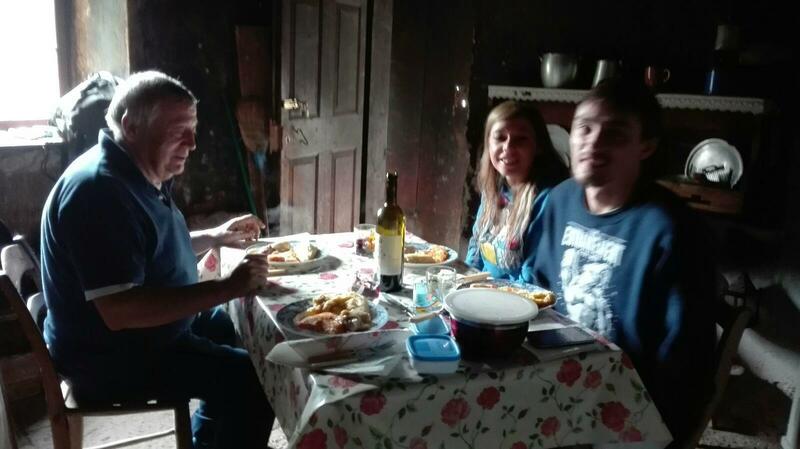 Than we will meet the local artisans with their products, made in woven or wood, and we will make a degustation in the well-known ham factory. 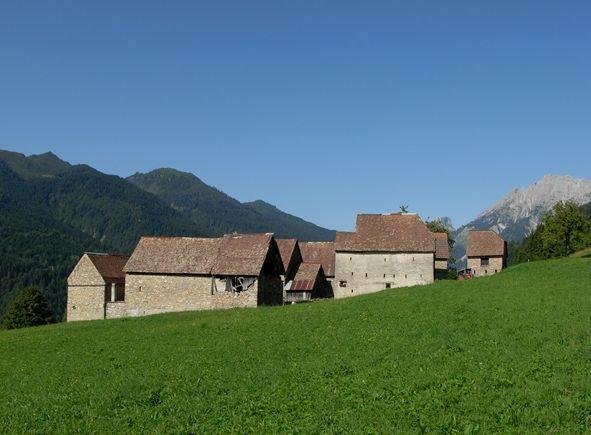 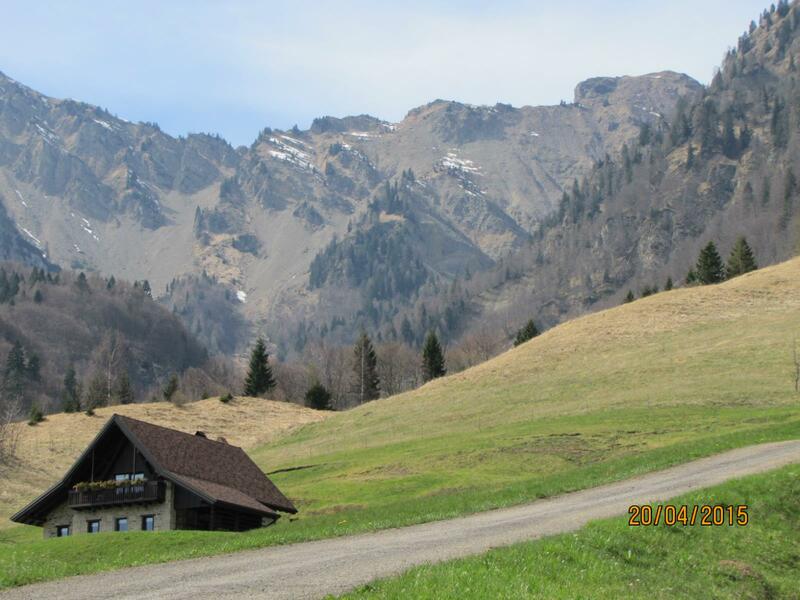 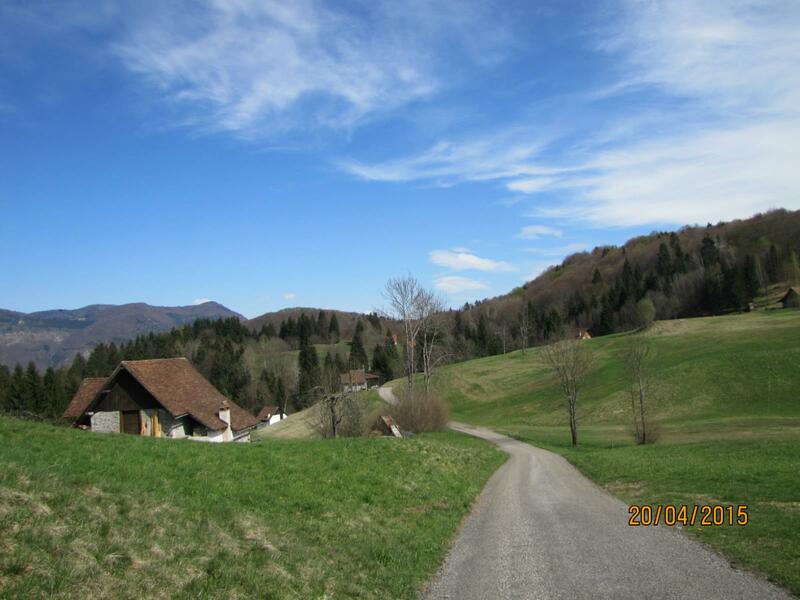 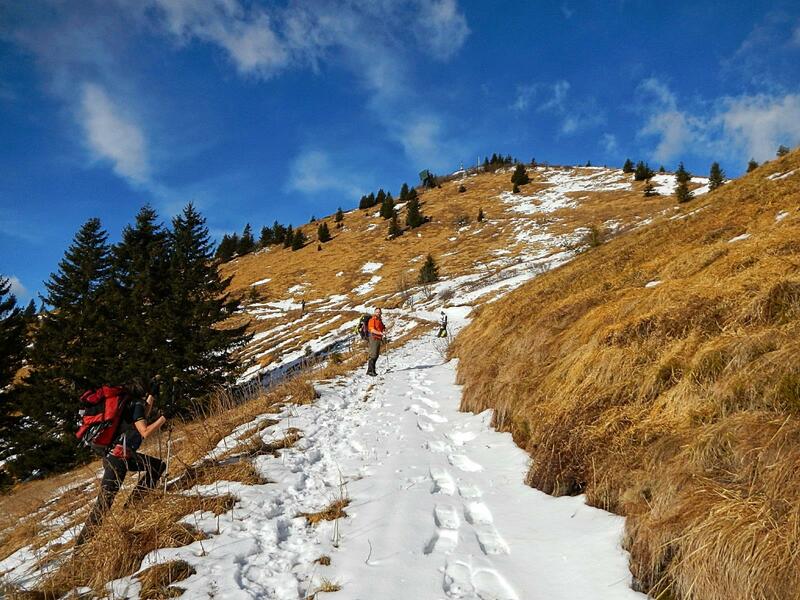 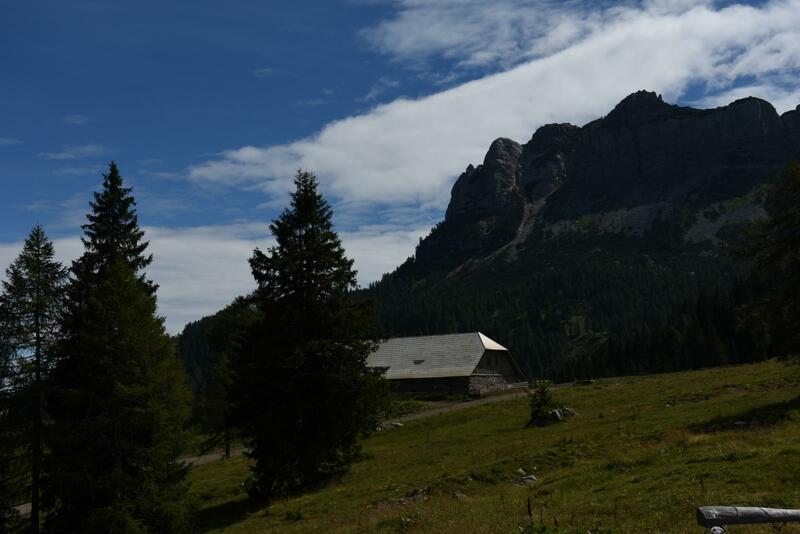 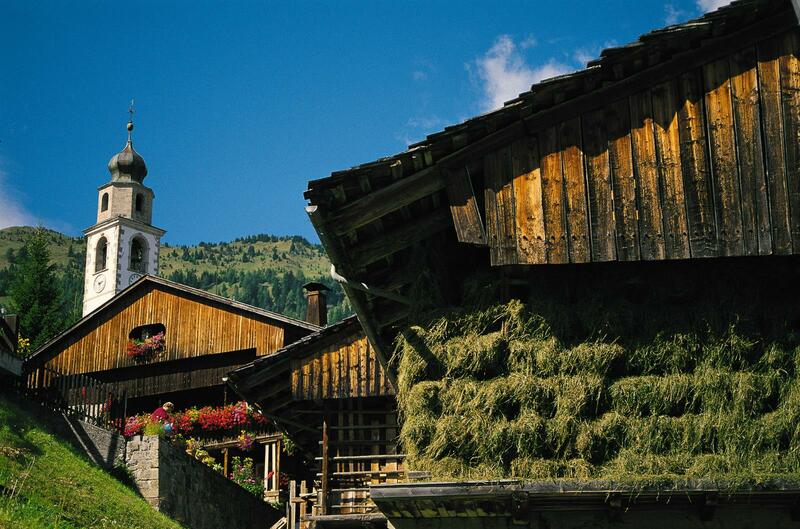 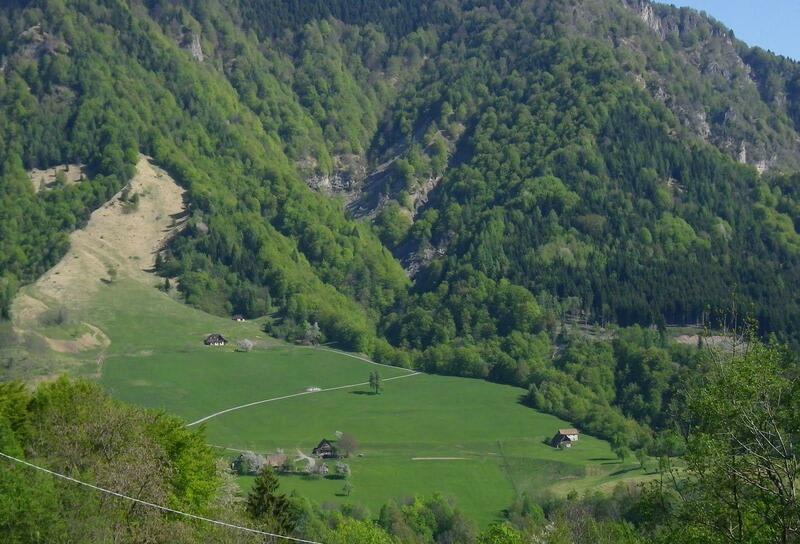 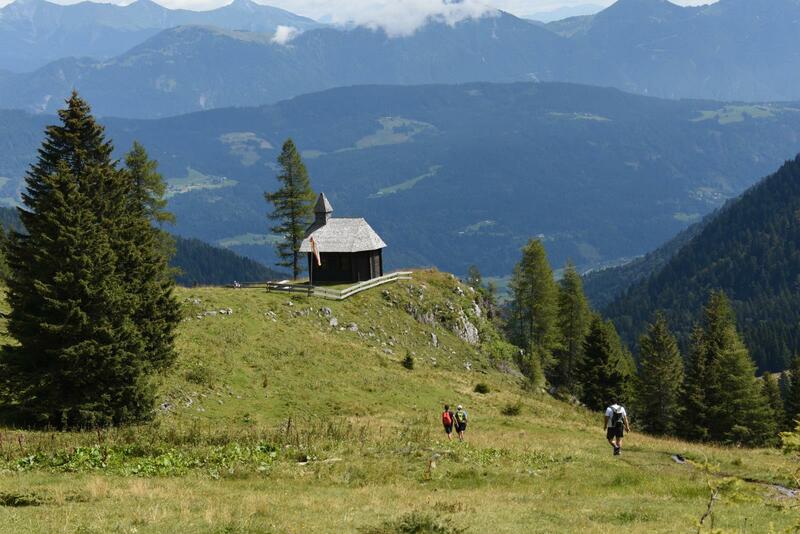 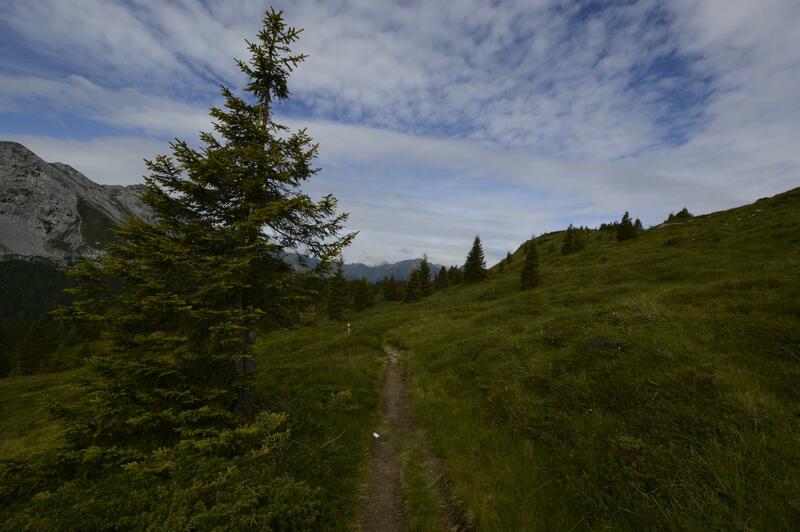 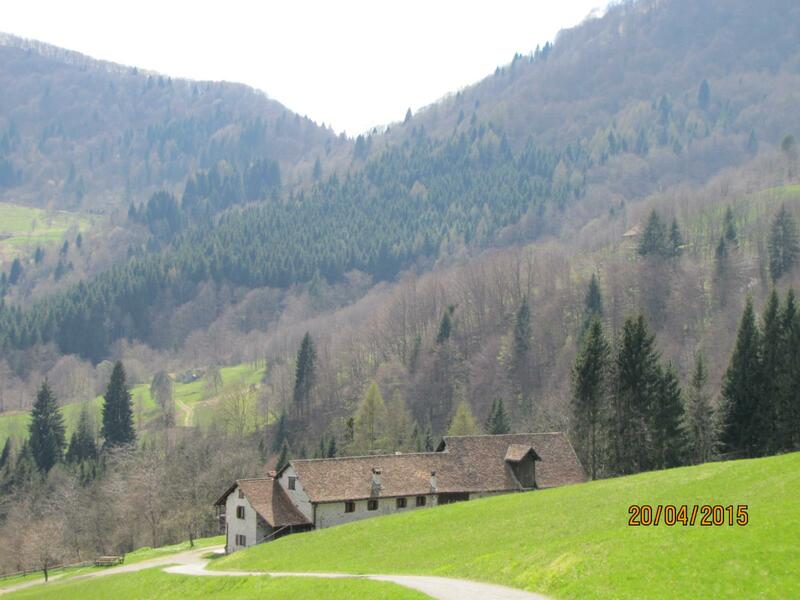 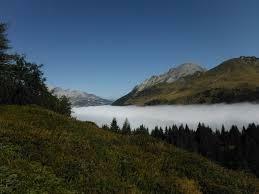 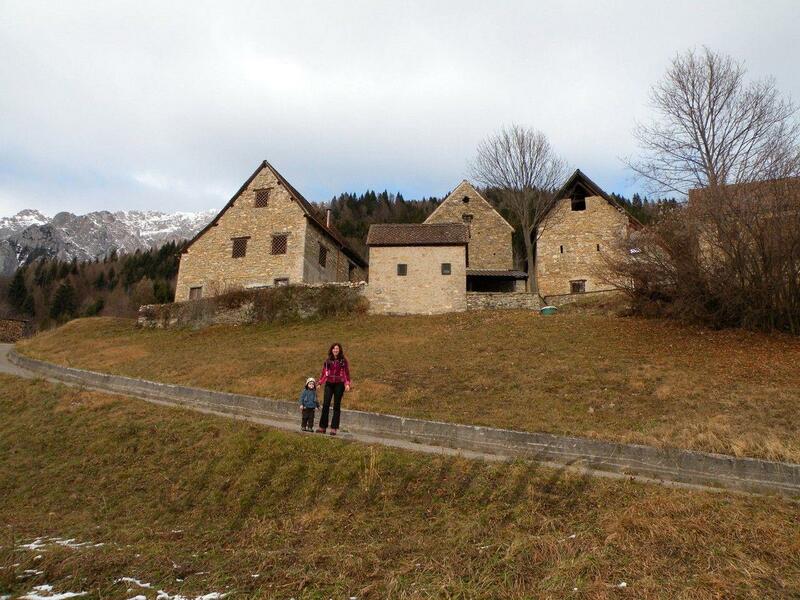 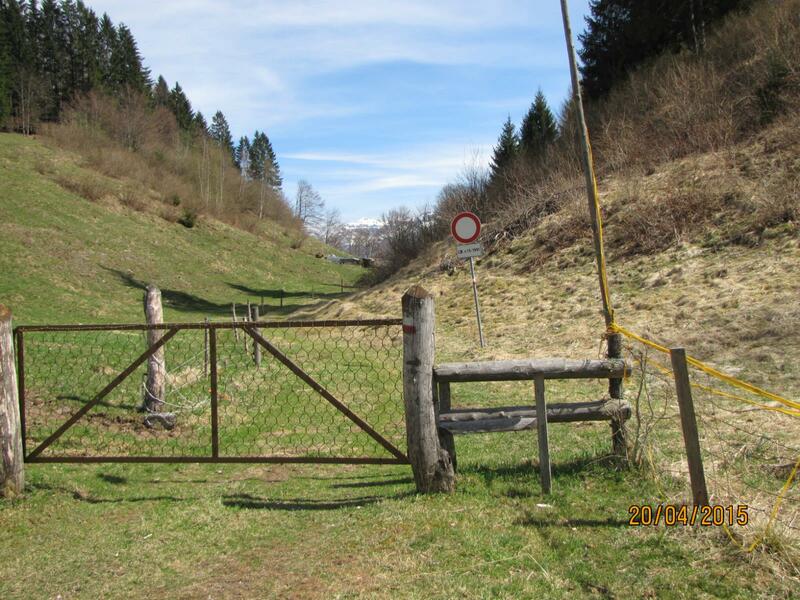 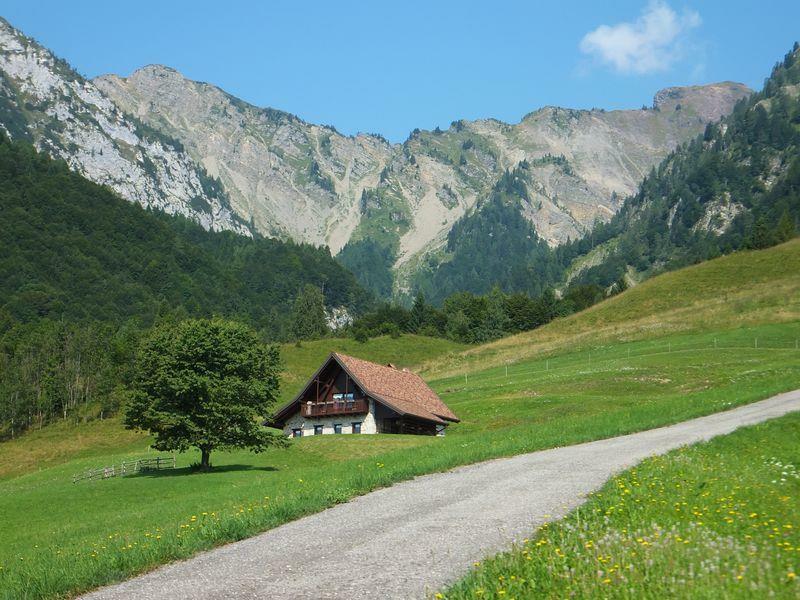 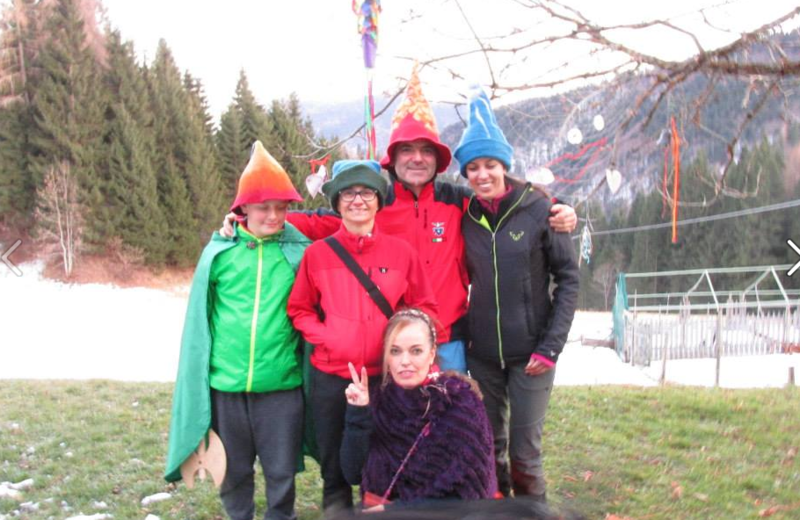 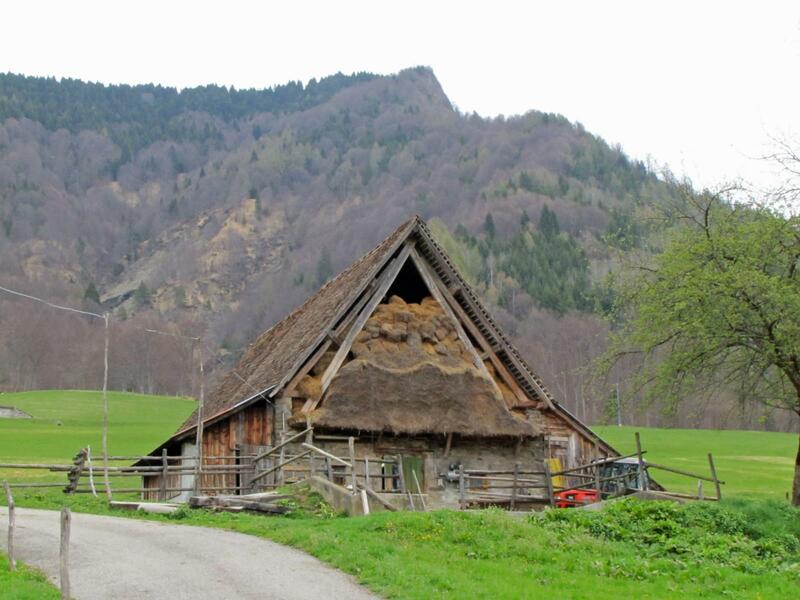 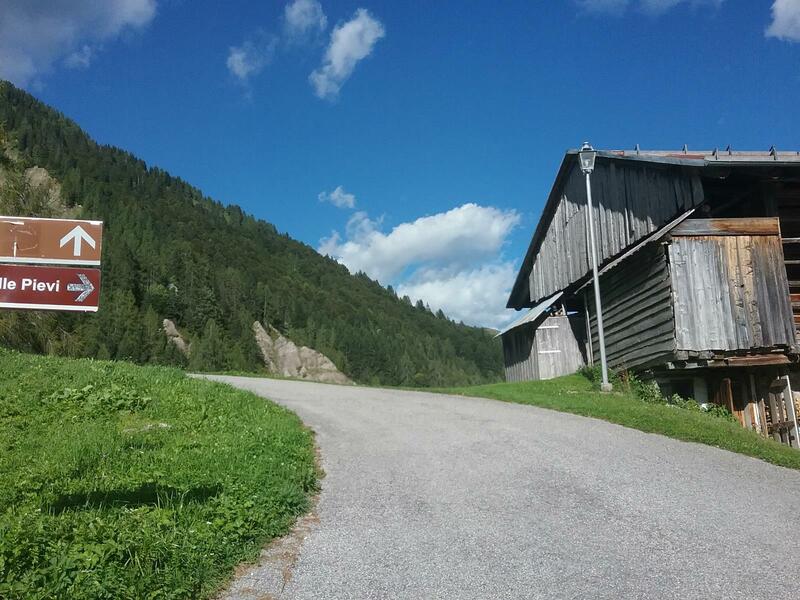 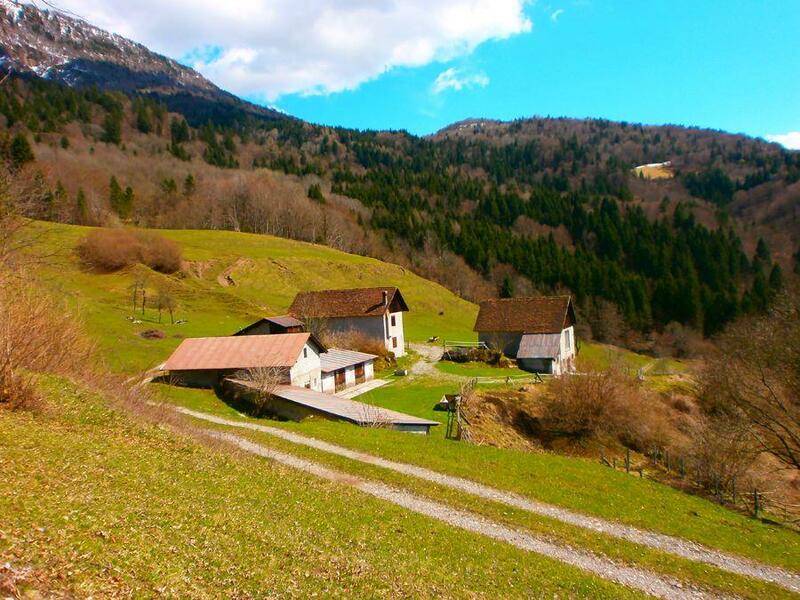 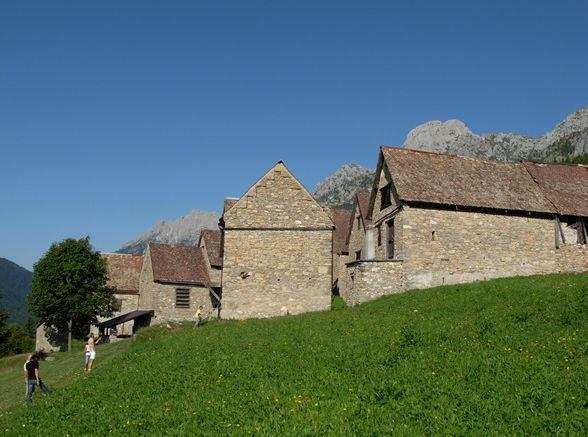 Only one is the trail that bring the people to discover the magic of Sauris: we start the walk from Velt to the Haus van der Zahre, in Sauris di Sopra, pass through the hamlets with typical architecture and breathtaking views. 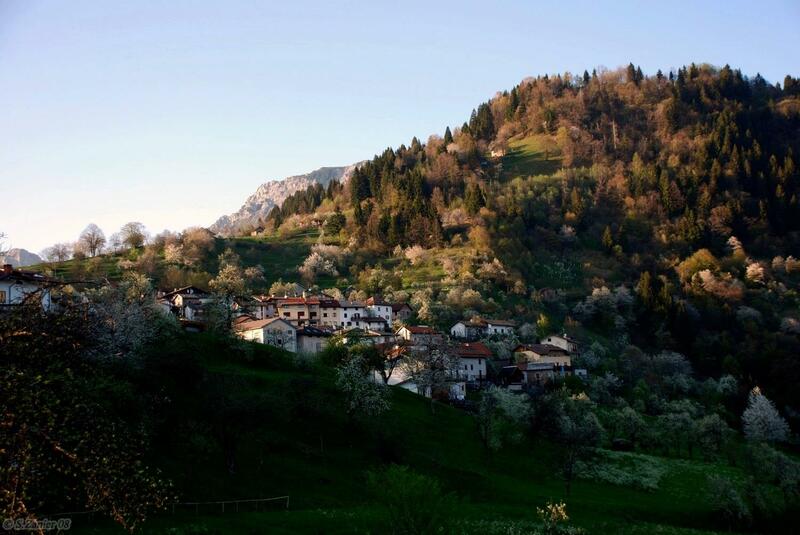 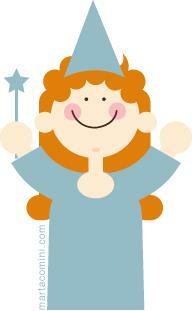 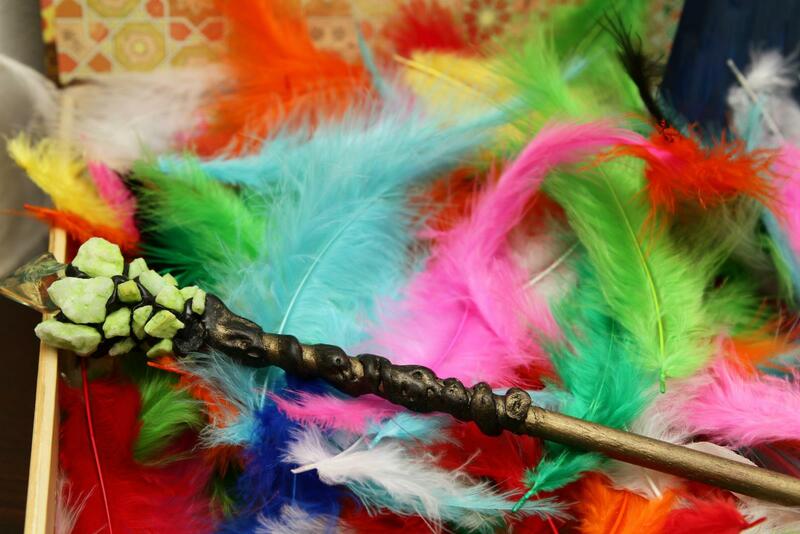 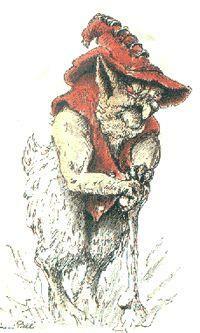 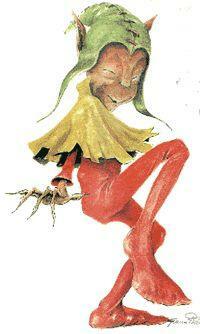 At Piano d’Arta, in Arta Terme, we meet to hear fairy tales, stories and local legends. 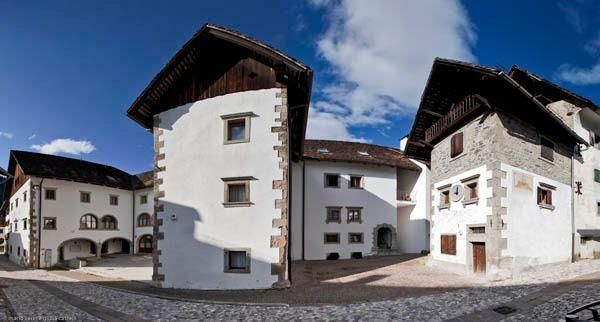 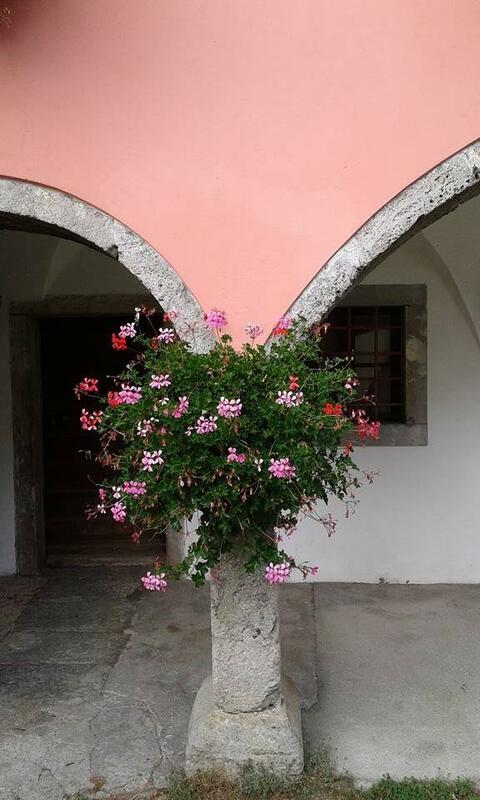 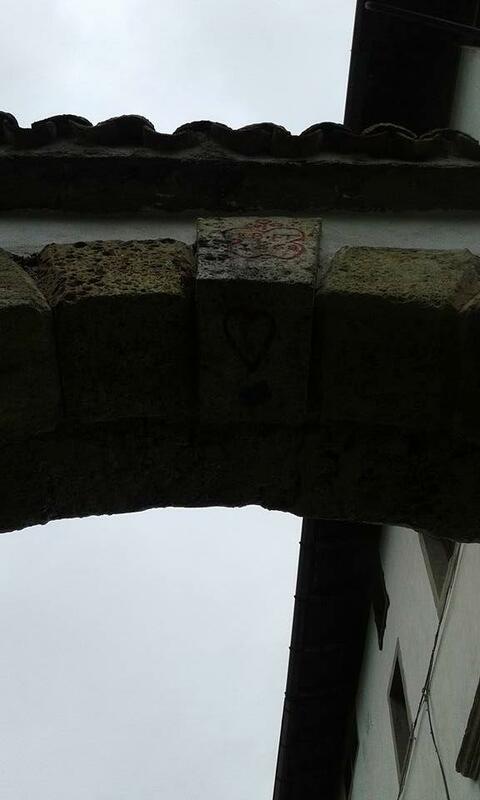 The B&B has a typical-local architecture; there are some architectonic elements that characterized the housing complex, such as XVI century’s arches and vaults, well preserved and typical of the local architecture. 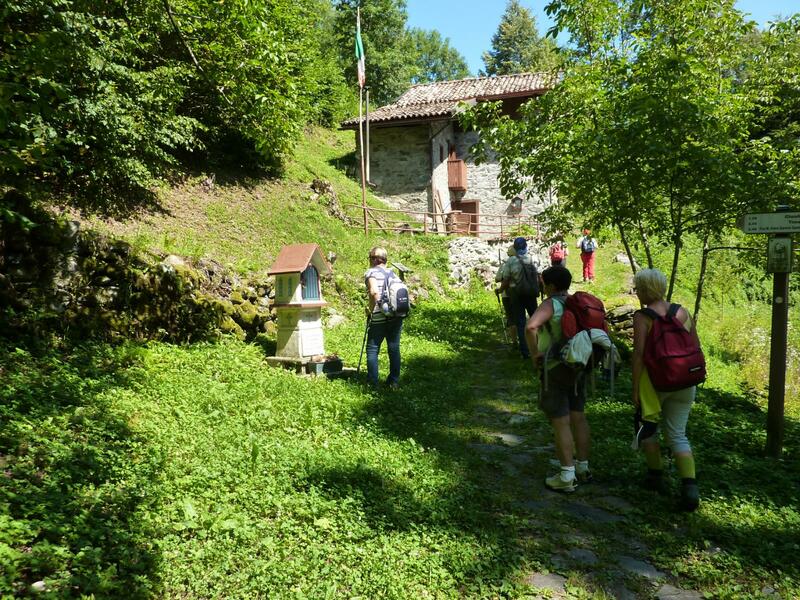 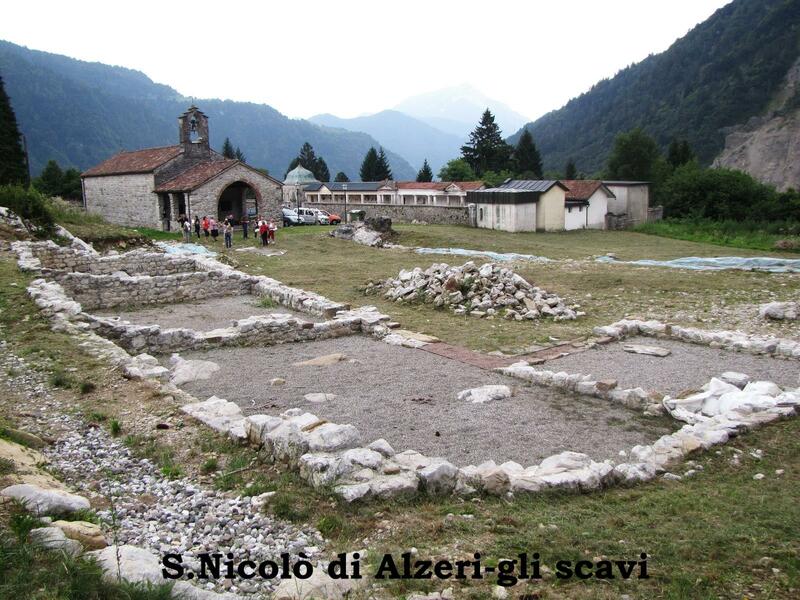 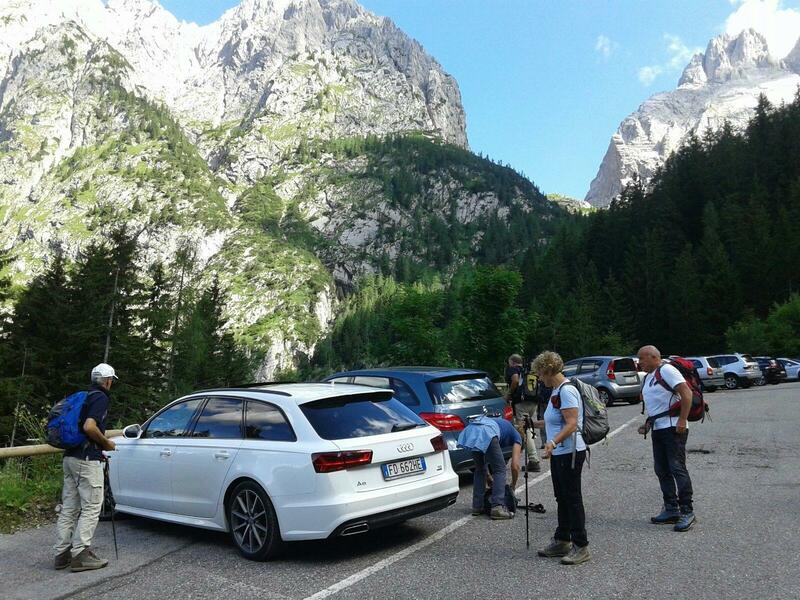 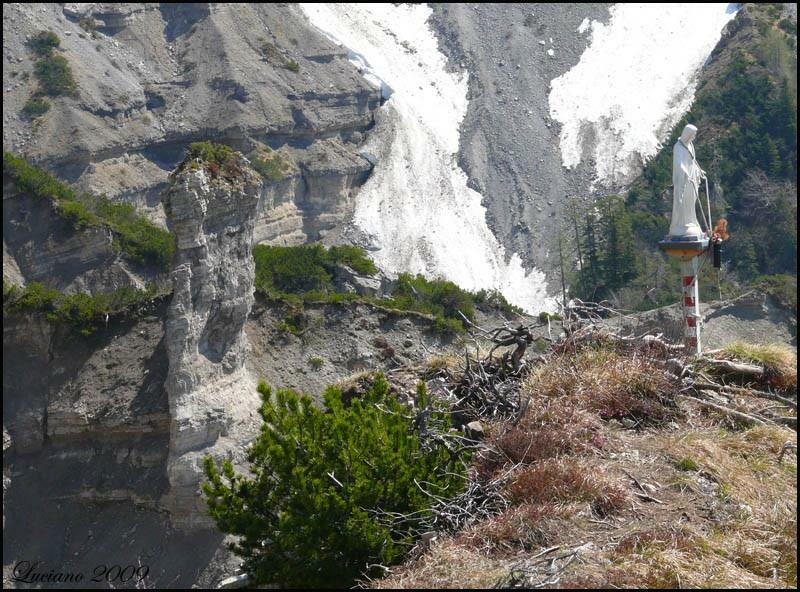 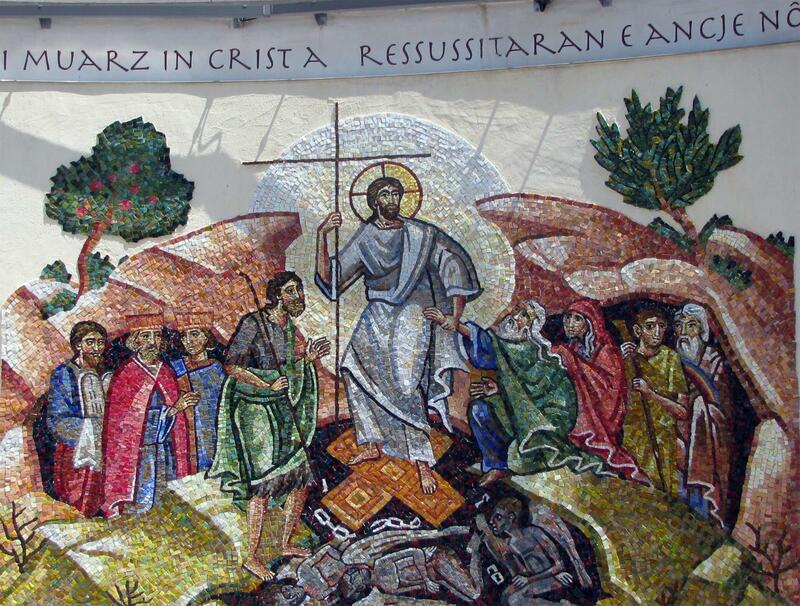 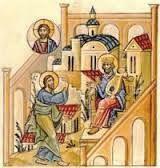 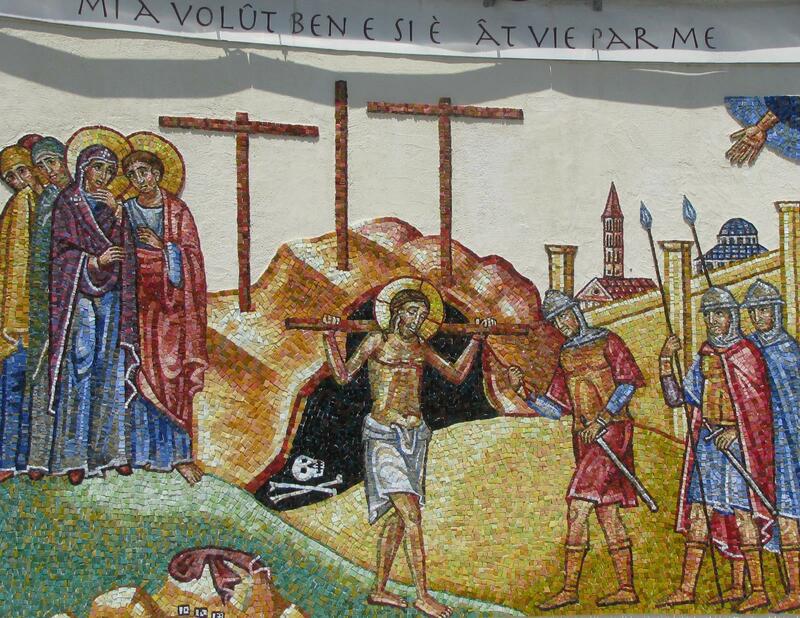 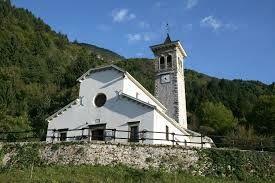 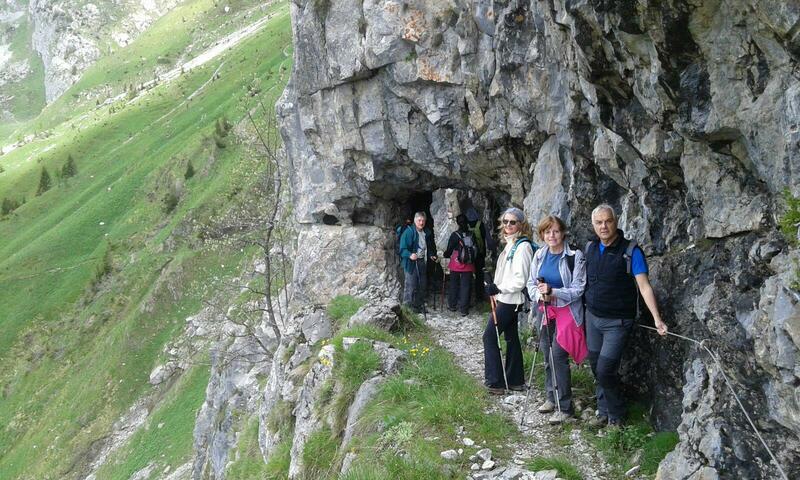 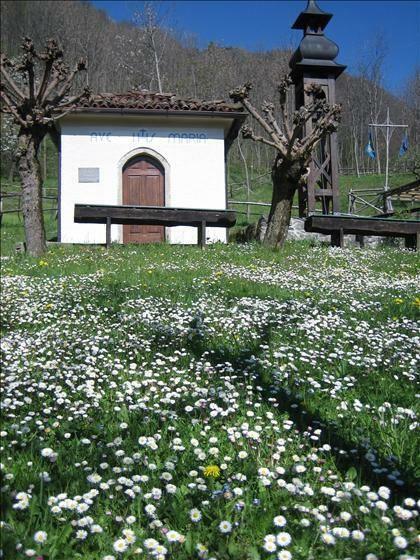 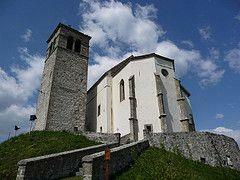 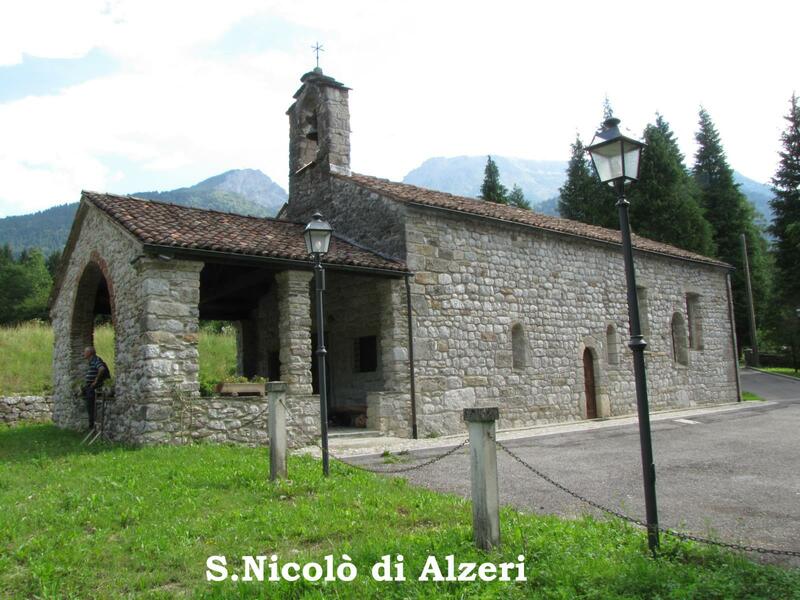 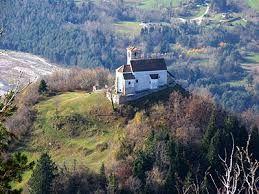 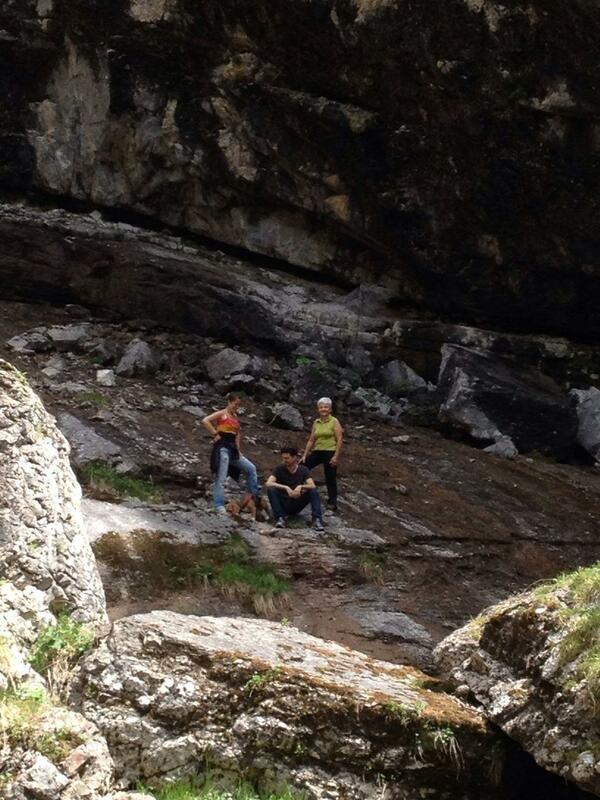 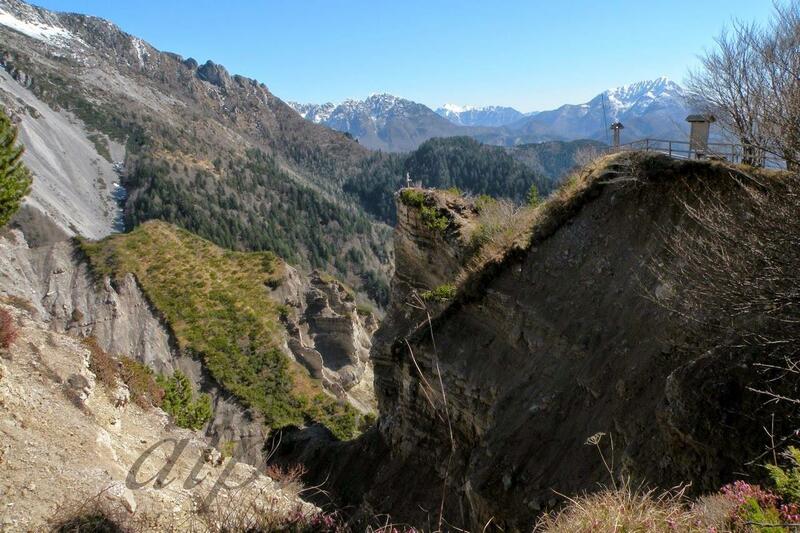 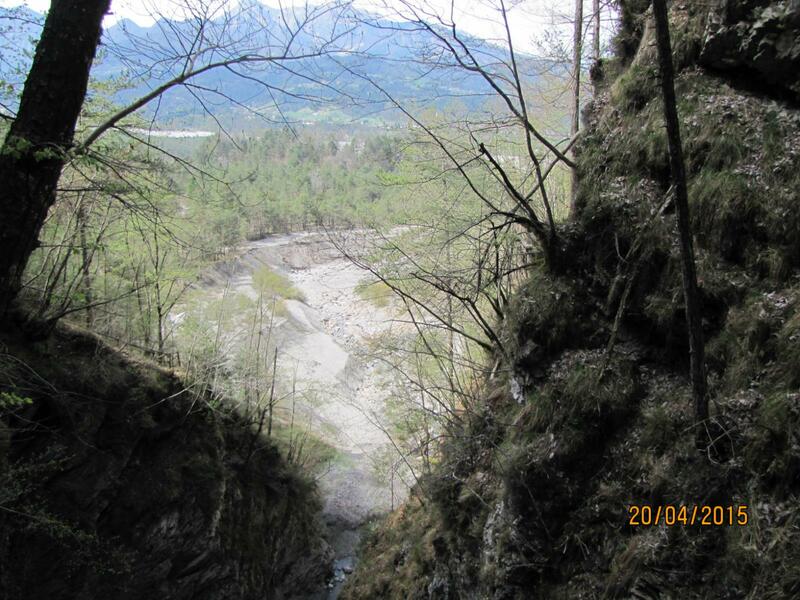 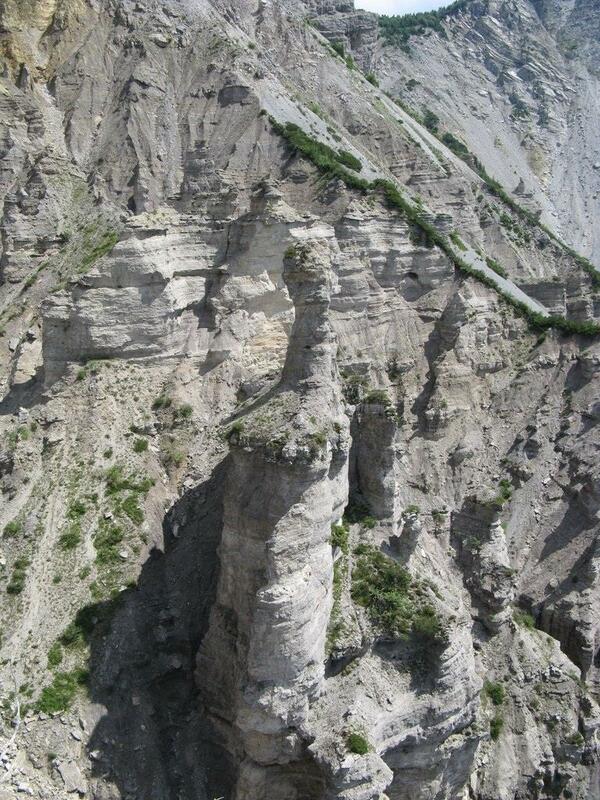 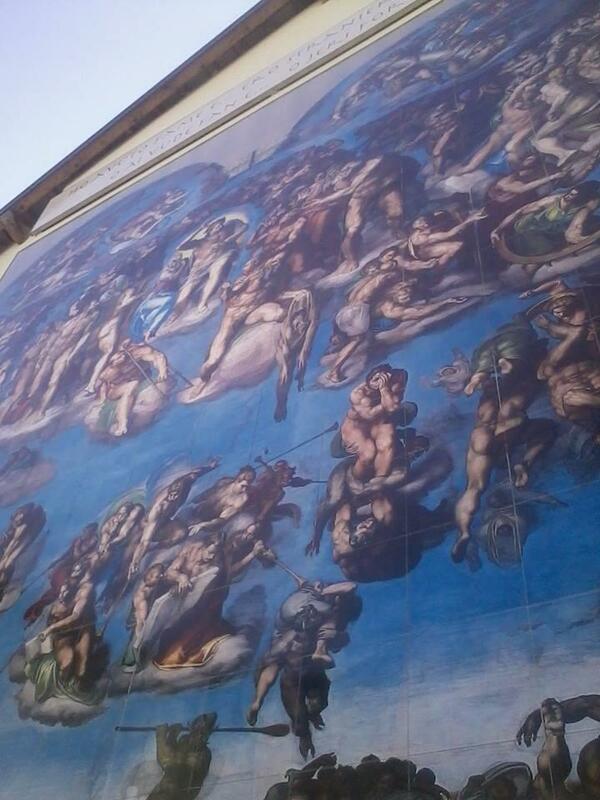 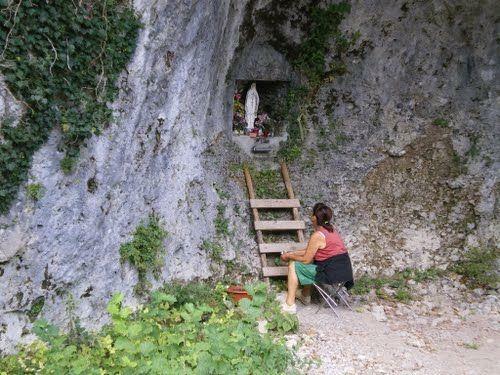 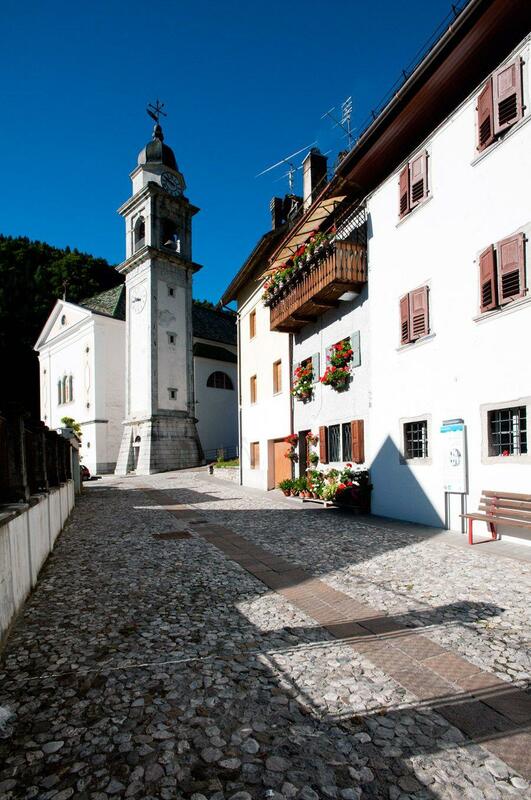 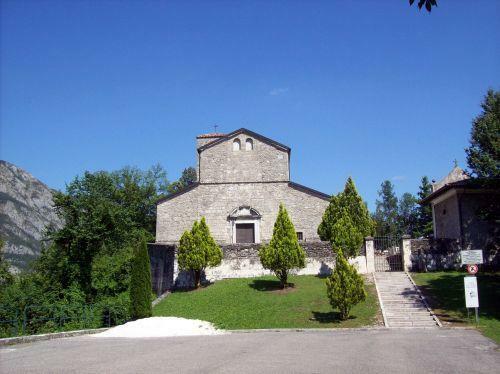 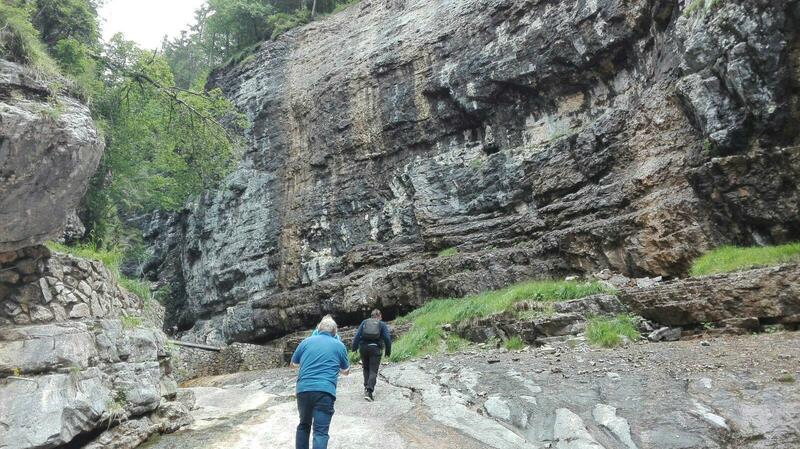 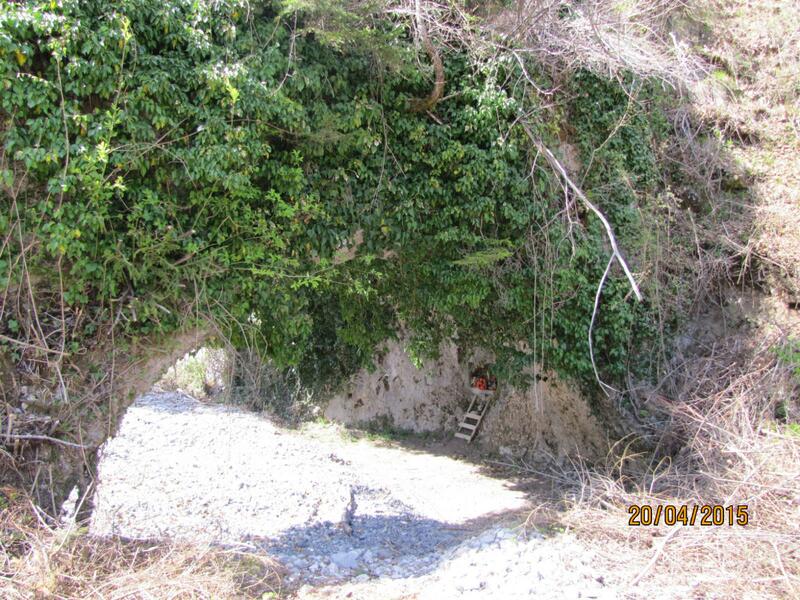 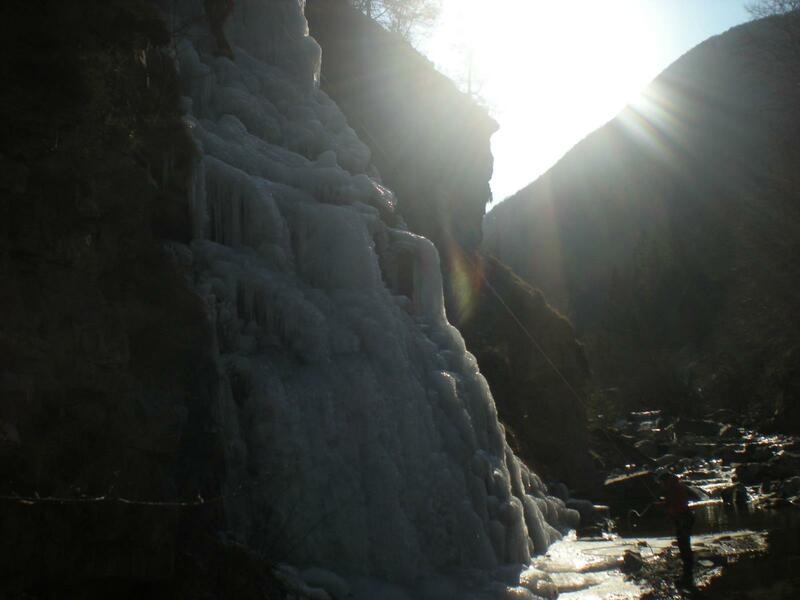 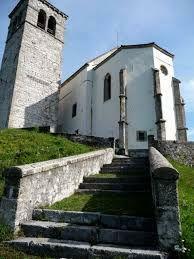 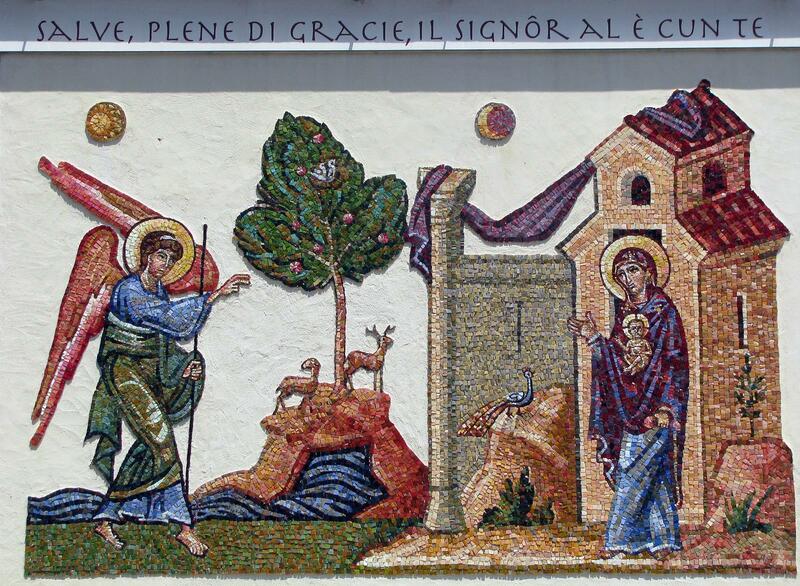 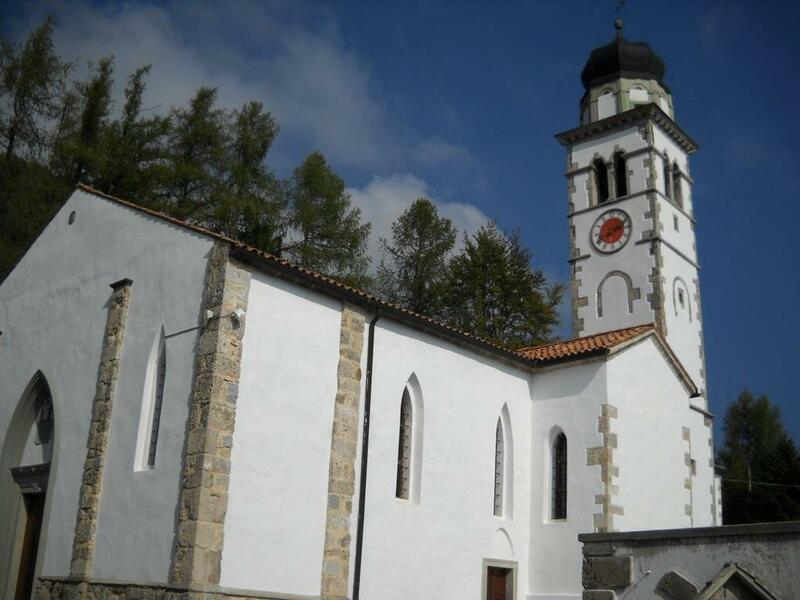 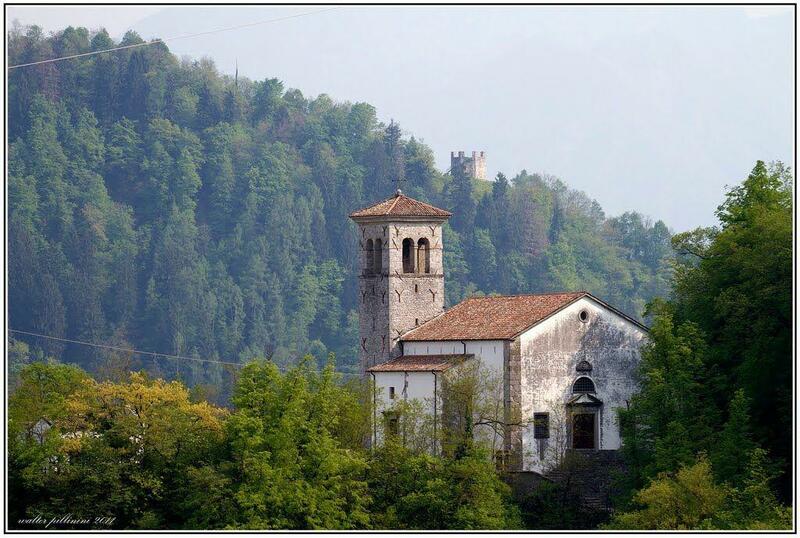 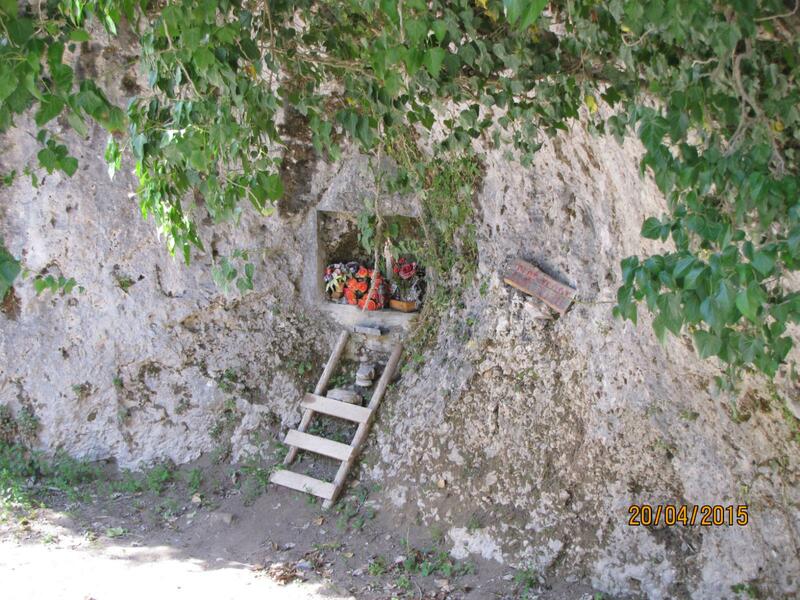 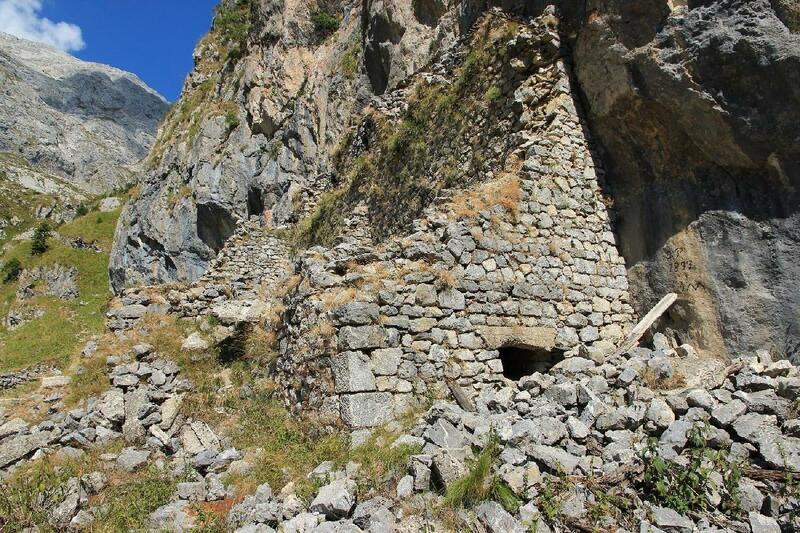 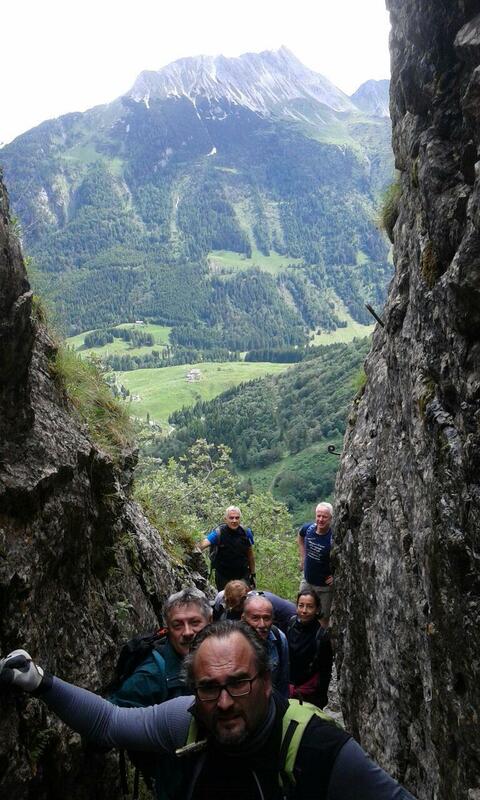 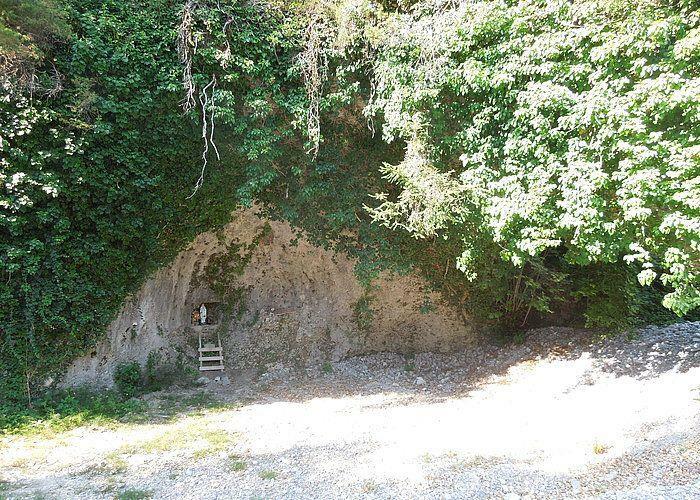 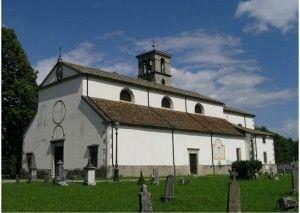 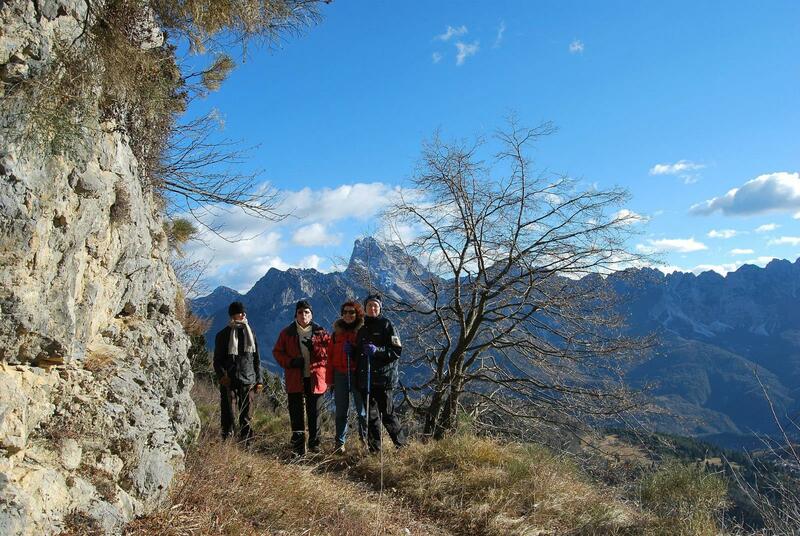 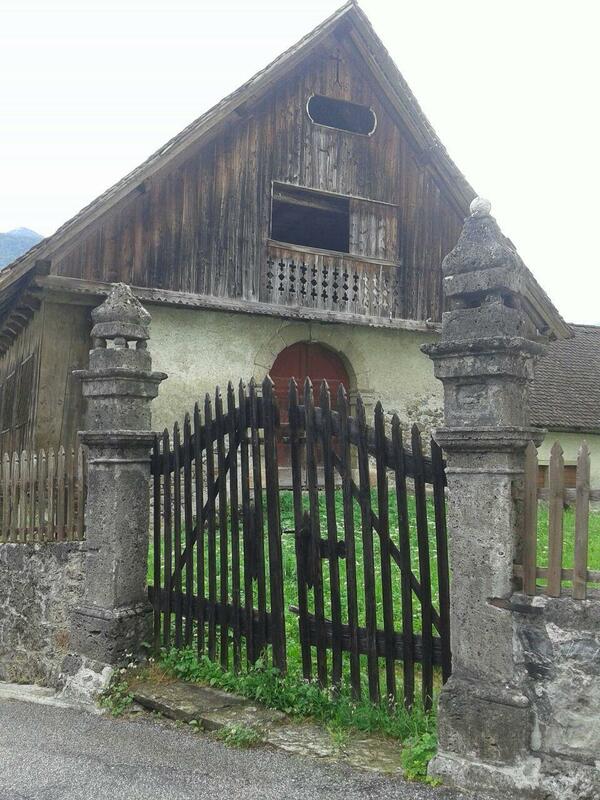 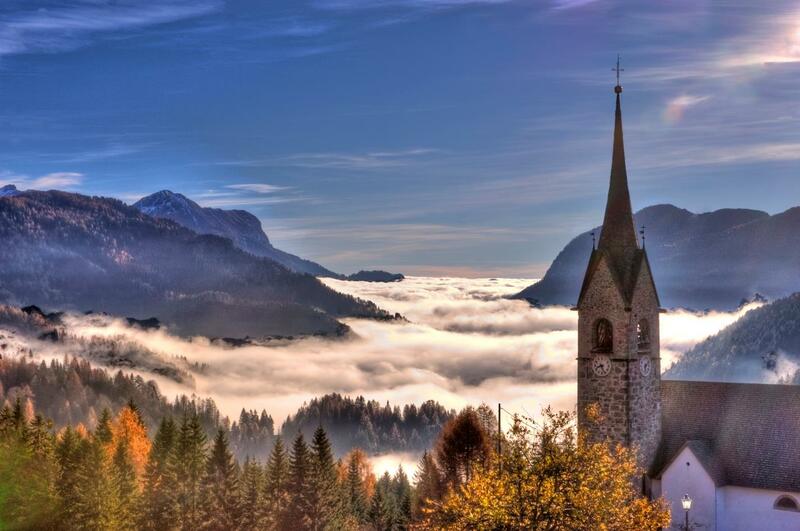 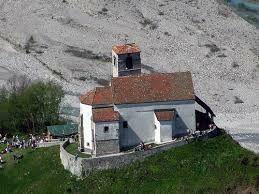 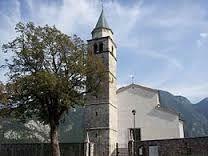 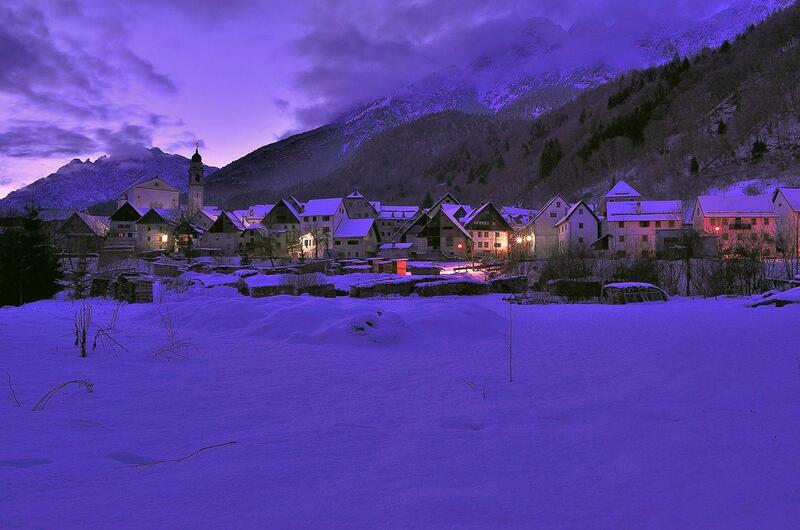 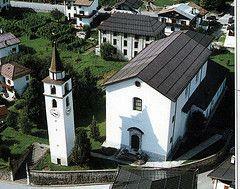 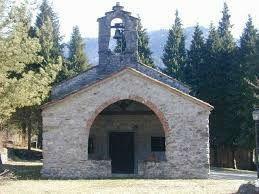 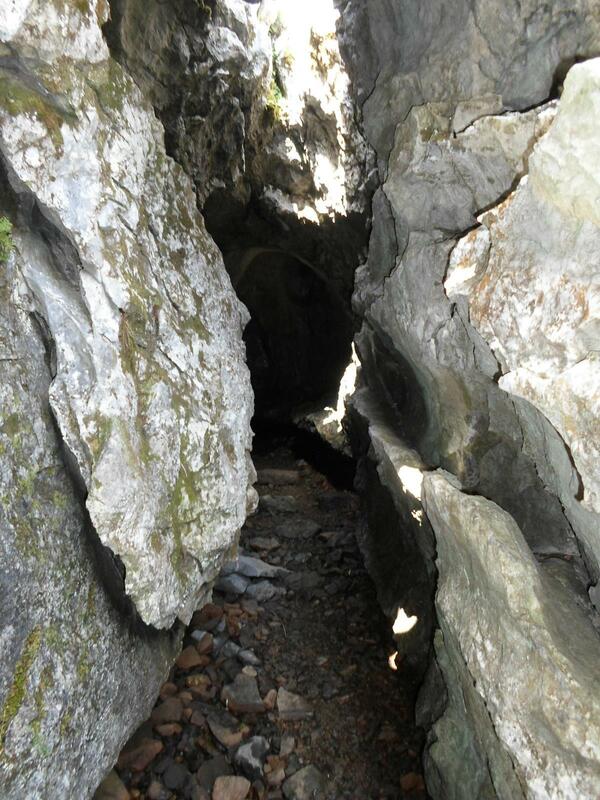 The Churches’s walk is a proposal developed since some years to discover the unknown treasures of Carnia. 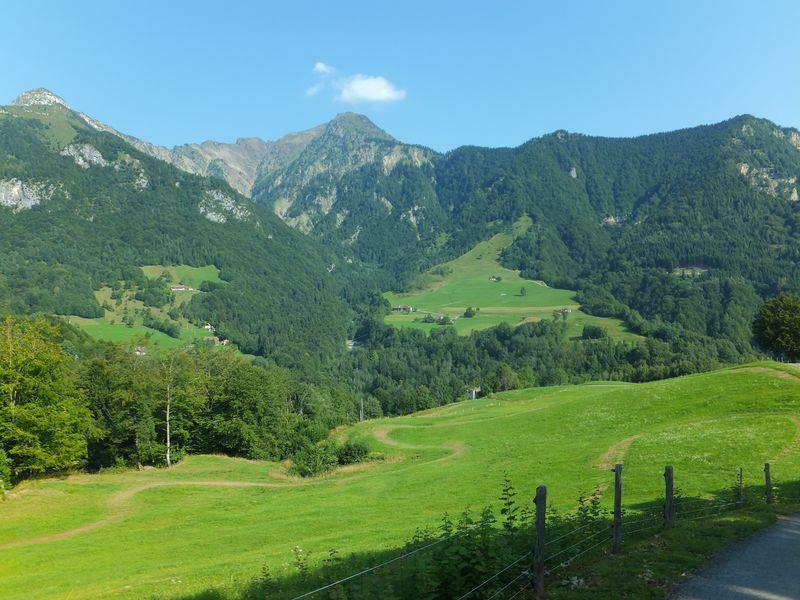 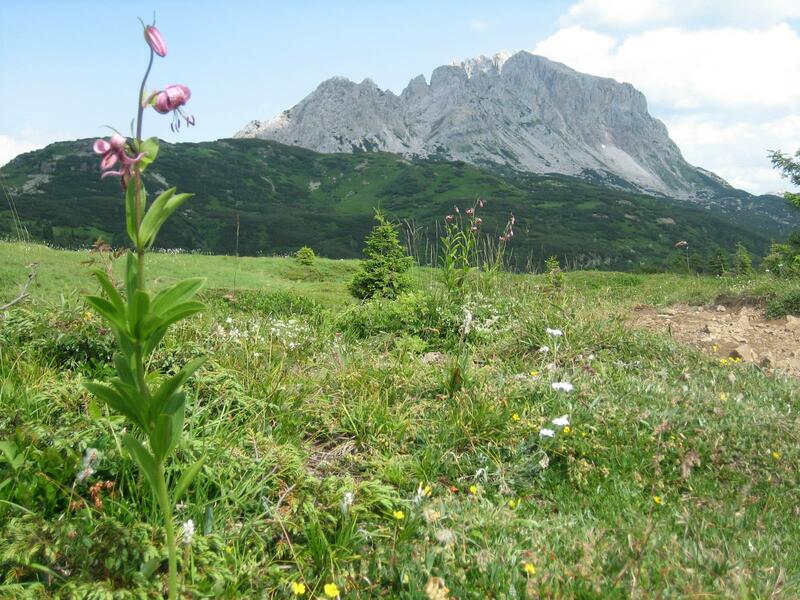 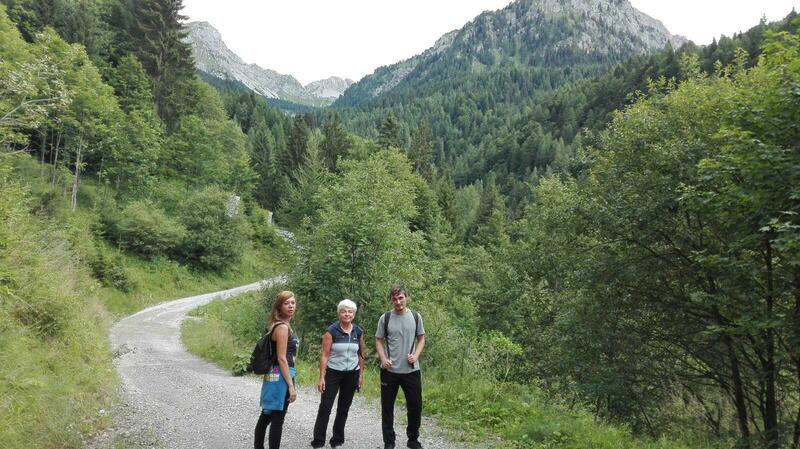 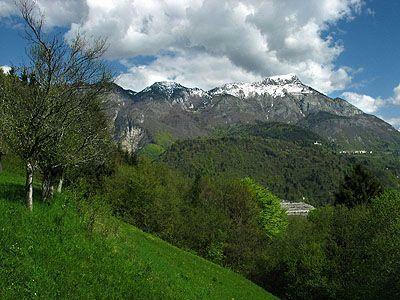 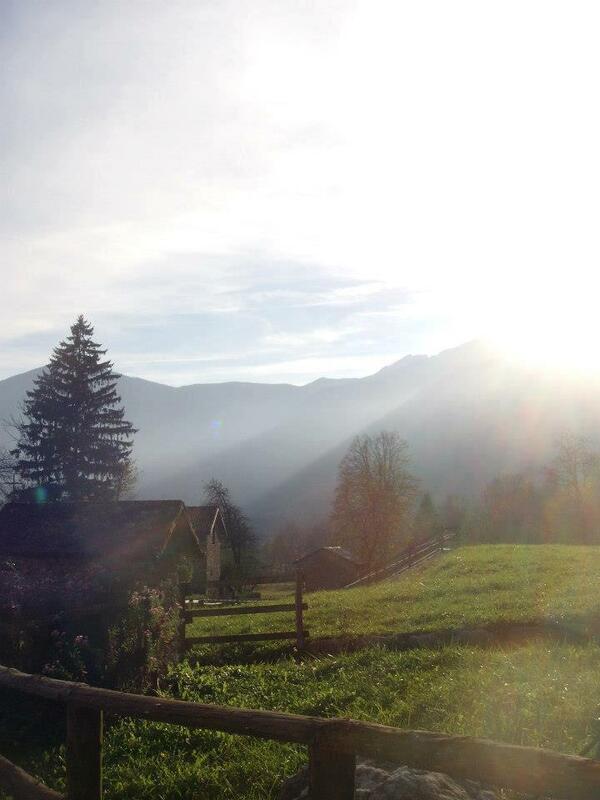 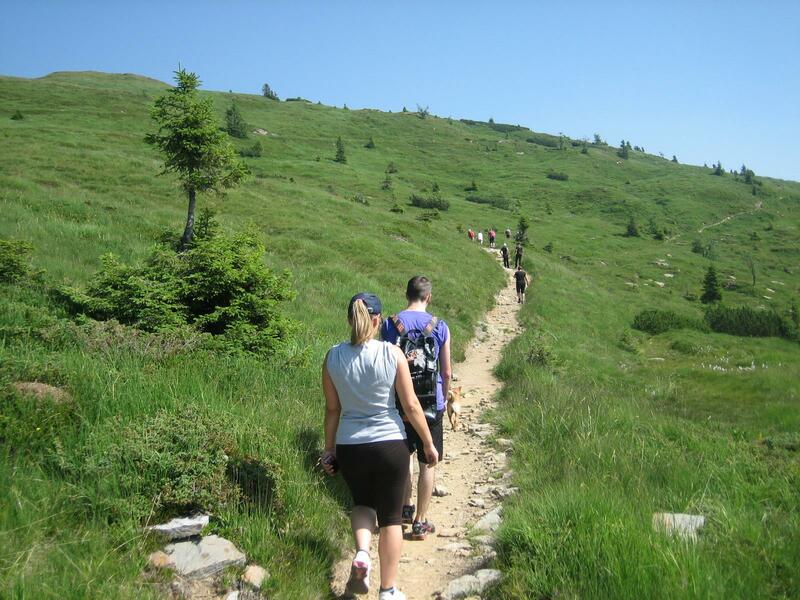 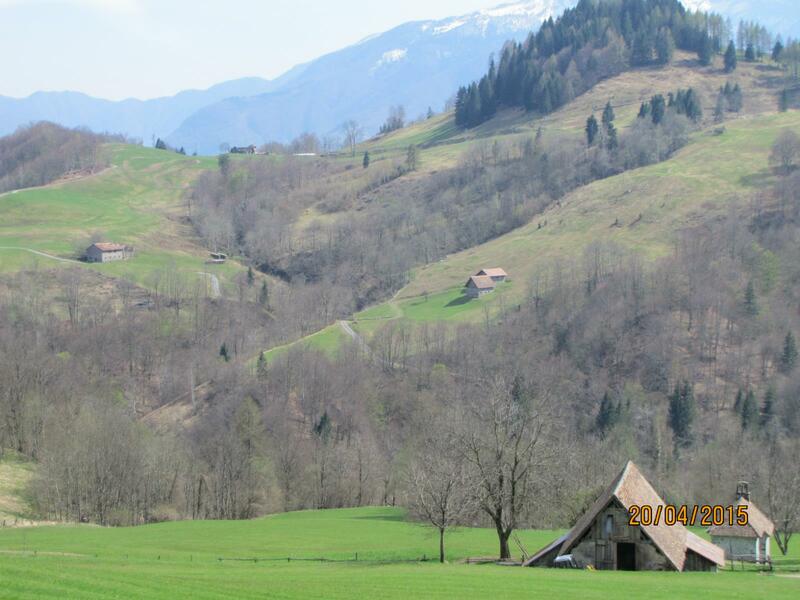 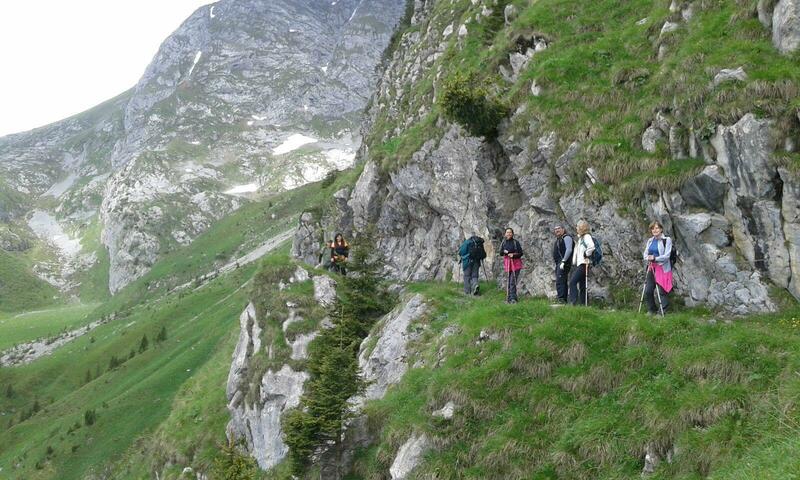 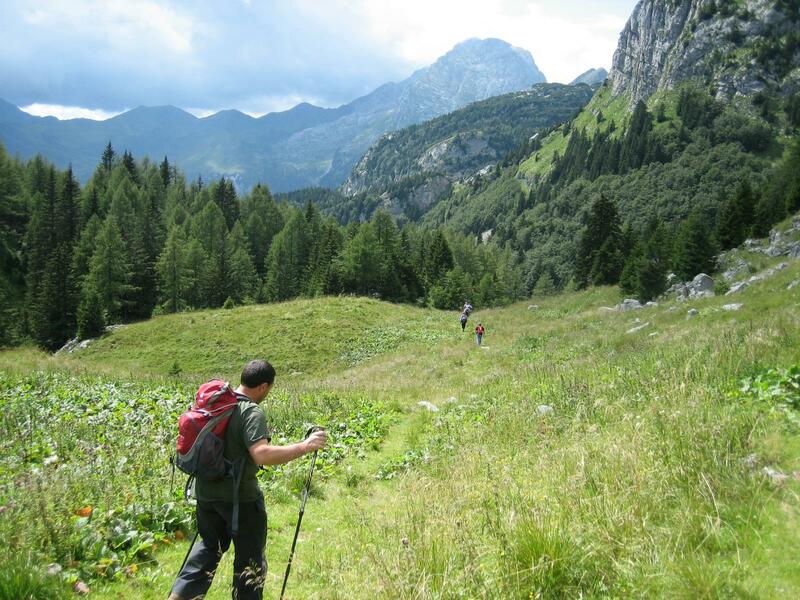 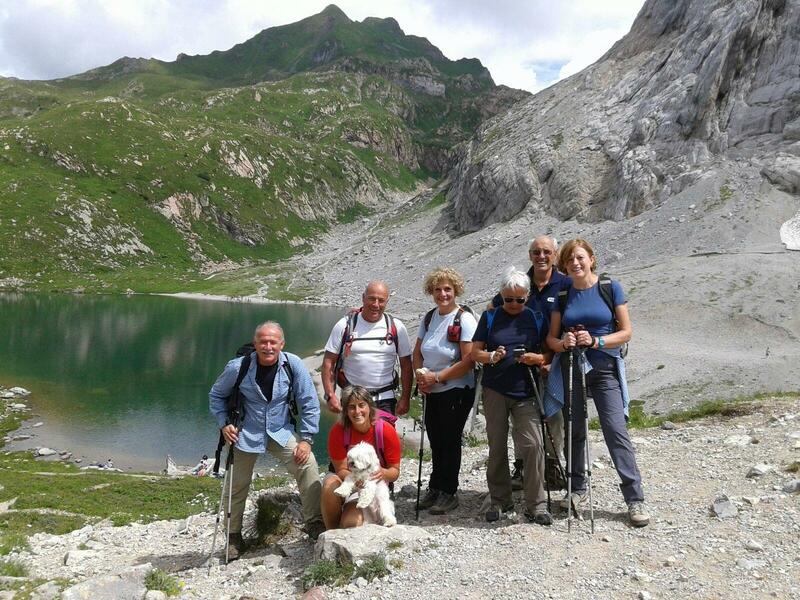 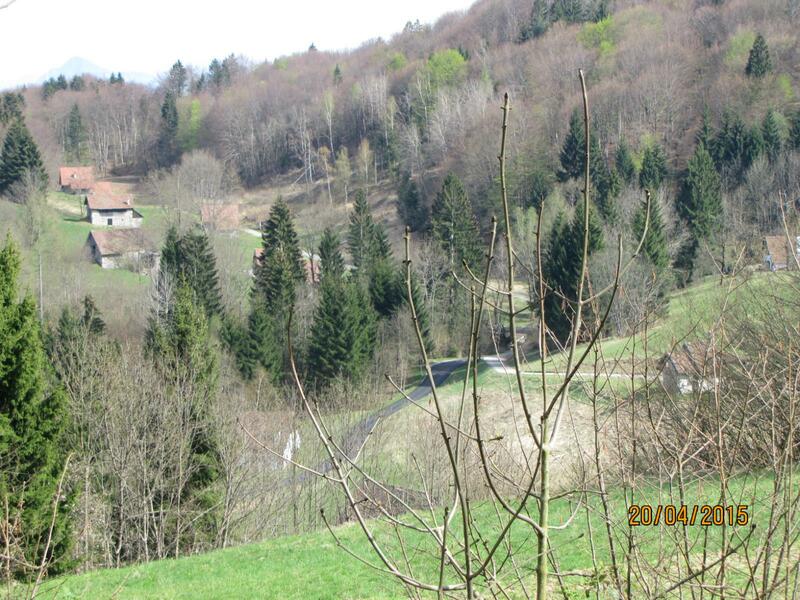 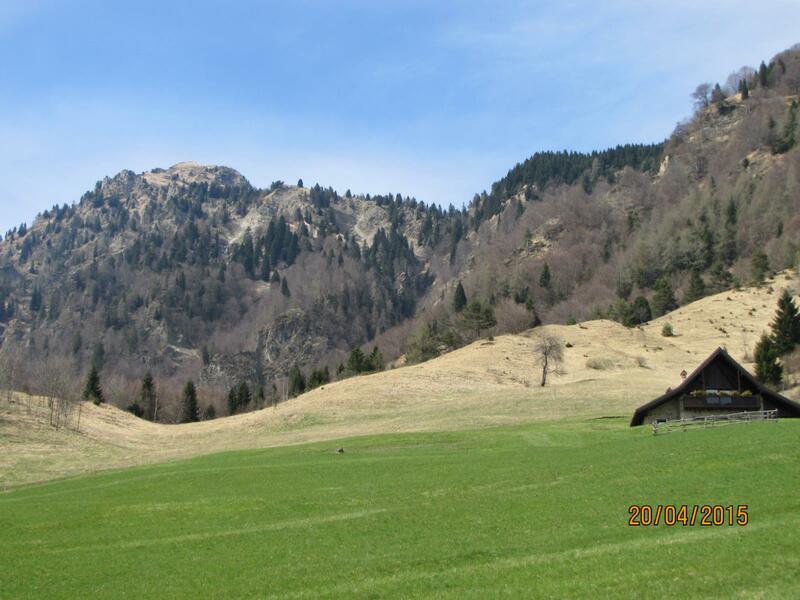 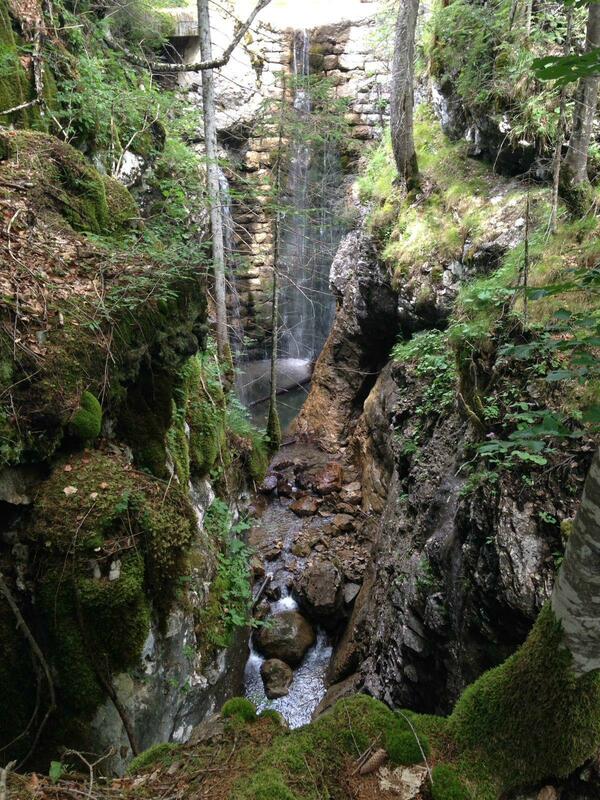 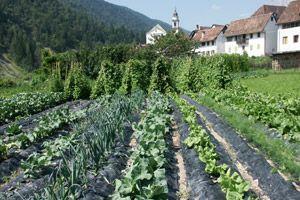 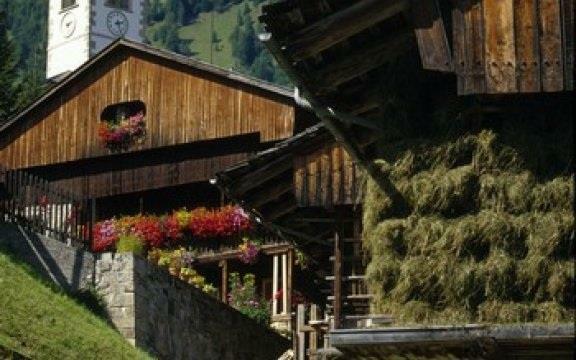 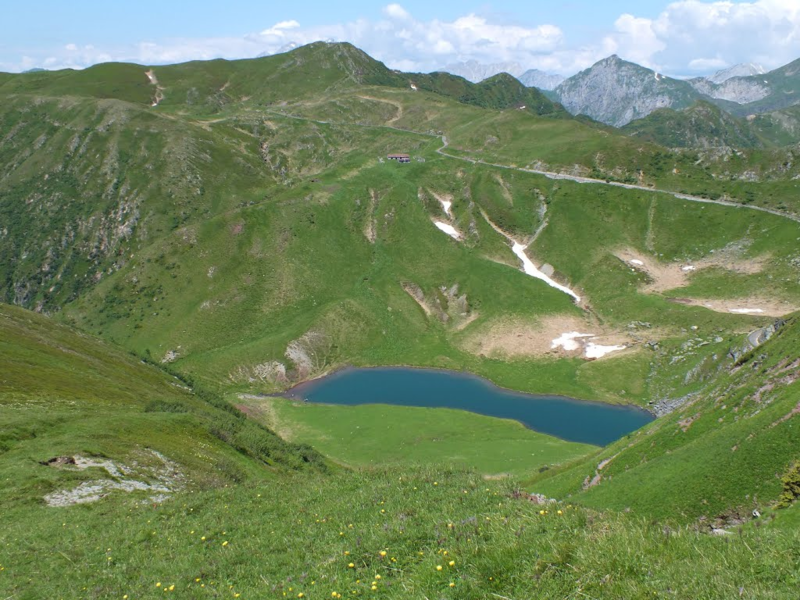 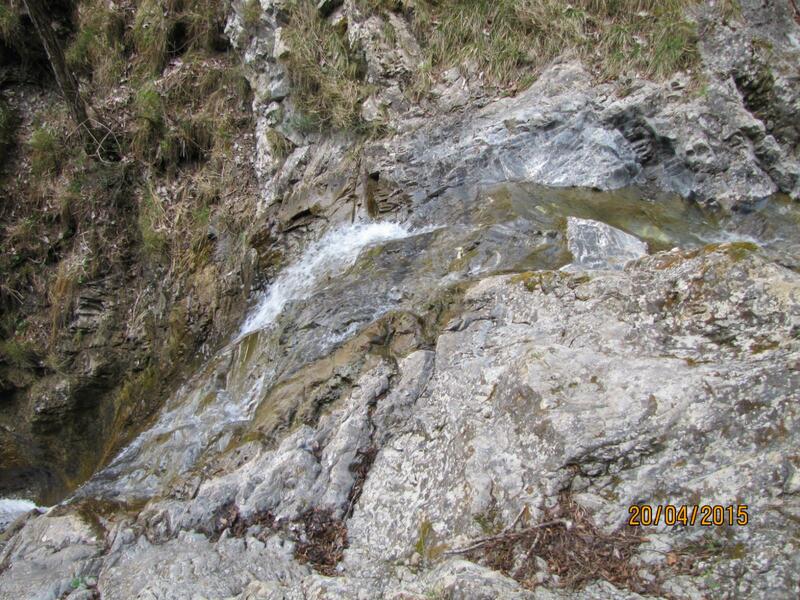 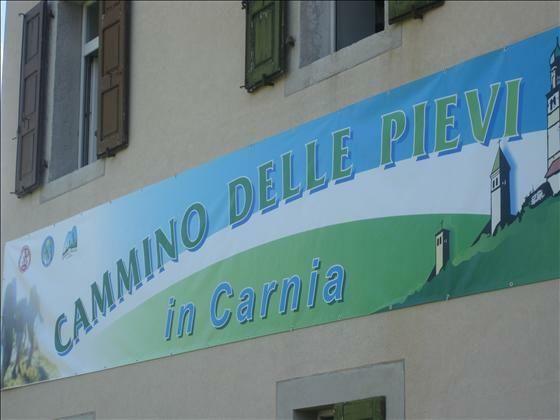 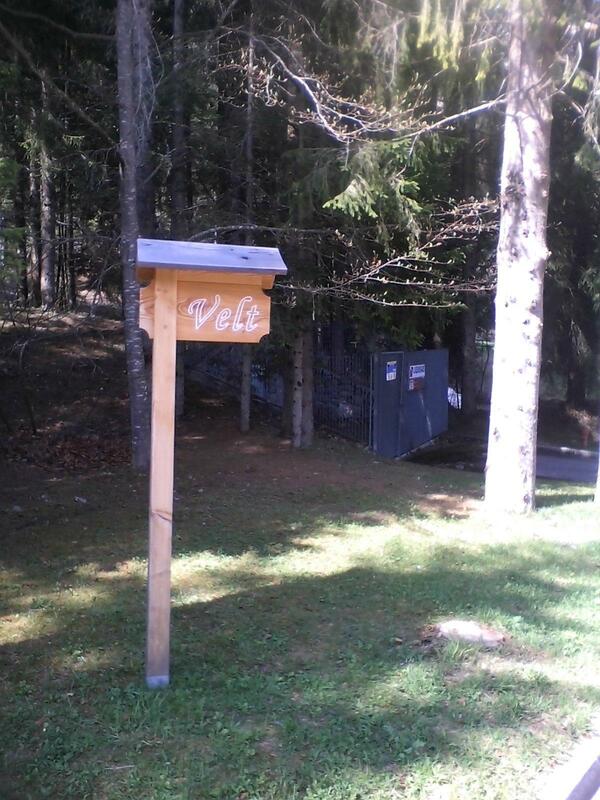 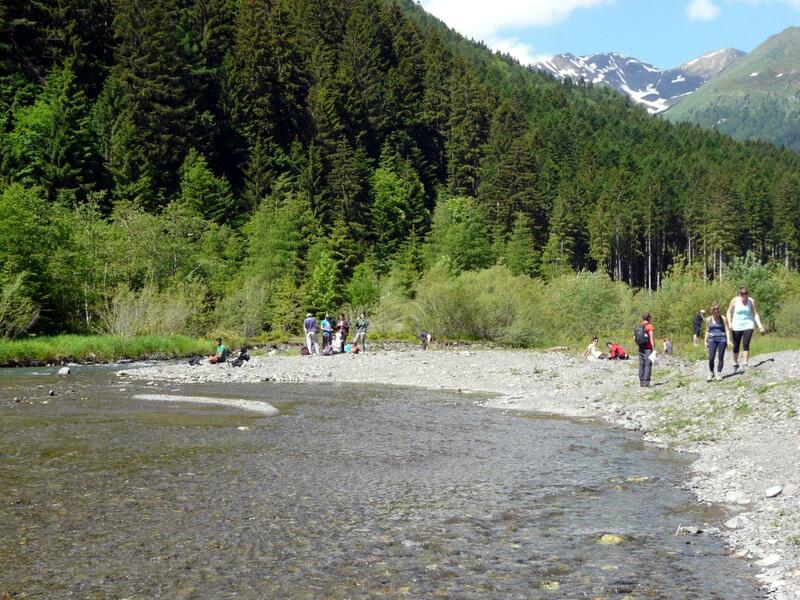 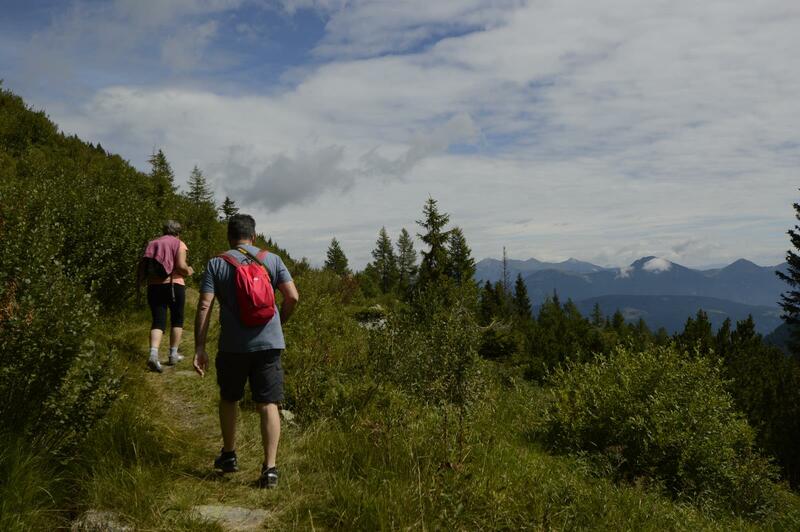 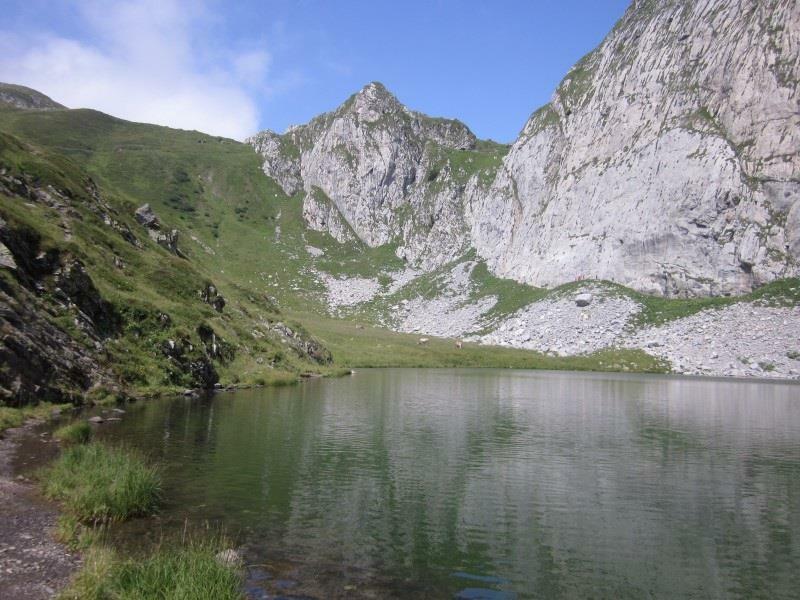 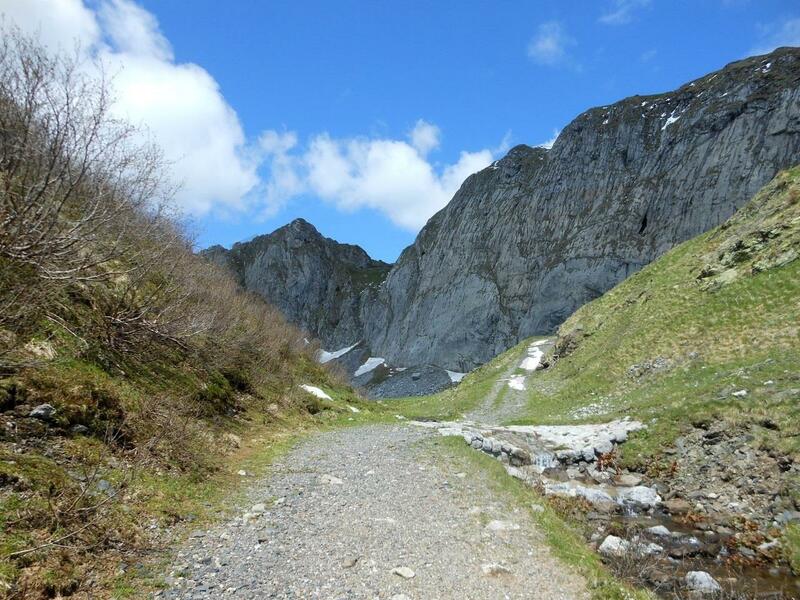 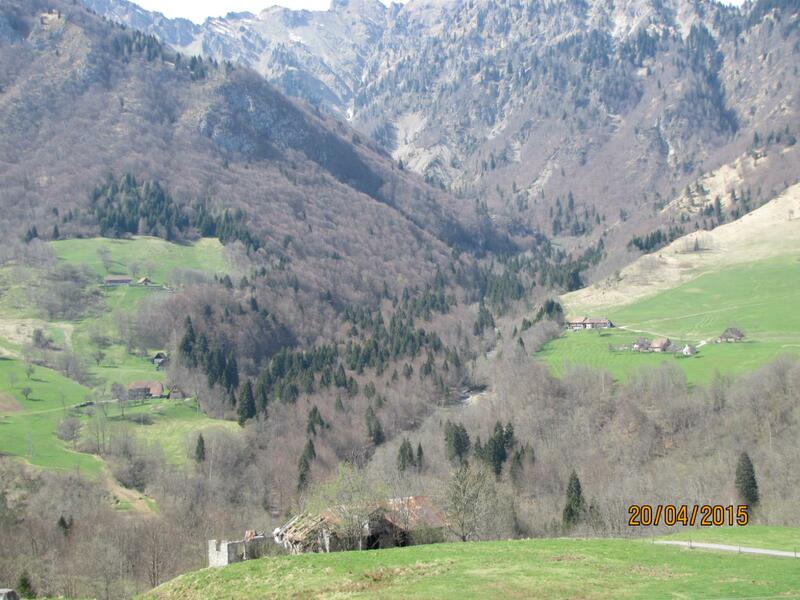 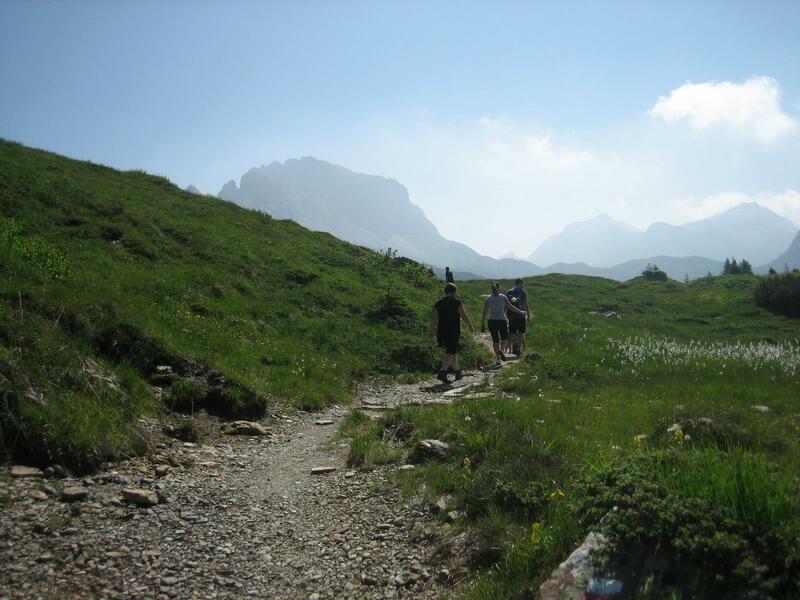 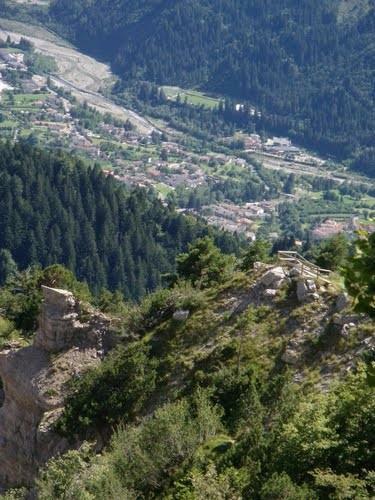 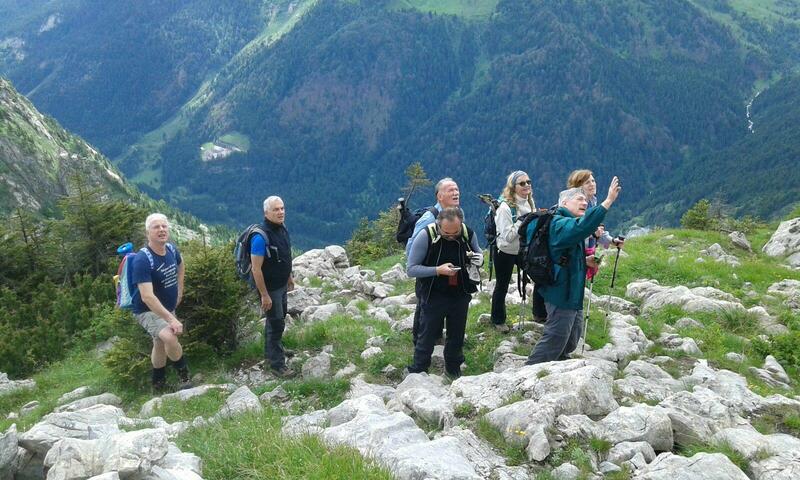 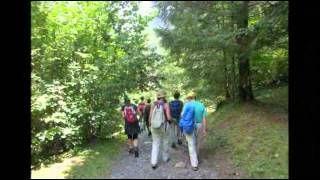 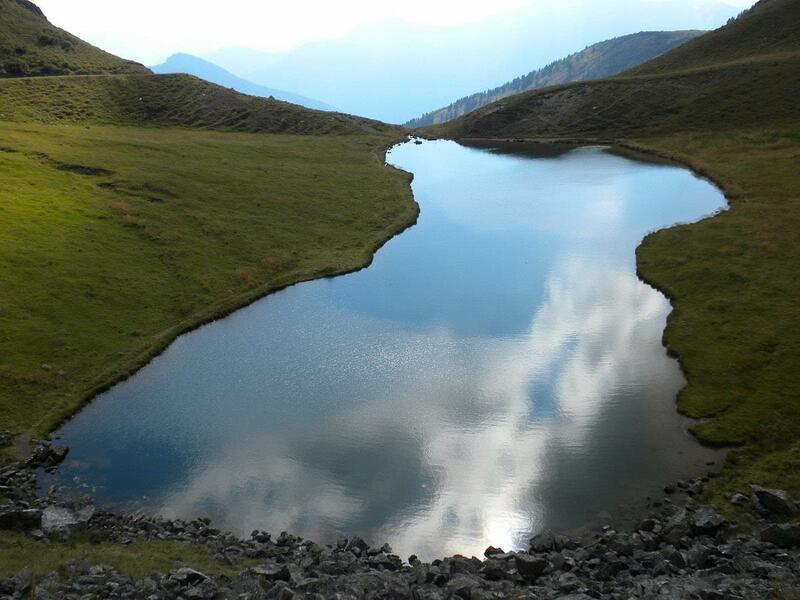 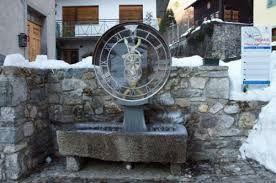 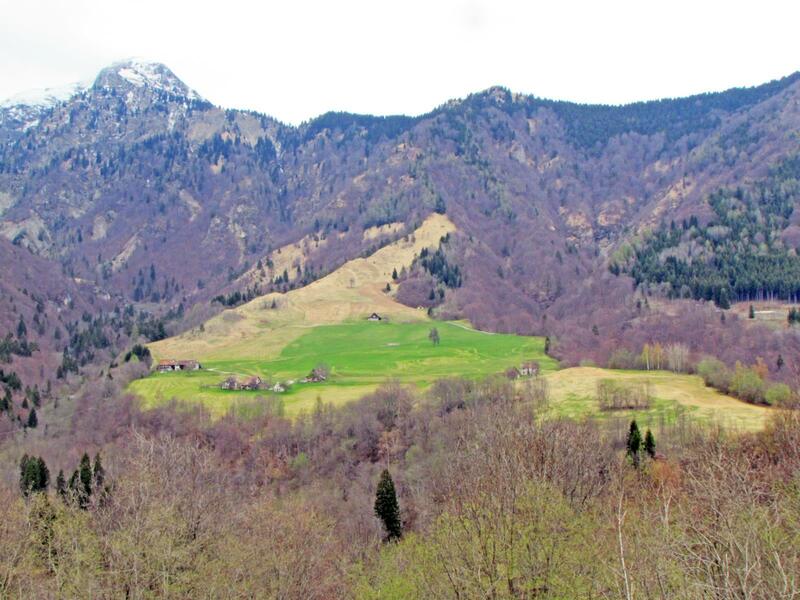 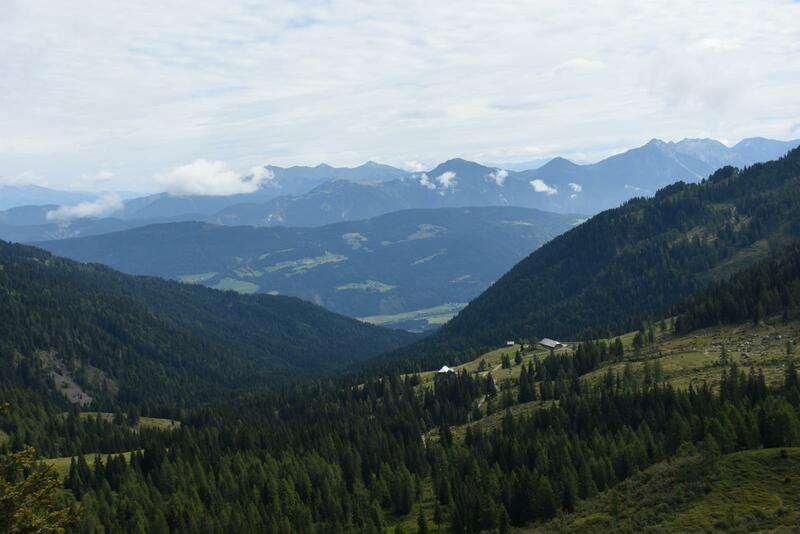 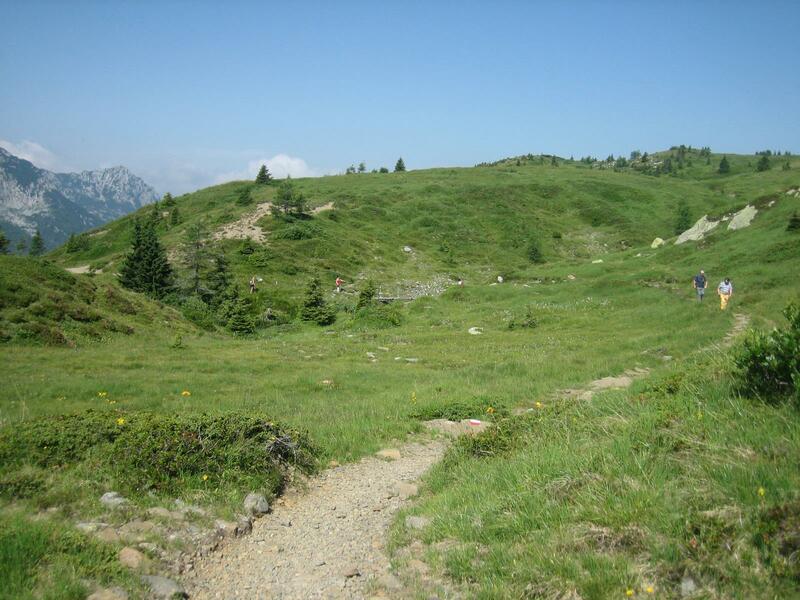 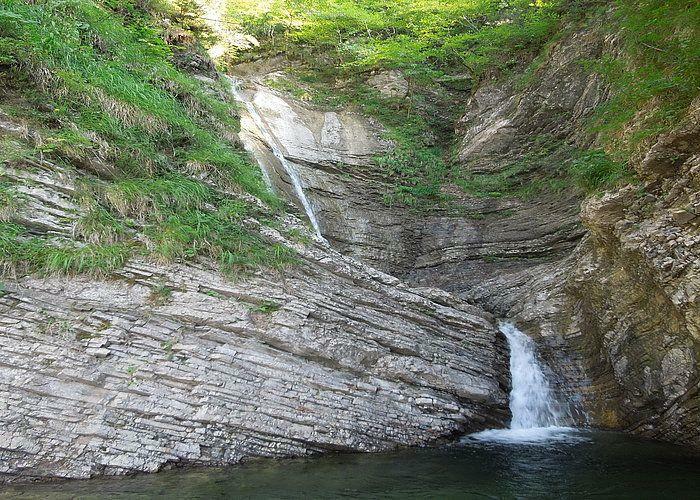 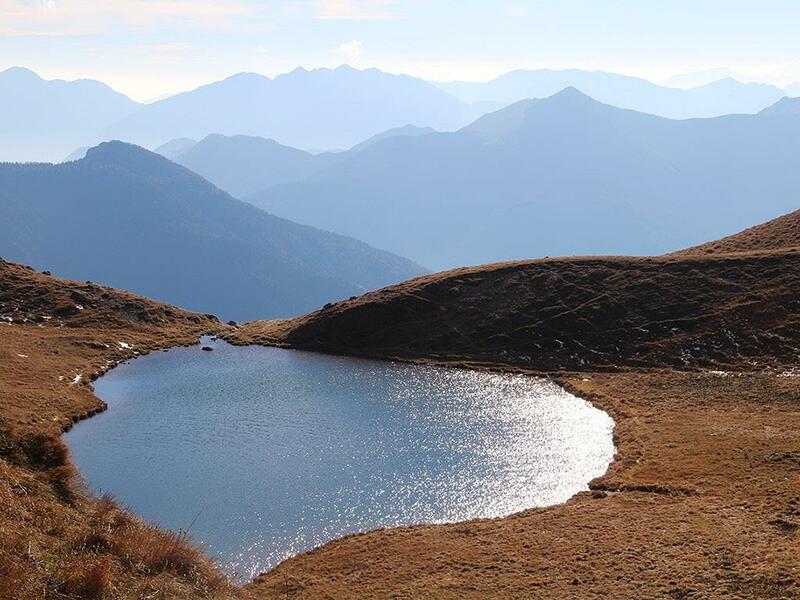 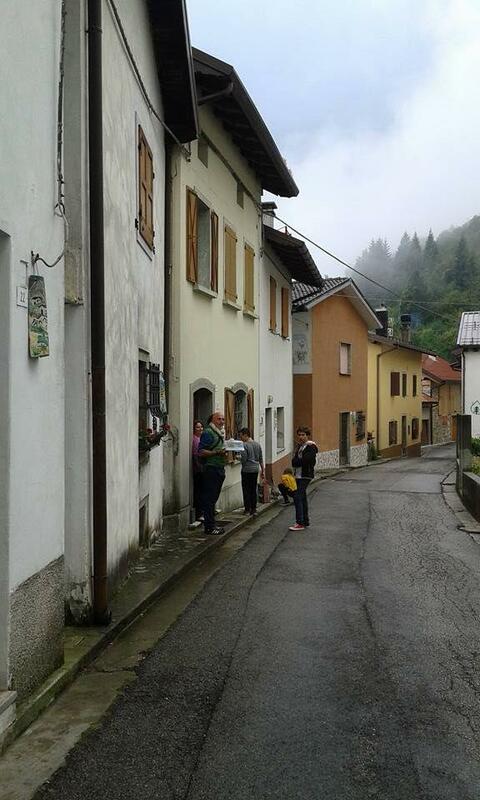 During the walk you can admire alpine’s villages, valleys, creeks and upland situated between Prealpi and Alpi Carniche. 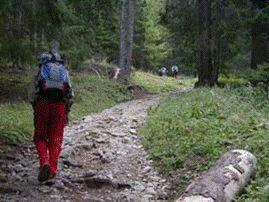 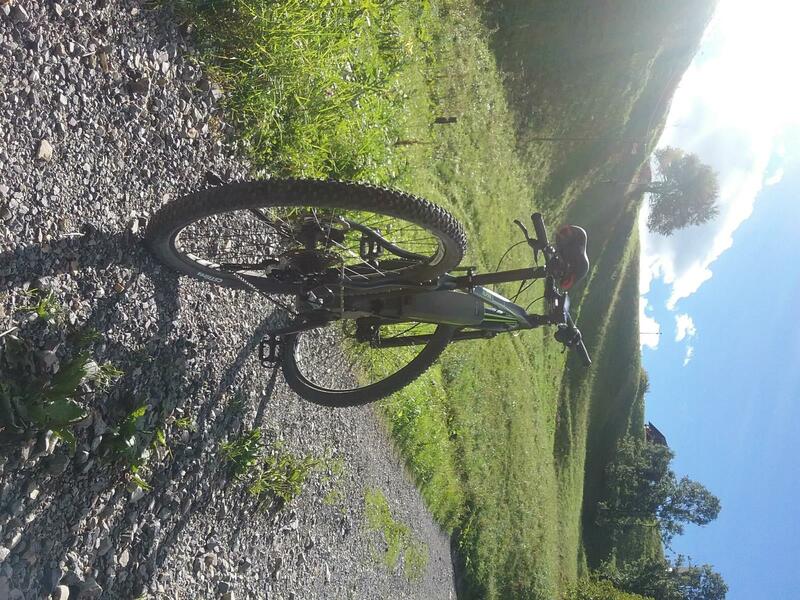 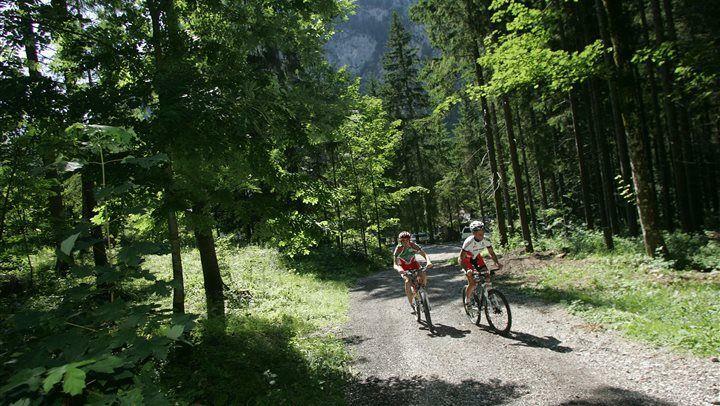 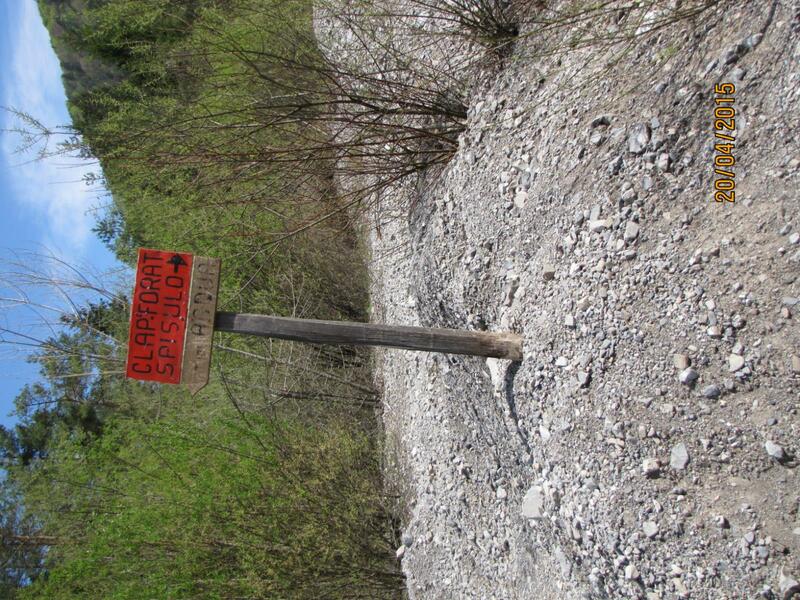 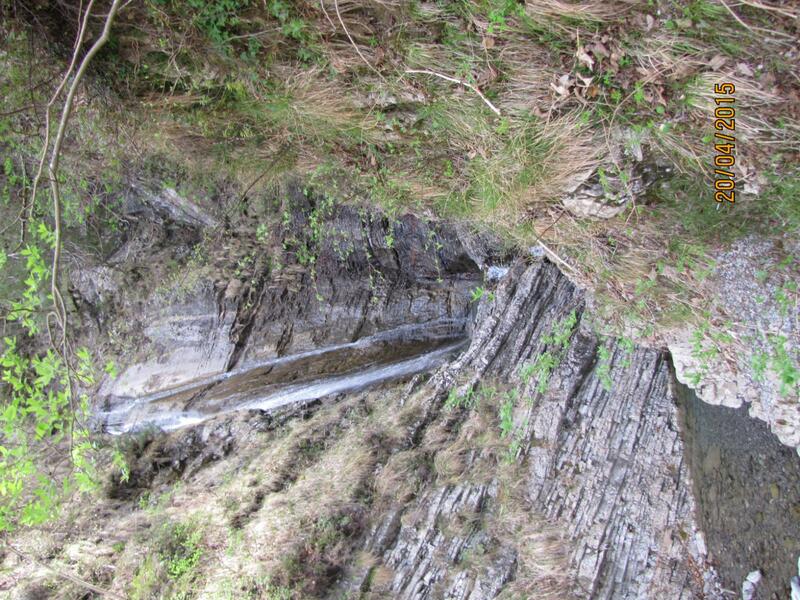 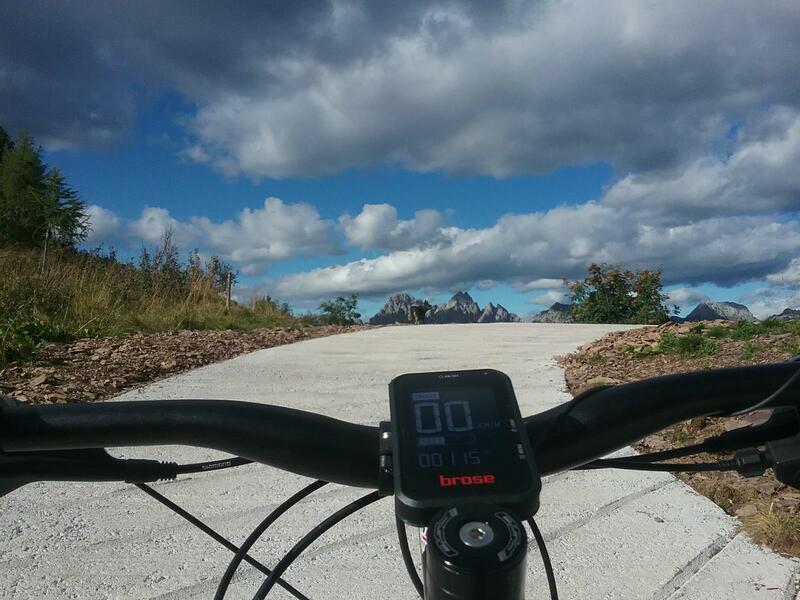 You can travel one or more excursions and we will try to use only natural trails. 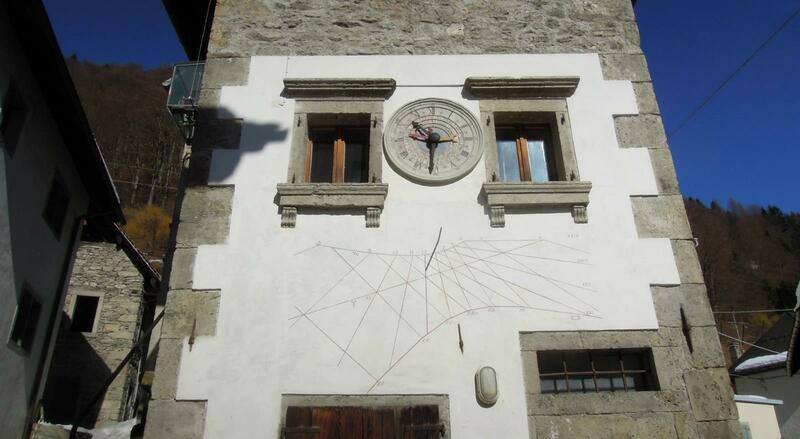 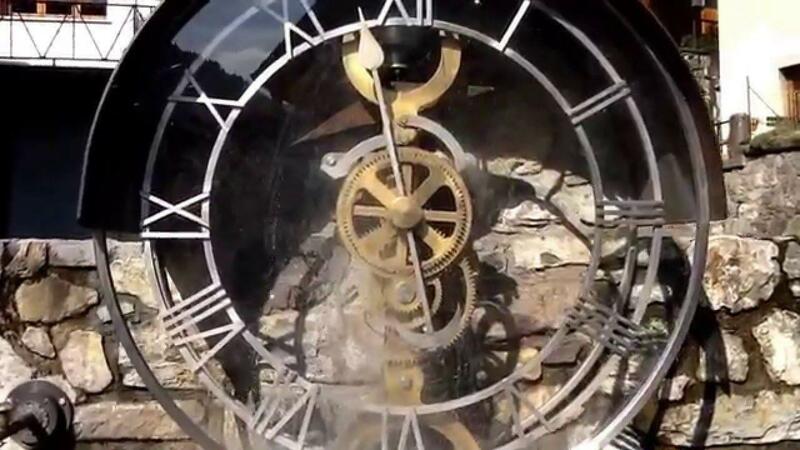 I propose an excursion across the valley discovering the ancient activity of this area; here started the production of the Solari’s clocks, a company that follow-through the inhabitants and the travelers. 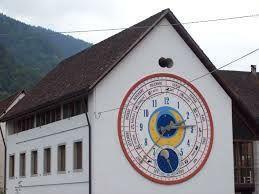 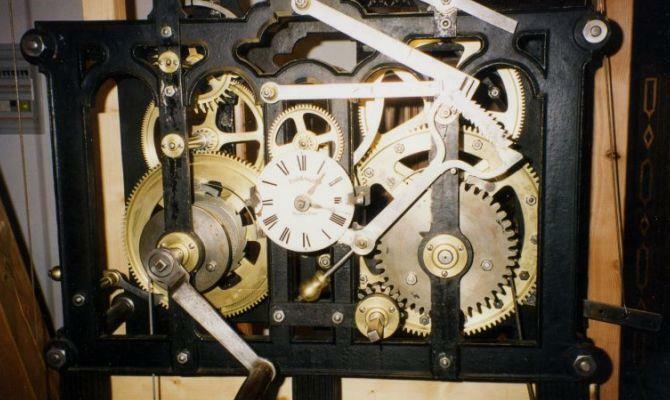 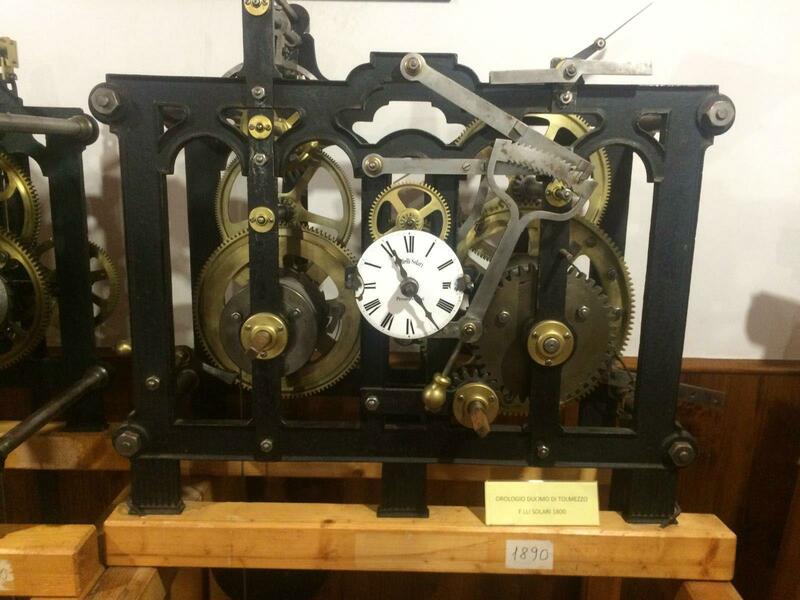 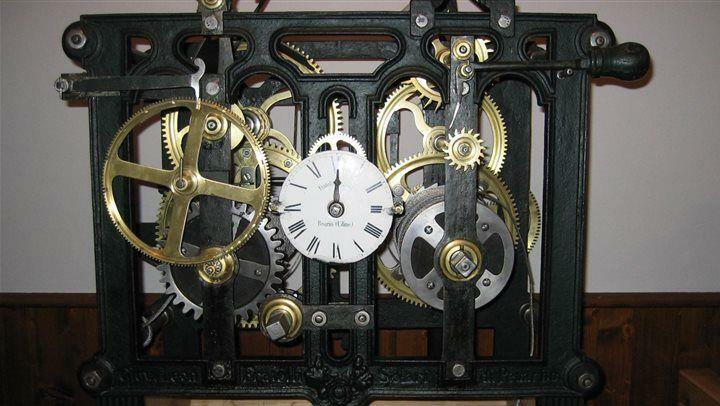 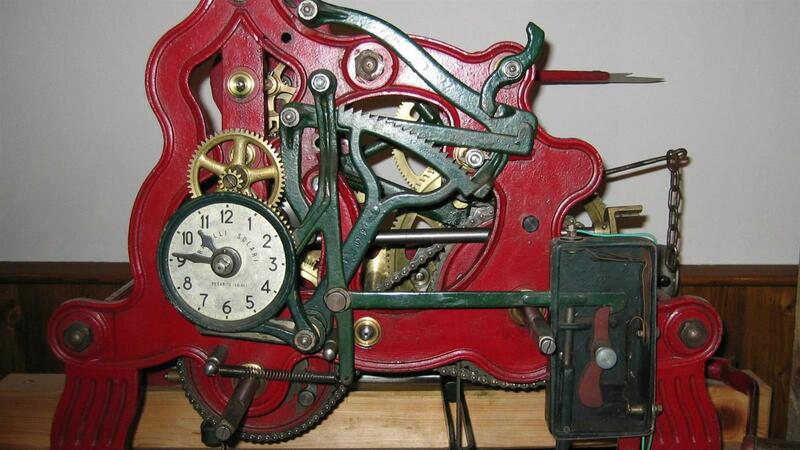 I will show and explain some original clocks made in this region. 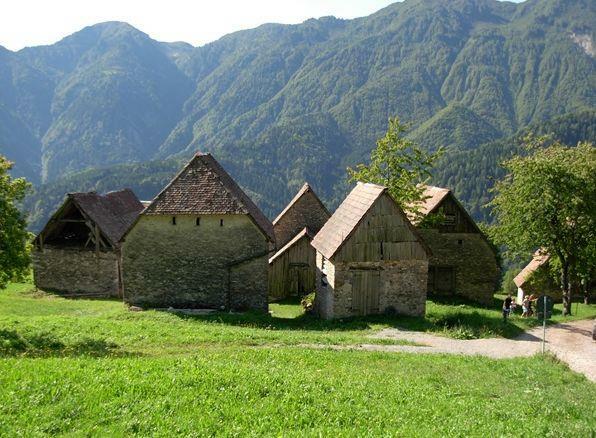 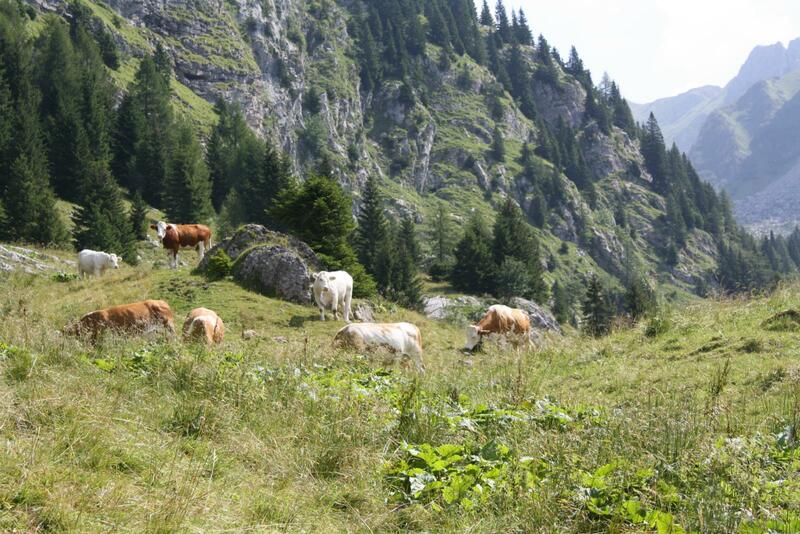 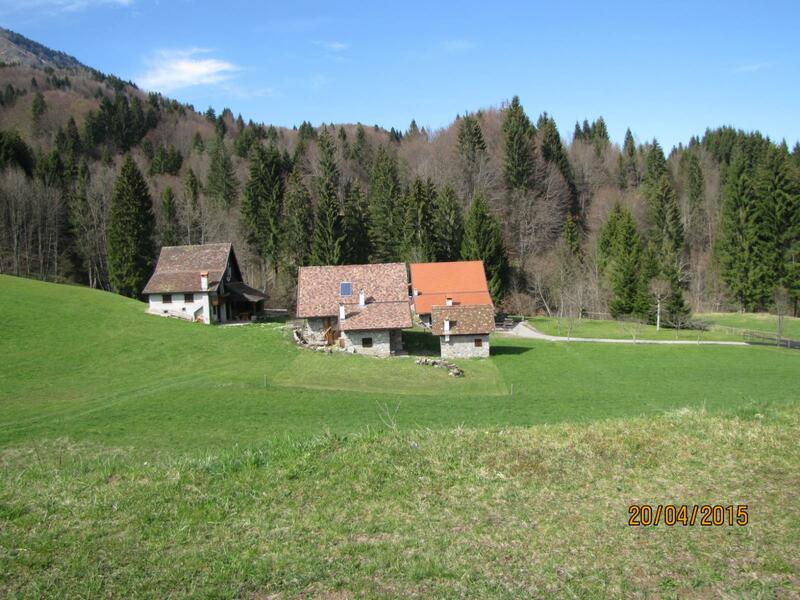 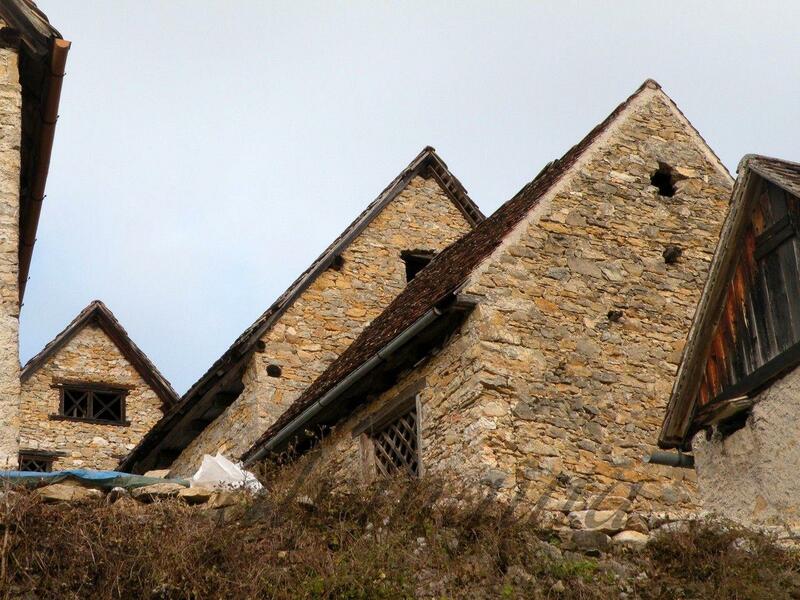 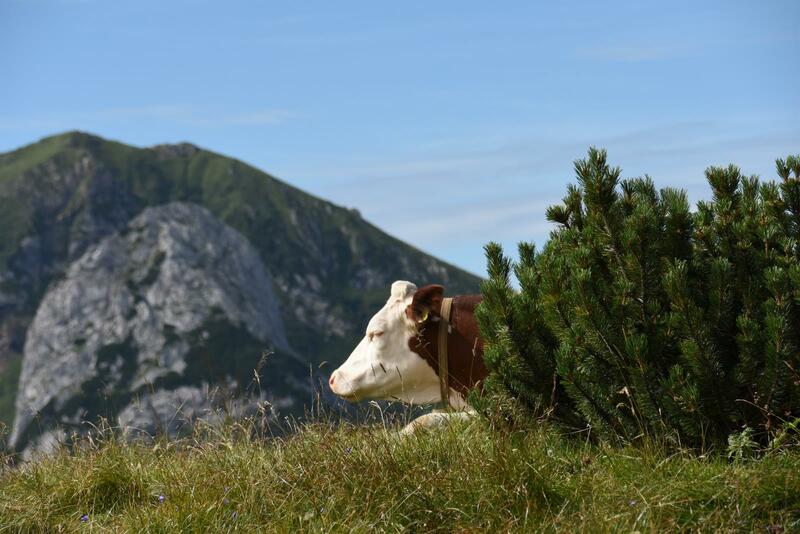 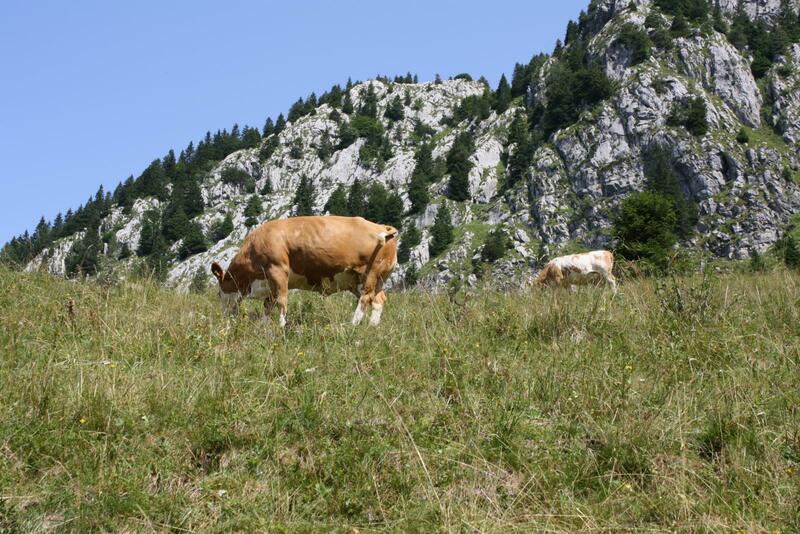 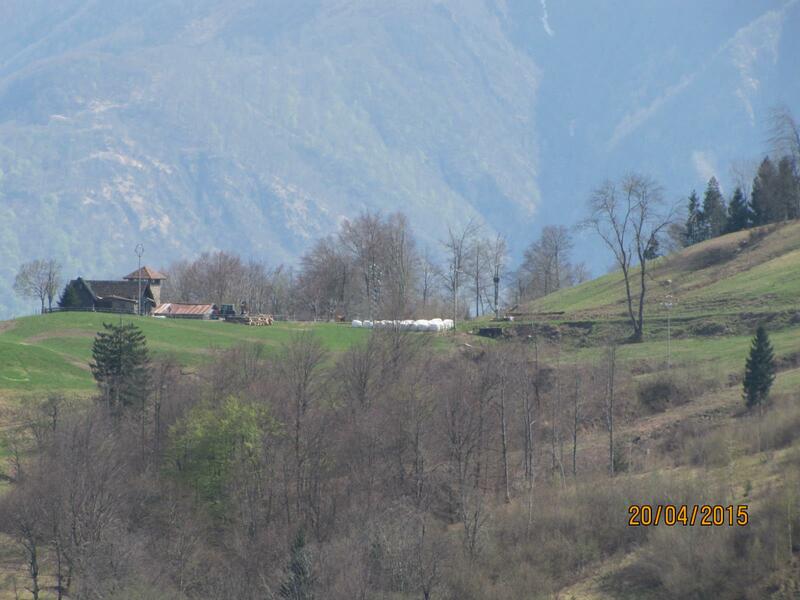 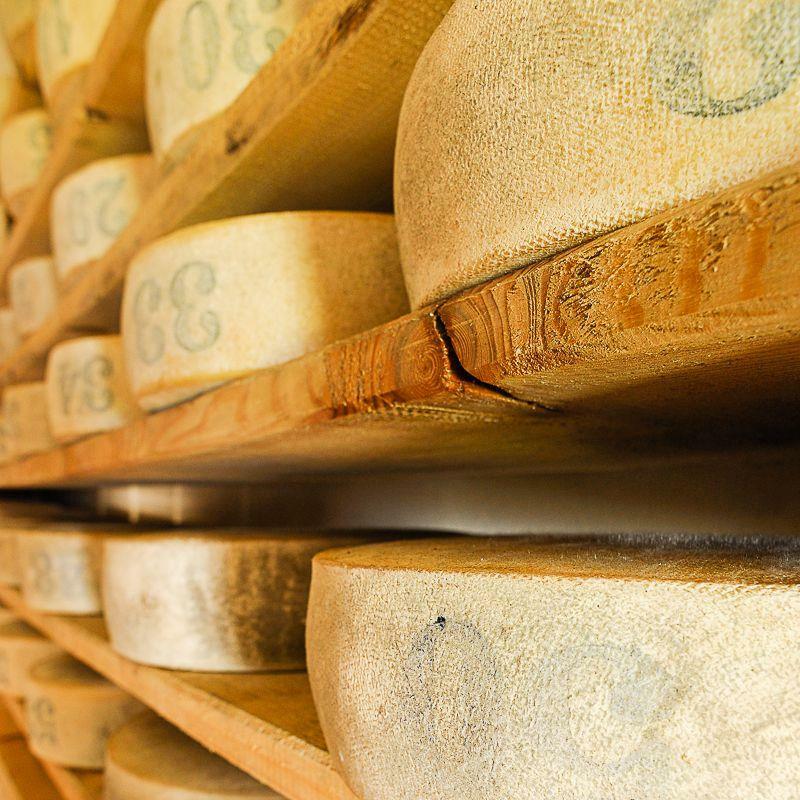 Even now there are some farms (for example: Stavoli in Orias and Selva) that practice livestock and cheese-making, producing high quality products. 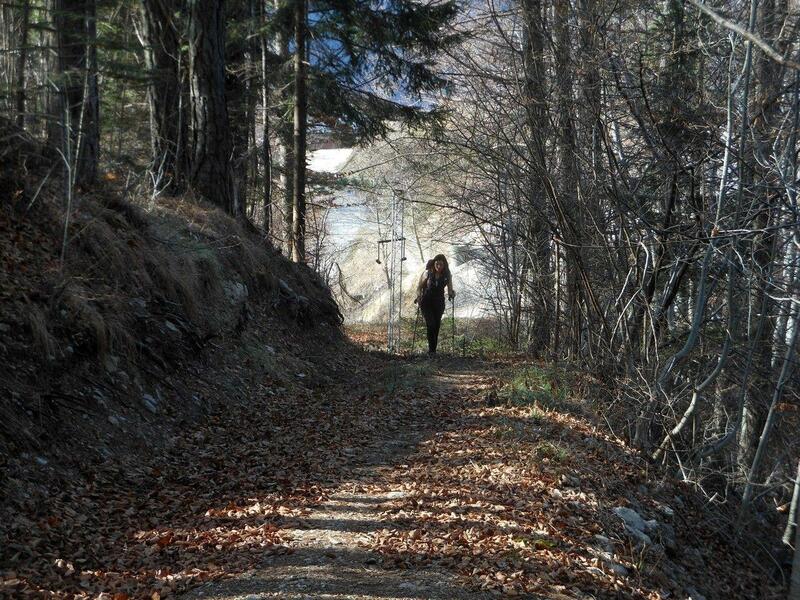 The route does not go through places but through the words. 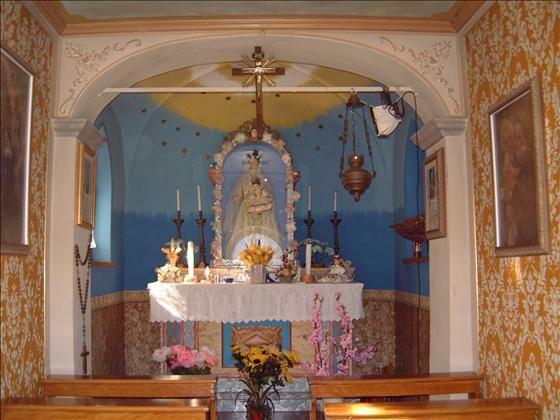 It will be possible to know Preone in an unusual way, discovering its traditions such as purcita or arc da nuvicia and testada (the arch for the bride and an auspicious letter) or the Carnival's testament. 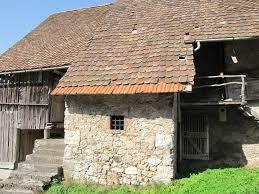 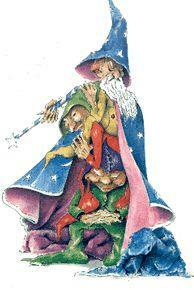 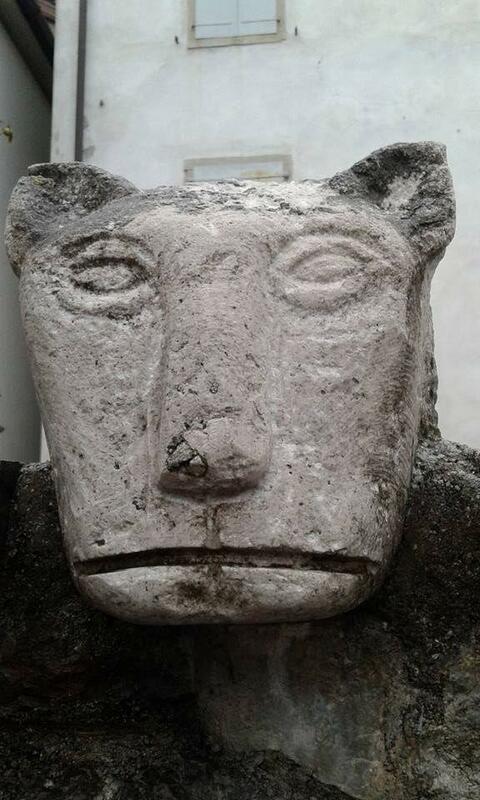 You will learn that the inhabitants are called becs and that once, hidden on the roofs of the houses, there was an ogre. 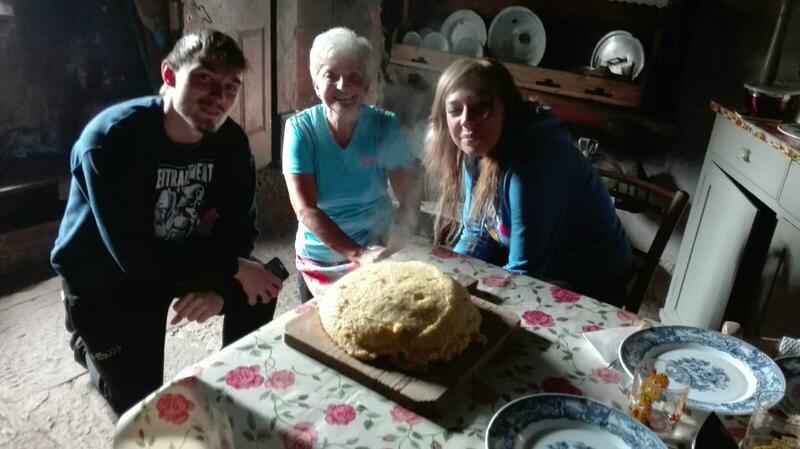 You will discover the importance of knowing the name of own family and also the nicknames that are attributed to the people. 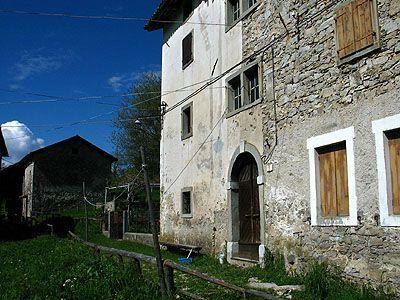 An itinerary in the small village of Preone to enjoy its beauty in a different and aware look, enriched by the knowledge of its traditions. The proposed route starts from the town center to continue beyond the village in loc. 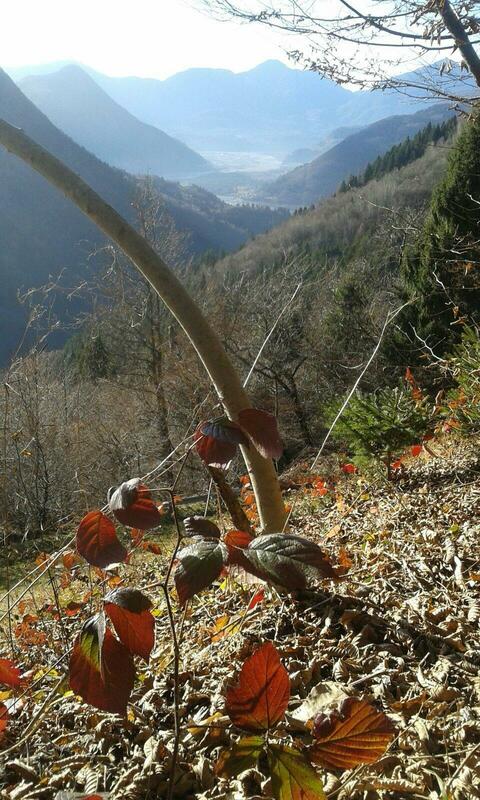 Tas Vals. 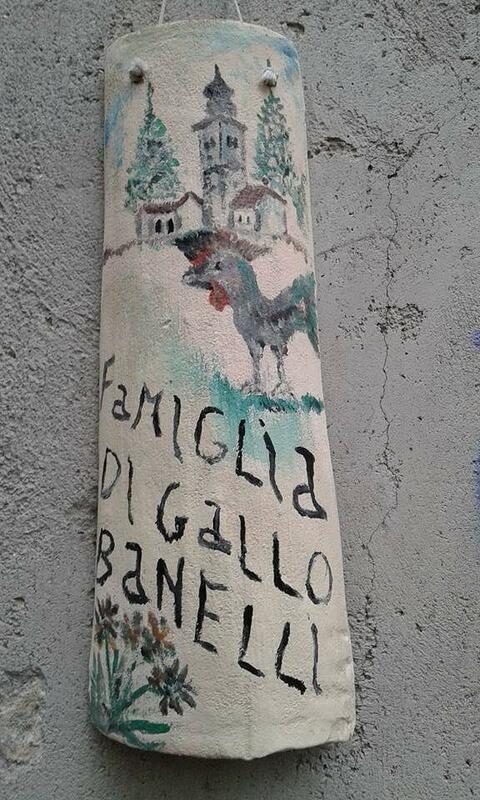 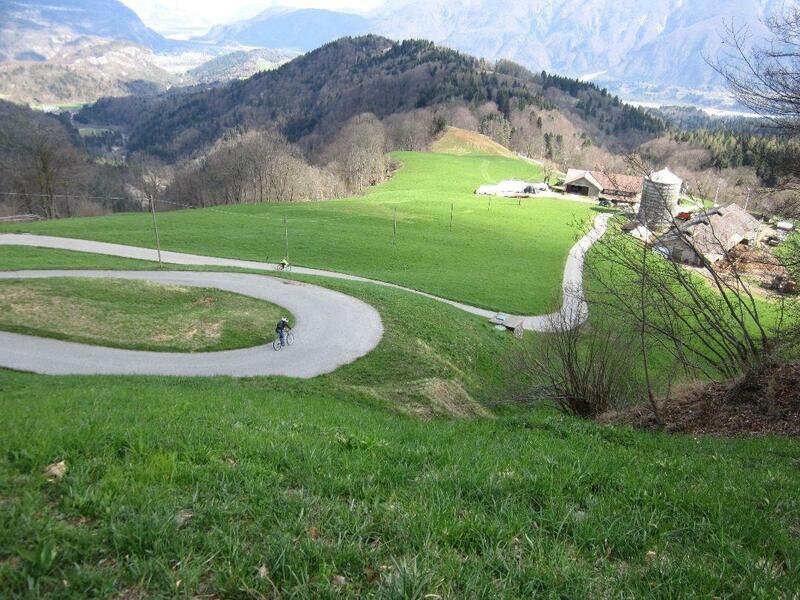 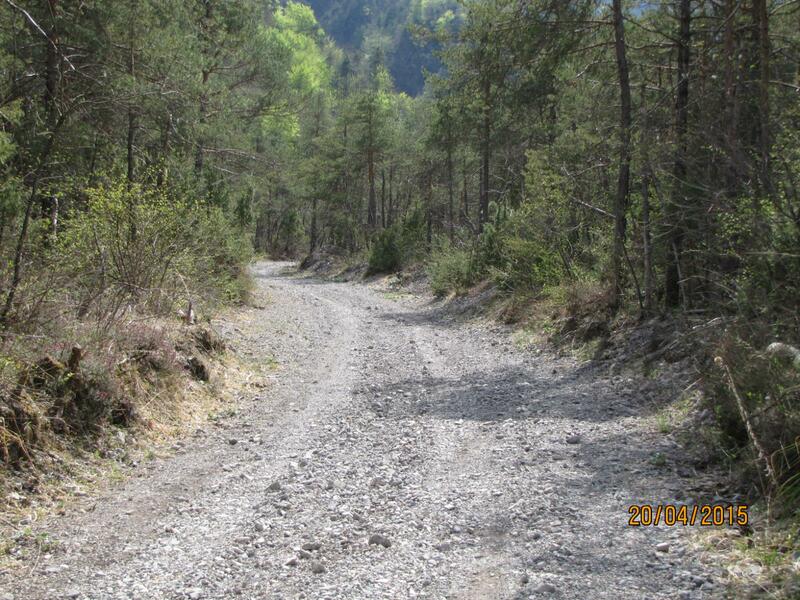 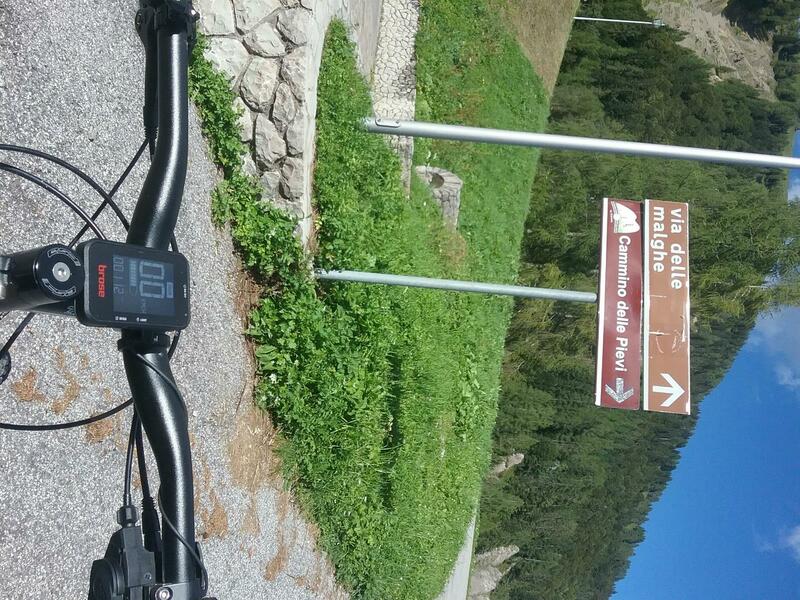 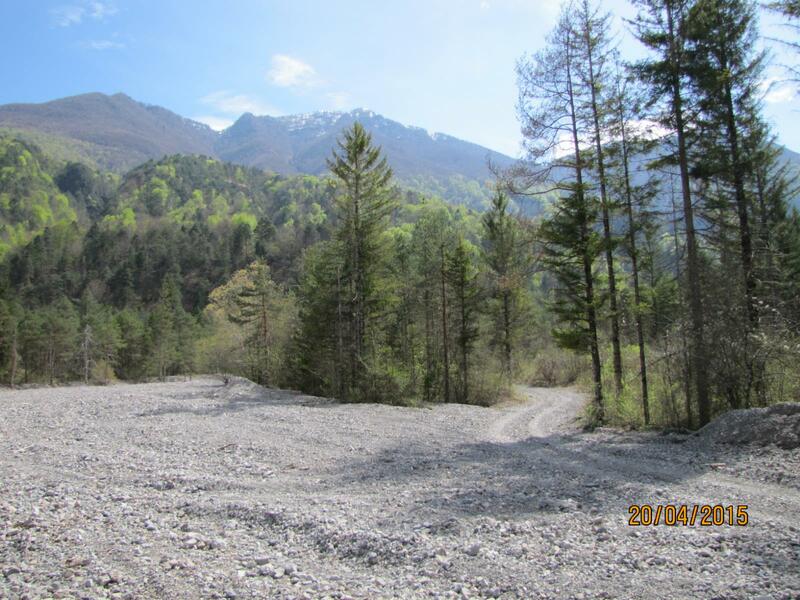 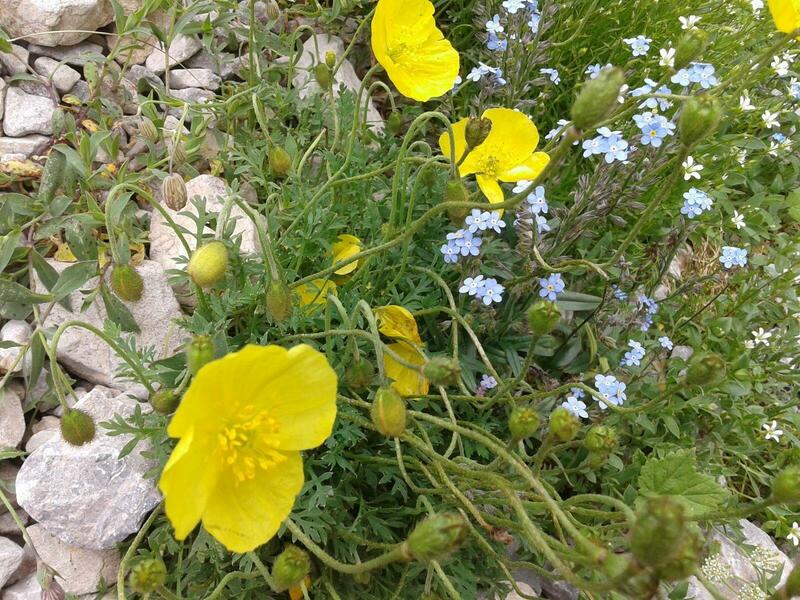 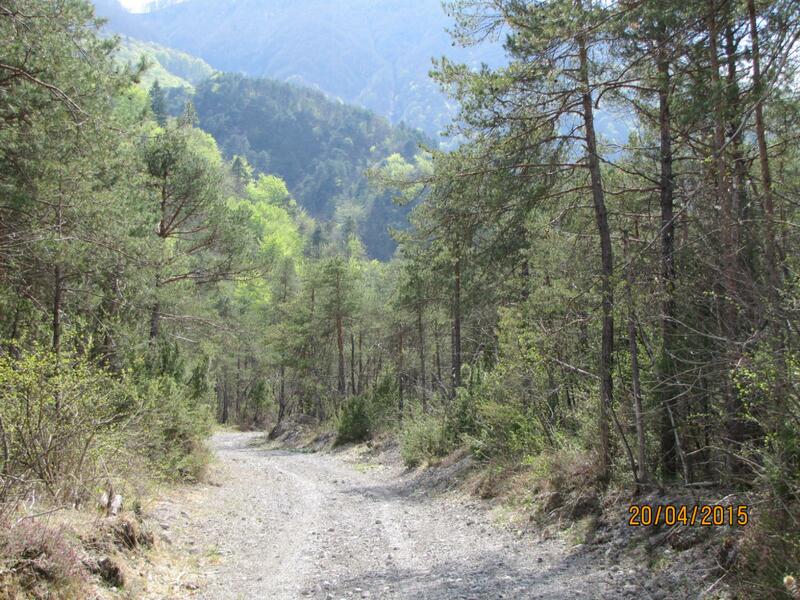 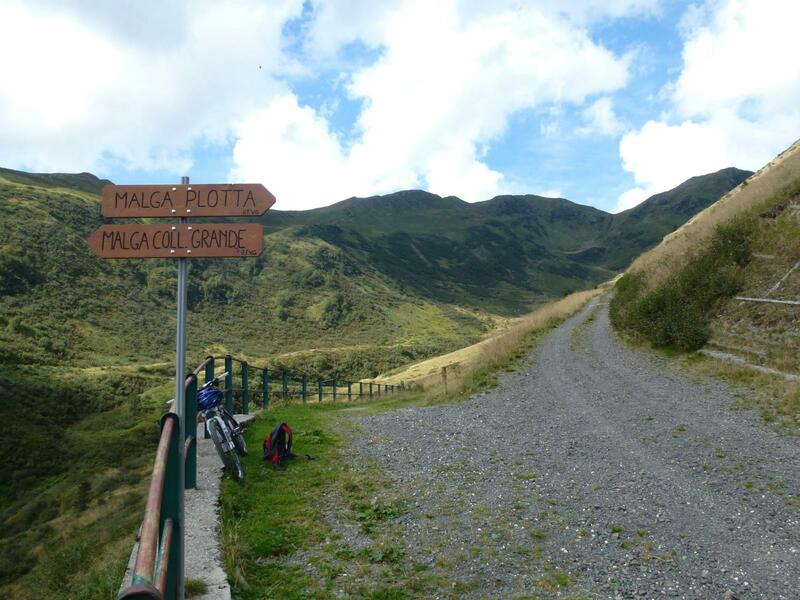 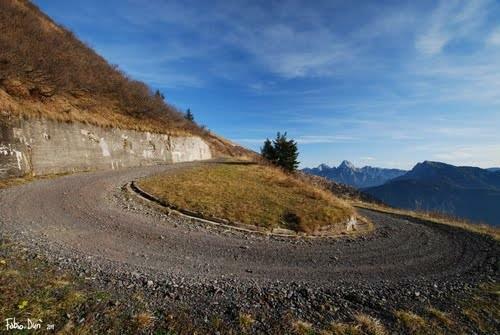 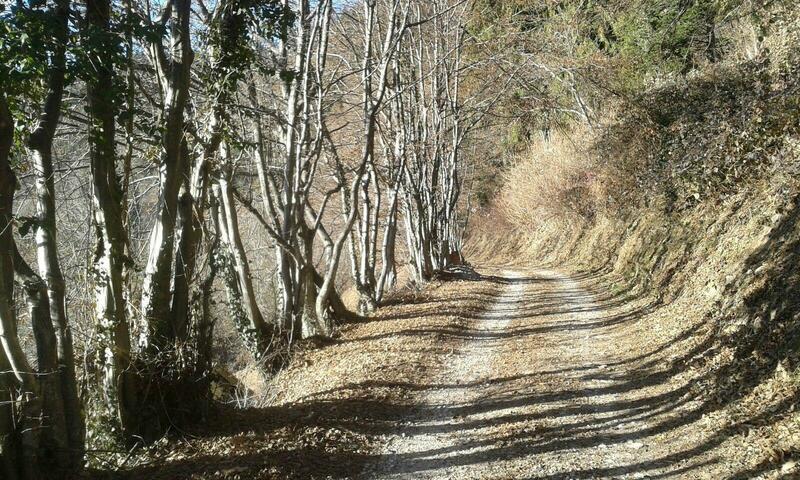 Immediately after the last houses you meet a dirt road leading to the opera n.1 of the Vallo Alpino. 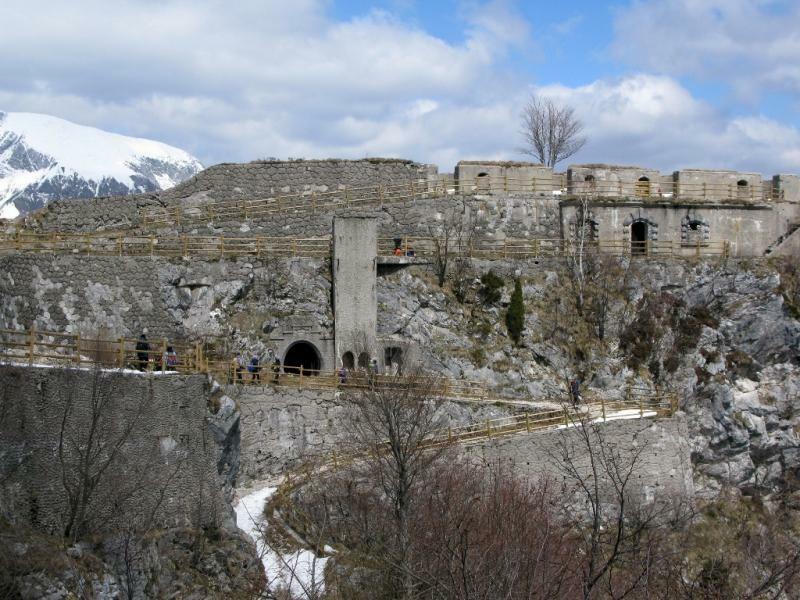 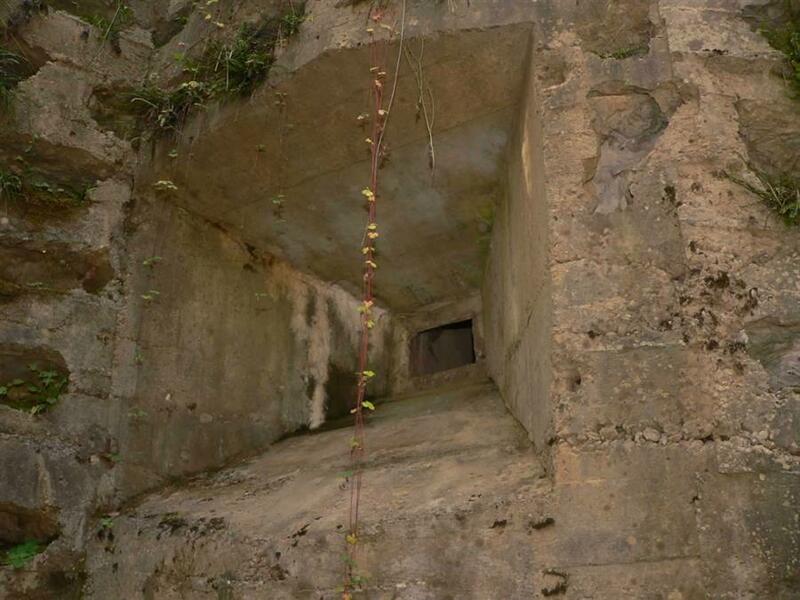 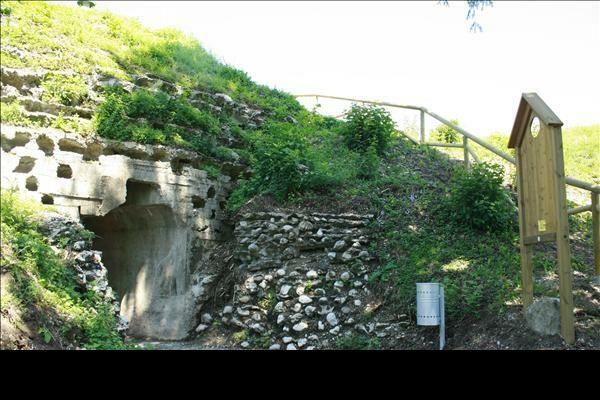 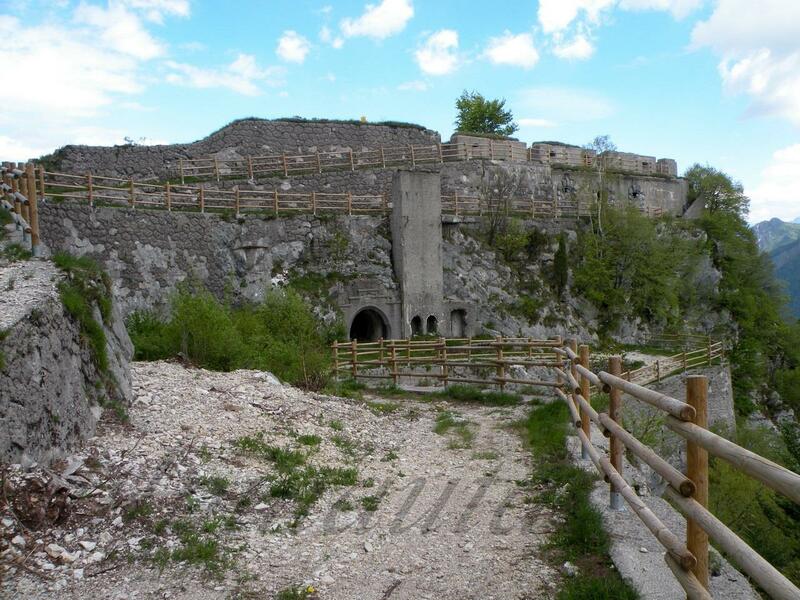 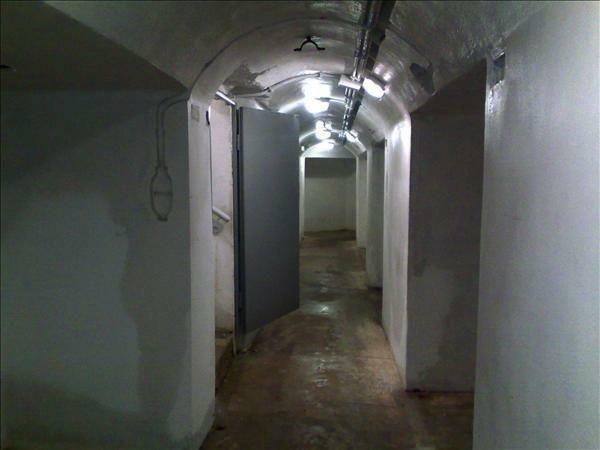 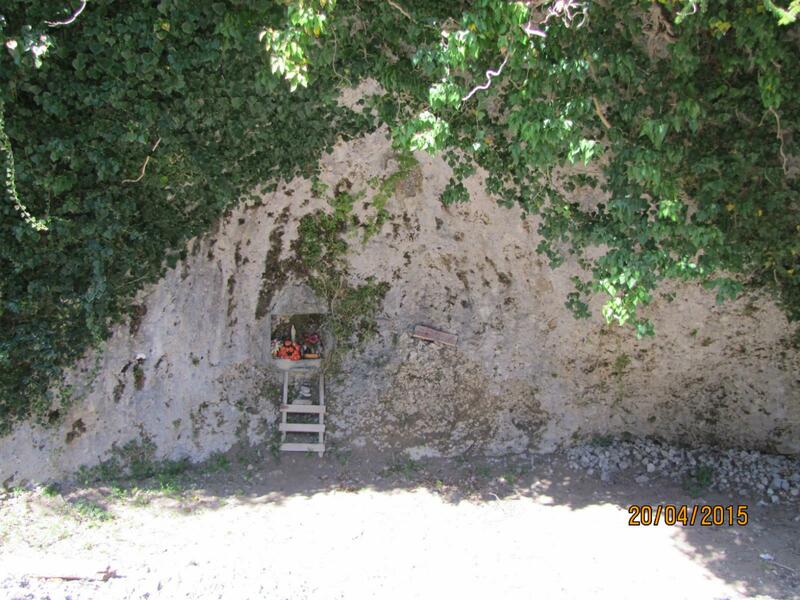 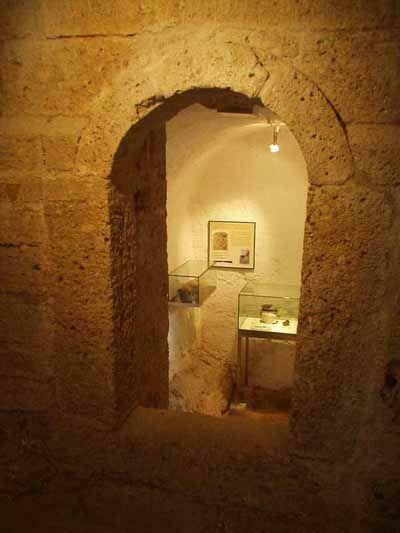 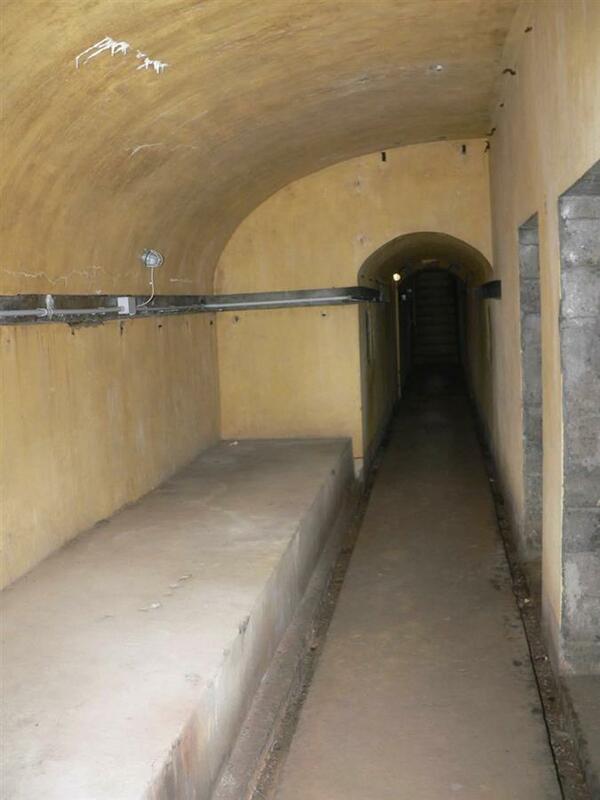 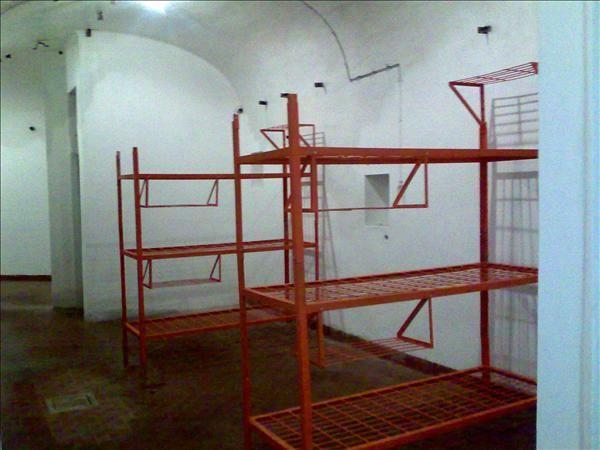 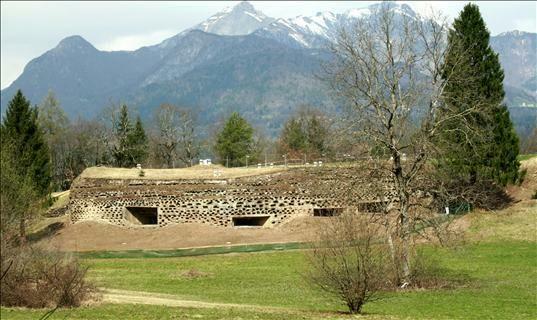 This fortification was recently recovered and restored and can be visited. 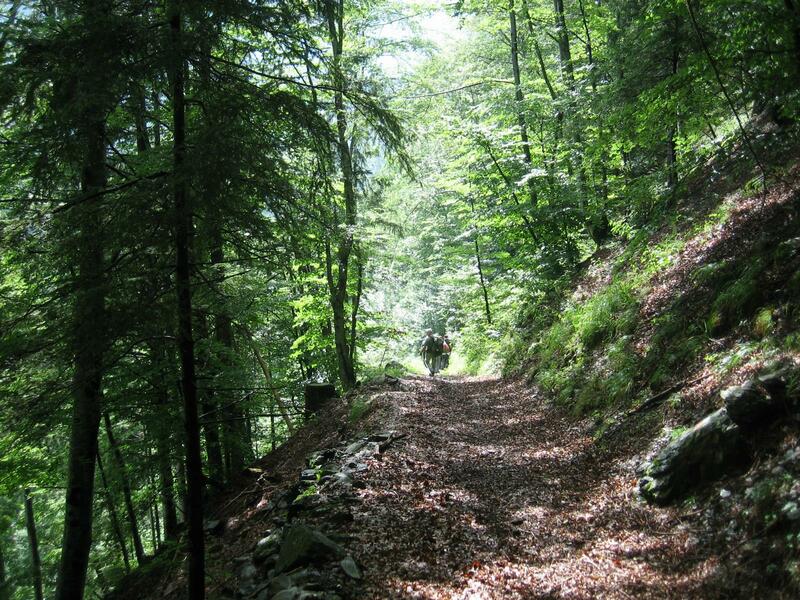 The route continues through the woods crossing loc. 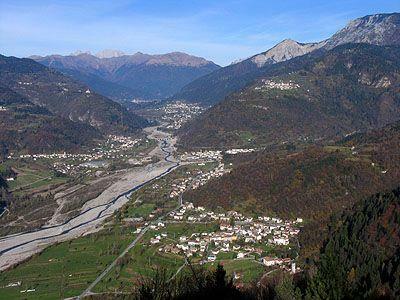 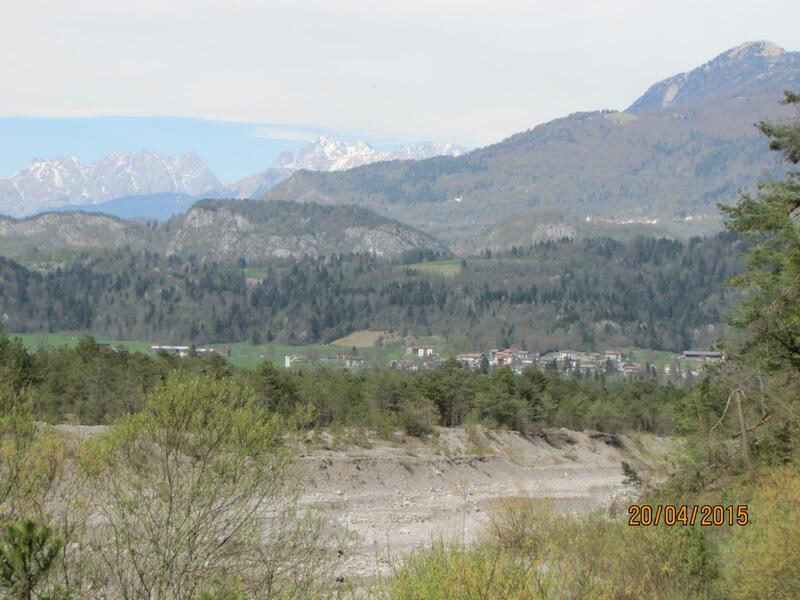 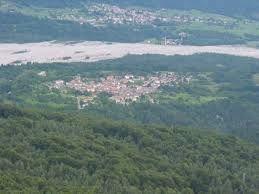 Val Mangiot to reach the bridge over the river Tagliamento. 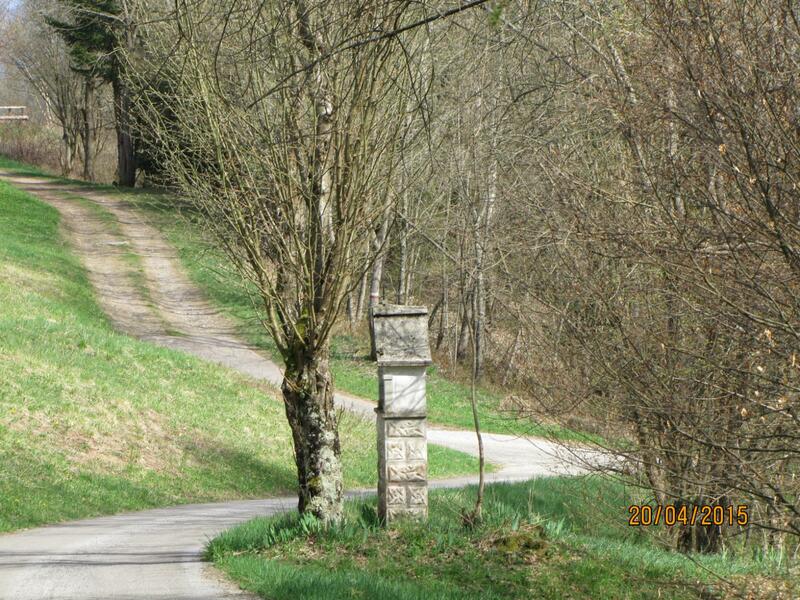 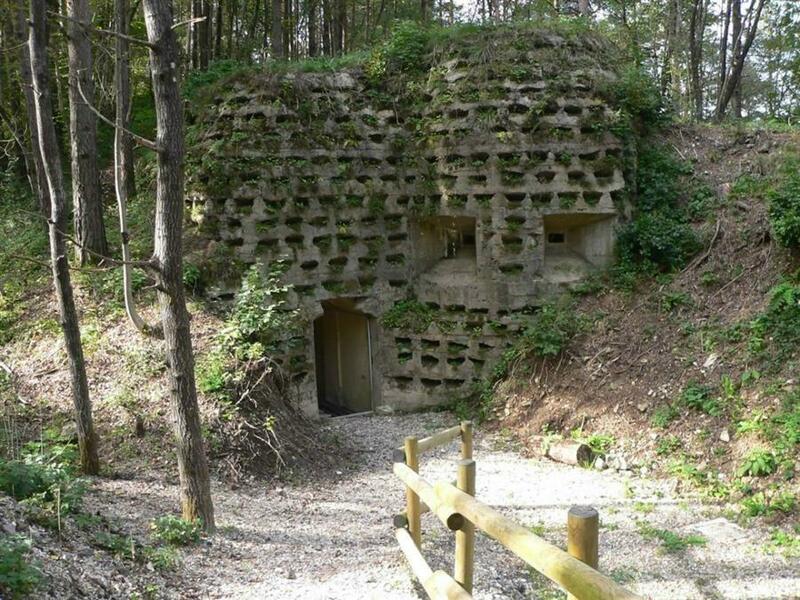 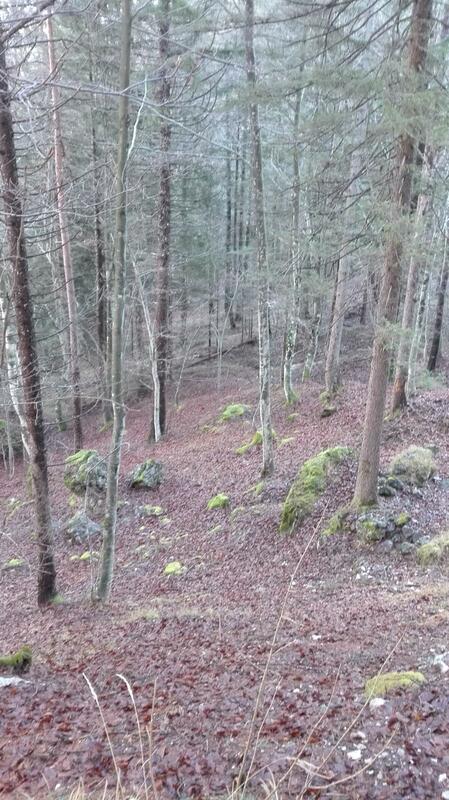 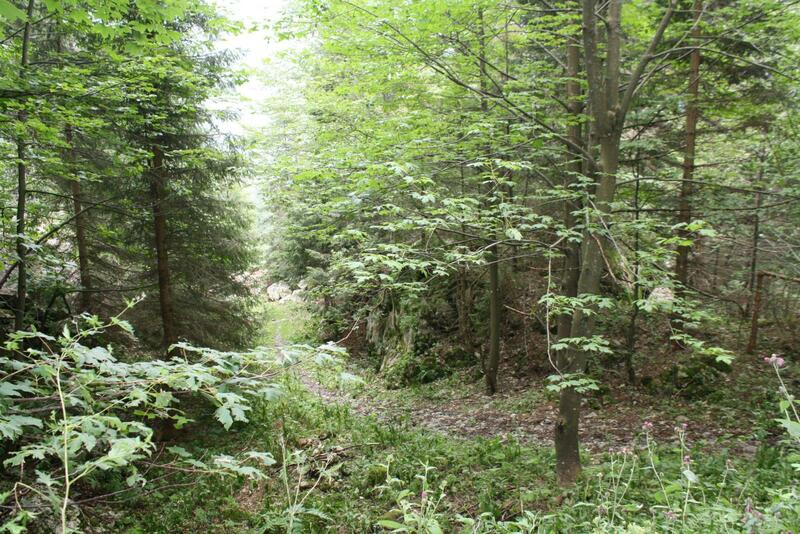 Along the road it will possible to discover other scattered fortifications, hidden from the woods. 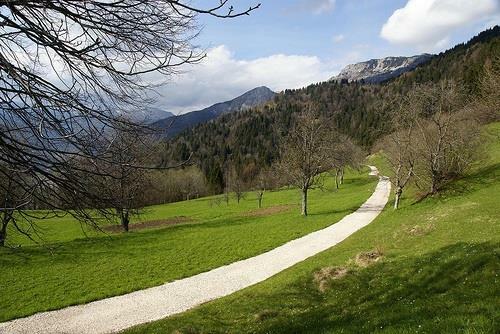 The beautiful surrounding nature is a truly wonderful place for a stroll. 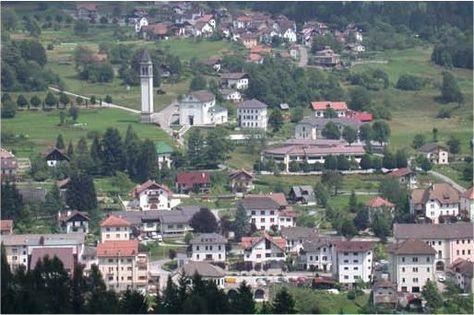 The ring then crosses part of the village of Socchieve and, following back roads, reach the Preone bridge, from which you return to the village center.